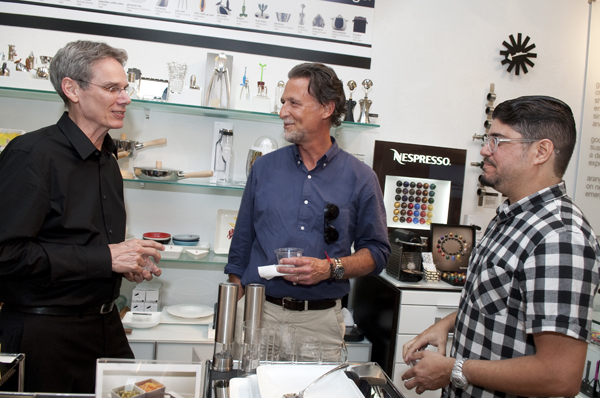 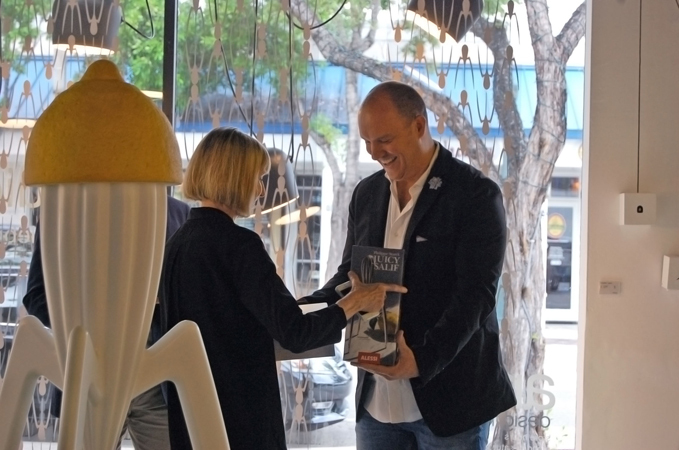 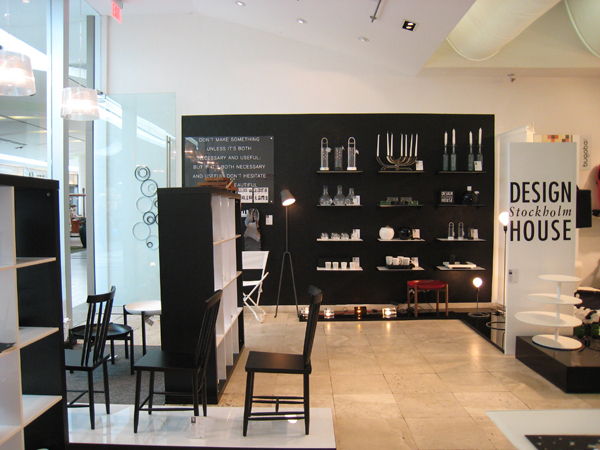 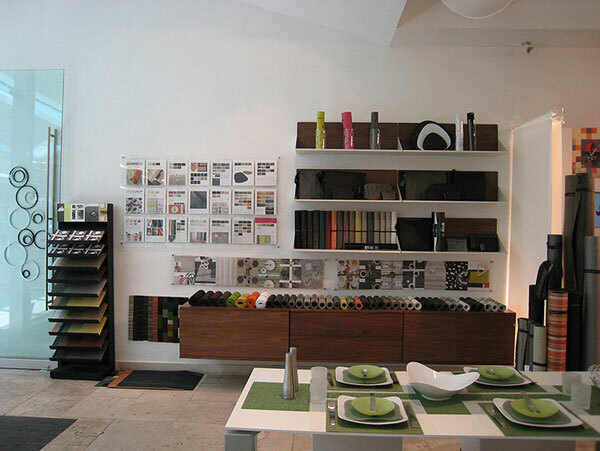 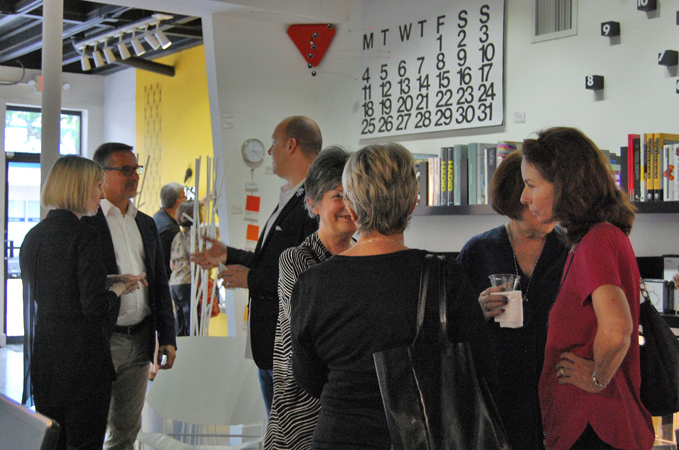 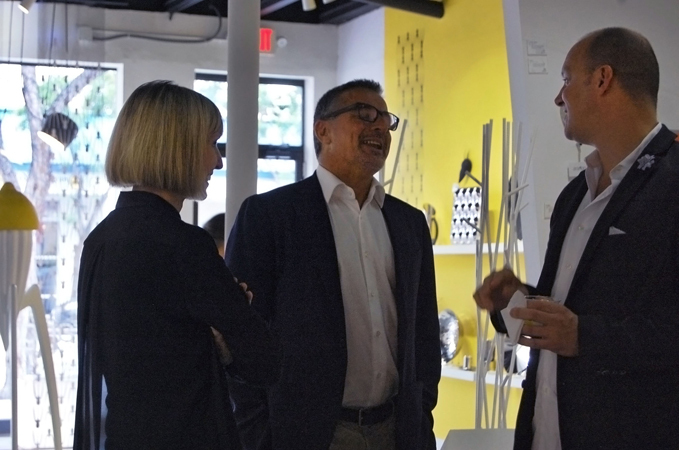 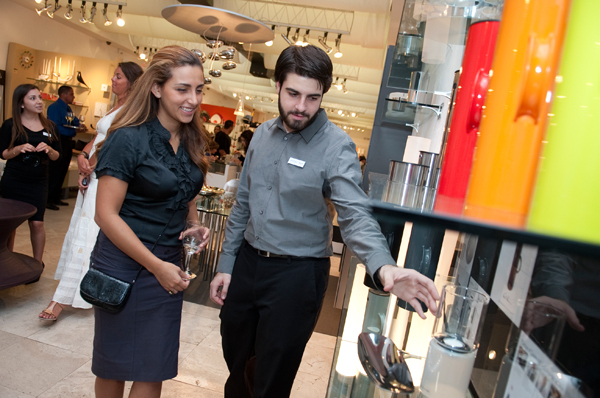 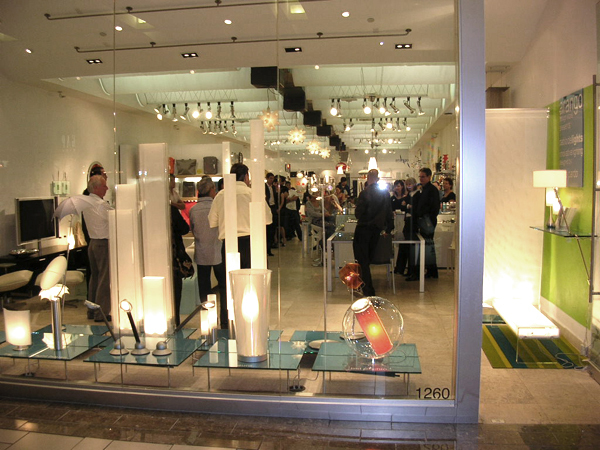 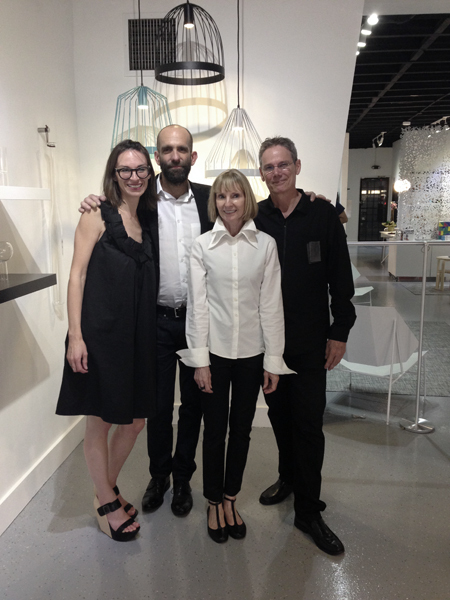 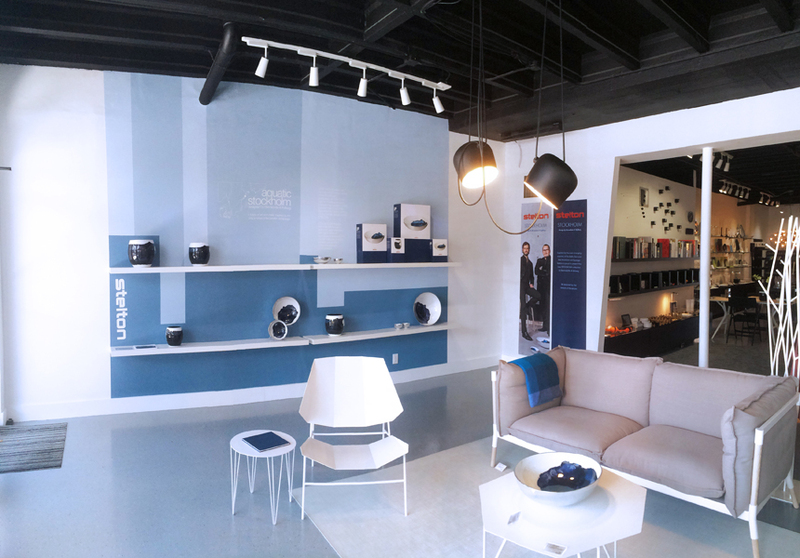 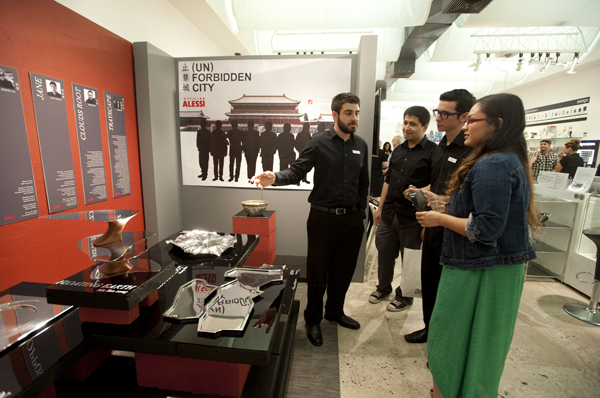 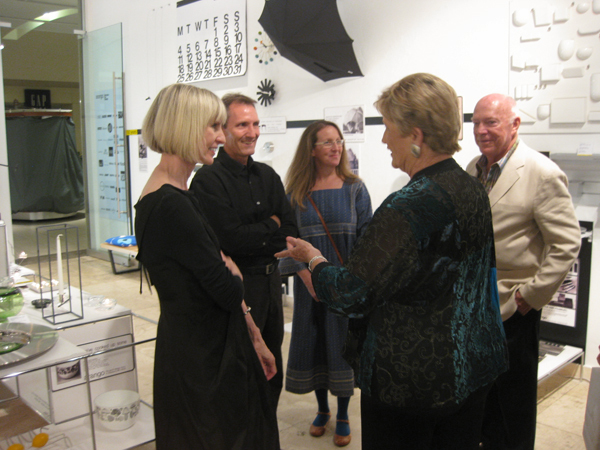 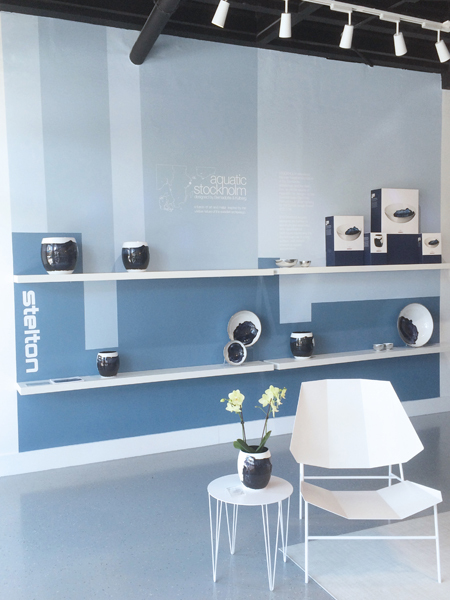 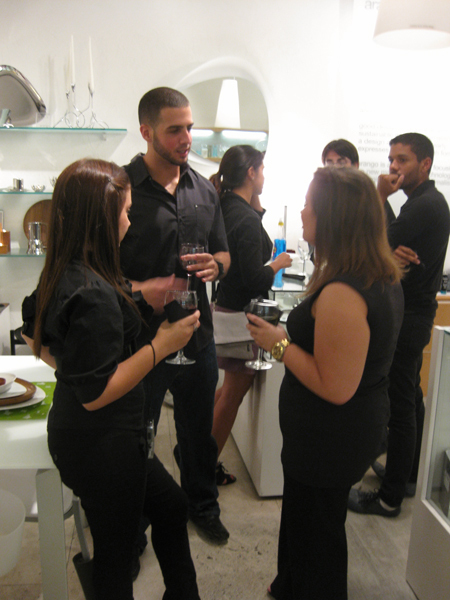 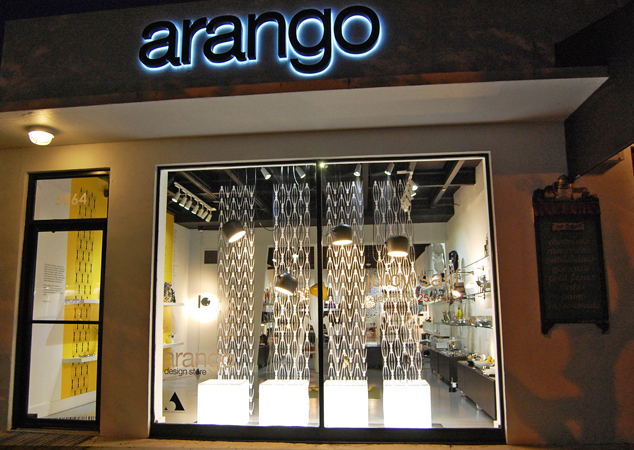 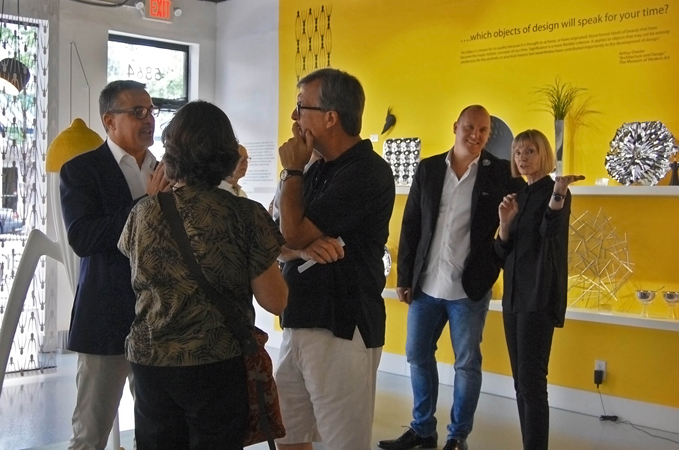 arango's continuing support for design education is expressed by a frequent use of the Miami store for exhibitions and events focusing upon designers, materials, manufacturers, student projects, and current design issues. 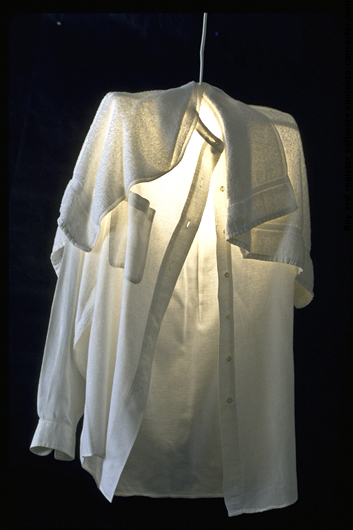 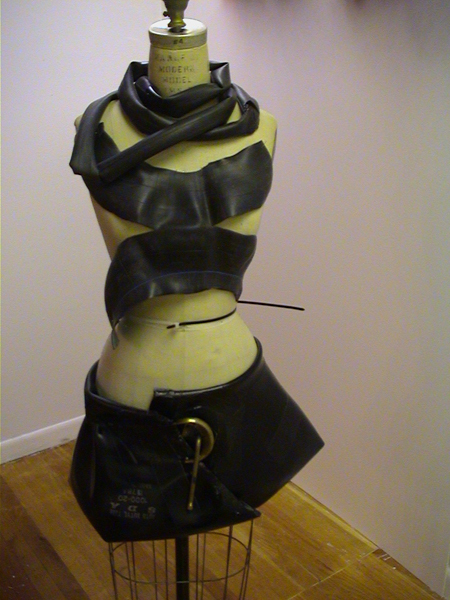 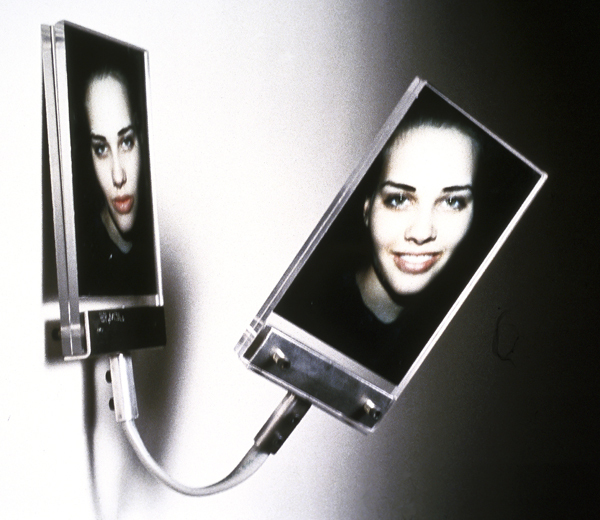 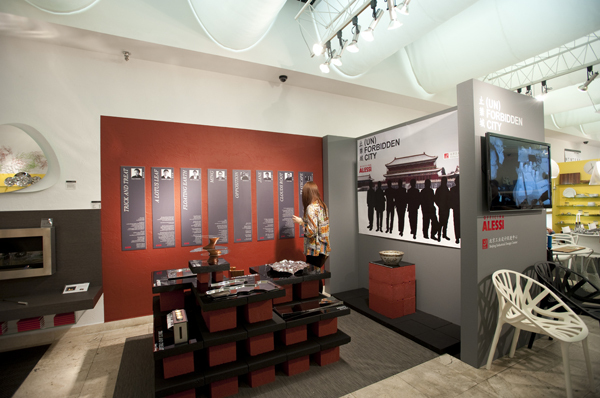 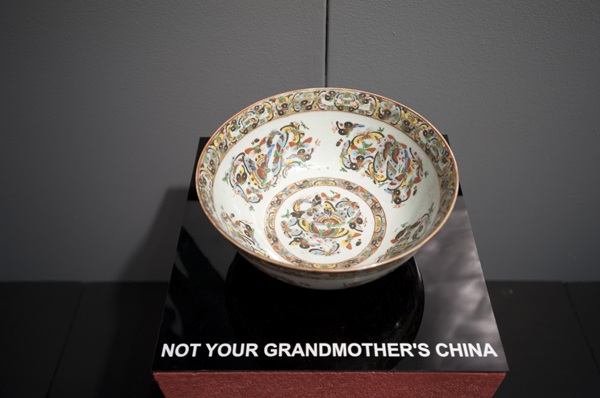 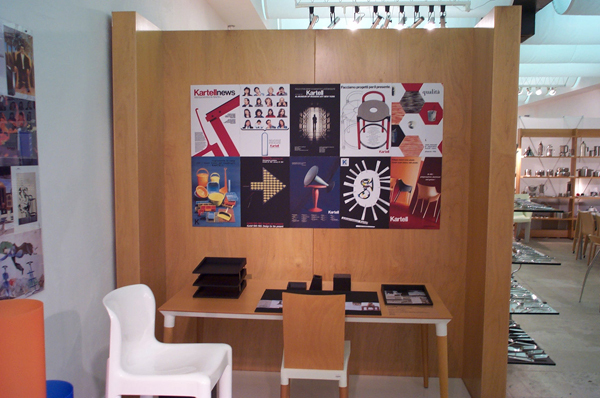 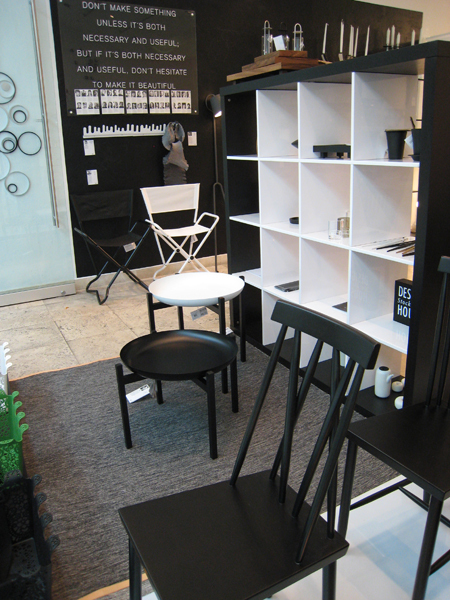 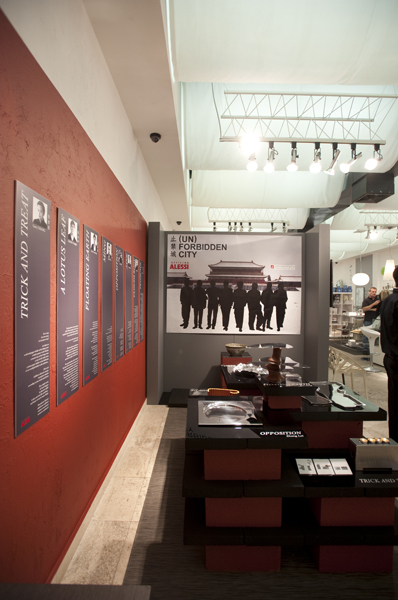 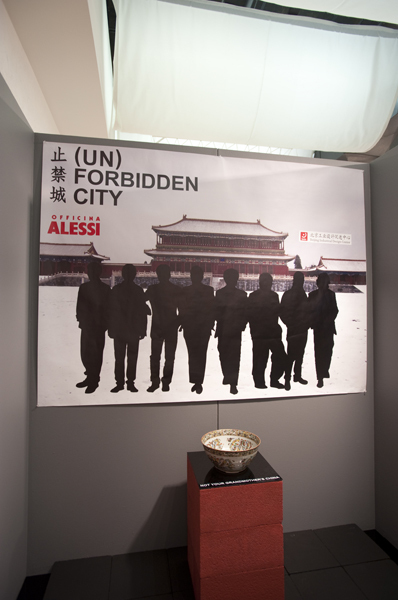 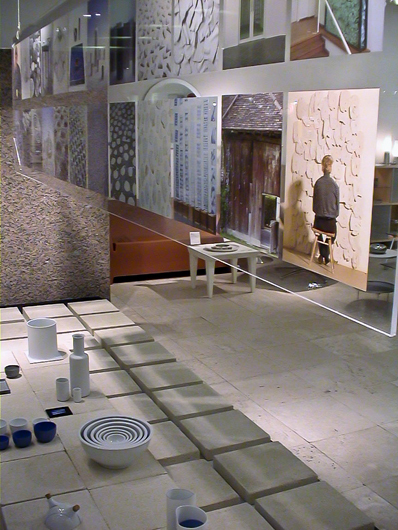 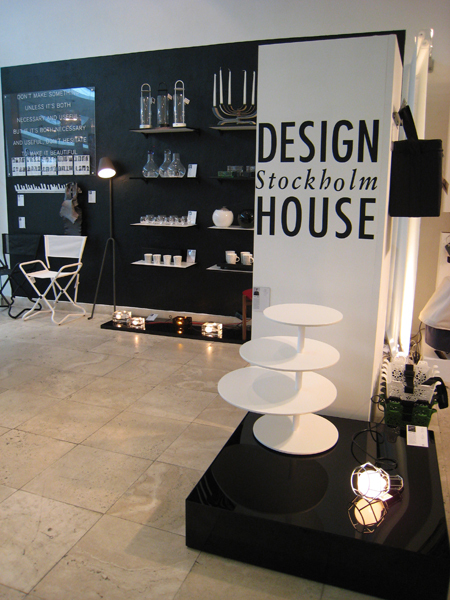 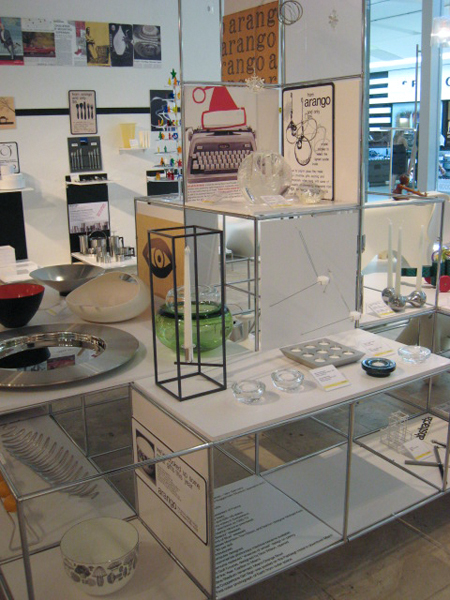 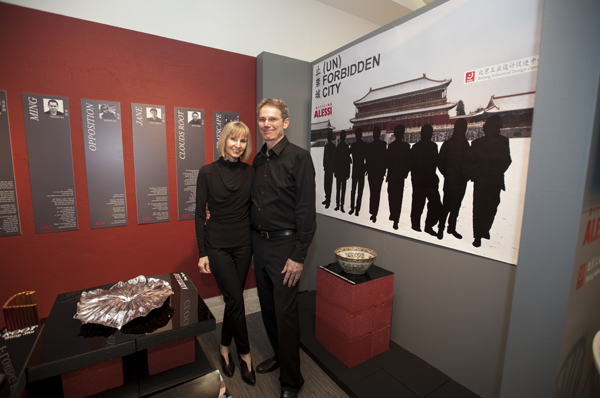 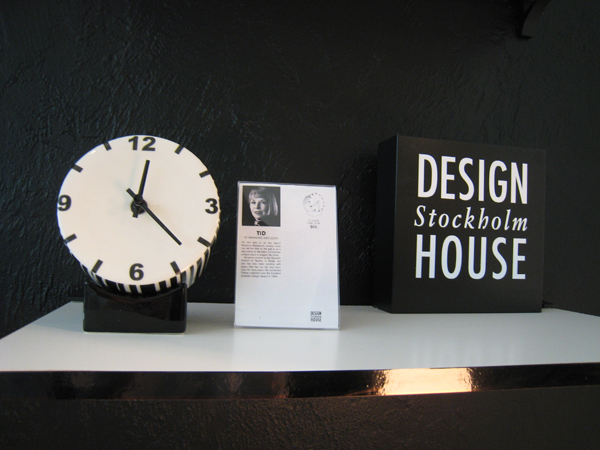 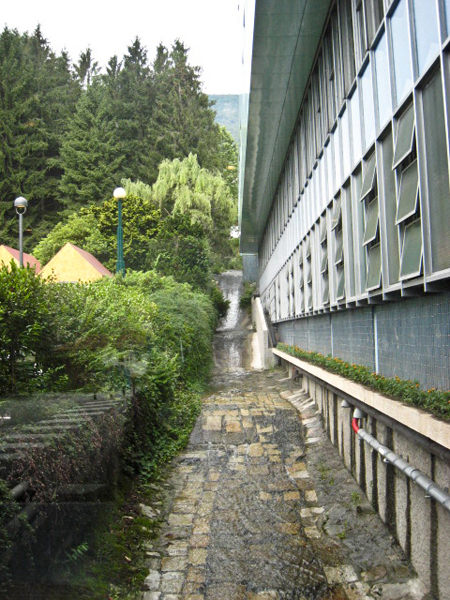 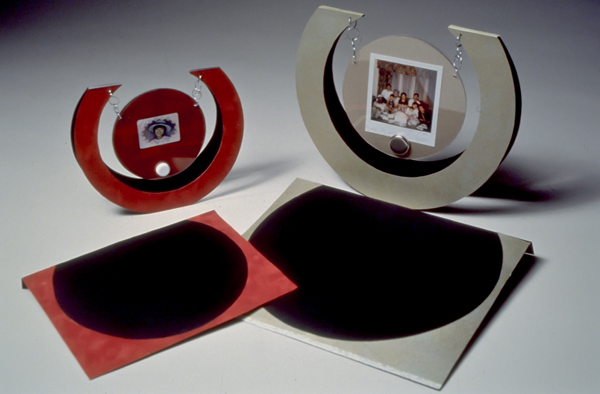 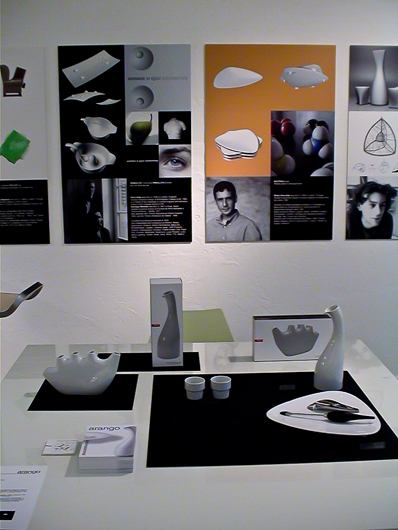 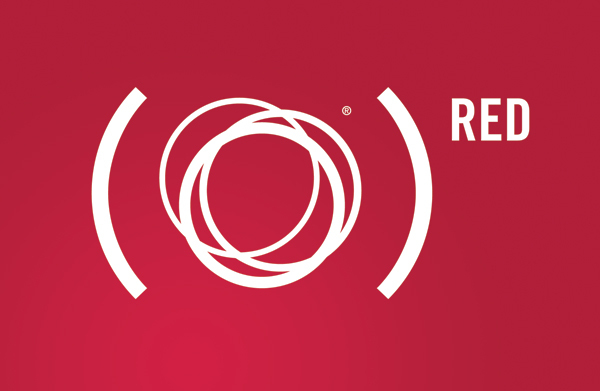 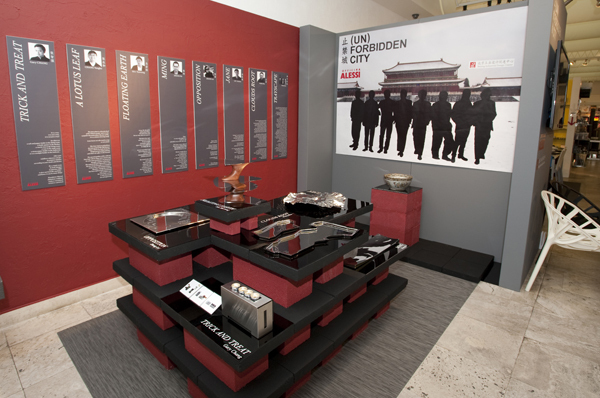 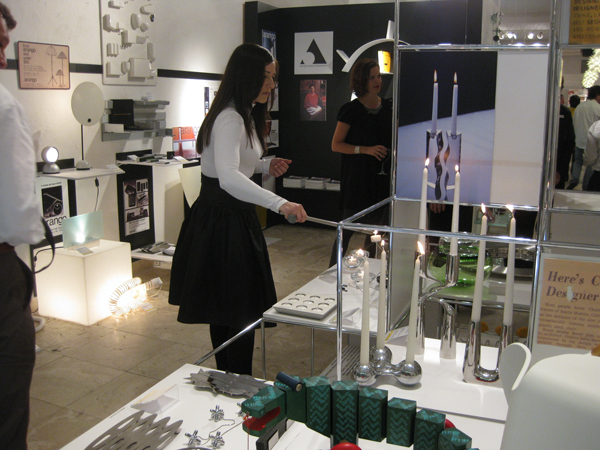 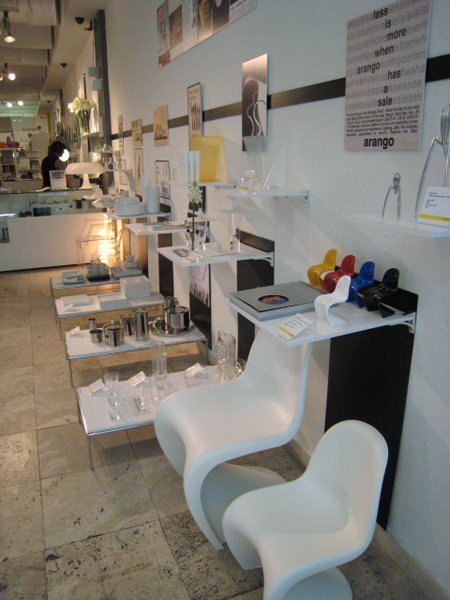 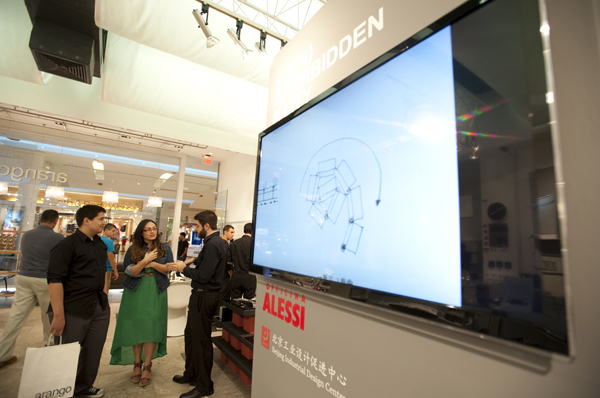 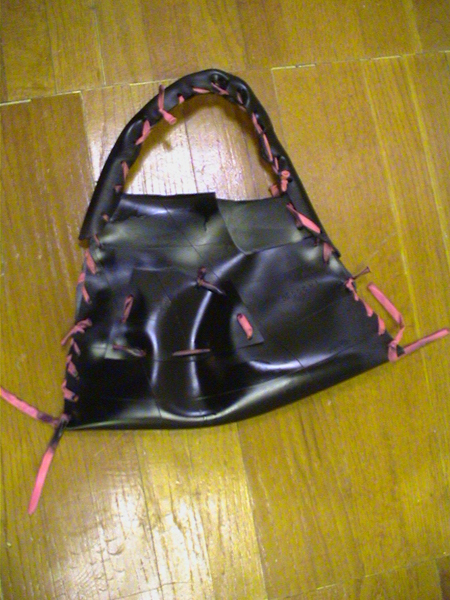 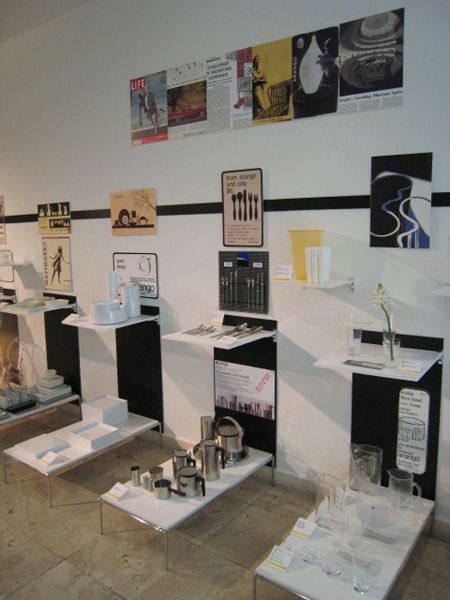 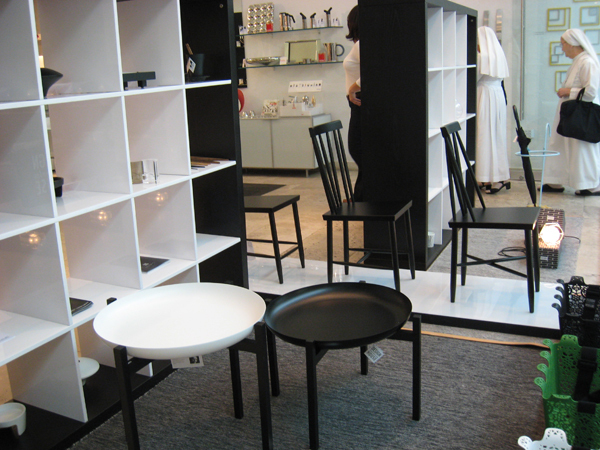 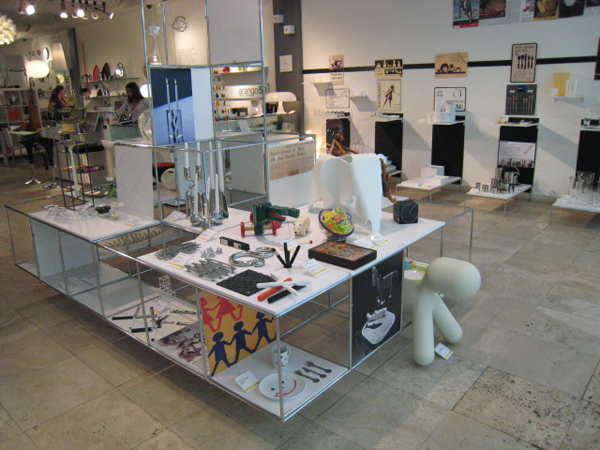 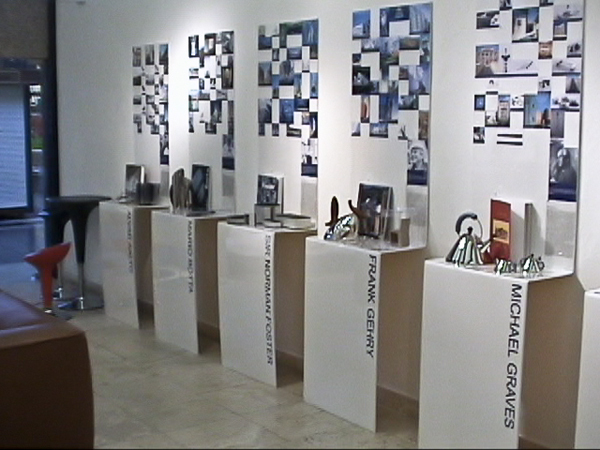 Past, undocumented exhibits include Italian, Austrian, Finnish, Dutch, Spanish, and Japanese Design, Women in Design, and exhibits presenting leading international manufacturers or individual designers. 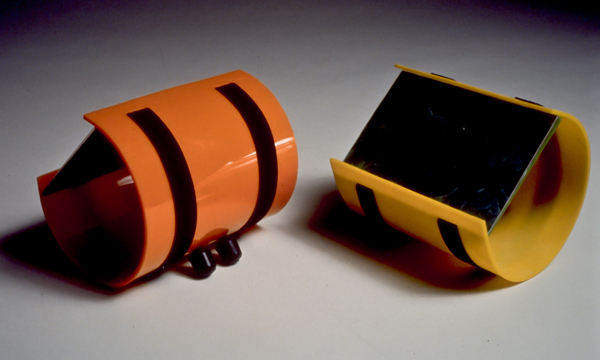 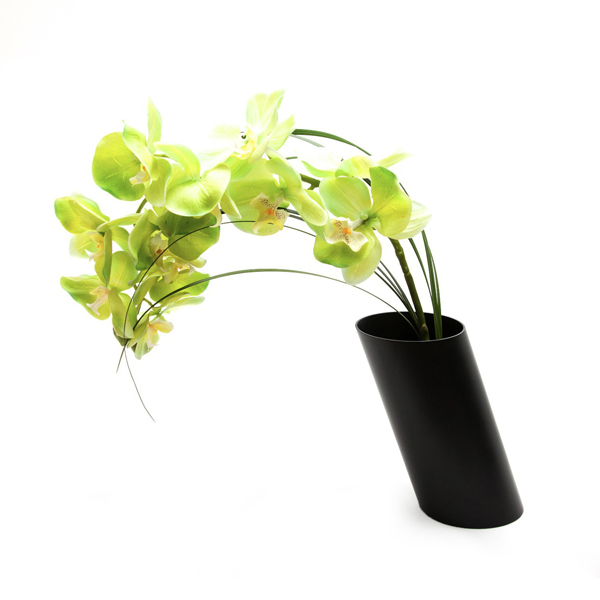 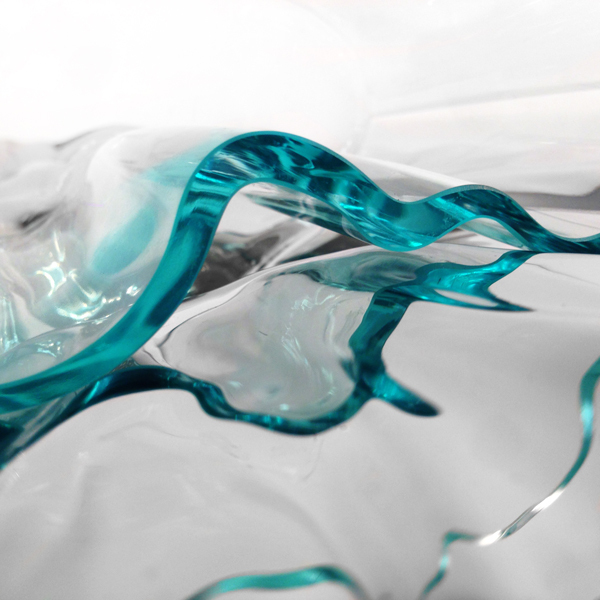 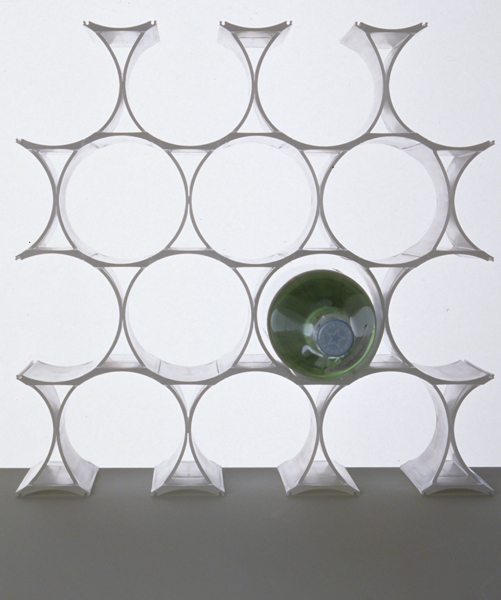 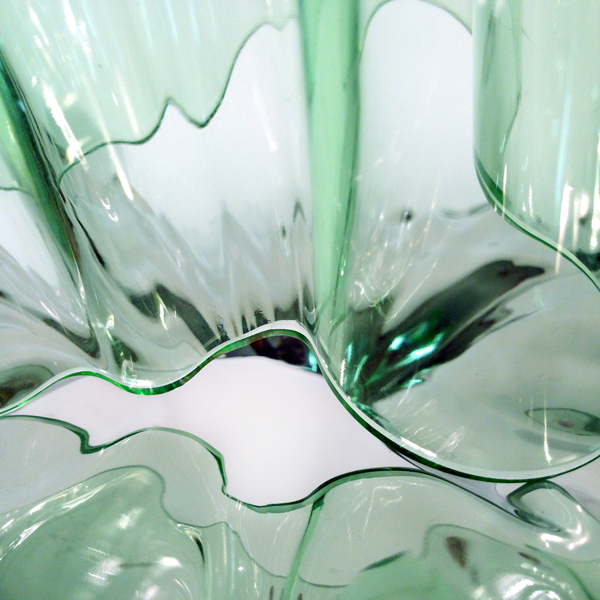 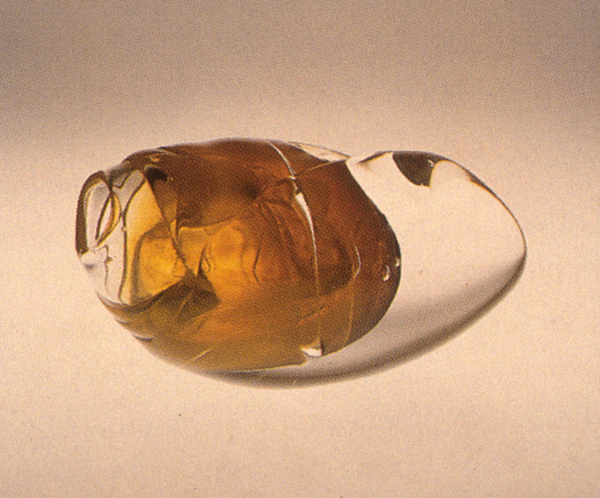 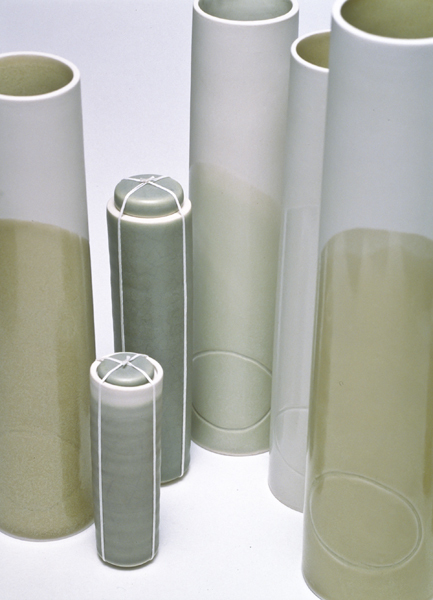 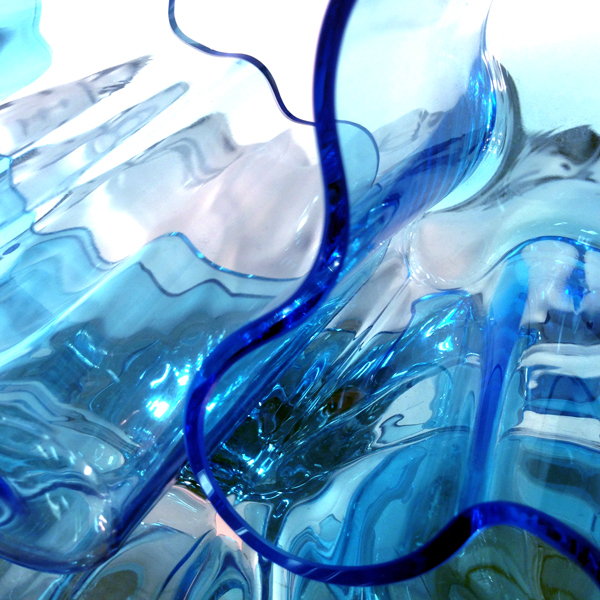 Exhibitions also address specific design themes, for example: Design from Recycled Materials, or the poetic forms of contemporary glass vases. 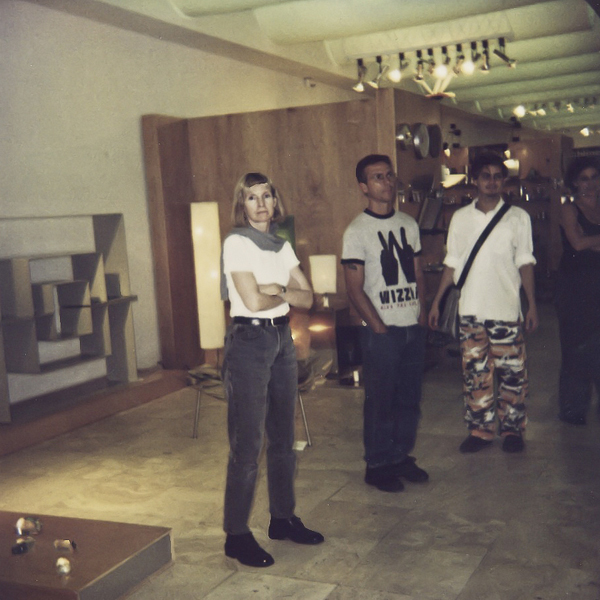 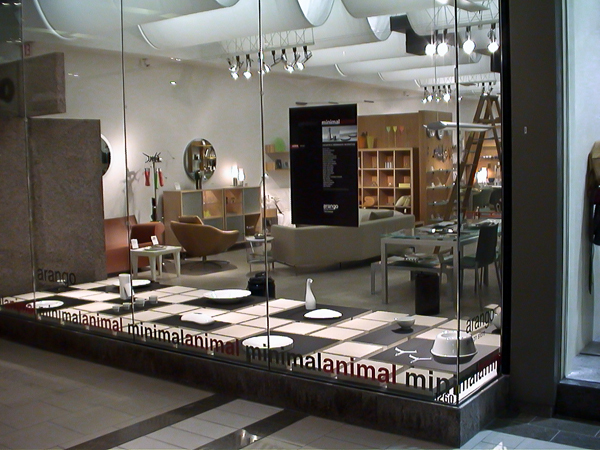 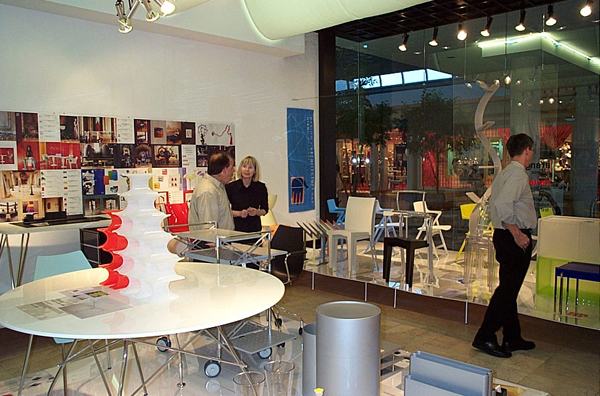 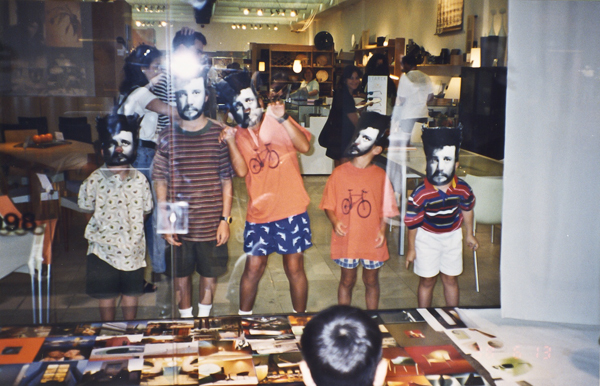 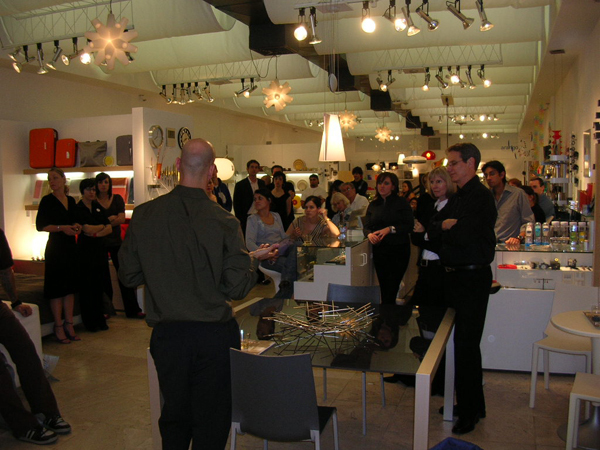 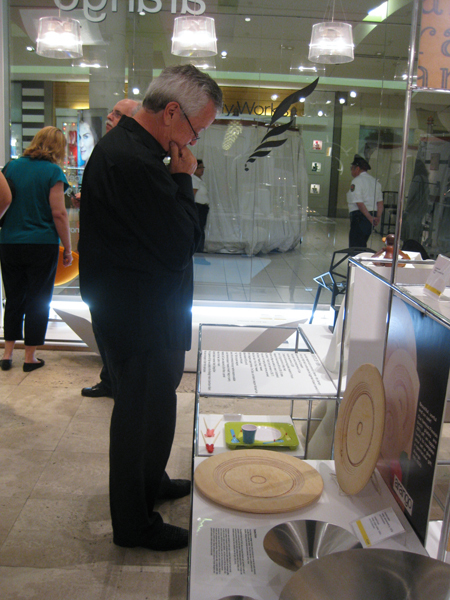 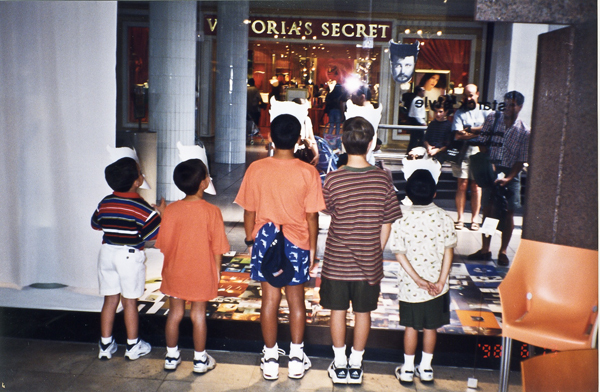 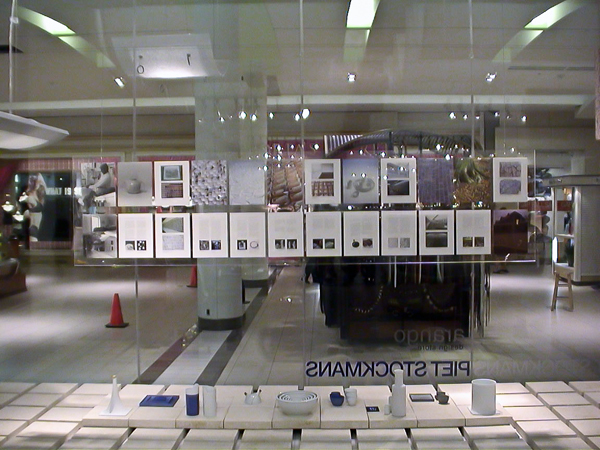 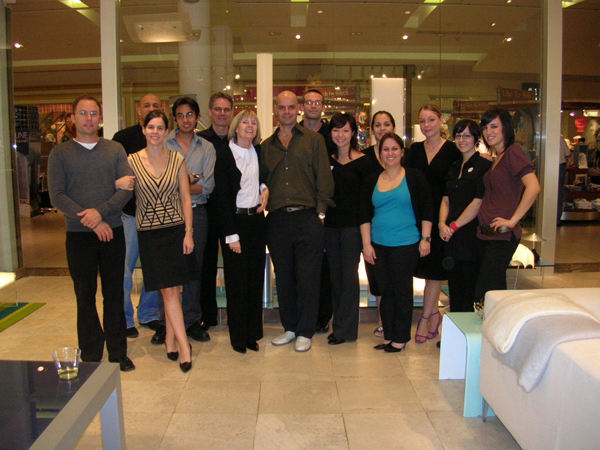 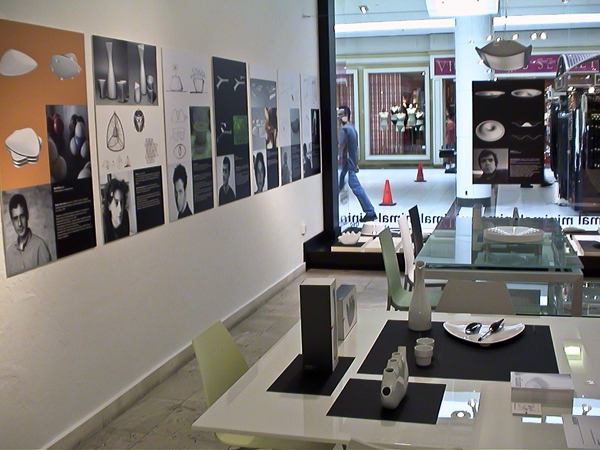 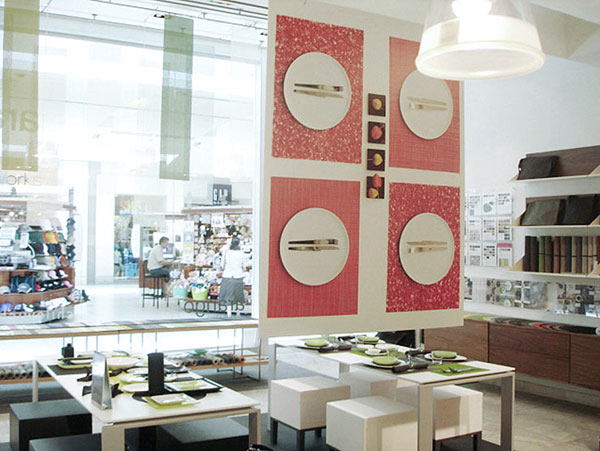 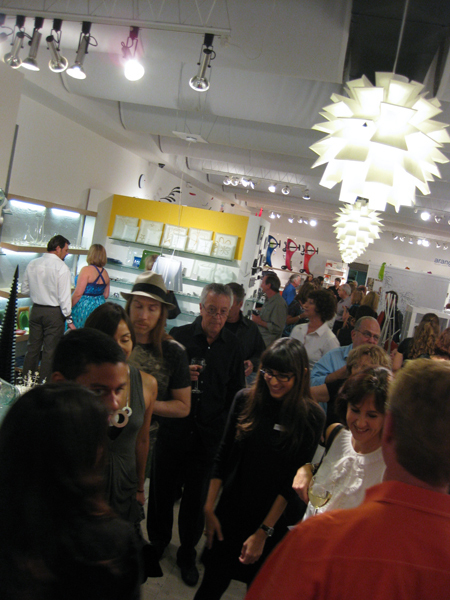 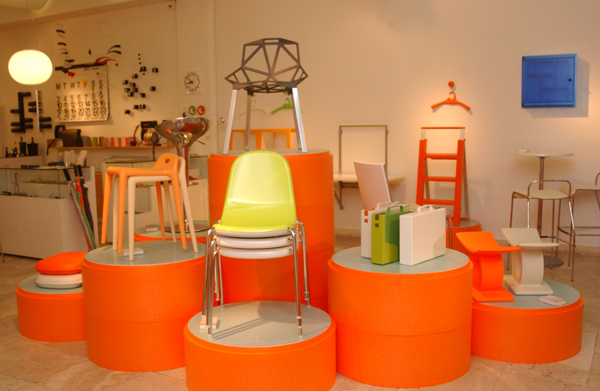 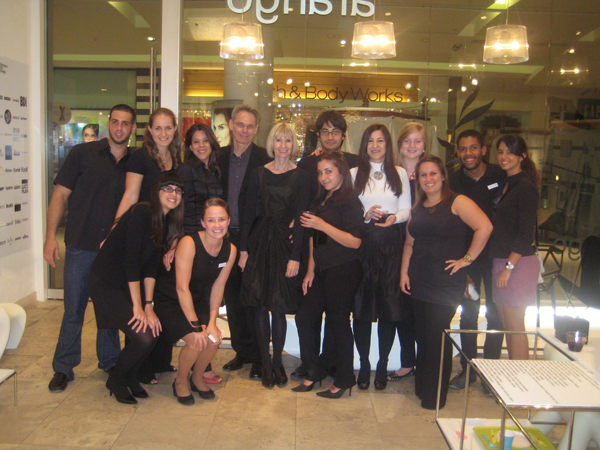 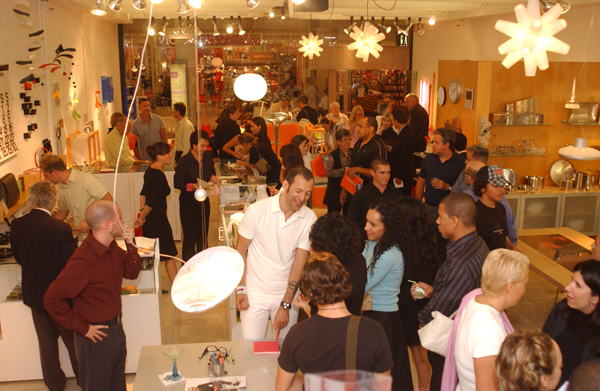 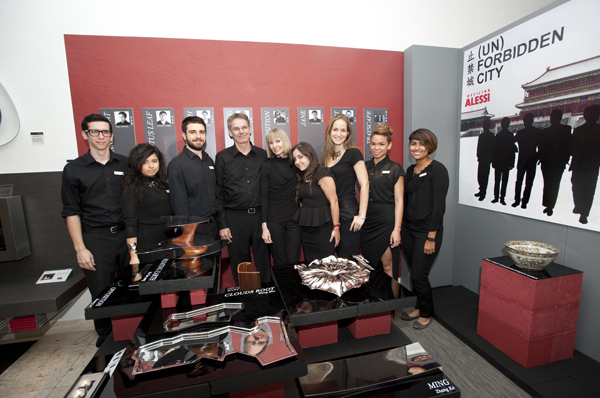 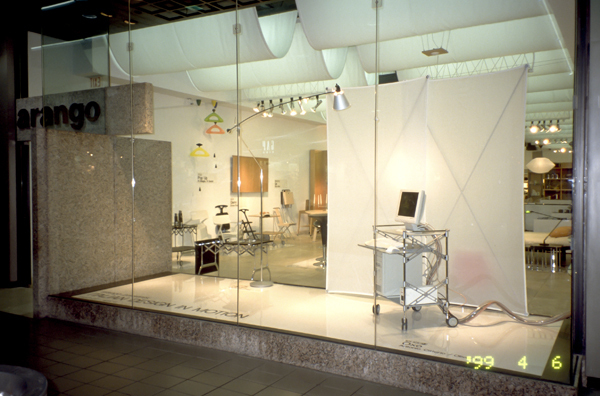 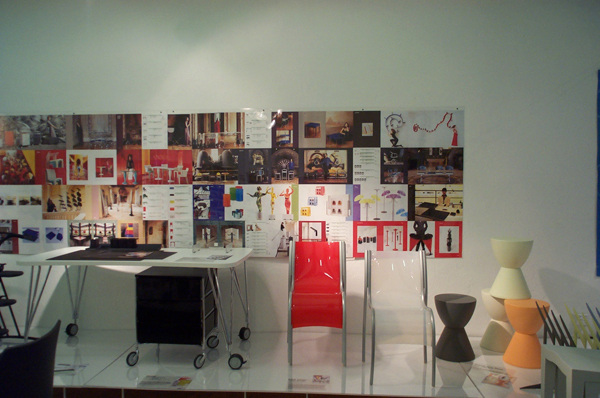 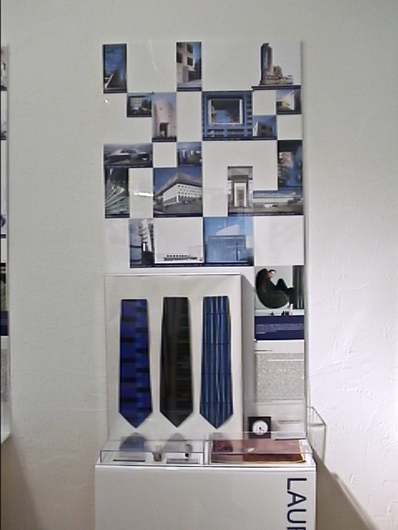 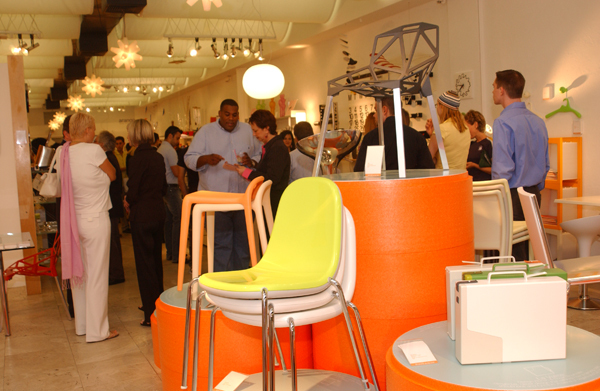 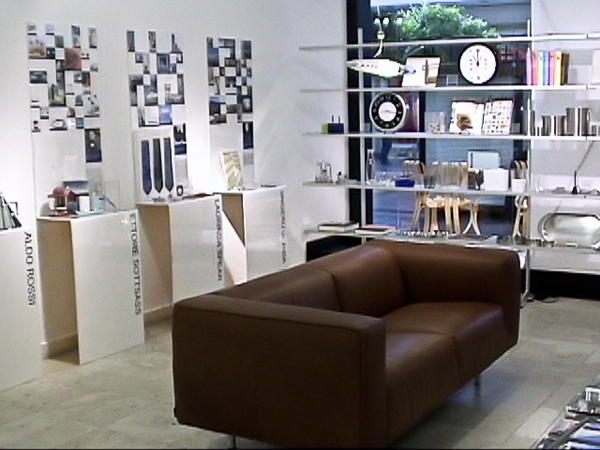 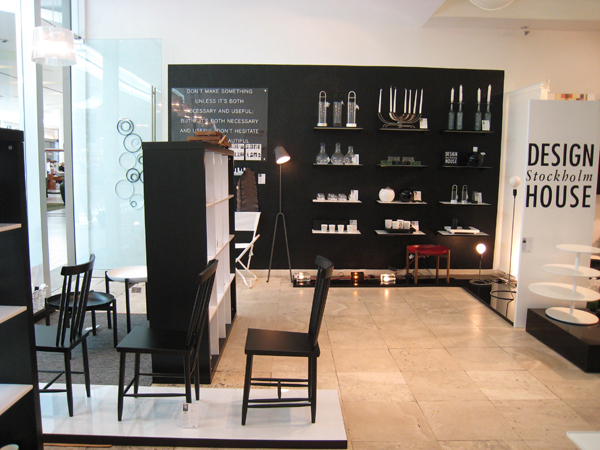 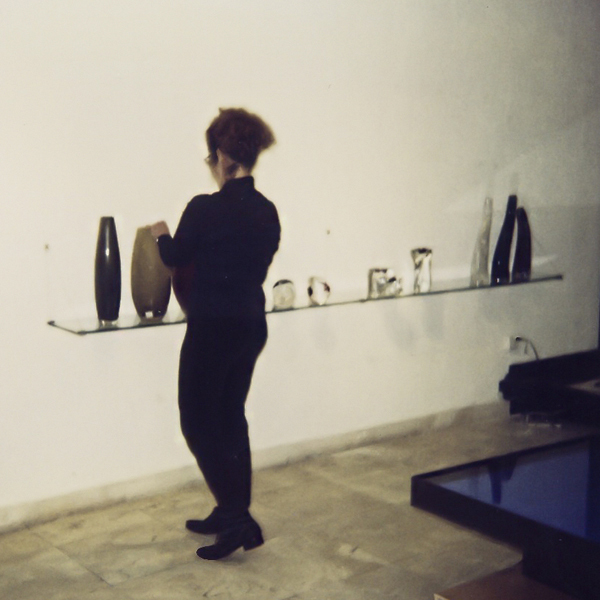 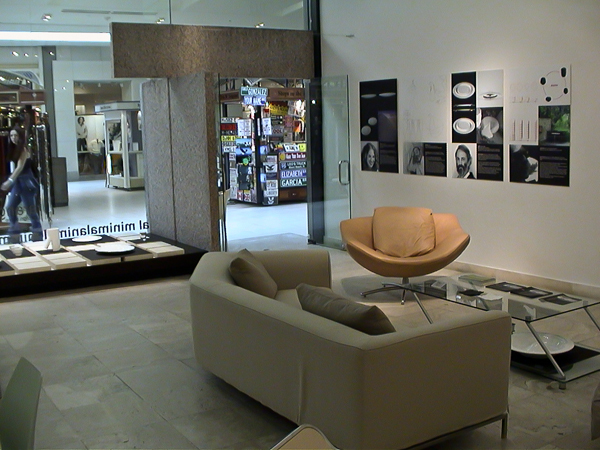 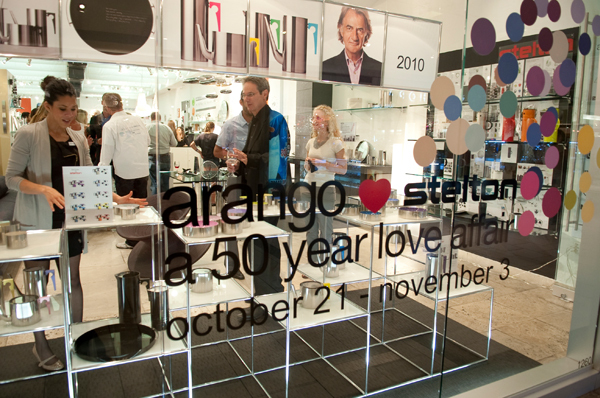 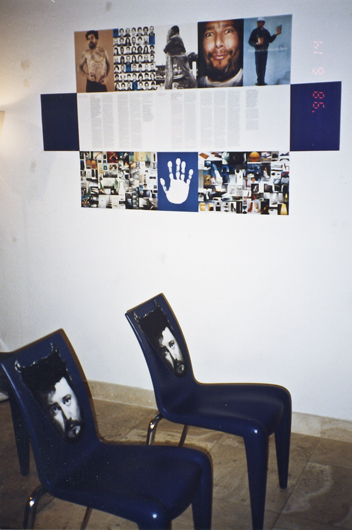 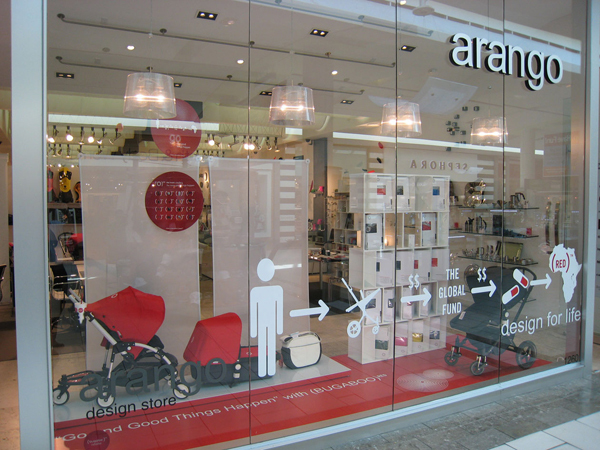 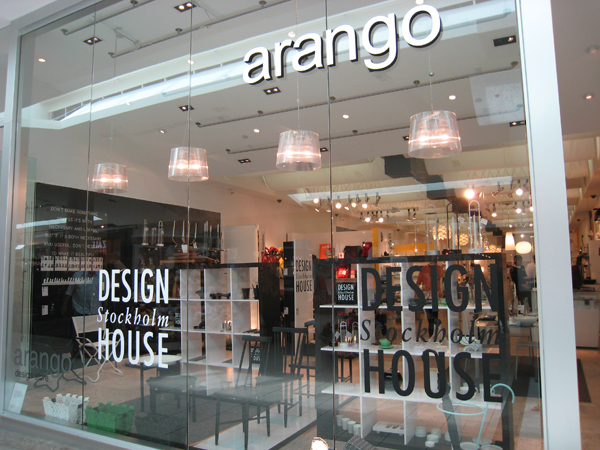 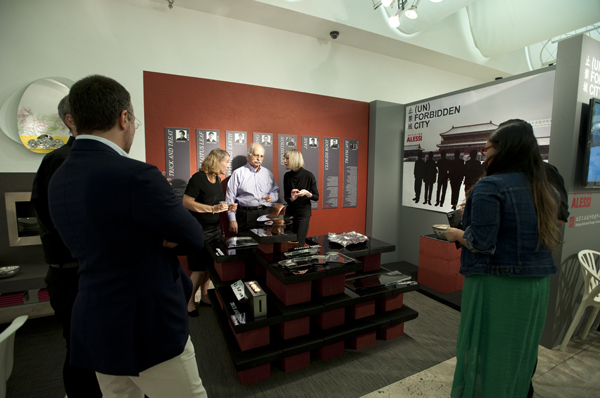 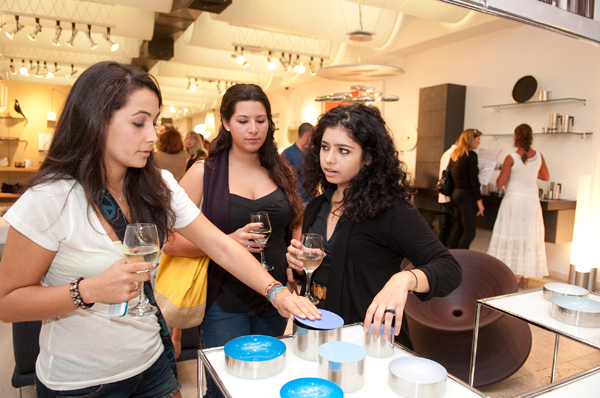 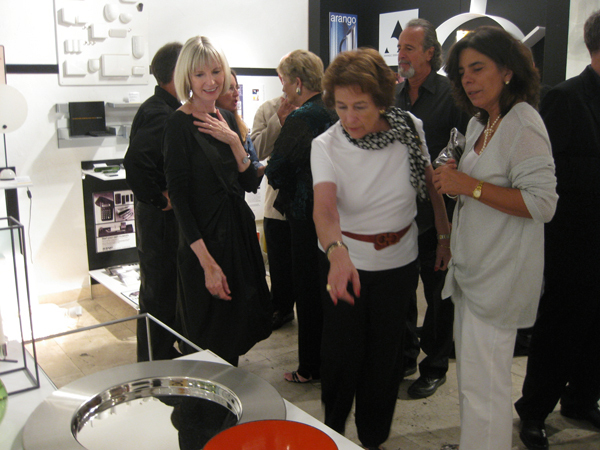 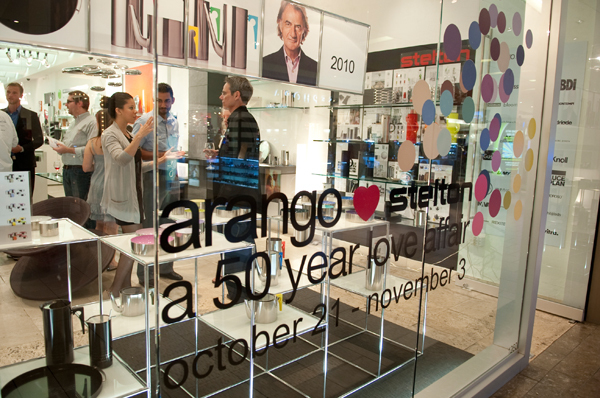 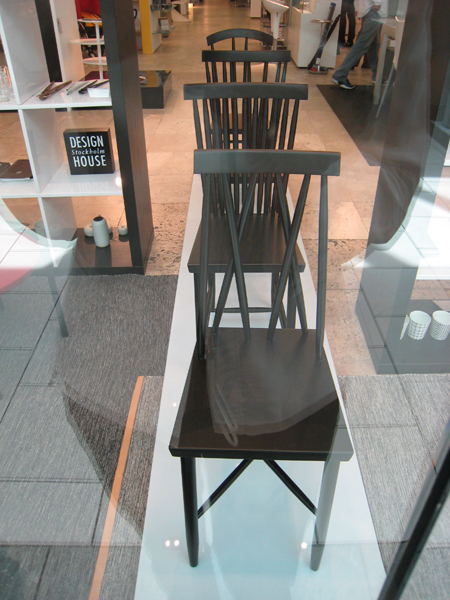 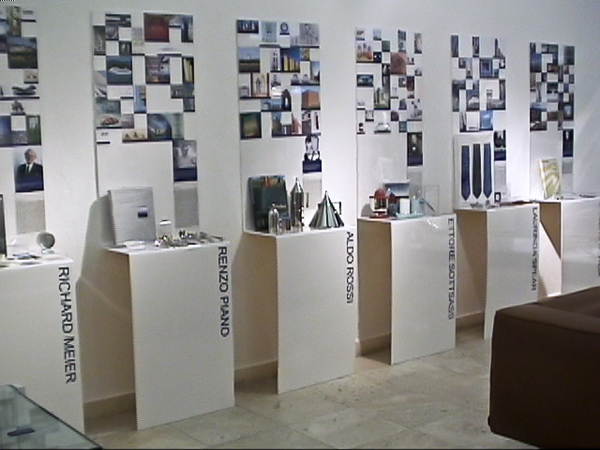 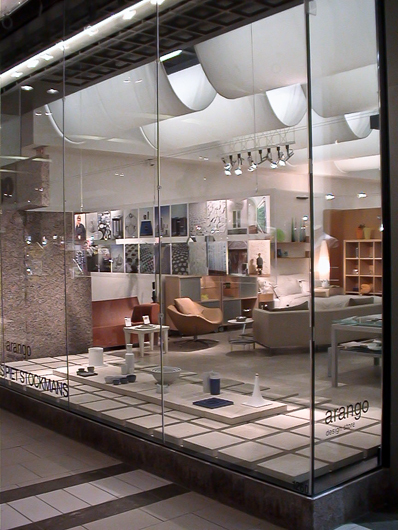 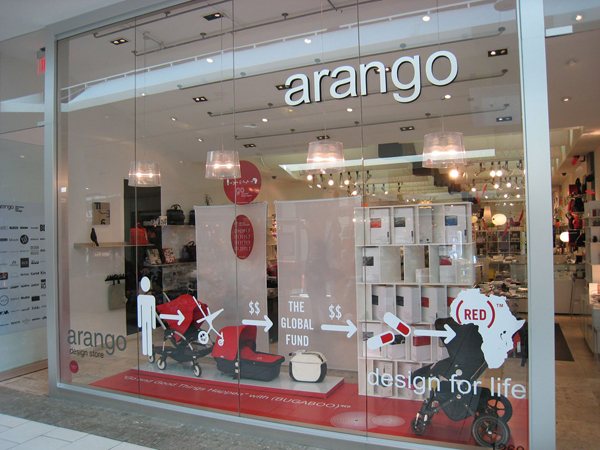 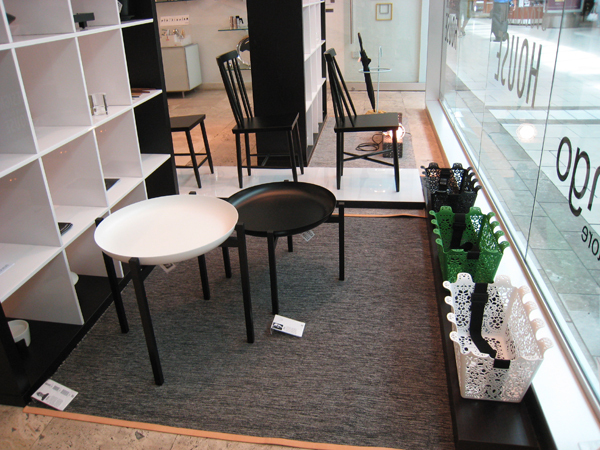 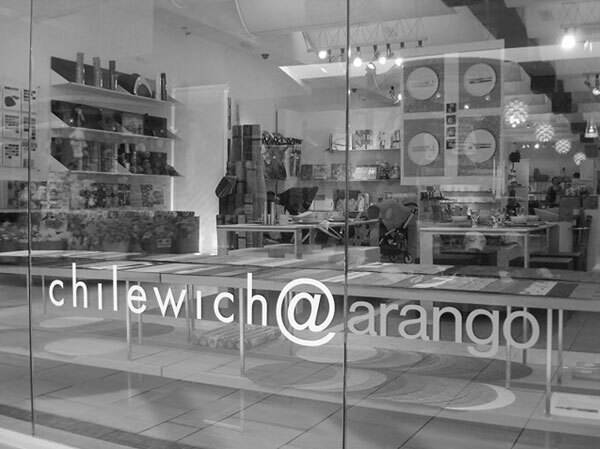 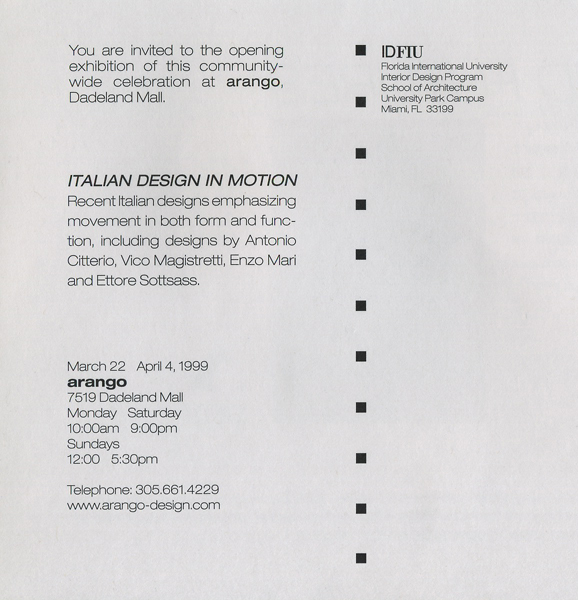 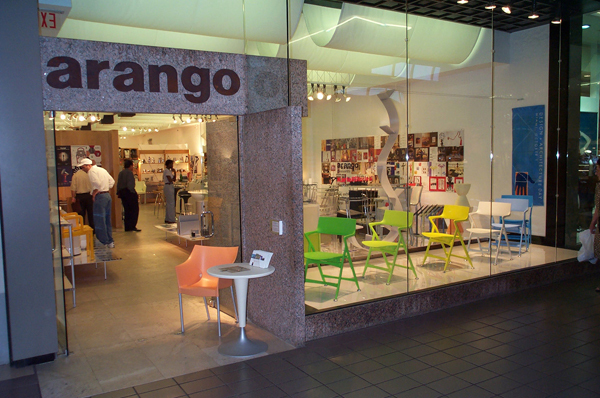 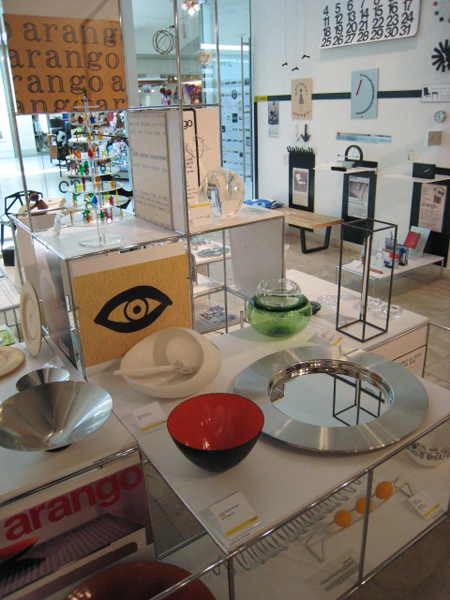 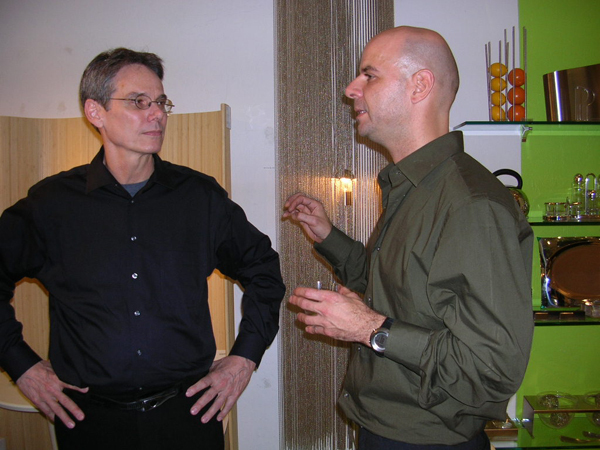 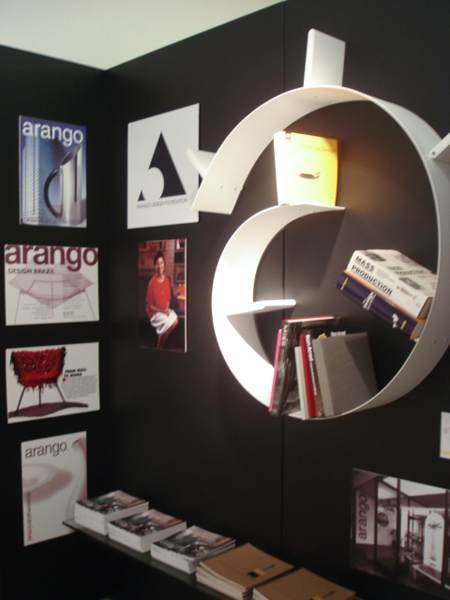 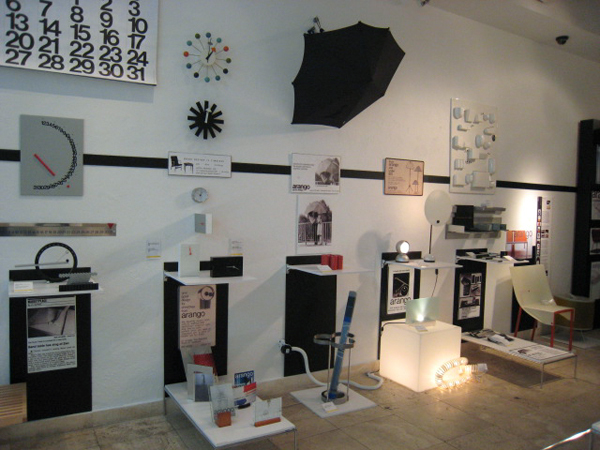 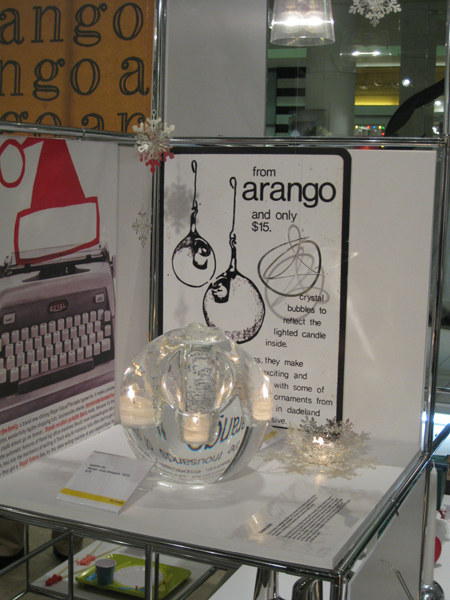 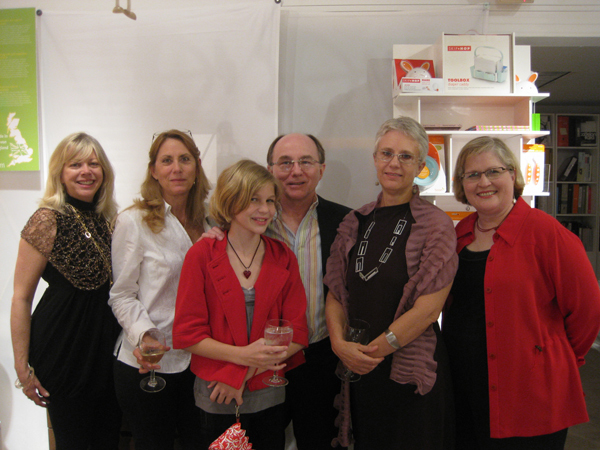 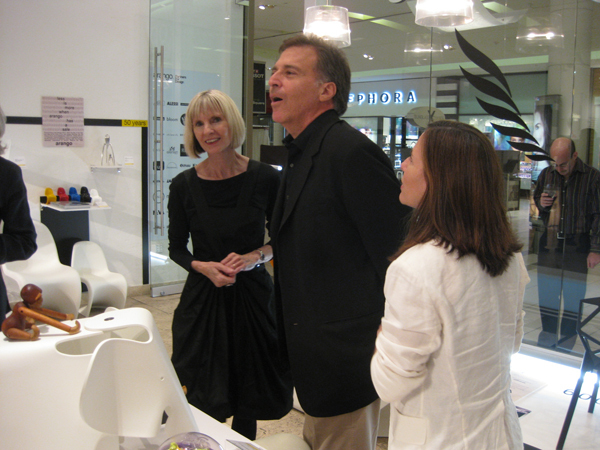 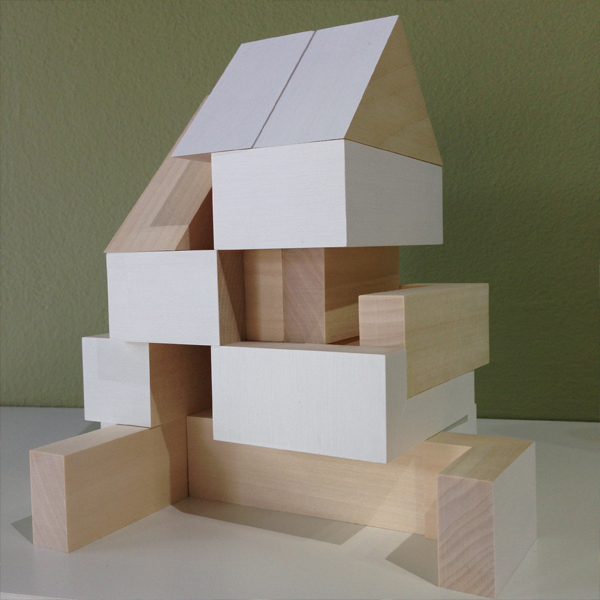 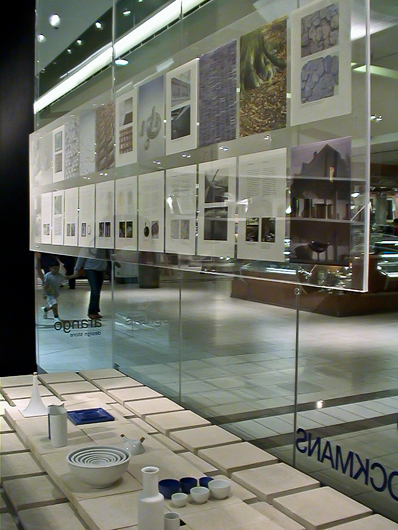 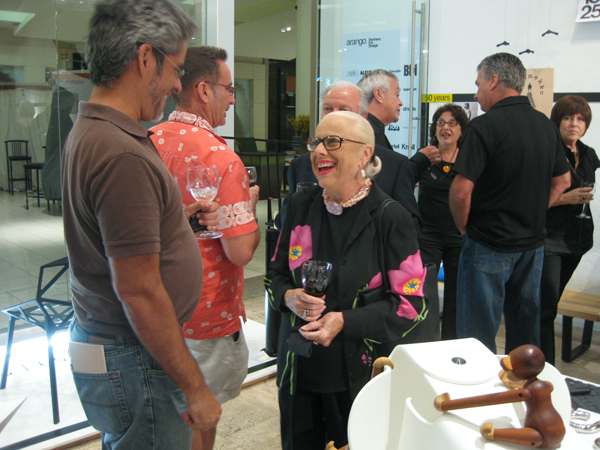 The educational experience obtained through in-store design exhibitions stimulated the formation of the Arango Design Foundation, a separate, non-profit organization dedicated to the expression of dialog about good design. 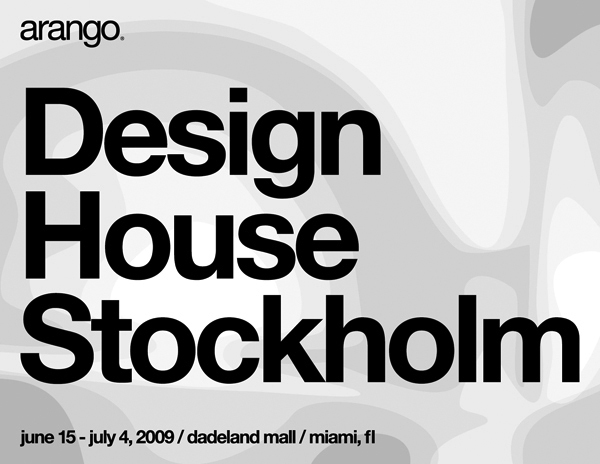 The foundation promoted Design + Architecture Day, a European tradition of community-based activities, coordinated to enhance public awareness of local design activity. 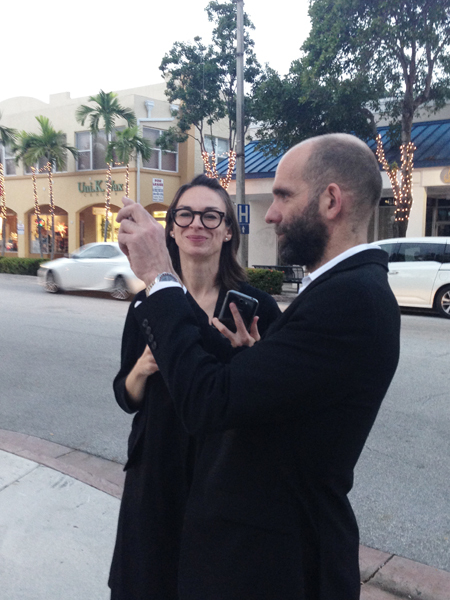 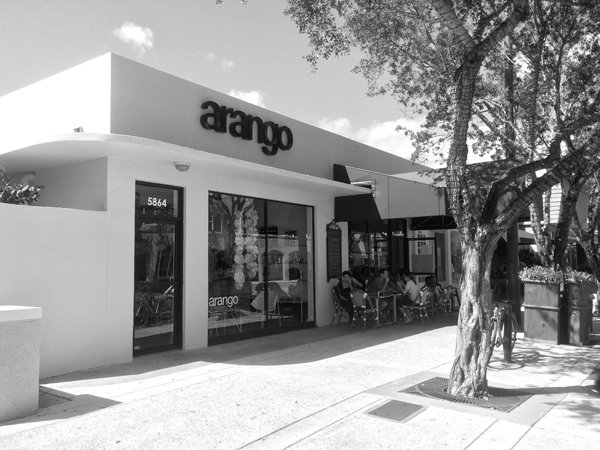 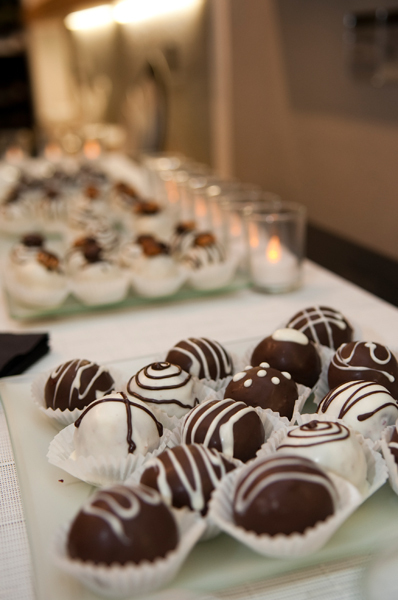 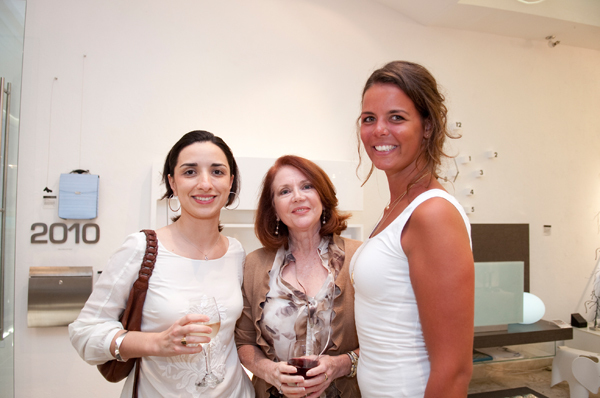 arango’s new presence in South Miami supports on-the-street community activities including art fairs and artwalks. 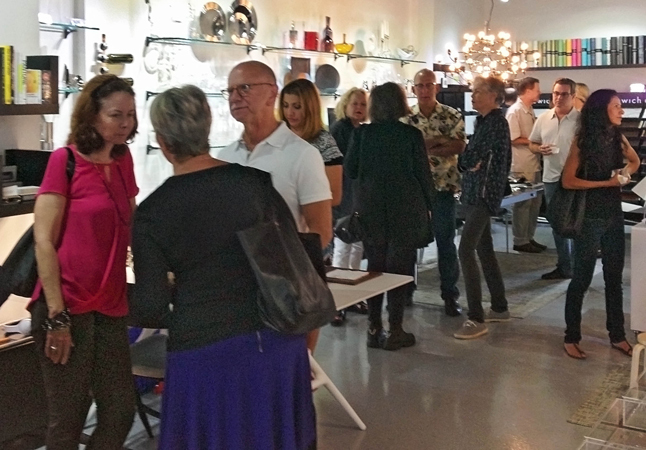 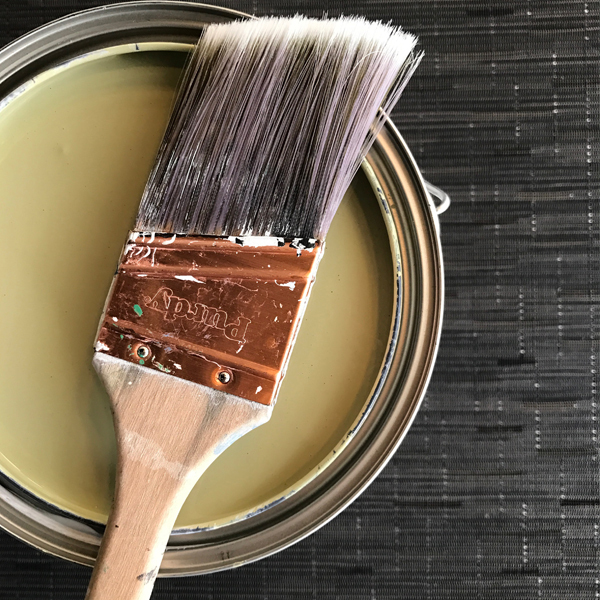 friday night spotlight is an outgrowth of SOMI artwalk, enlivening the second Friday of each month between October and March with dedicated venues featuring local artists and designers from 6-9pm. 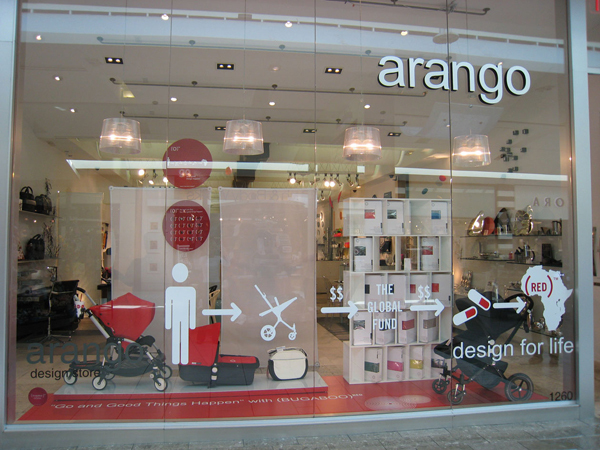 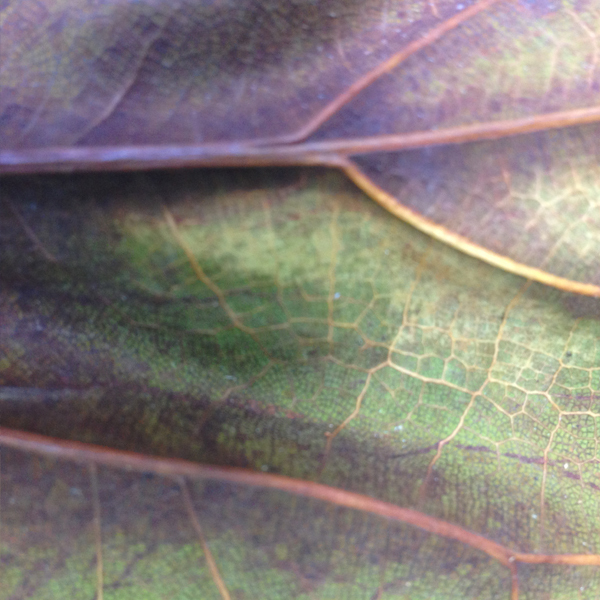 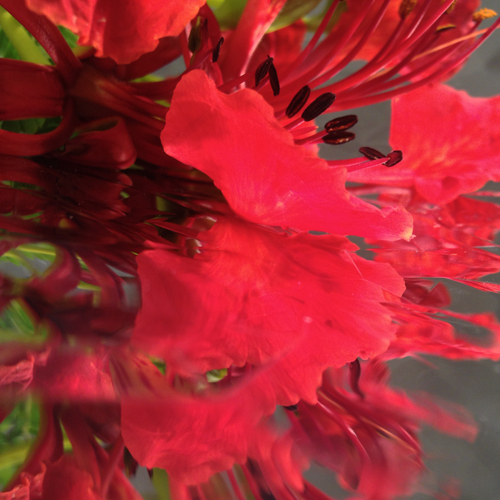 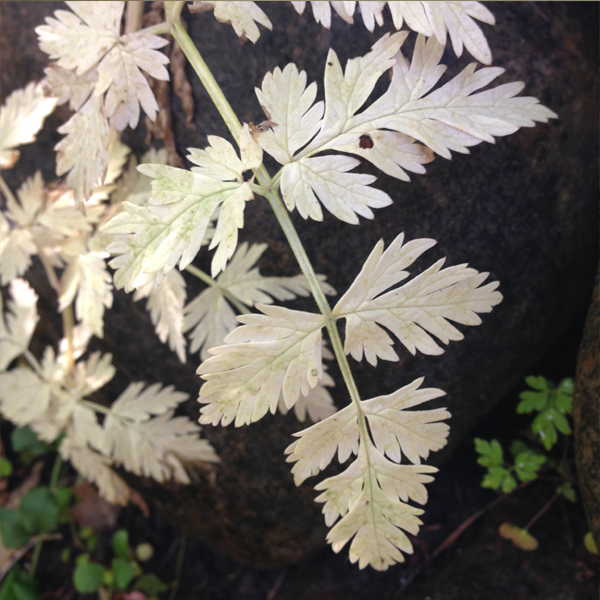 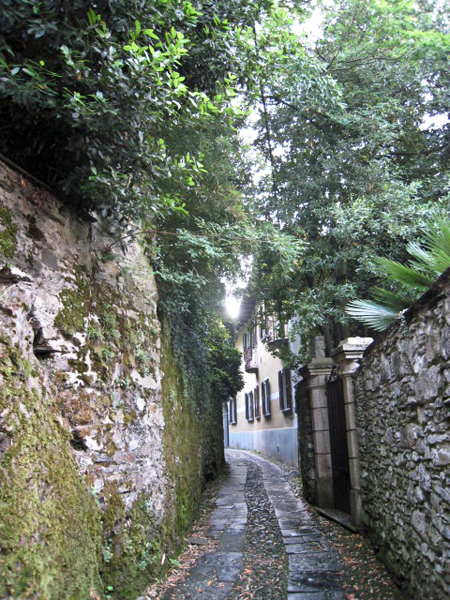 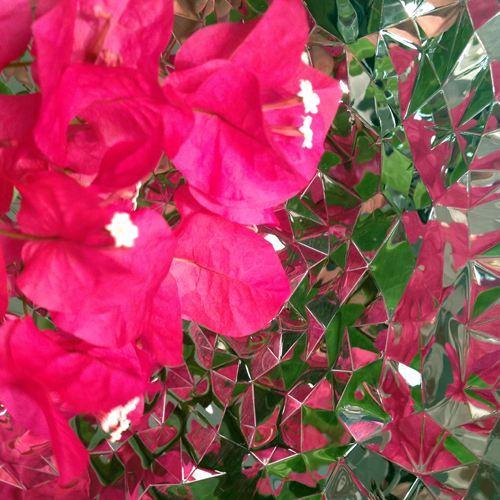 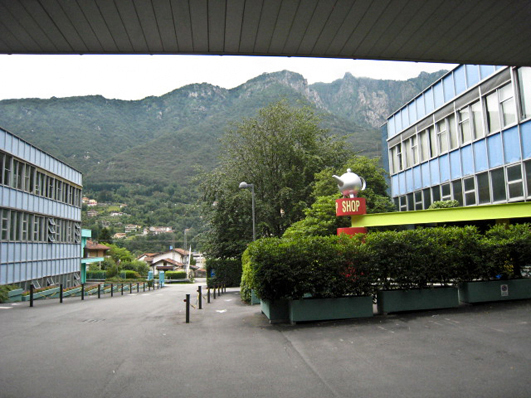 arango transitions from winter to spring - welcome to our photographic diary. 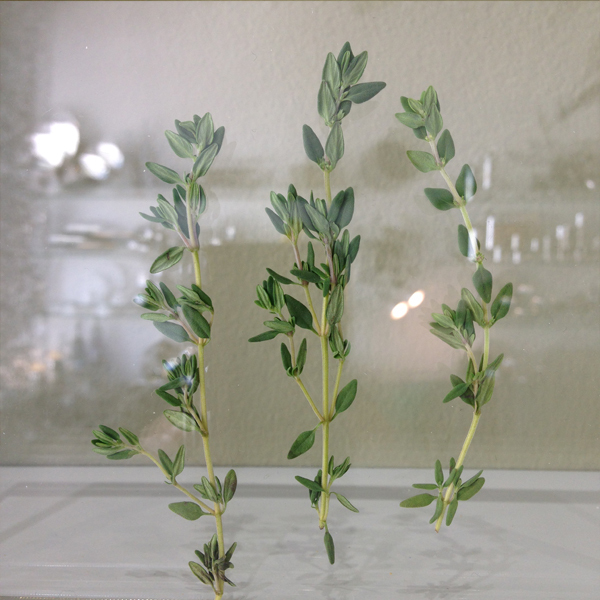 "Are you going to Scarborough Fair? 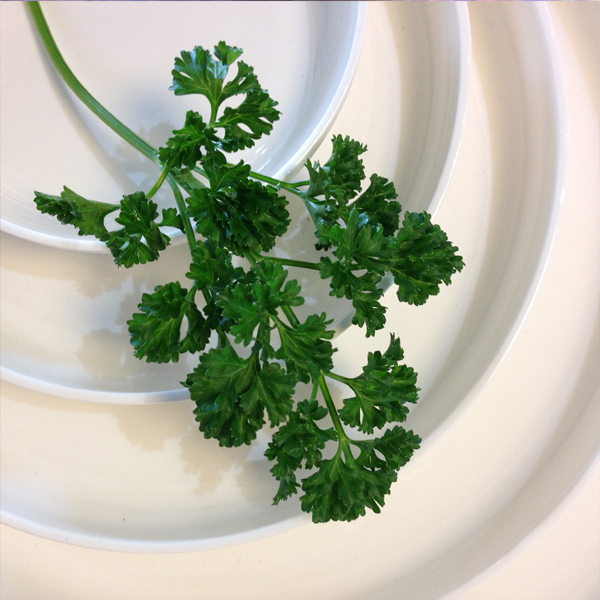 Parsley, sage, rosemary, and thyme. 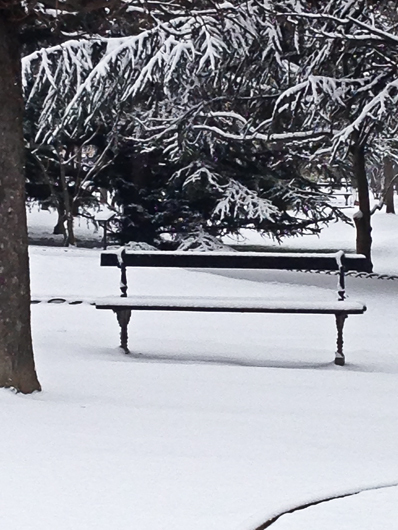 Remember me to one who lives there She once was a true love of mine..." - Simon & Garfunkel, 1966. 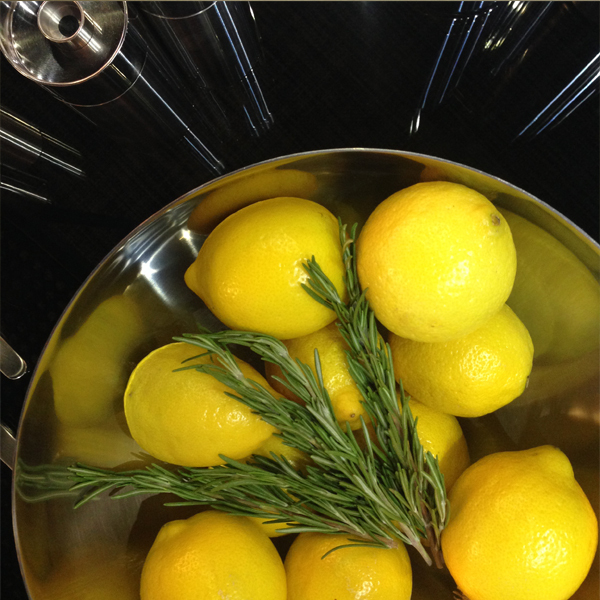 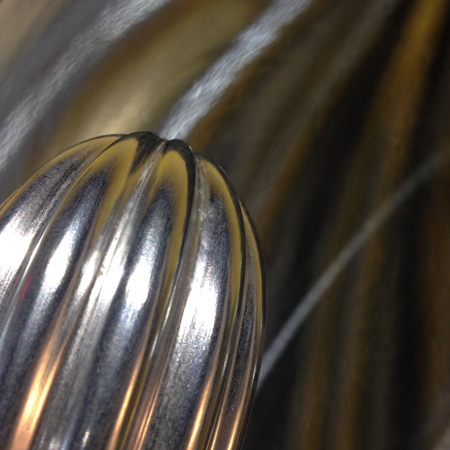 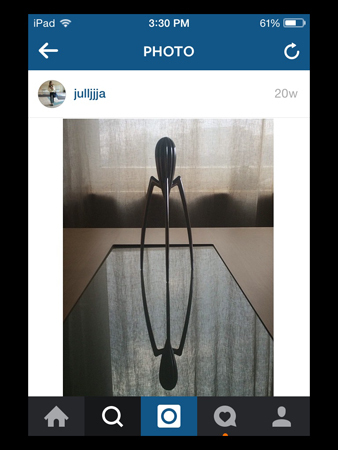 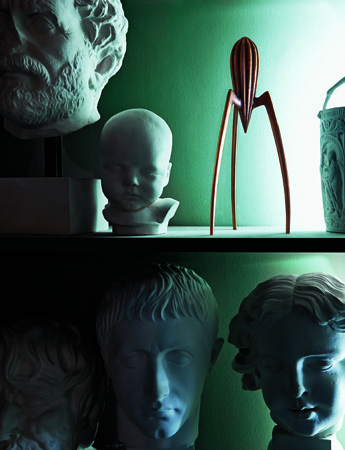 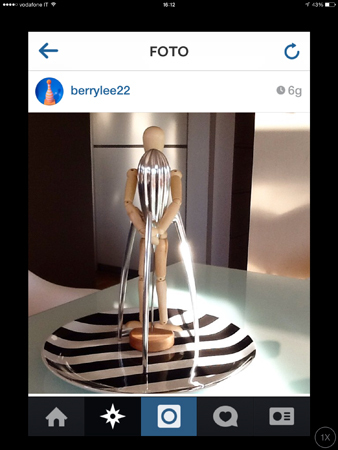 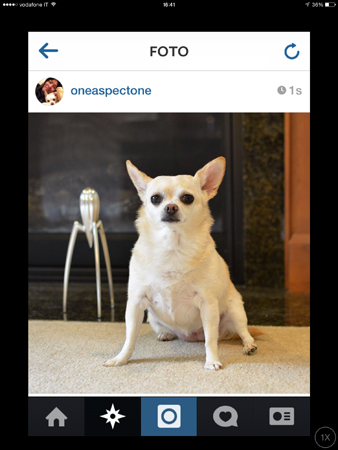 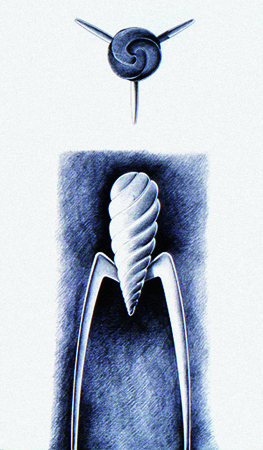 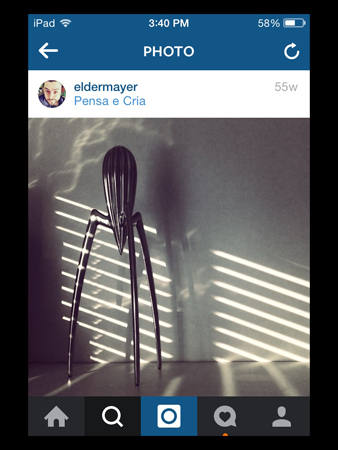 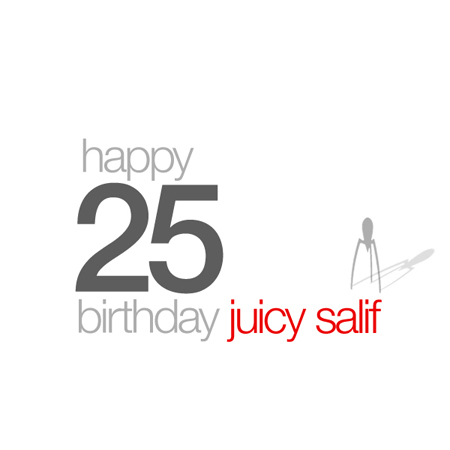 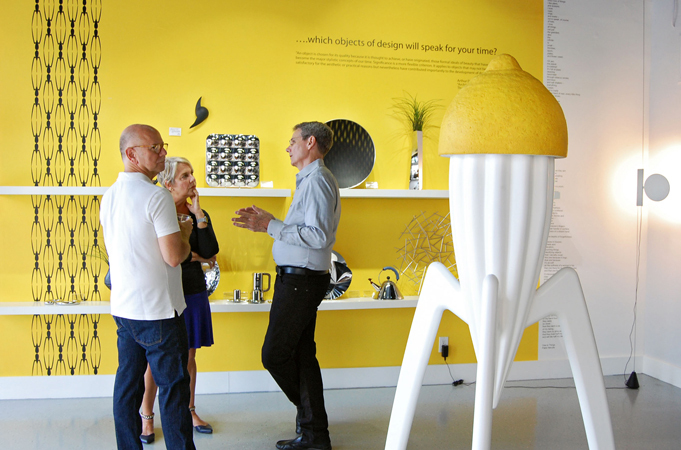 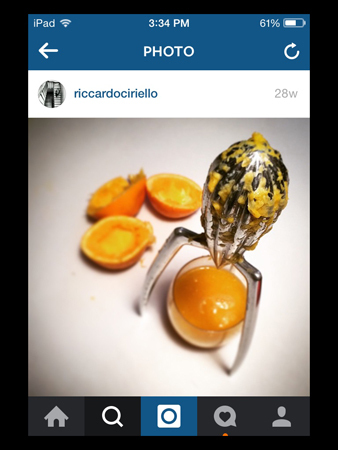 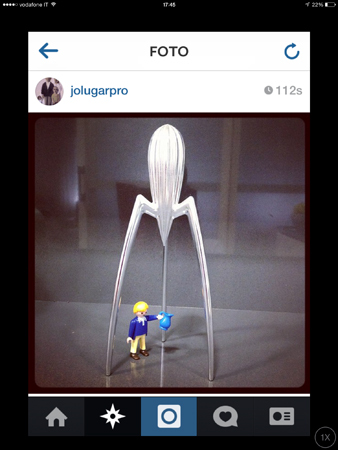 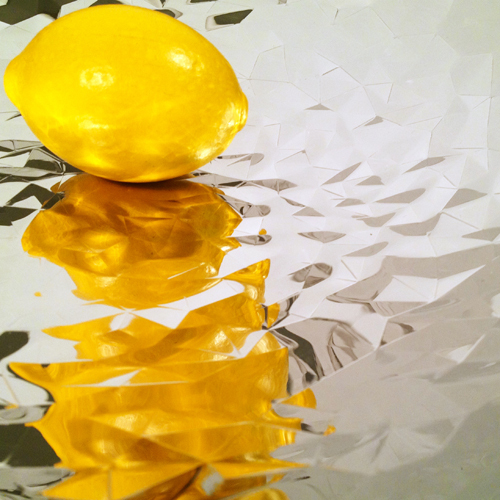 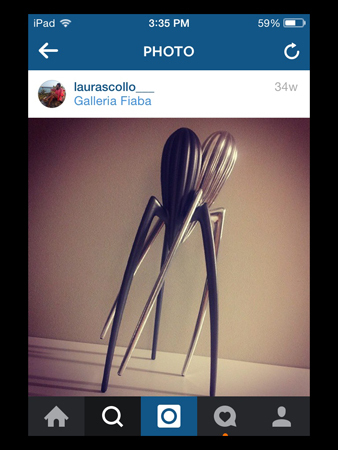 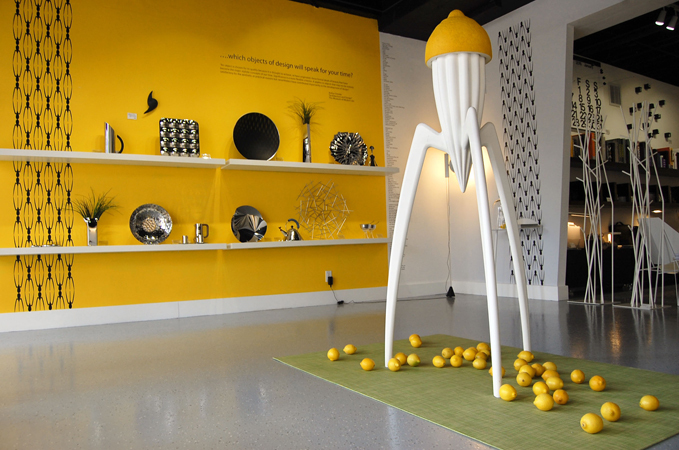 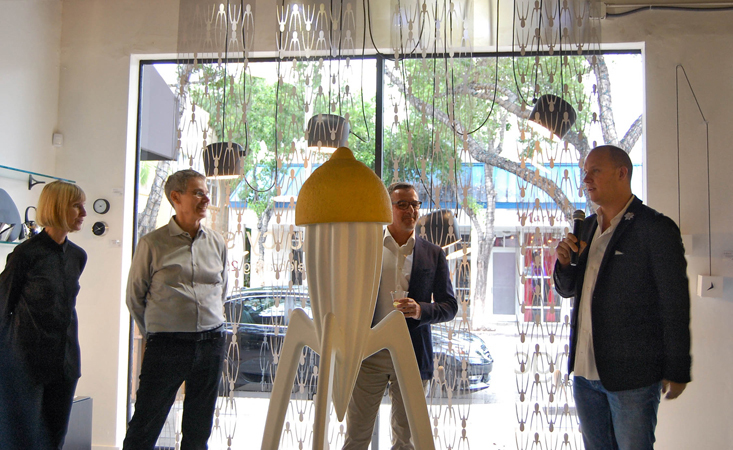 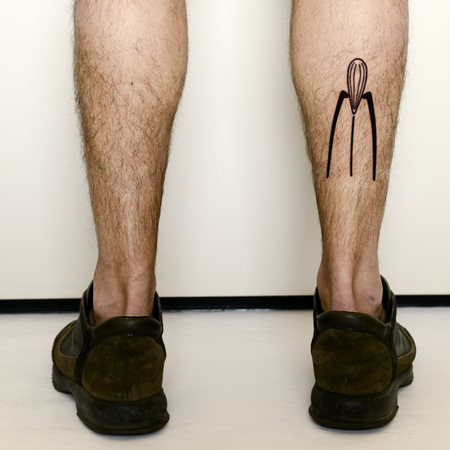 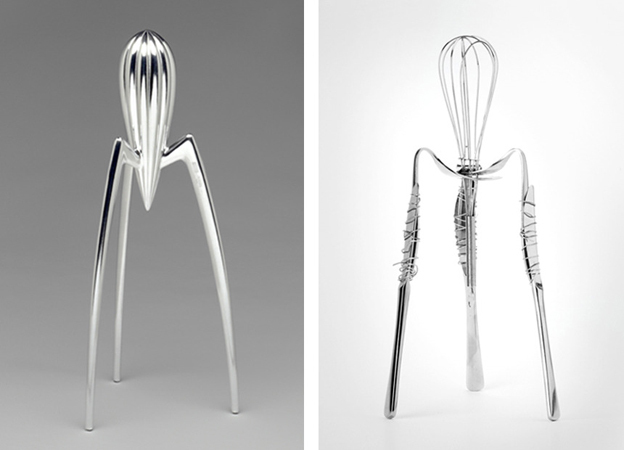 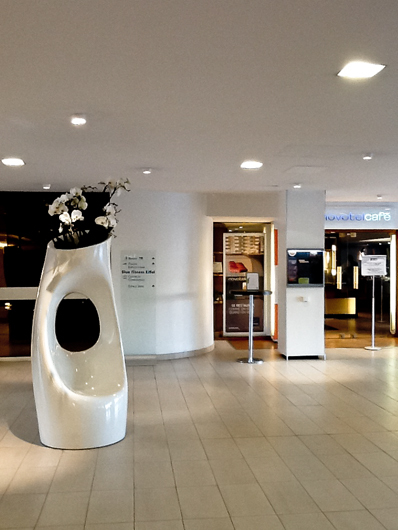 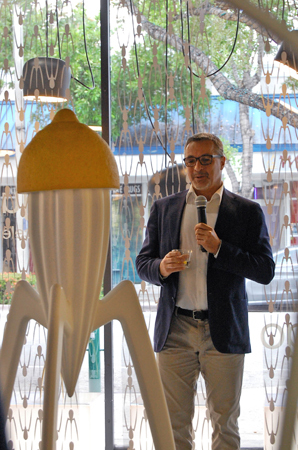 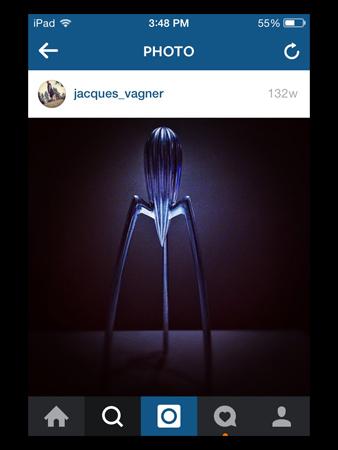 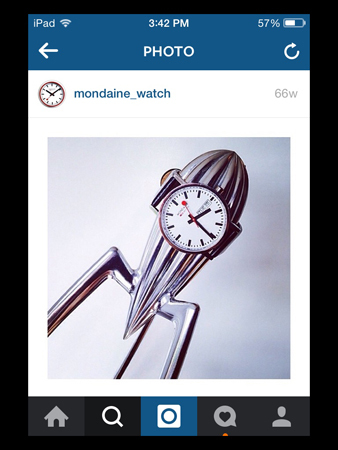 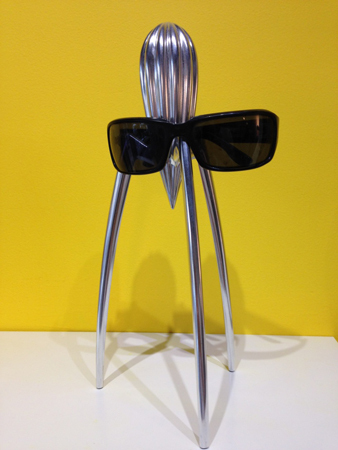 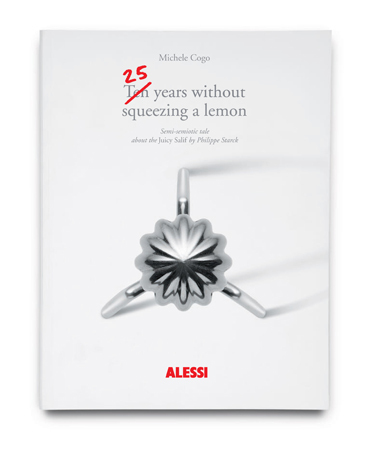 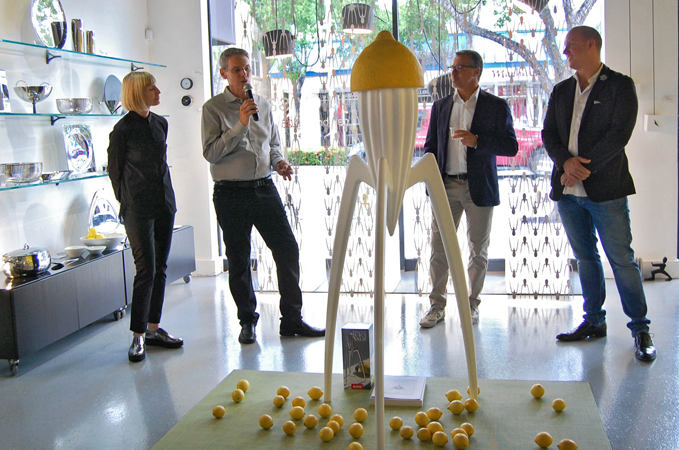 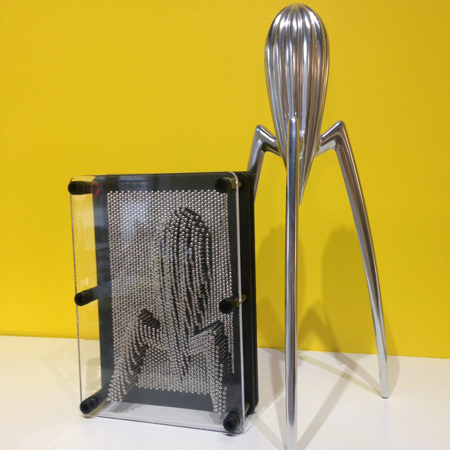 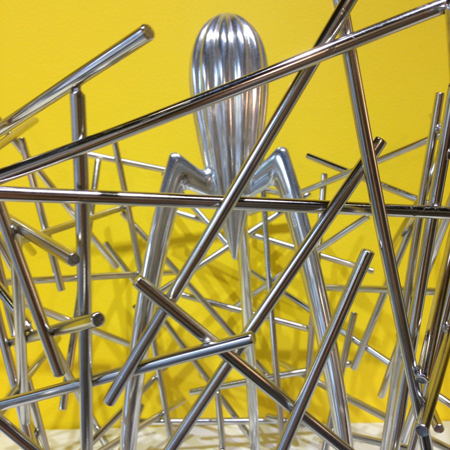 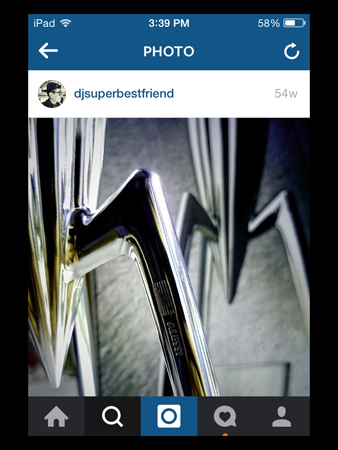 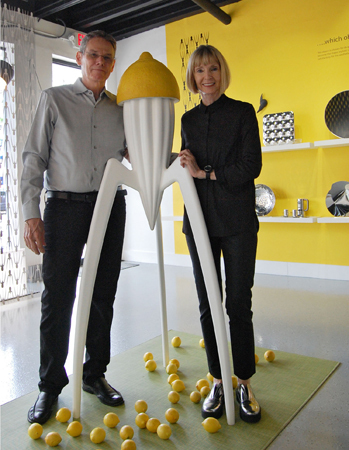 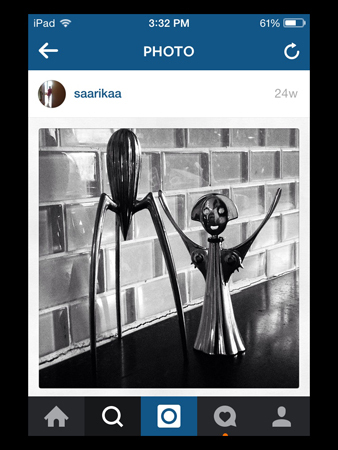 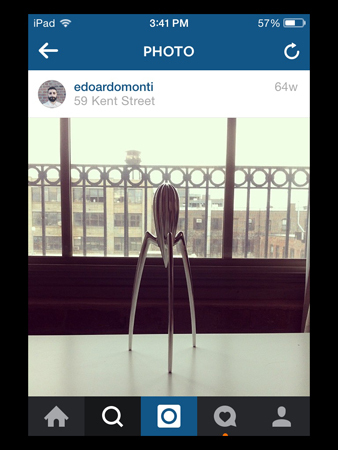 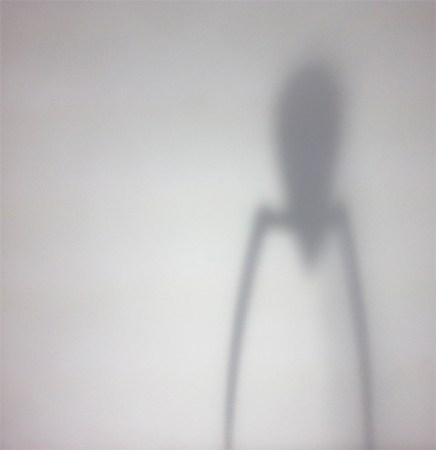 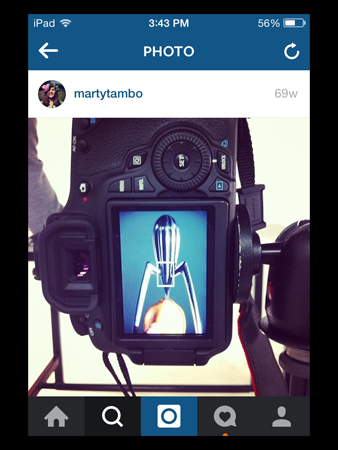 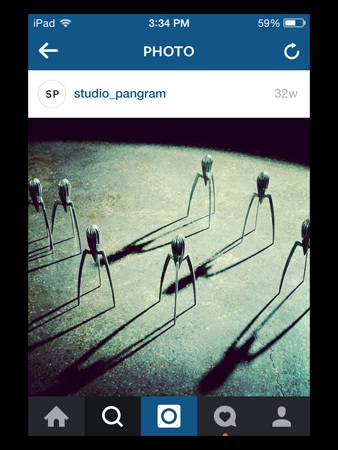 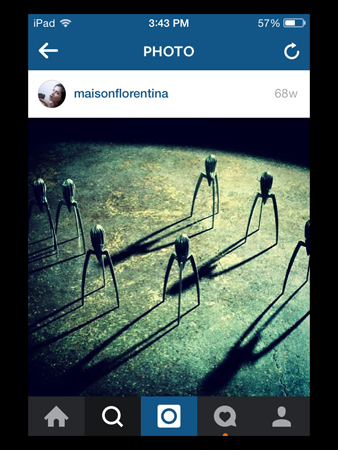 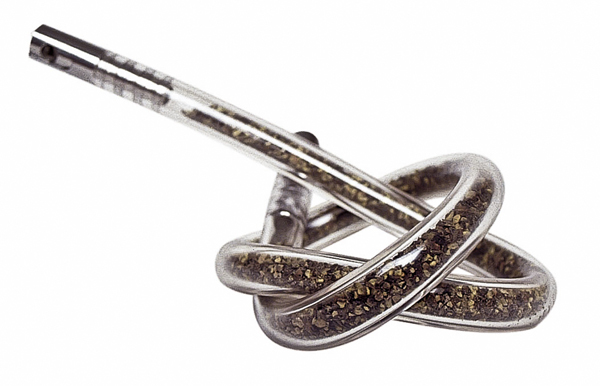 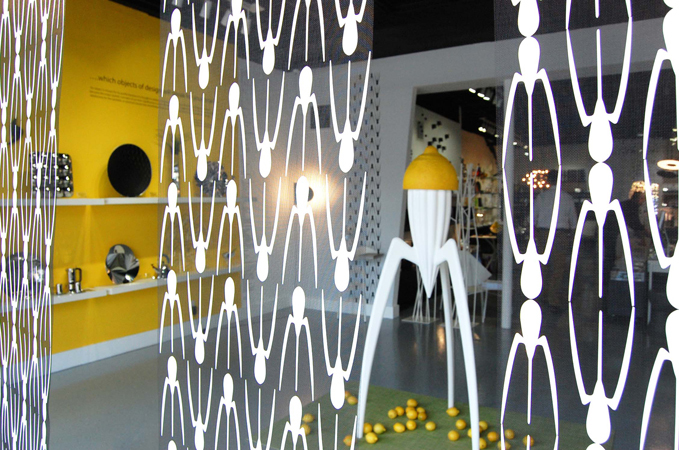 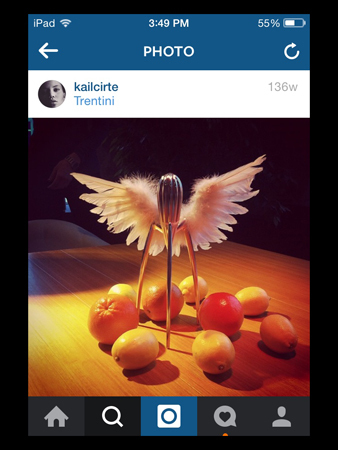 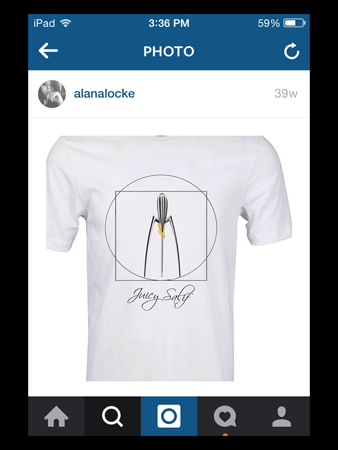 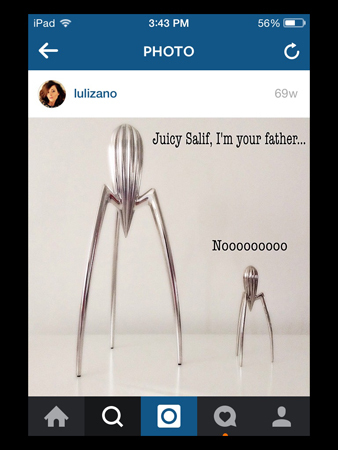 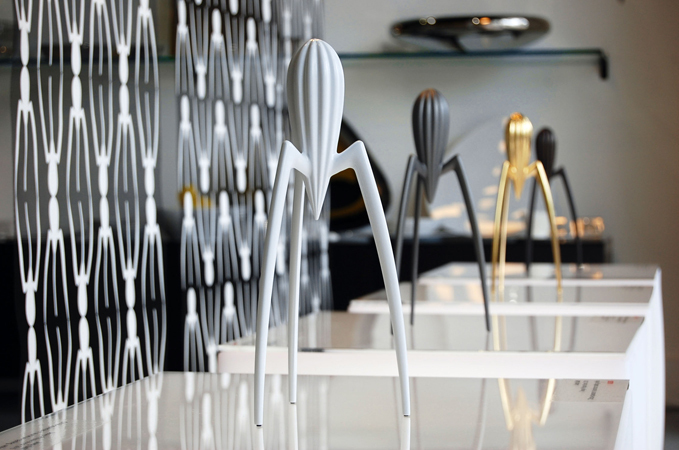 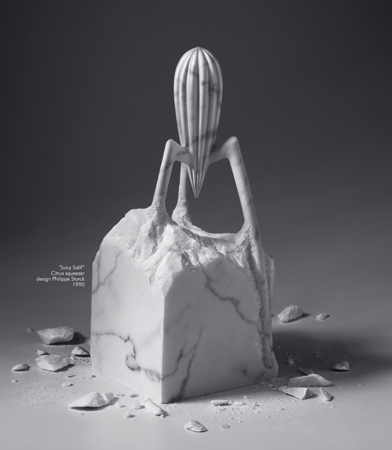 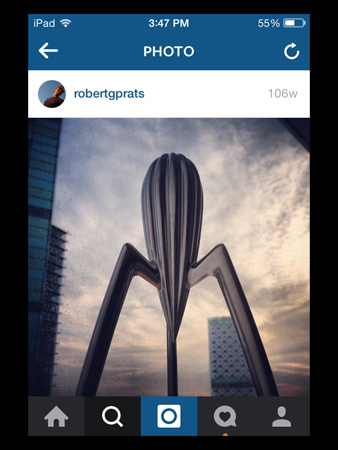 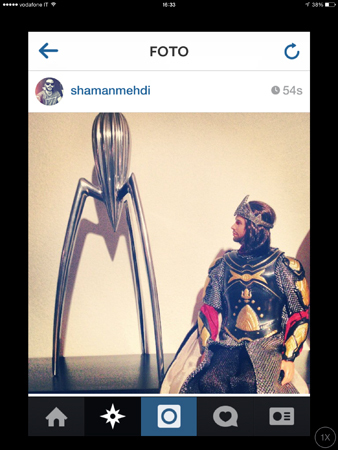 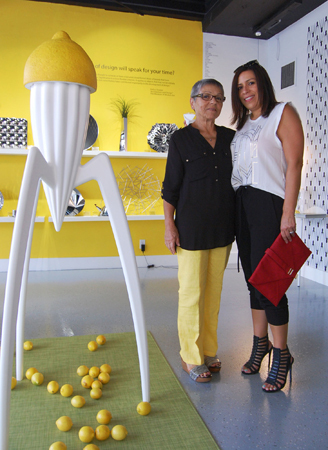 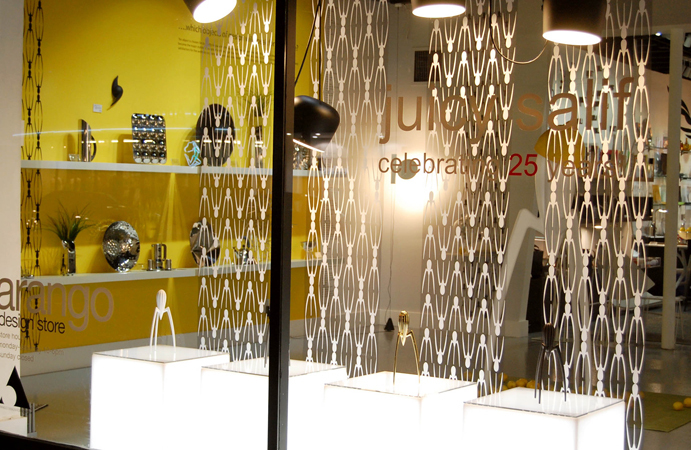 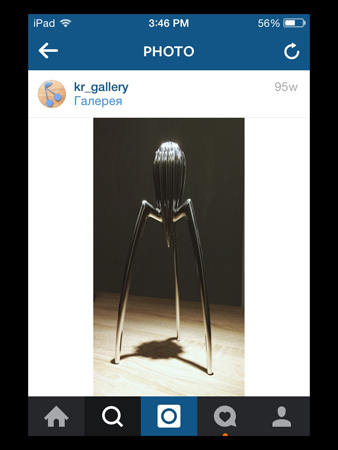 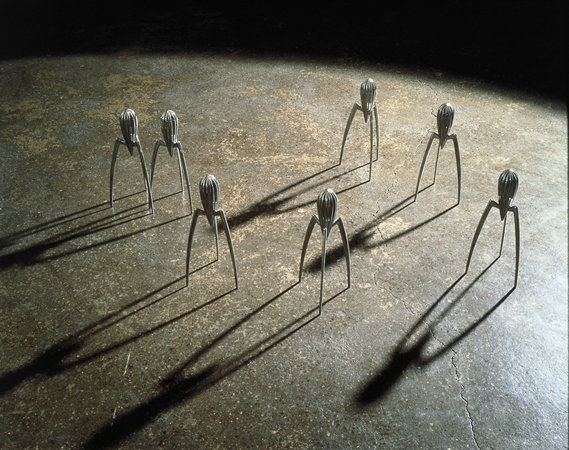 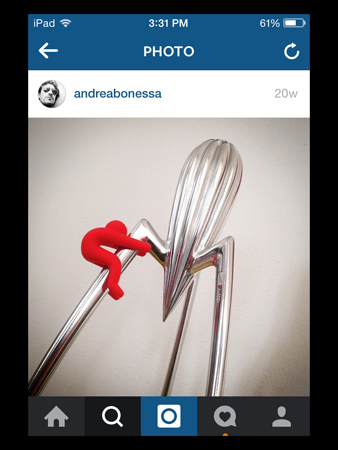 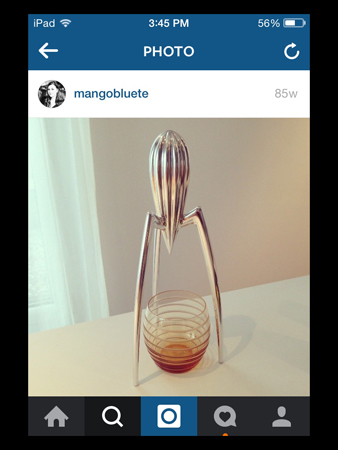 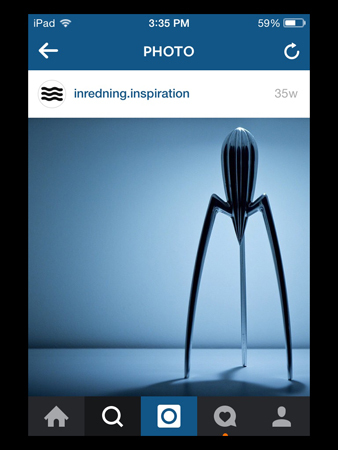 Exhibition and event celebrating the iconic Juicy Salif Lemon Squeezer designed by Philippe Starck for Alessi. 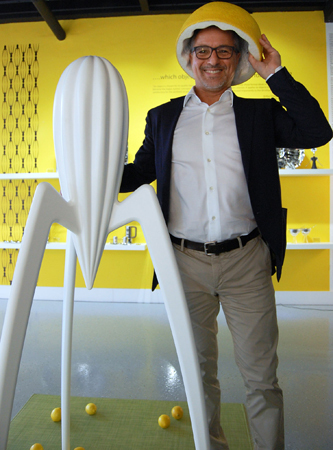 Paolo Cravedi, Alessi Managing Director North America and Jeremy Mikolajczak, Director MDC Museum of Art + Design, joined our conversation about the controversial design from 1990, which is still evolving culturally after 25 years in Alessi production, provoking the question: What qualifies an object for a museum collection? 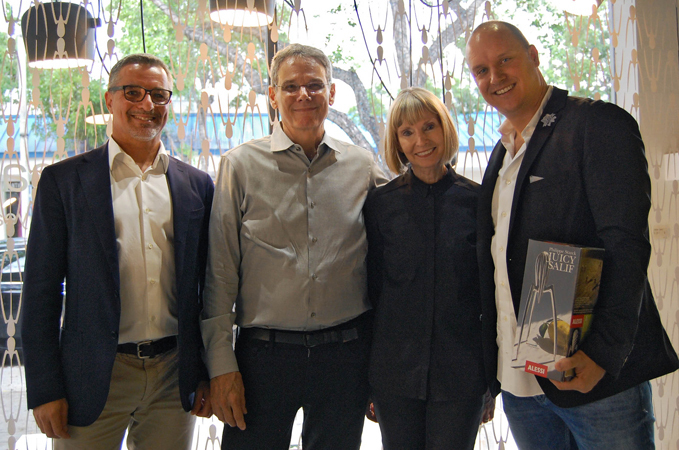 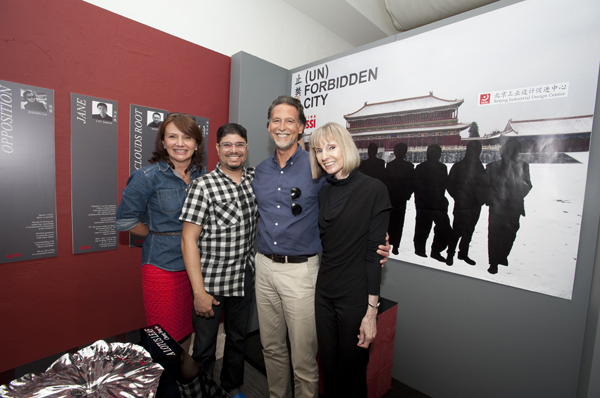 Jeremy Mikolajczak, Director MDC MOAD, and David + Marianne Russell, ADF, formally announced a partnership with arango®, the Arango Design Foundation and MDC Museum of Art + Design, establishing a design collecting initiative with a platform for public awareness and education of modern and contemporary industrial design. 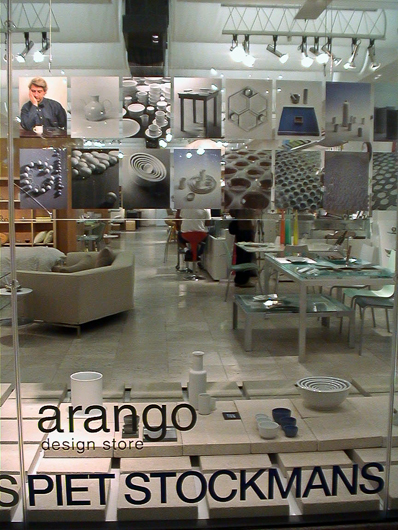 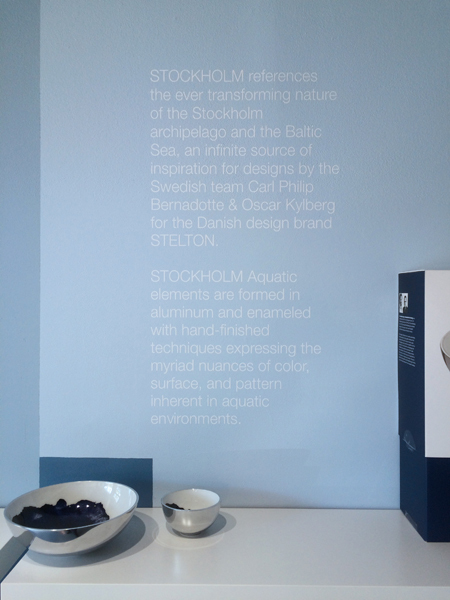 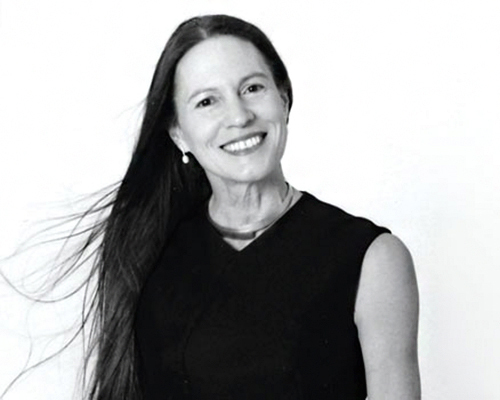 arango® is also curating two important large scale exhibitions for the museum’s main galleries: DESIGN BY WOMEN - pathways of creativity, opening in September of 2016, and ALESSI – the dream factory opening December 2017.
an exhibition featuring an exciting collection of vases, bowls and centerpieces designed by Swedish designers Bernadotte & Kylberg. 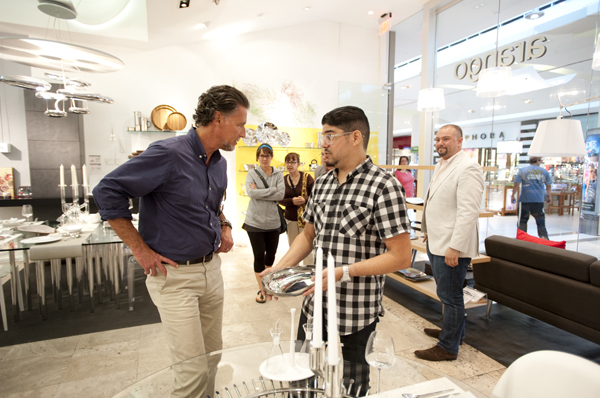 Carl Philip Bernadotte (Swedish prince, son of King Carl XVI Gustaf and Brazilian born queen Silvia) and Oscar Kylberg both grew up surrounded by the unique nature of the Swedish archipelago, which is a major inspiration in all their work. 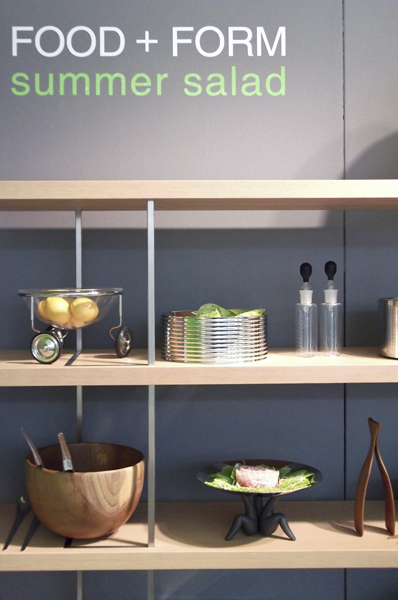 STOCKHOLM collection, produced in partnership with the iconic Danish company Stelton, has just received the prestigious Red Dot Award for product design. 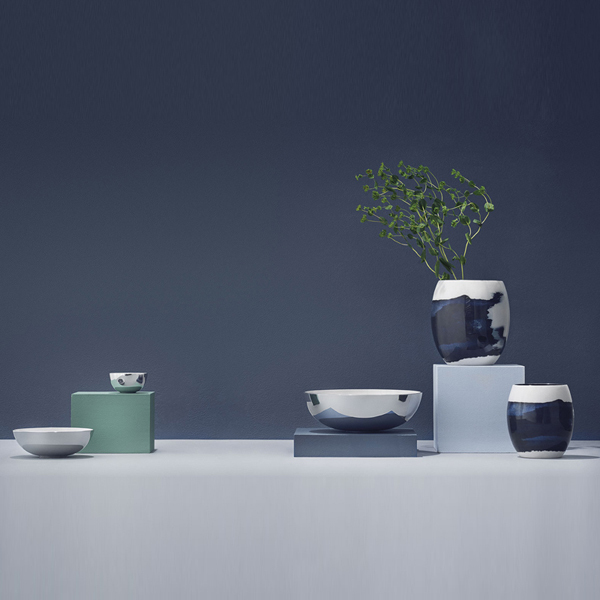 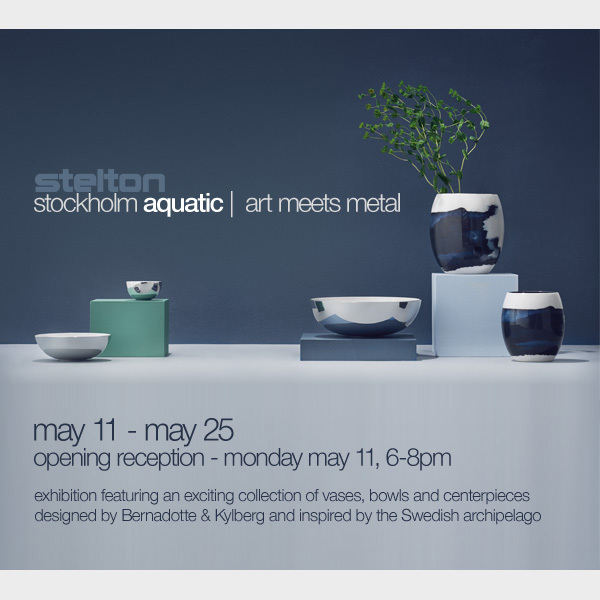 The design duo’s clients, in addition to Stelton, include among others Volvo, A-One, Gustavsbergs Porcelain Factory, and Åhlens. 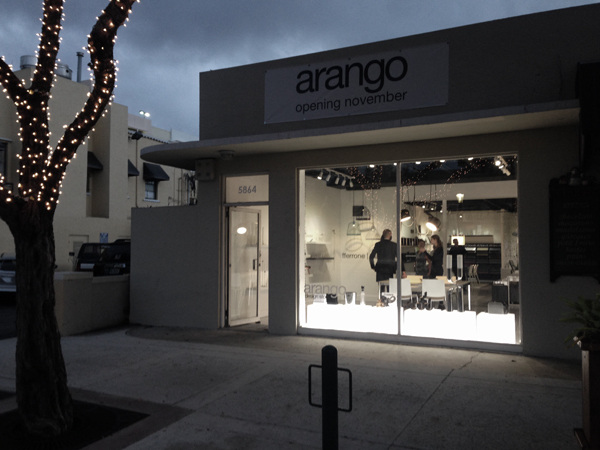 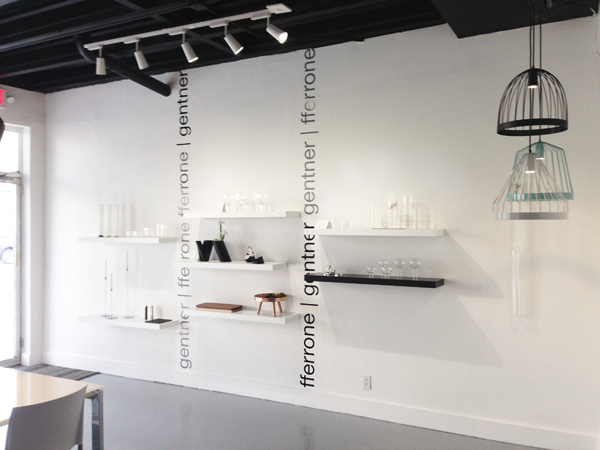 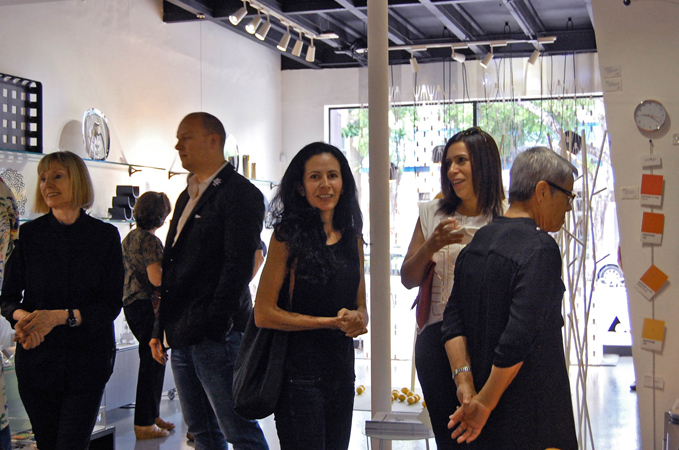 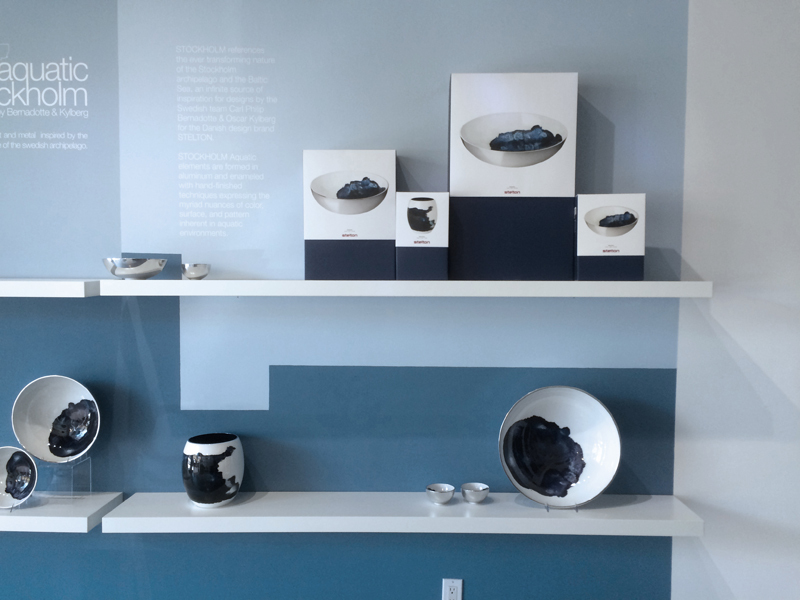 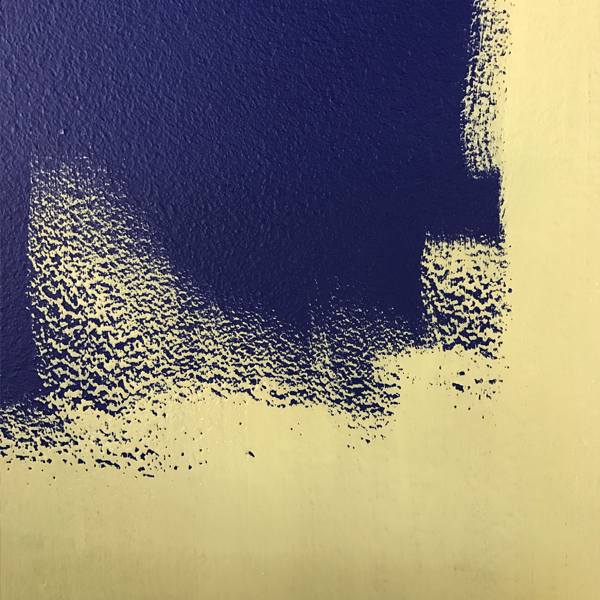 arango opens on main street, 5864 Sunset Drive, with an exhibition featuring American designers Felicia Ferrone and Christopher Gentner. 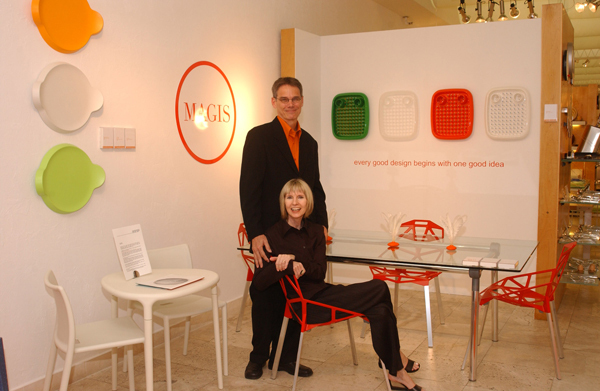 The Chicago based design couple have a unique and fresh creative viewpoint individually and collaboratively. 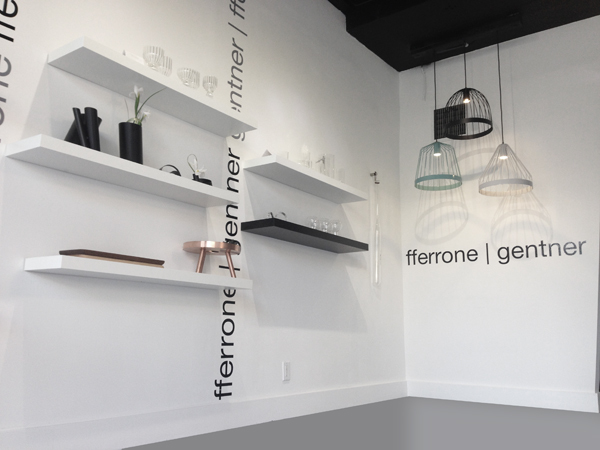 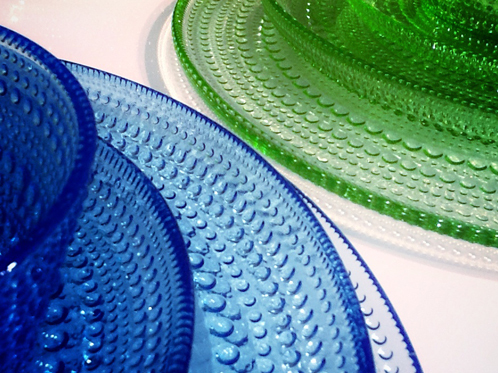 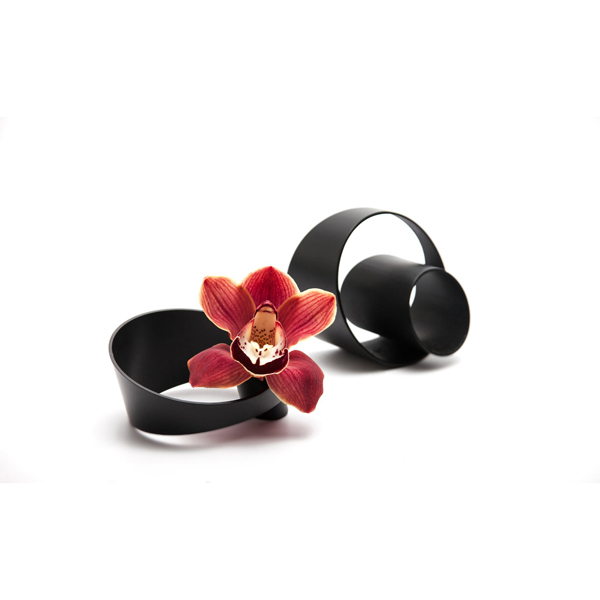 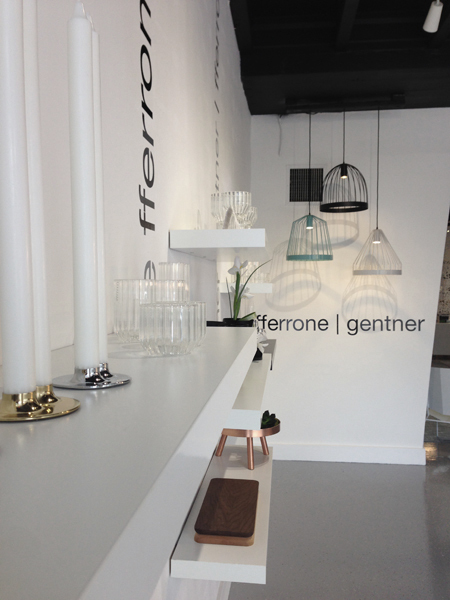 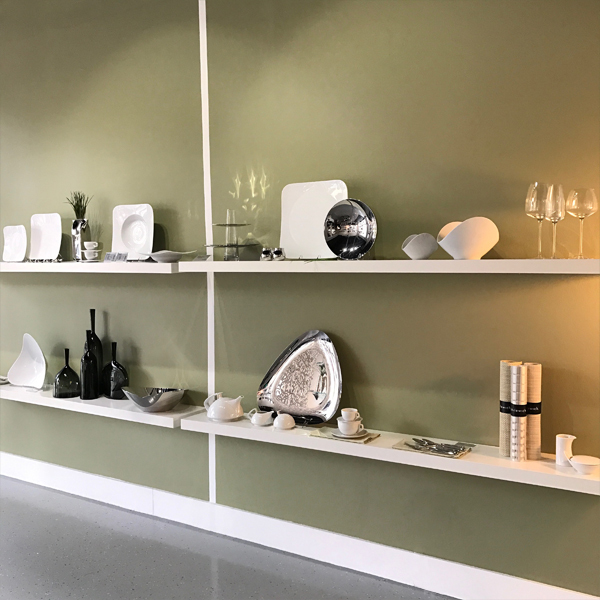 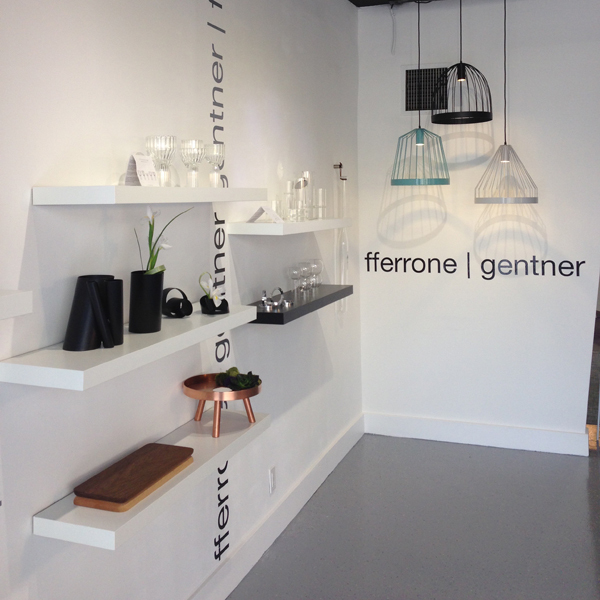 Felicia Ferrone’s glass collections are handcrafted in the Czech Republic, while their metal pieces are manufactured at their factory in Chicago. 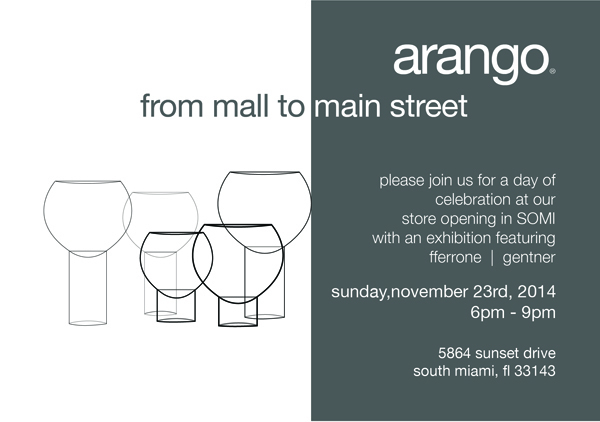 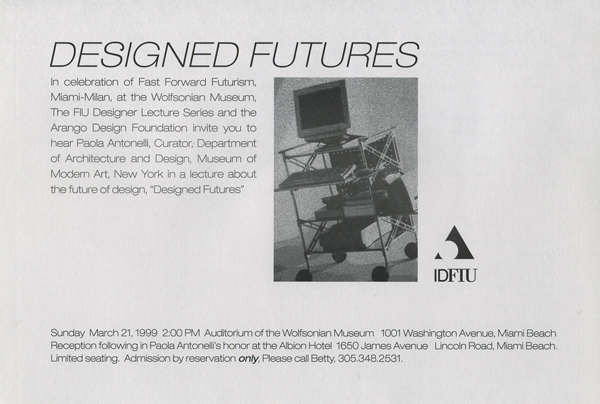 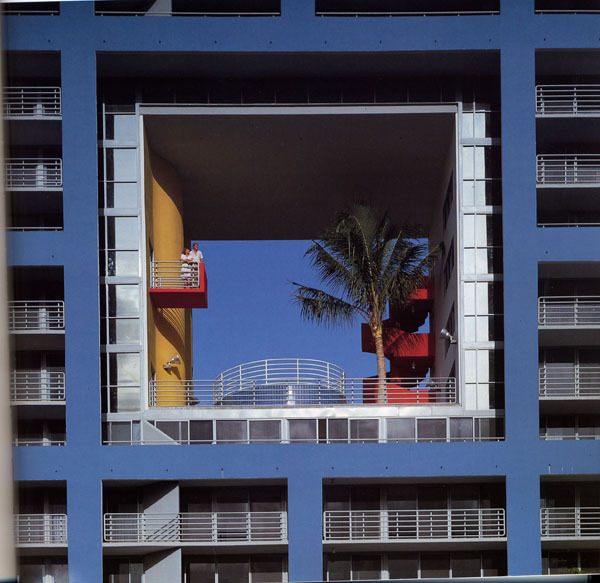 Celebrate with us as we continue our design history in South Miami. 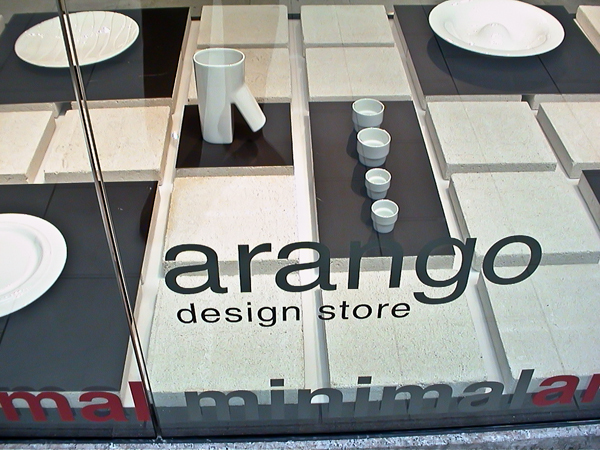 arango's latest photographic collection exploring relationships and characteristics of design objects. 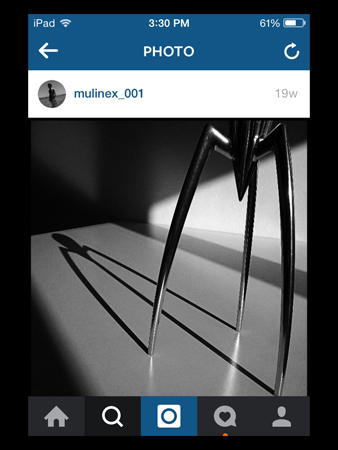 discover new landscapes and compositions. 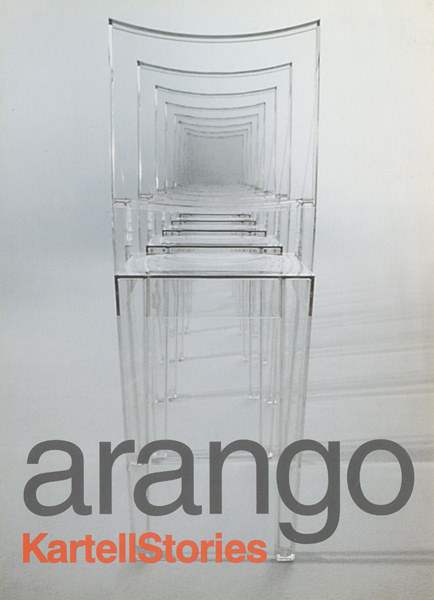 arango explores industrial product in all its form, capturing functional and aesthetic qualities in compositions that showcase phenomenal characteristics. 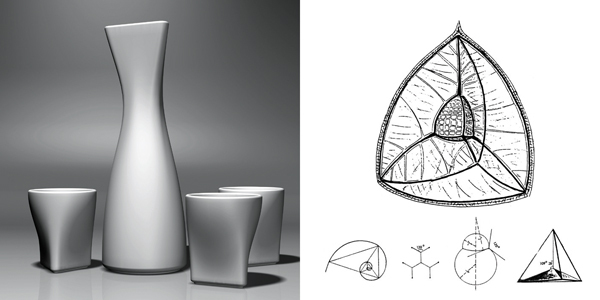 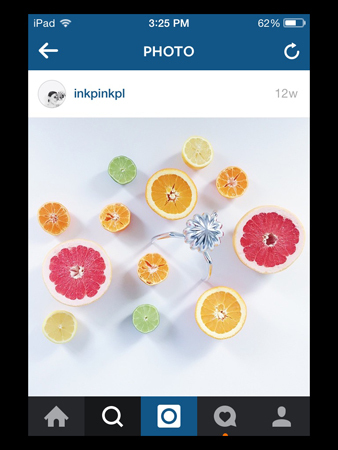 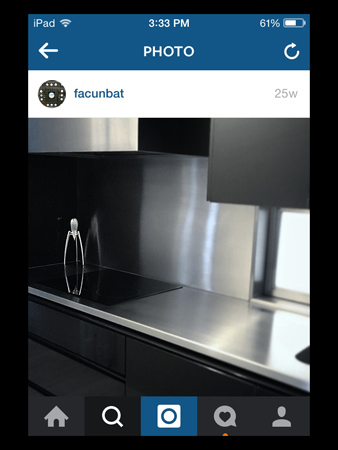 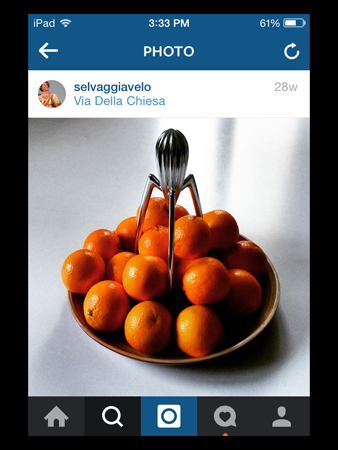 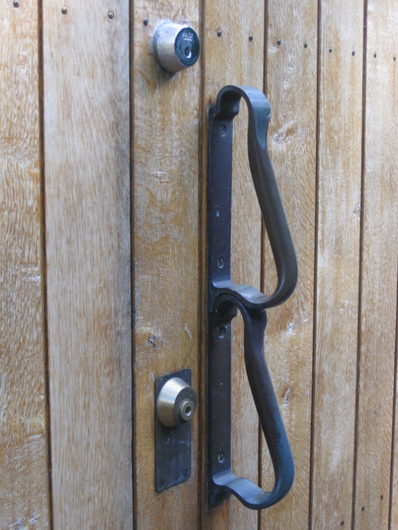 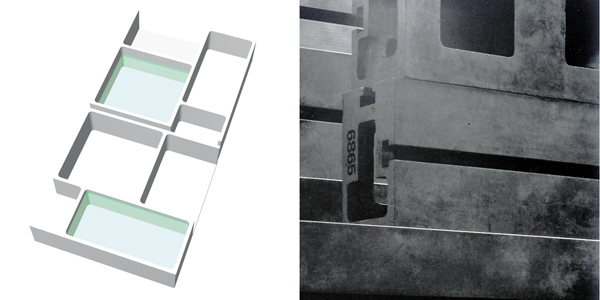 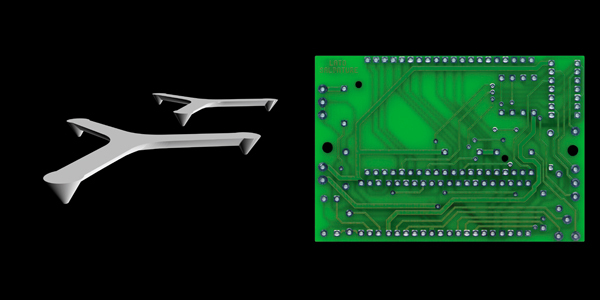 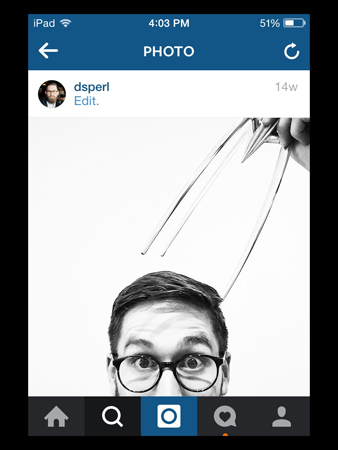 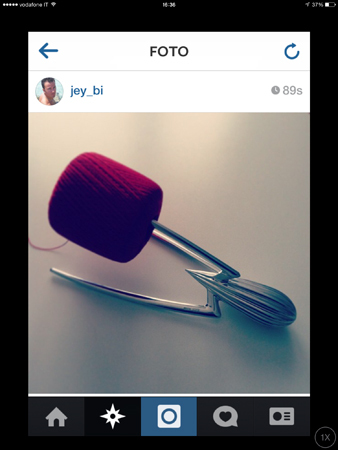 We explore functionality beyond intentional use – often finding that objects offer more than their advertised values. 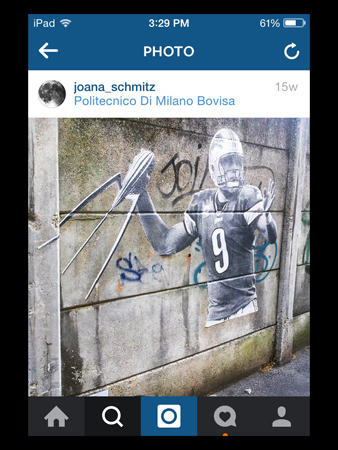 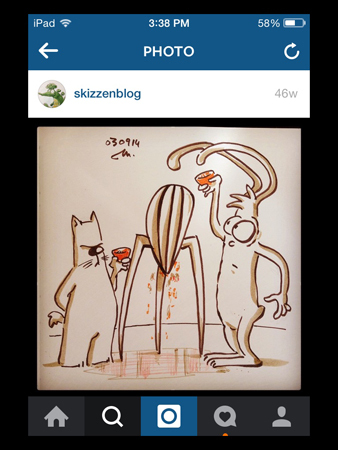 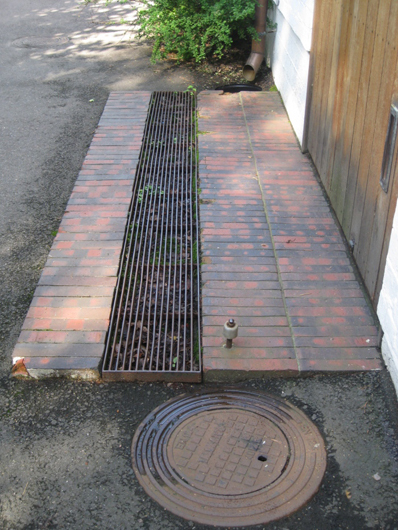 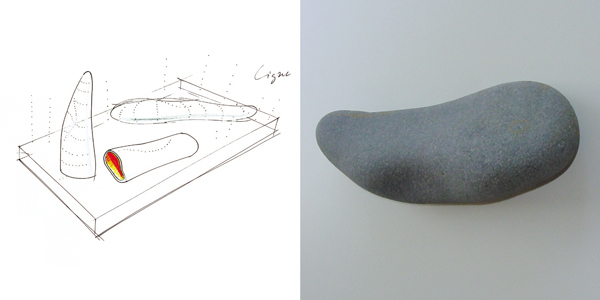 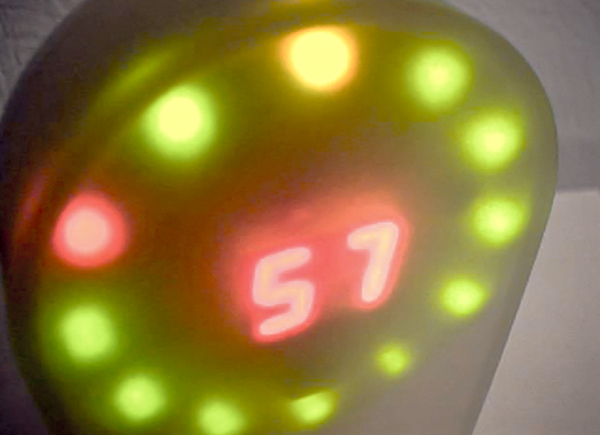 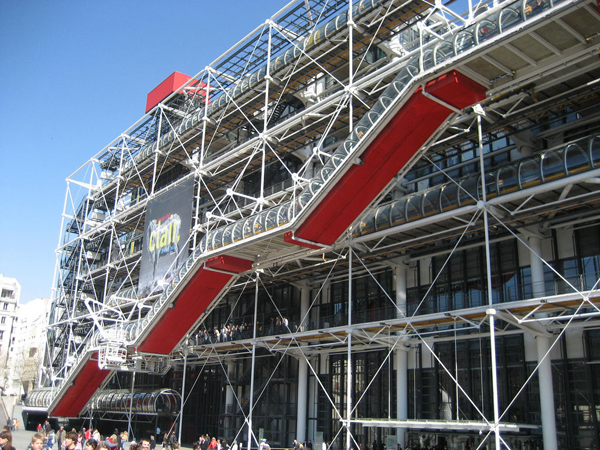 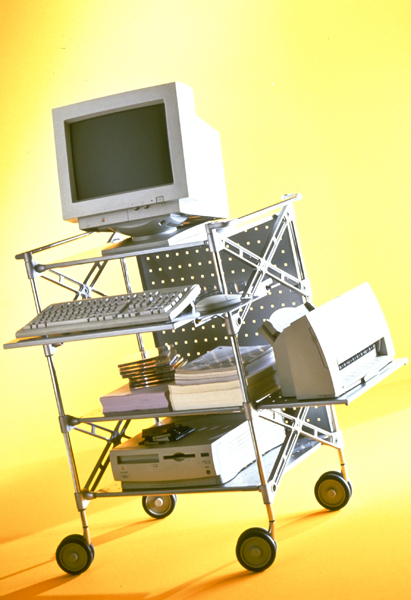 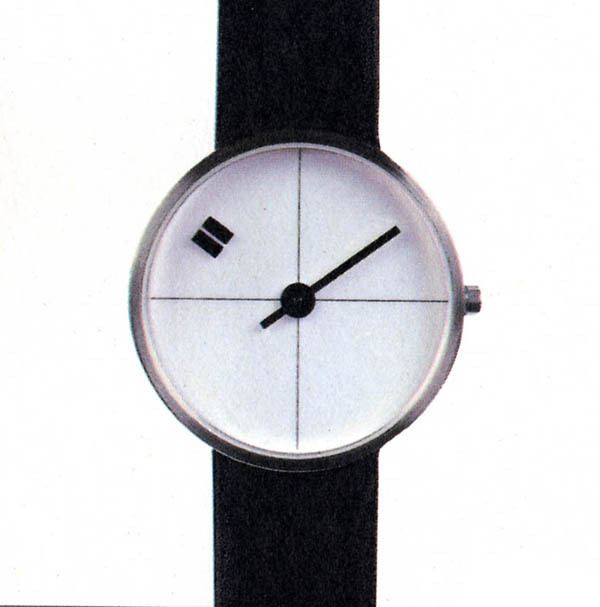 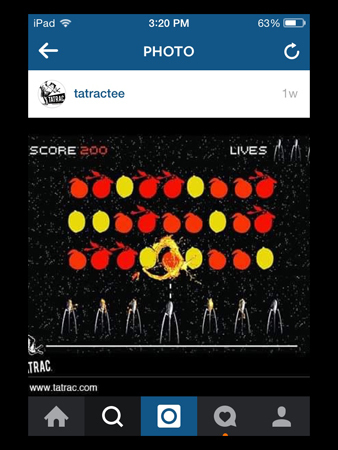 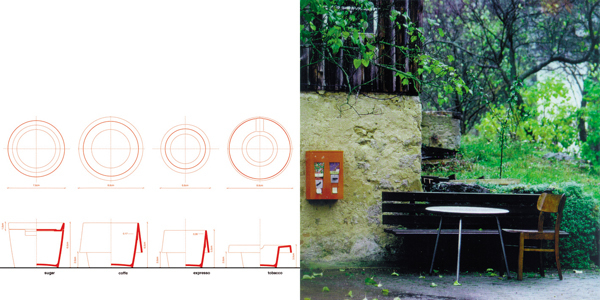 Objectively, design manifests from life experience. 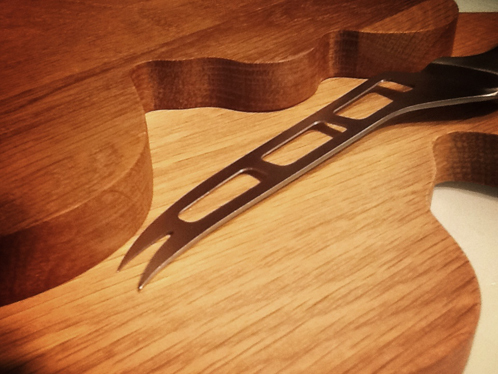 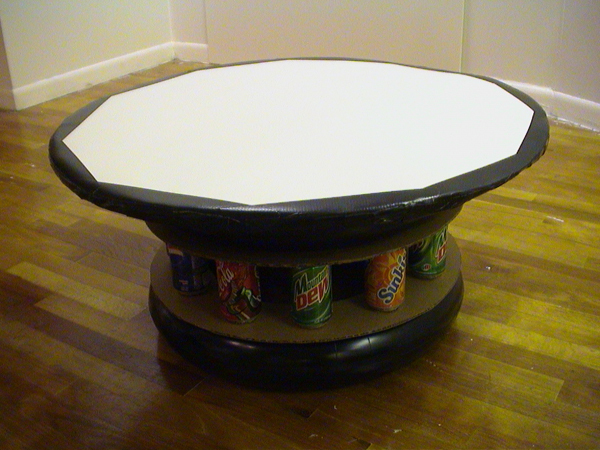 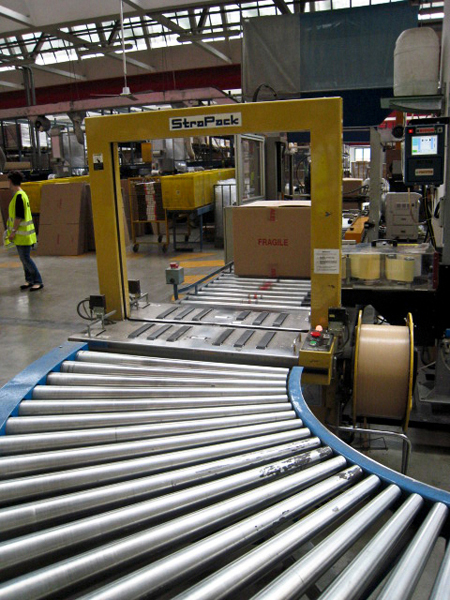 When something is produced with careful craft, clear purpose, and a passionate investment, it may inspire your life. 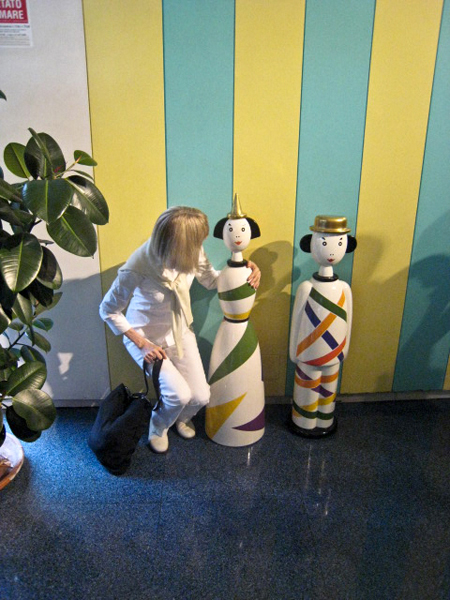 Life is best enjoyed with nurturing relationships. 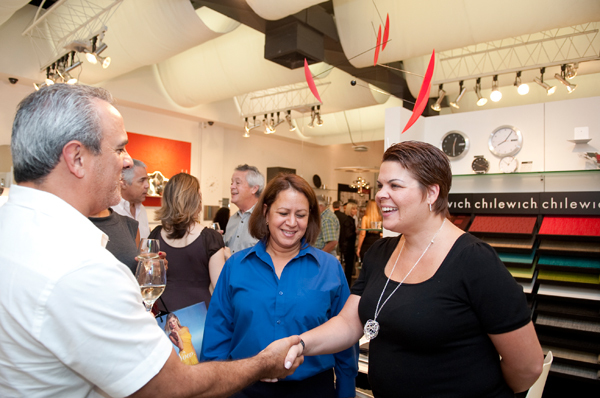 Positive connections with the people around you, and likewise, the objects with which you surround yourself, create greater opportunity to enjoy each moment, present and future. 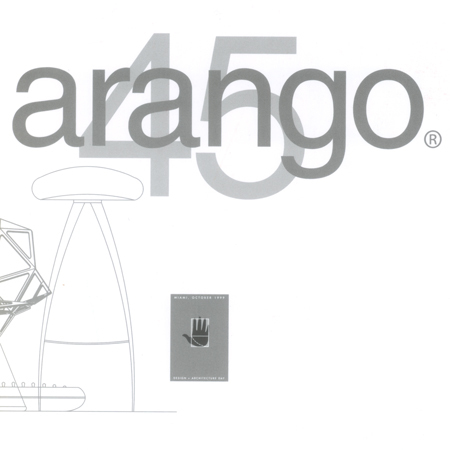 arango’s wide selection of products provides the experiential place to recapture tactile interaction that explores beyond synthetic and digital representations. 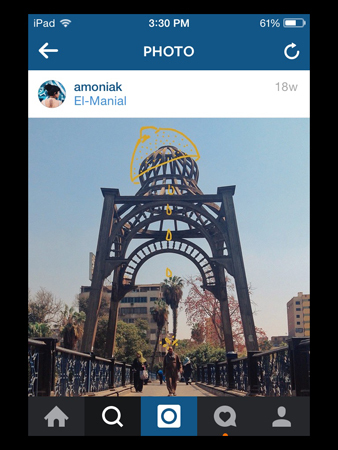 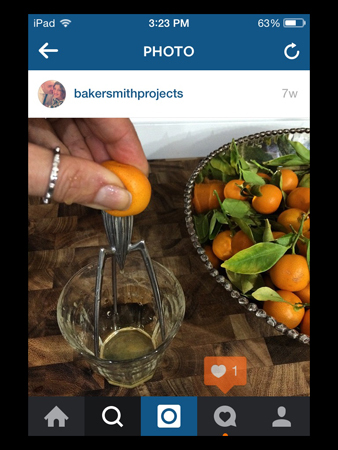 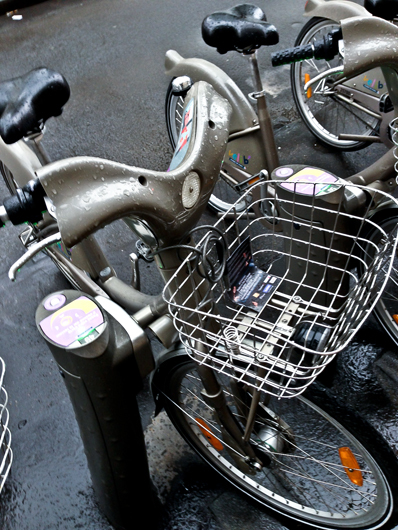 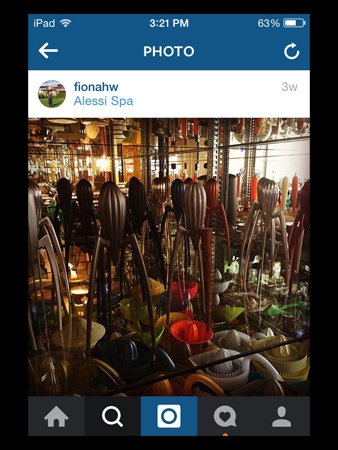 First hand experience provides a true filter for selection and integration of objects into your life. 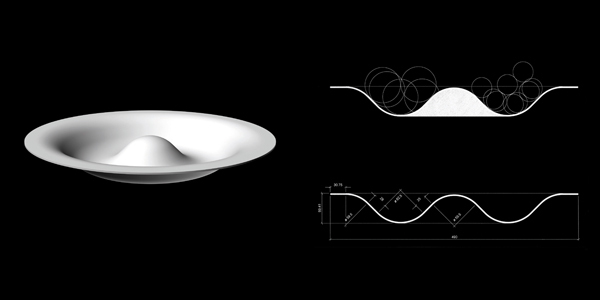 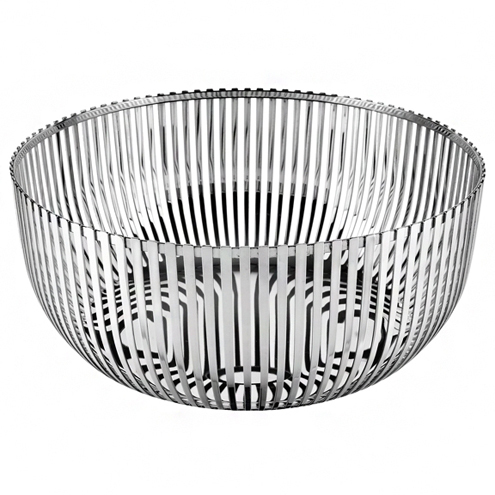 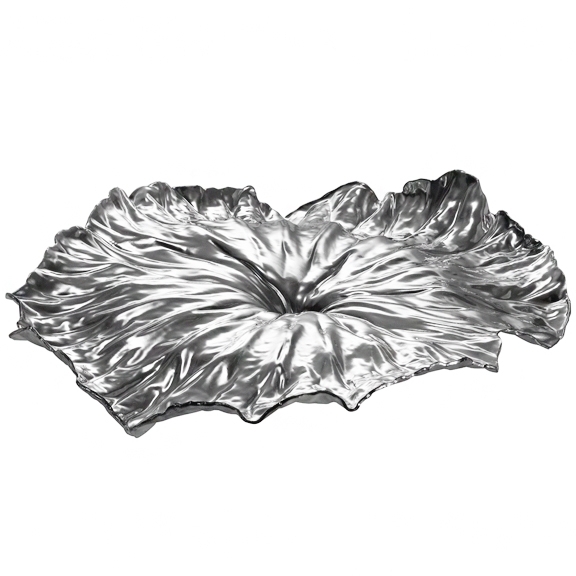 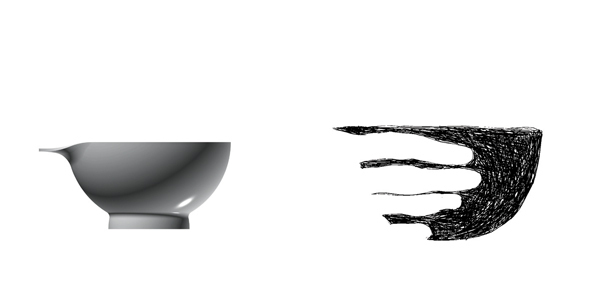 Promoting this awareness, arango selected the Joy n.1 bowl, designed by Claudia Raimondo for the Italian manufacturer Alessi. 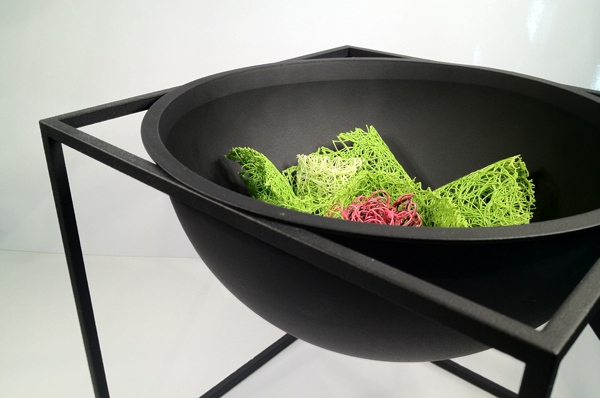 Joy n.1 bowl creates a visual celebration of each life moment. 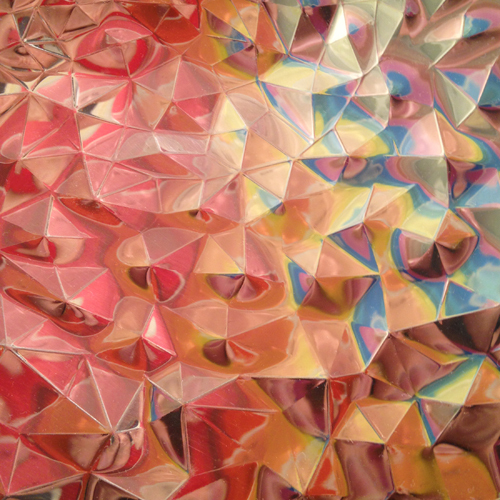 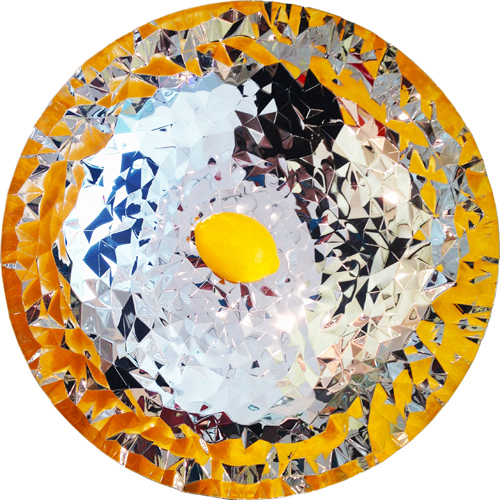 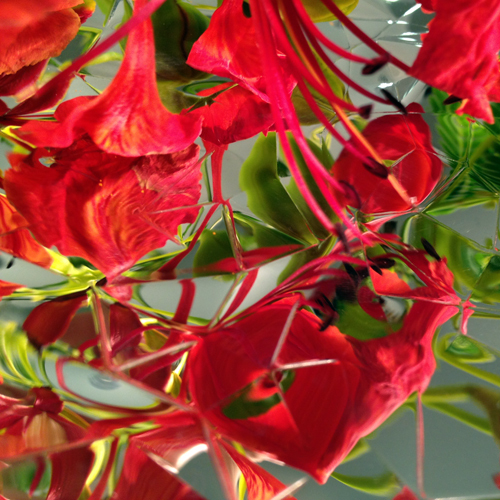 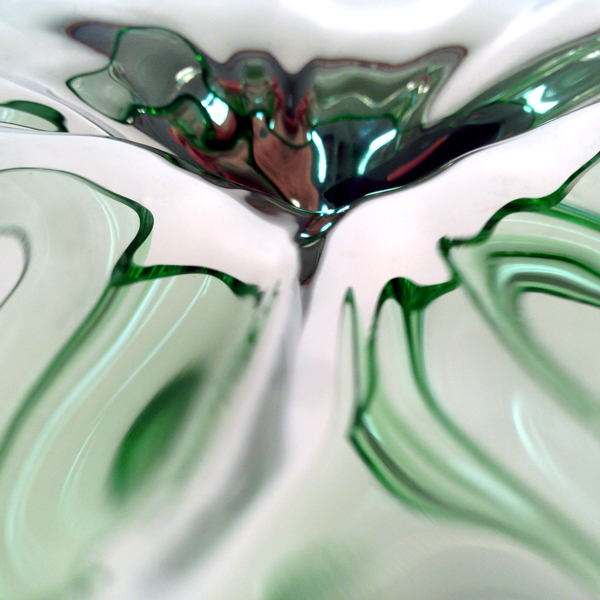 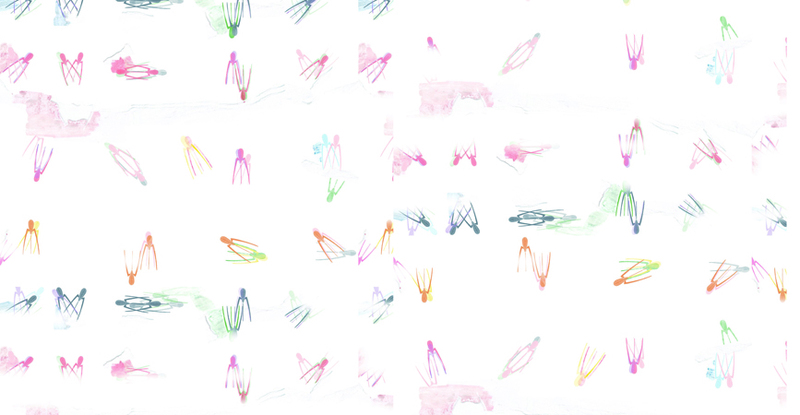 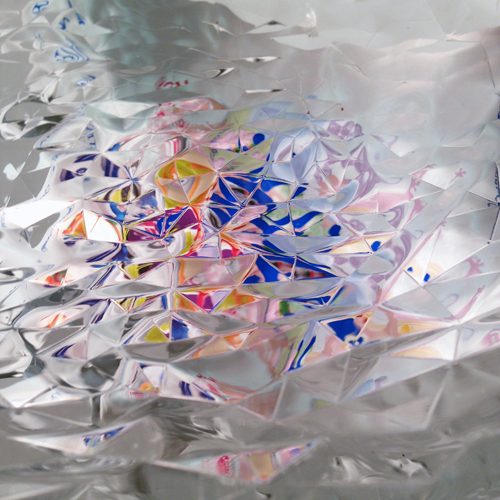 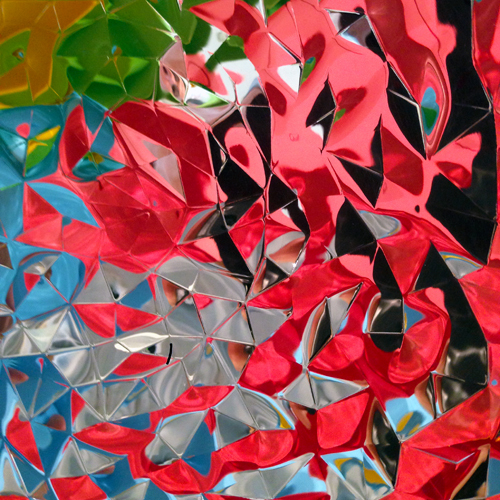 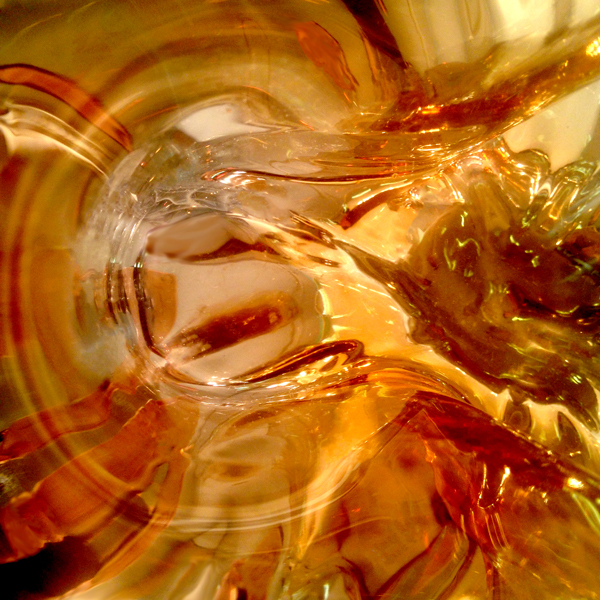 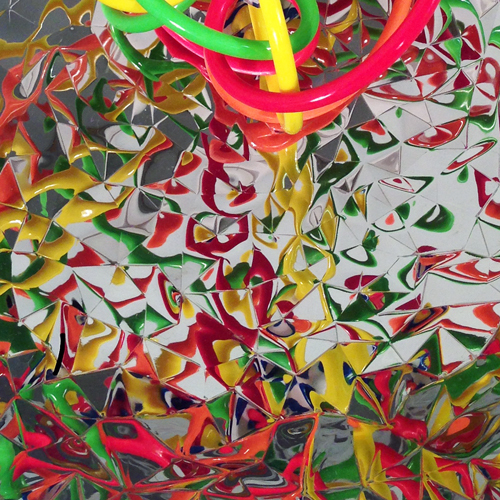 By reflectively abstracting the visible content of objects inside and environmentally nearby, Joy elevates experience with kaleidoscopic surprise. 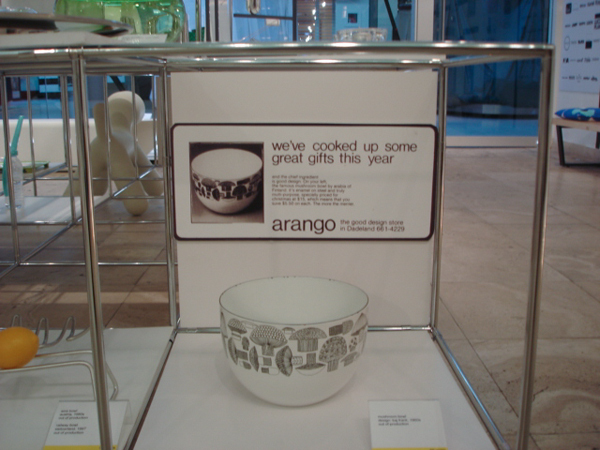 arango is pleased to share with you results of our continuing exploration of the joy n.1 bowl – and invite you to visit our store to explore it for yourself! 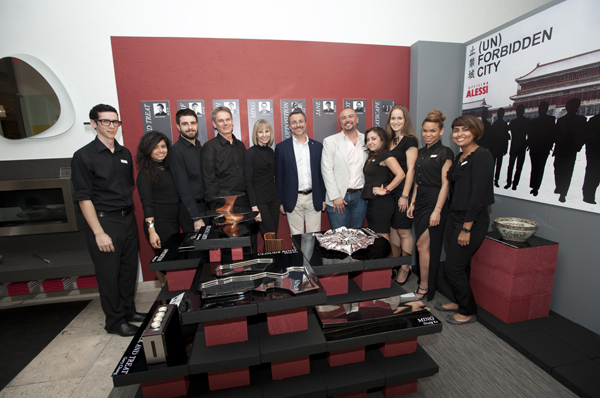 Every year Alessi organizes an International Convention inviting their sales teams, agents, importers and subsidiaries approximately 200 people from all around the world. 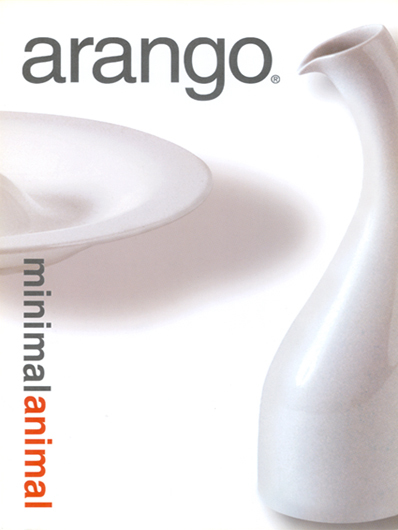 This year Alessi invited us, David and Marianne Russell, owners of arango, as guests to participate in their convention in Paris, to present our company, and receive the award - Best Independent Retailer Globally - of their brand for 2012. 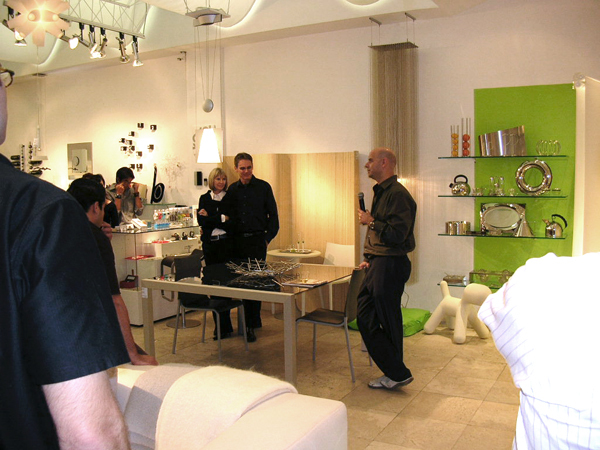 Alessio Alessi was kind to introduce us and present us with the award before our presentation, which was translated into 5-6 languages. 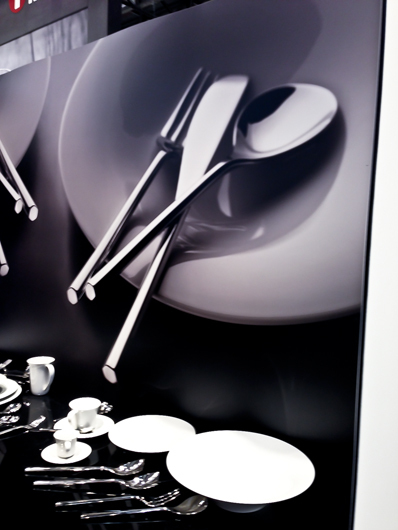 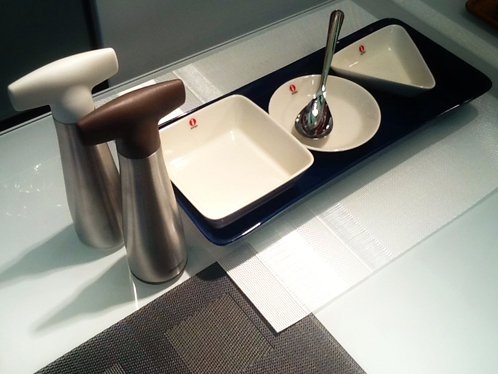 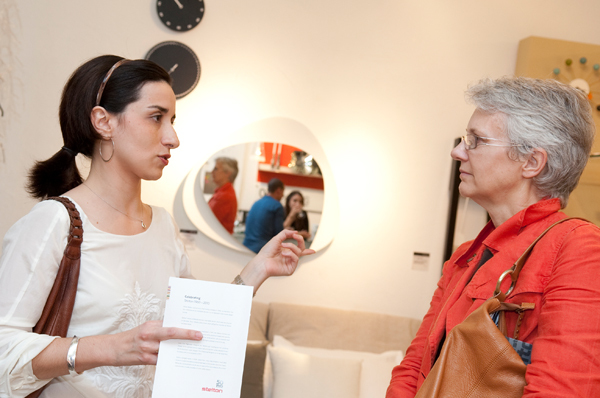 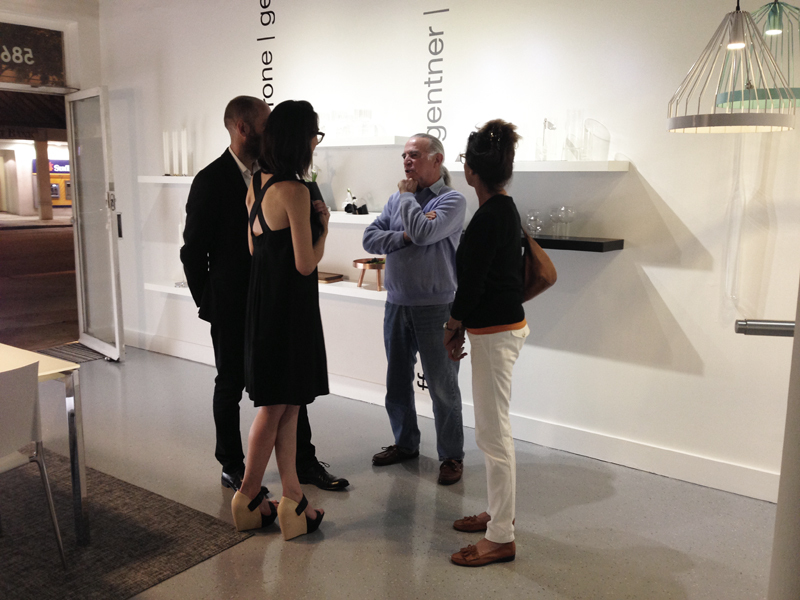 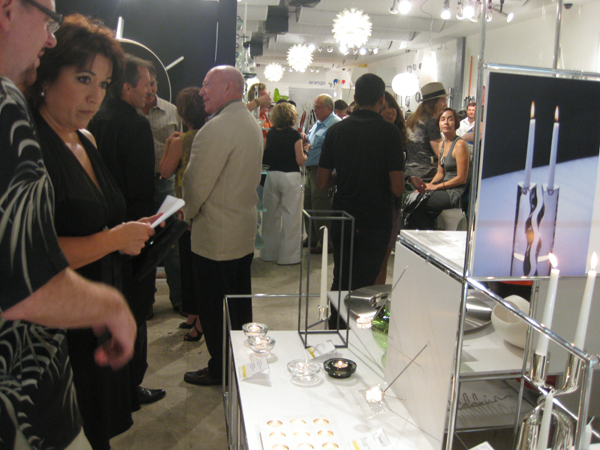 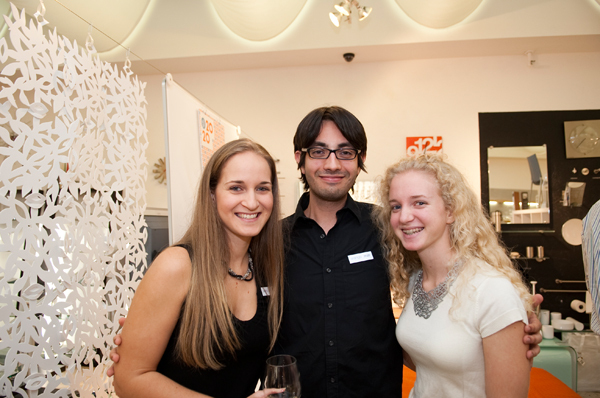 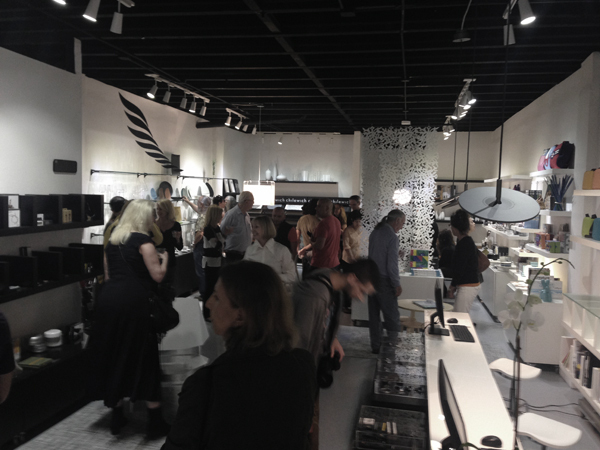 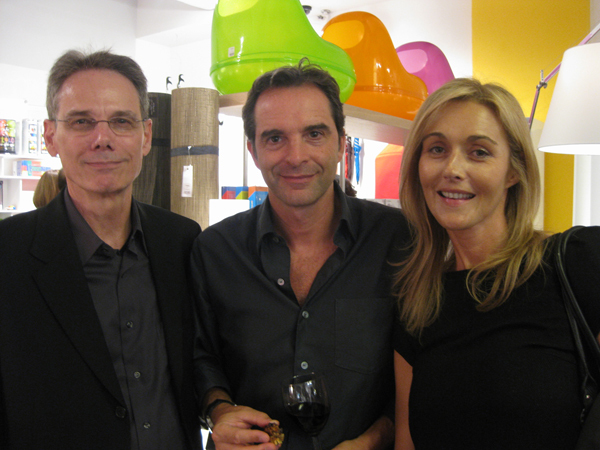 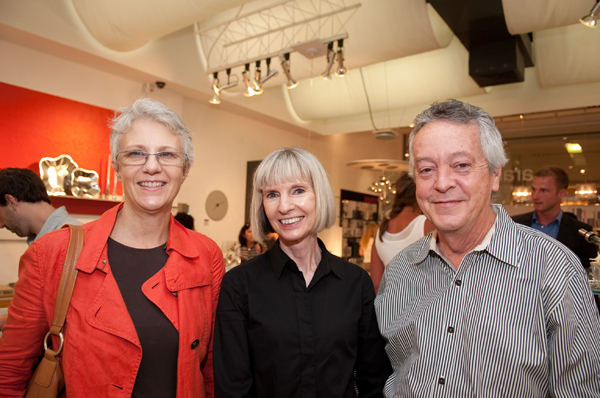 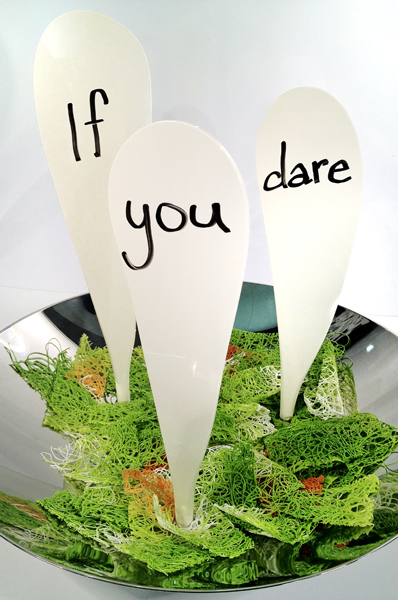 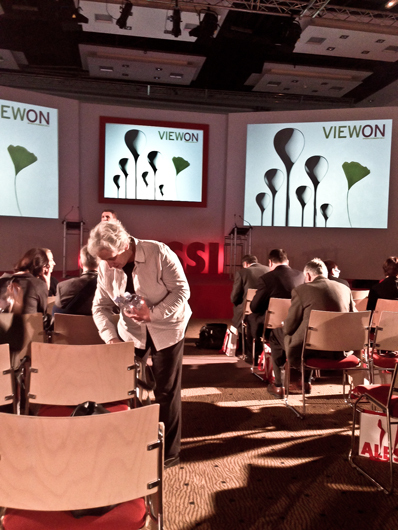 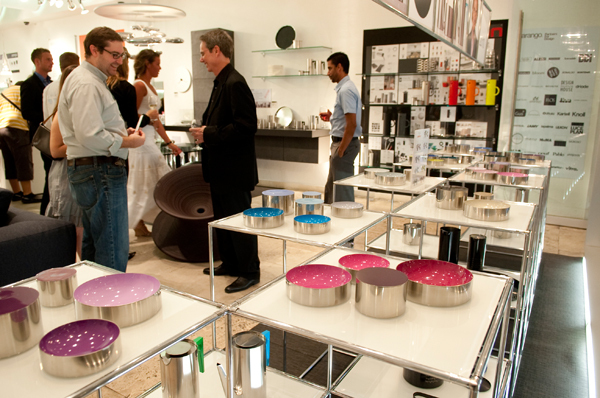 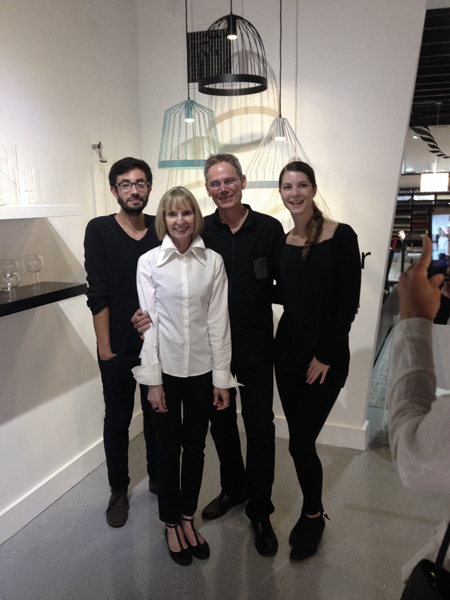 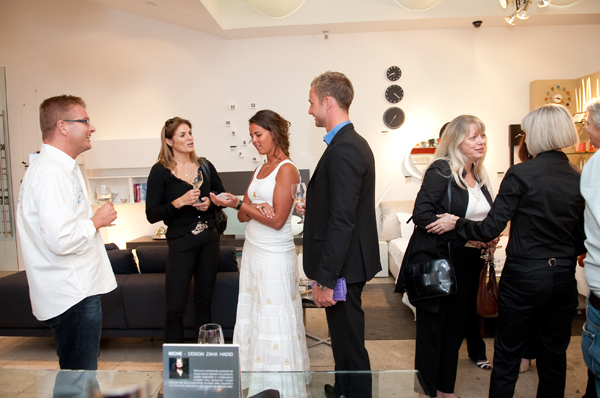 In addition there was an exciting introduction of new Alessi product with special guest French designer Pierre Charpin. 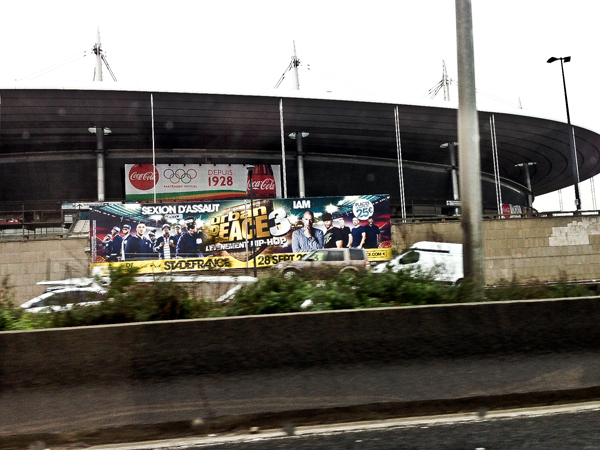 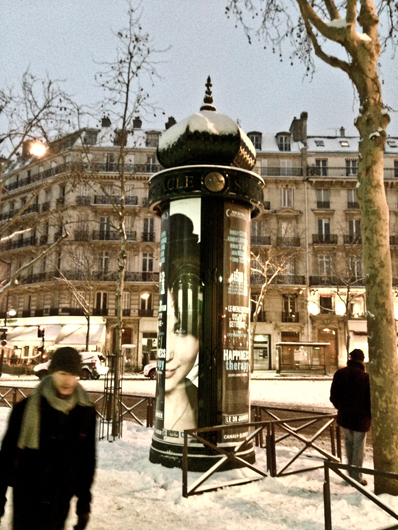 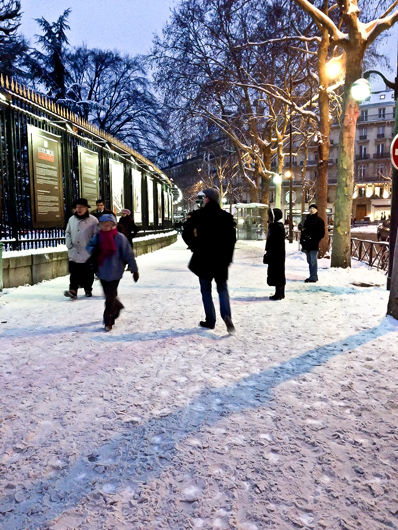 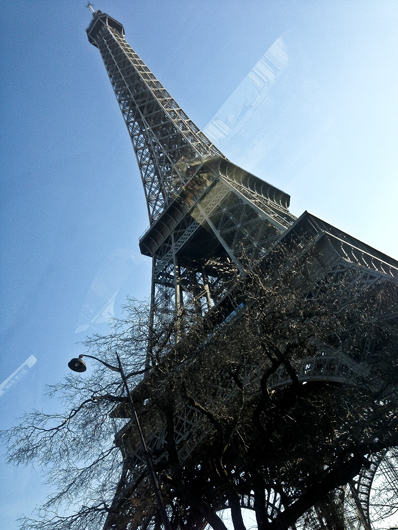 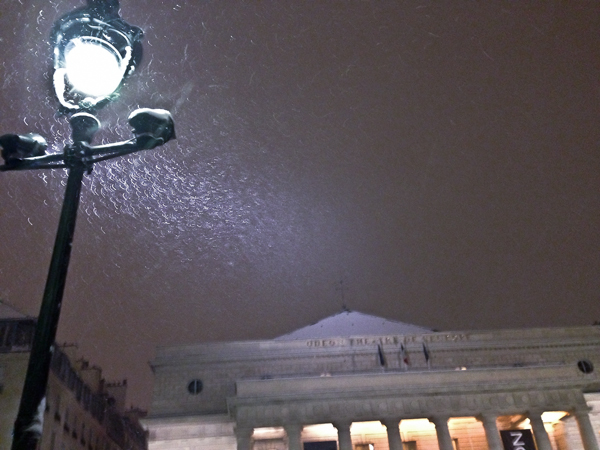 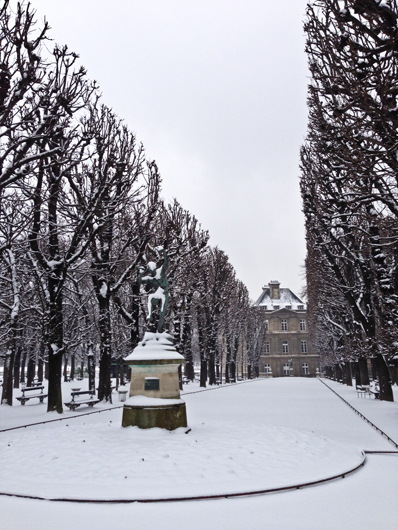 Paris in January is still wonderful. 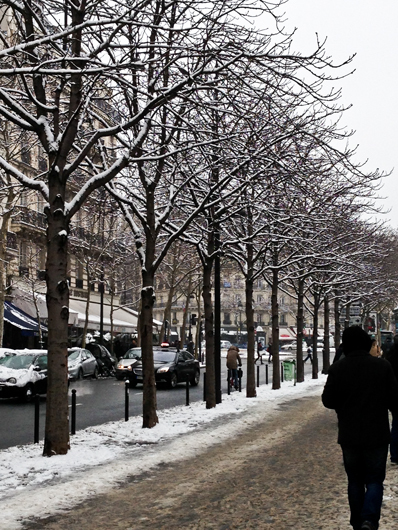 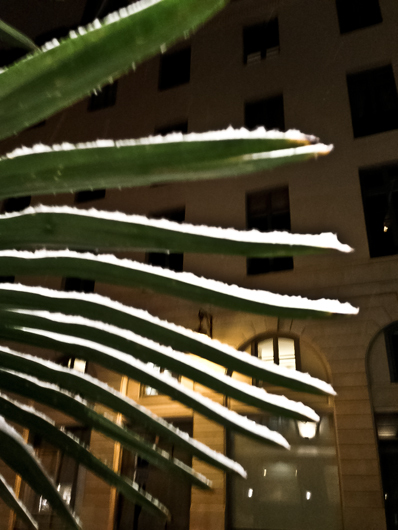 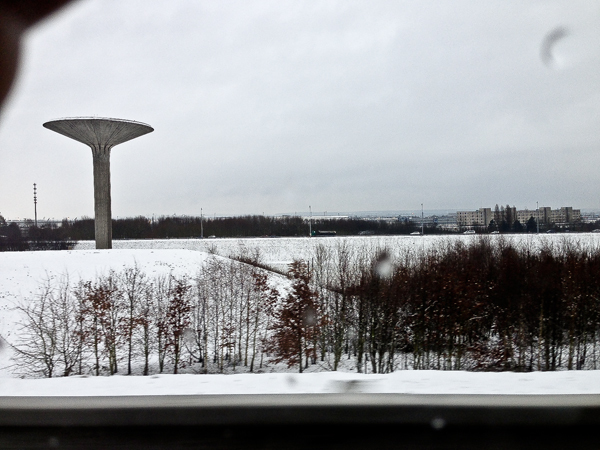 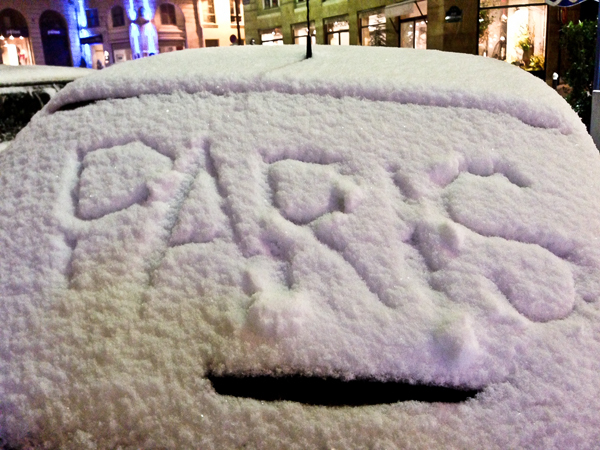 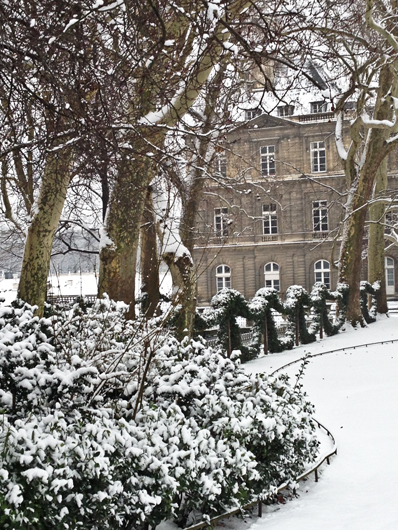 This year it was very cold and the city was covered in a blanket of snow. 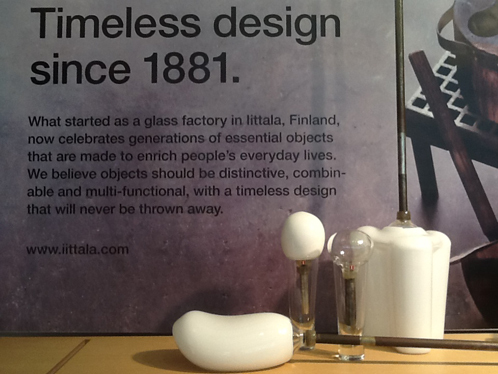 Iittala, whose company roots go back to 1881, has a mission of “striving for iconic design that goes beyond trends, offering functionality and timeless beauty that lasts generations”. 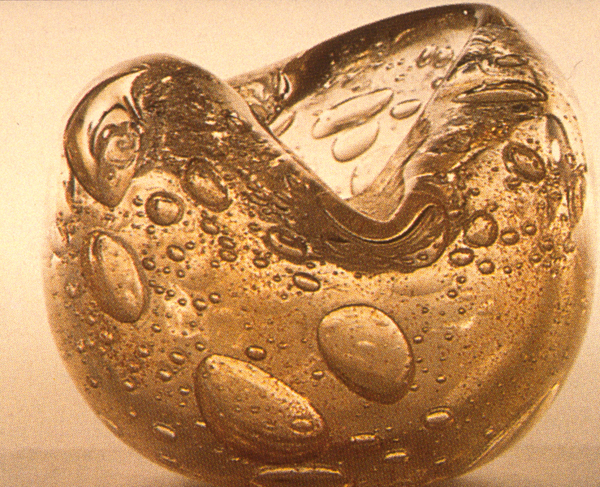 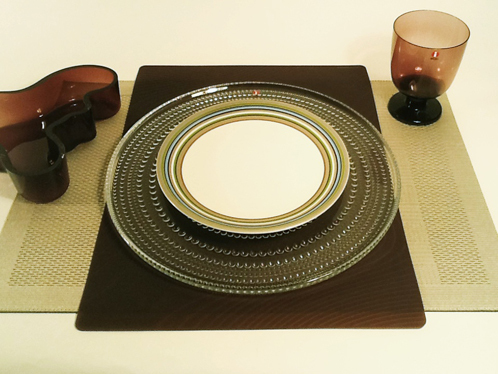 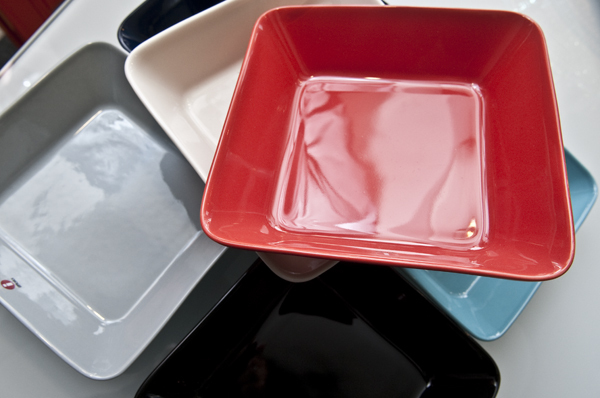 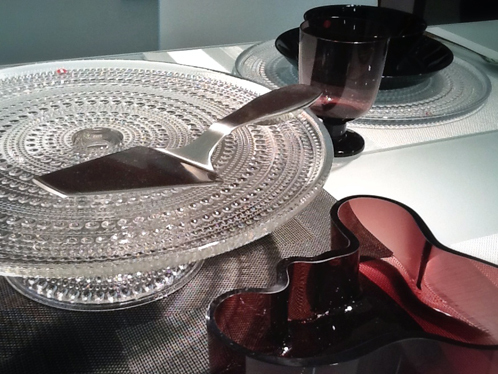 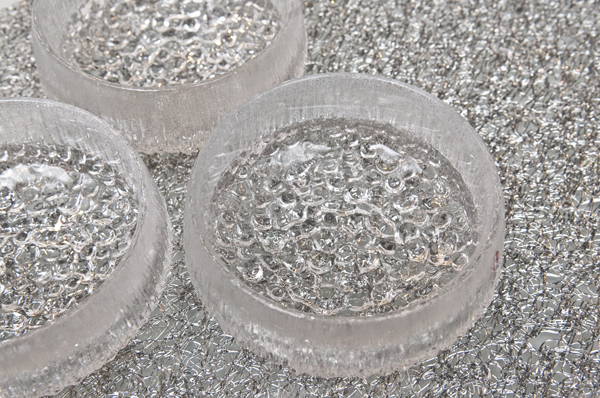 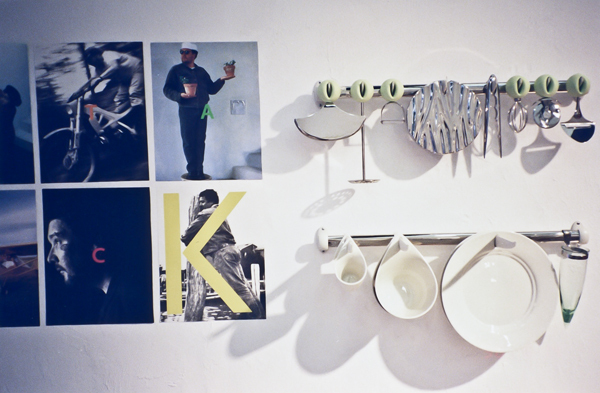 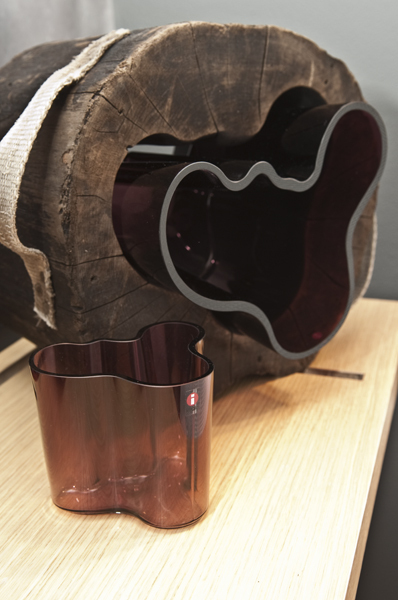 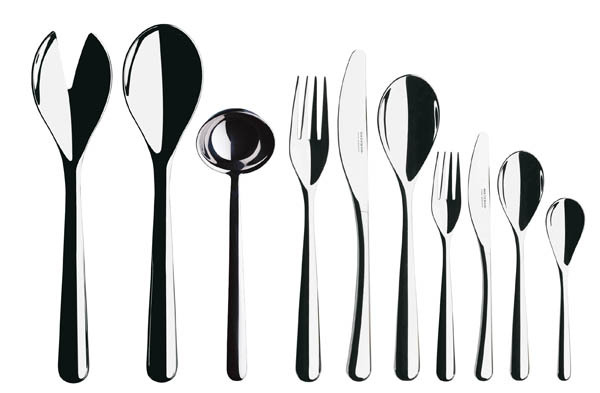 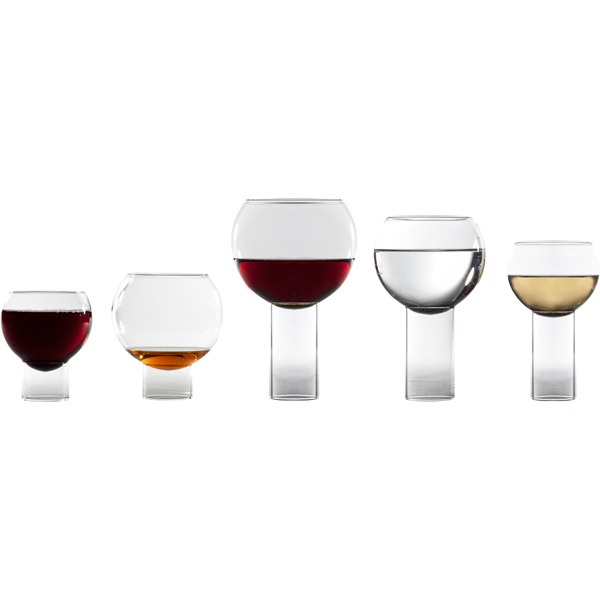 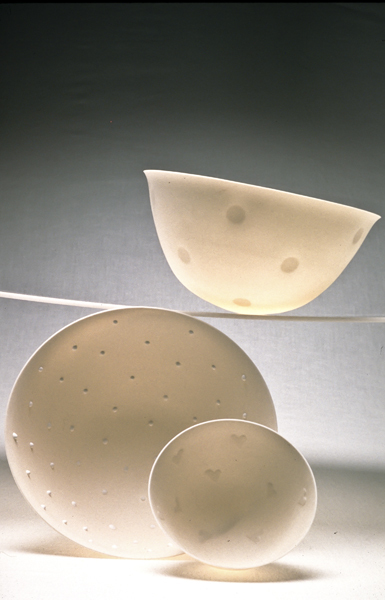 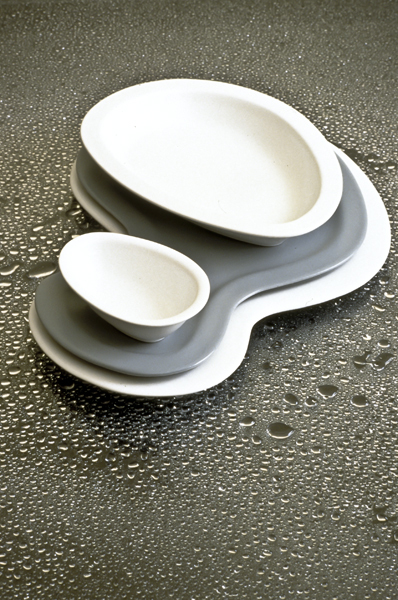 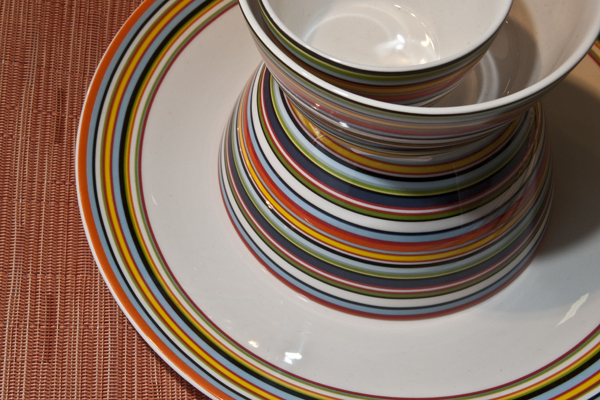 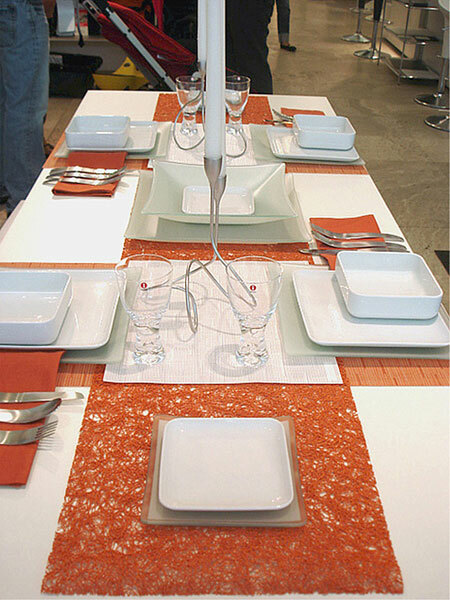 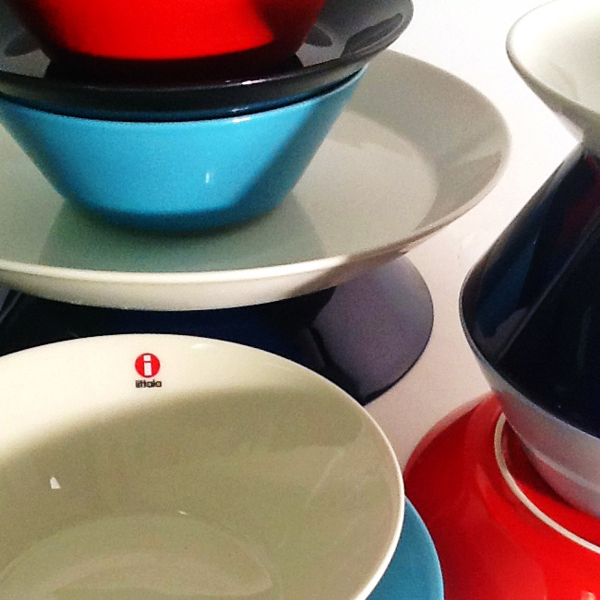 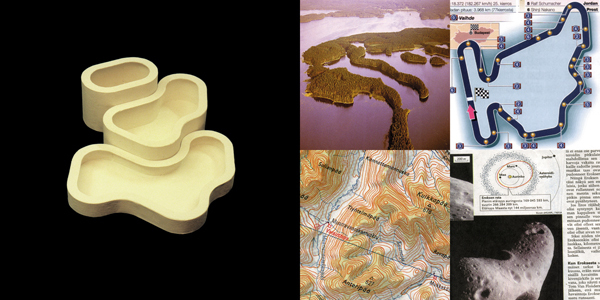 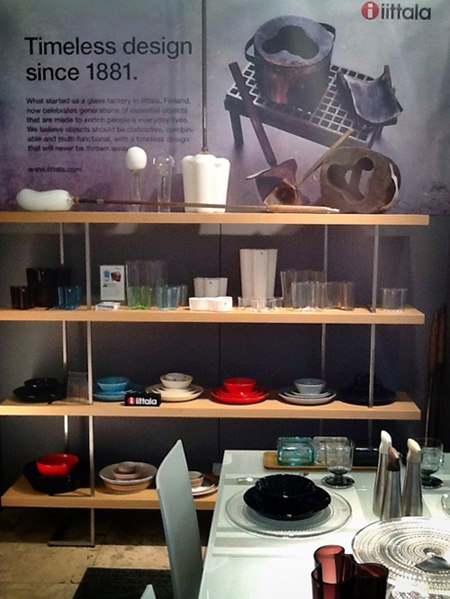 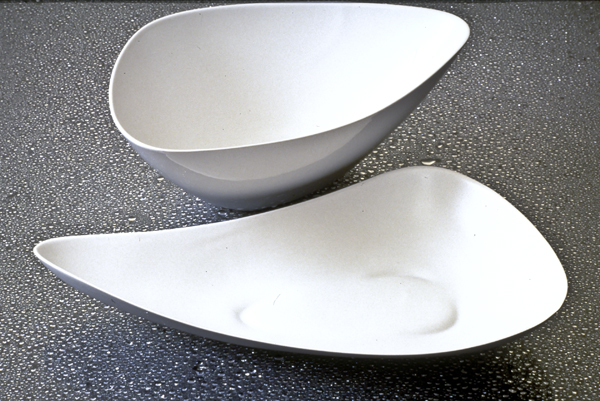 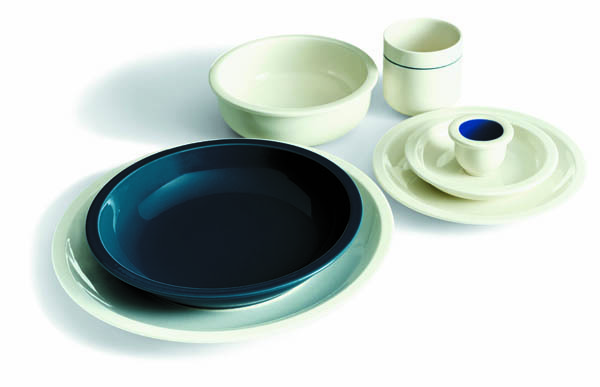 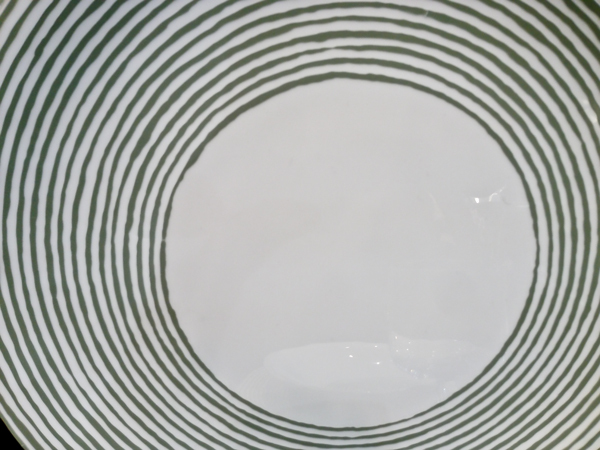 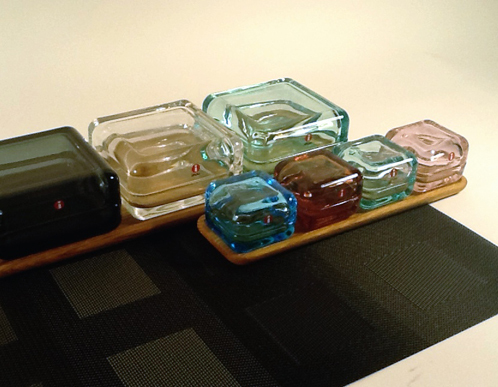 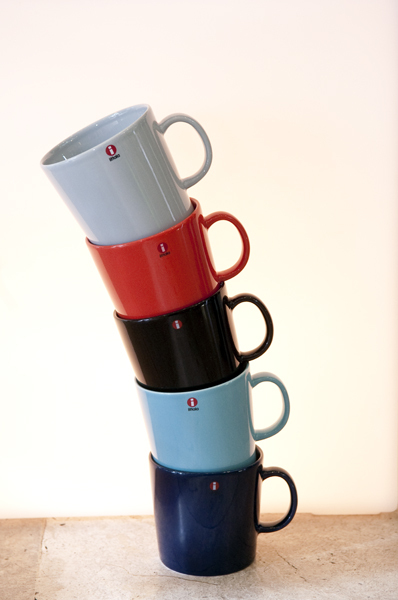 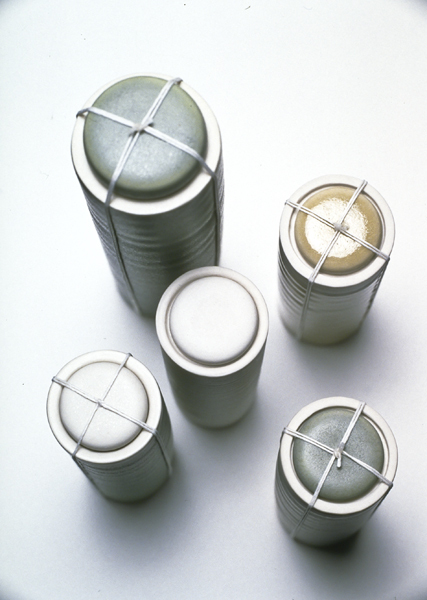 2012 is a celebratory year for iittala marking 60th anniversary of Kaj Franck’s Teema dinnerware. 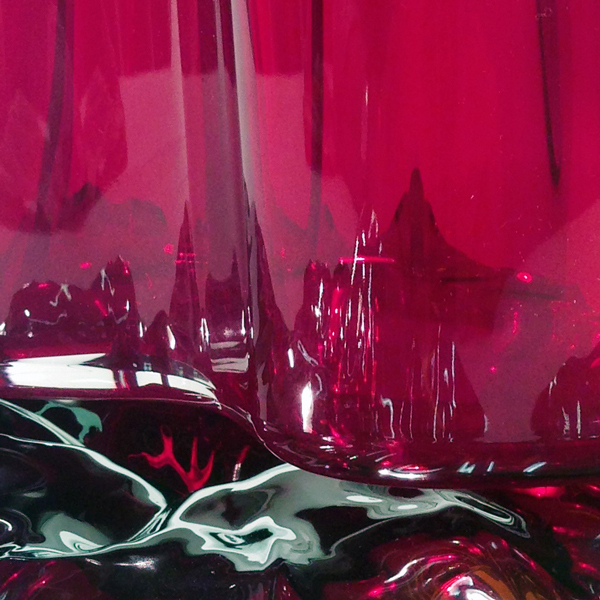 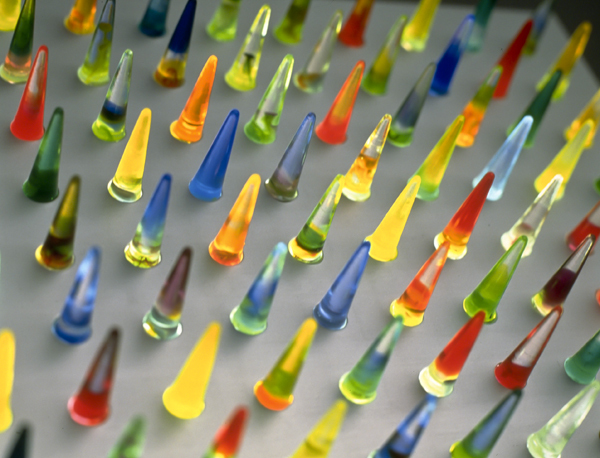 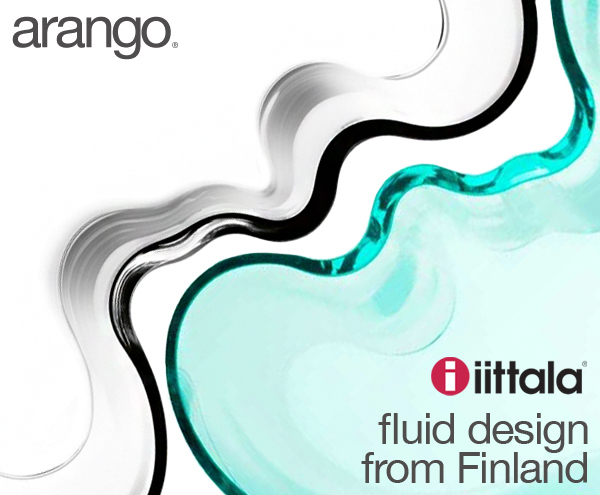 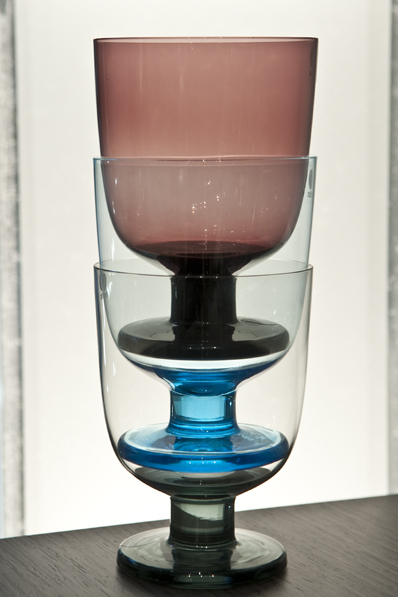 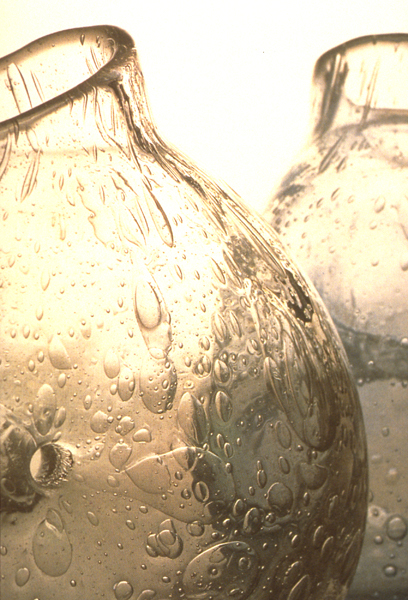 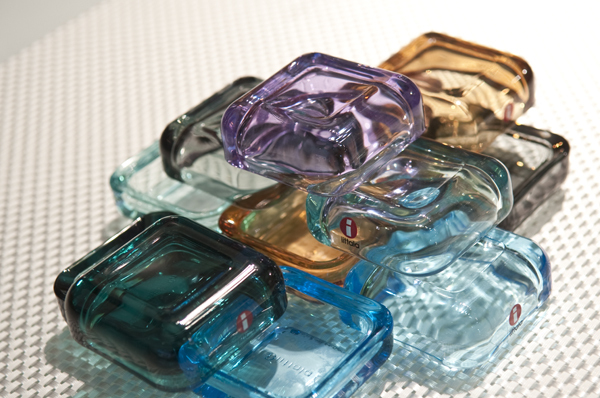 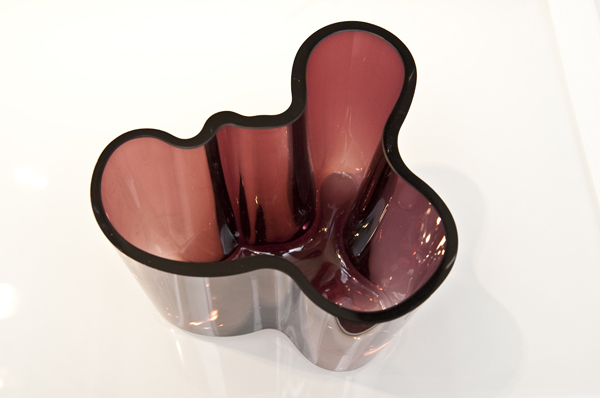 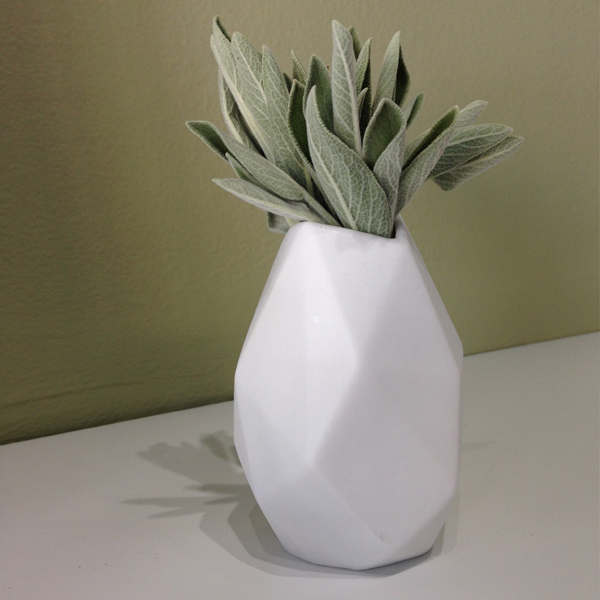 arango will be showing the complete iittala collection including new colors of aalto vases. 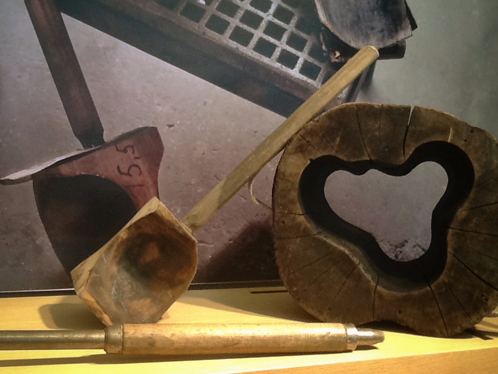 The exhibition features original wooden molds and tools designed and used to create some of the best functional design of our time. 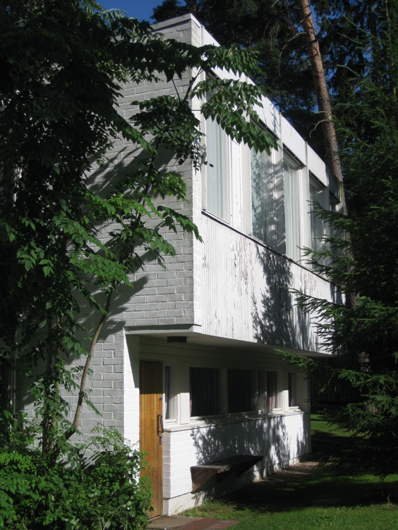 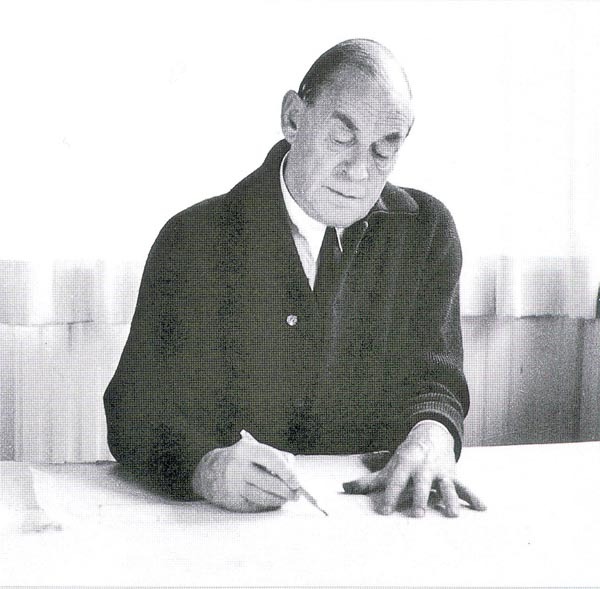 A video presentation of Alvar Aalto’s architectural projects with images of his studio, his residence, and public buildings in Helsinki, provides a glimpse of the rich Finnish design culture. 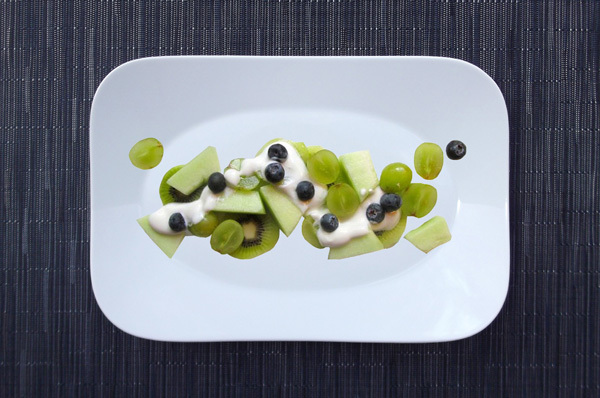 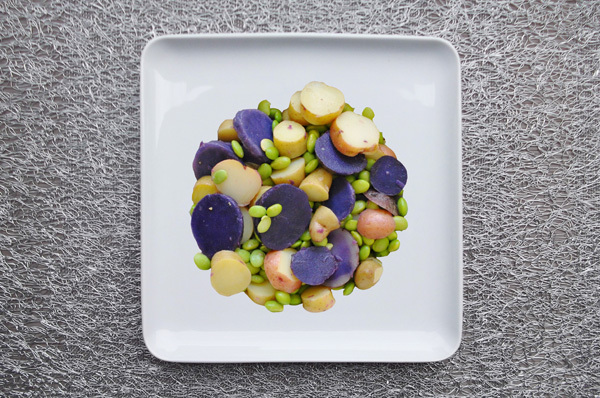 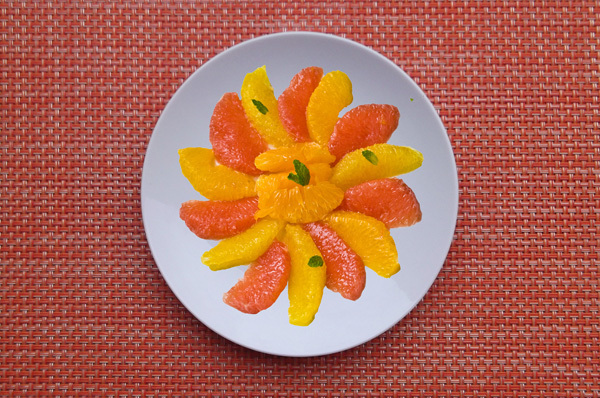 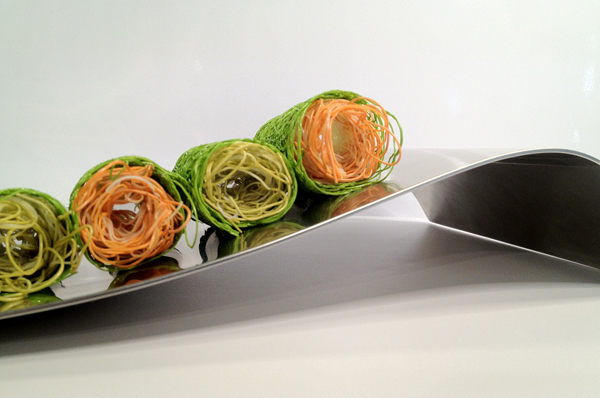 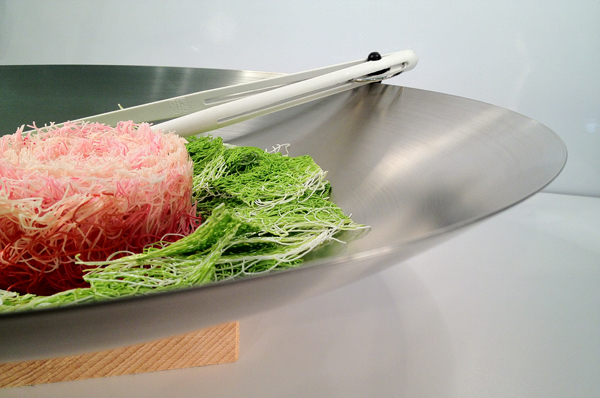 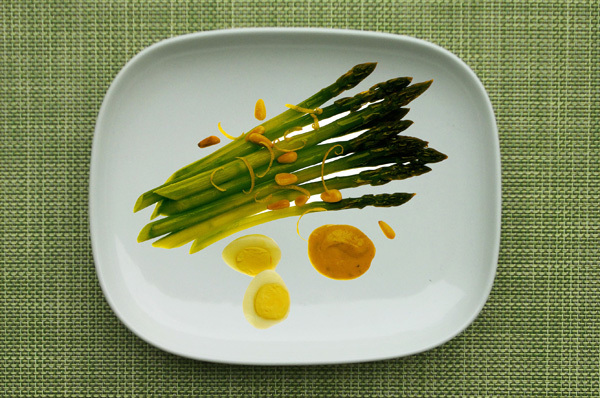 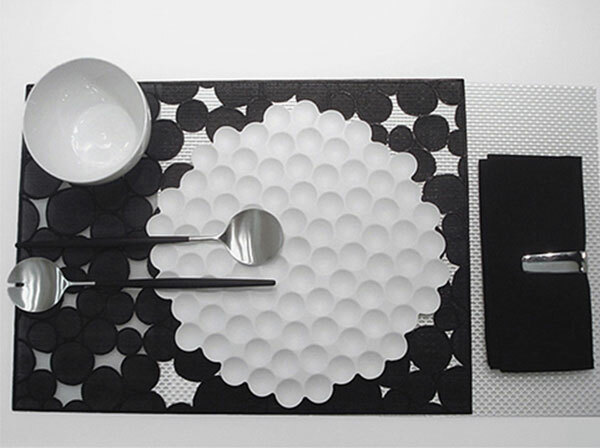 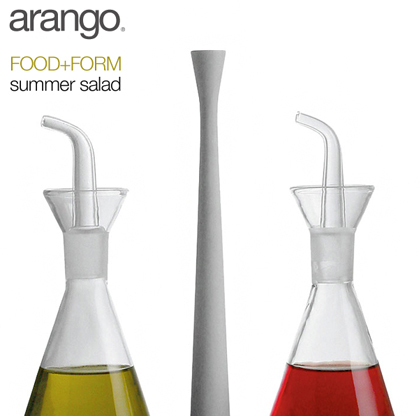 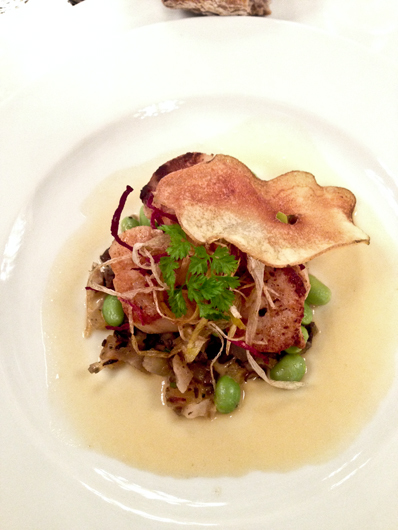 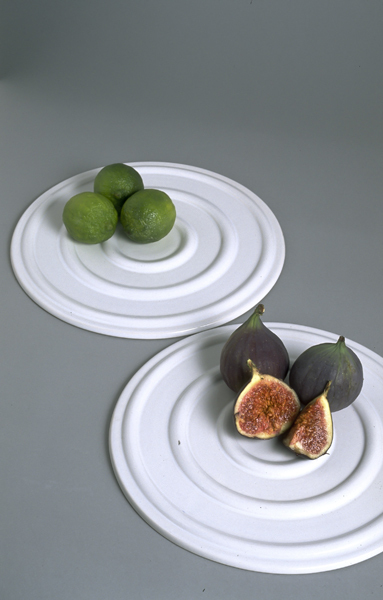 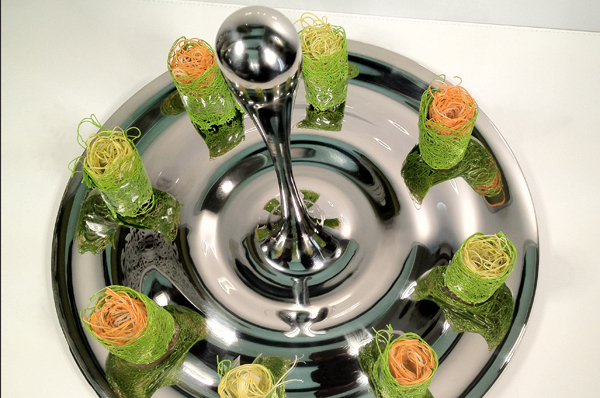 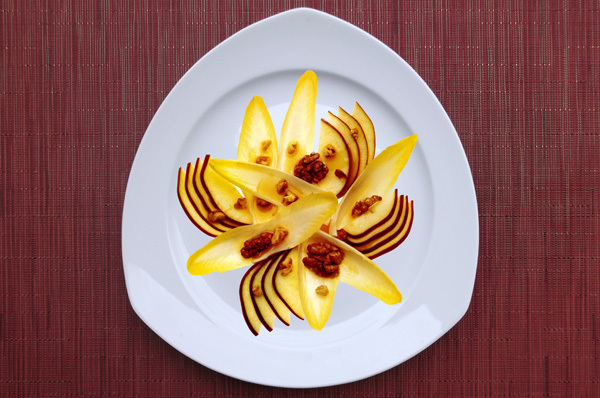 arango FOOD+FORM series explores relationships between tabletop elements and the foods we love. 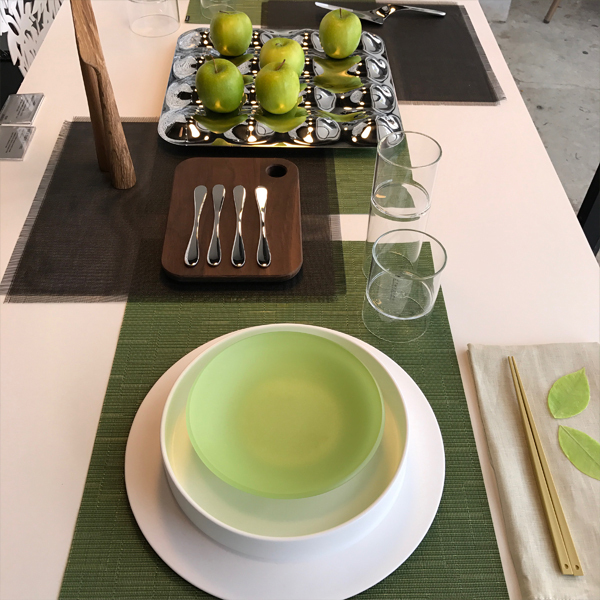 This season we present summer salad, designing table settings by building color associations that engage the visual palate. 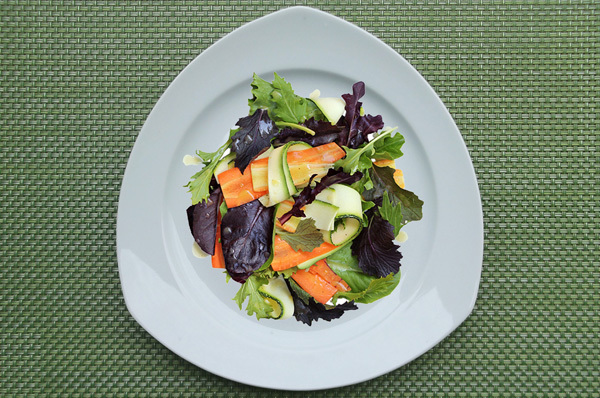 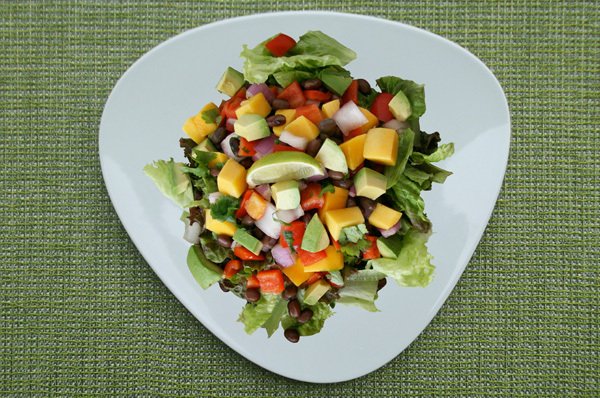 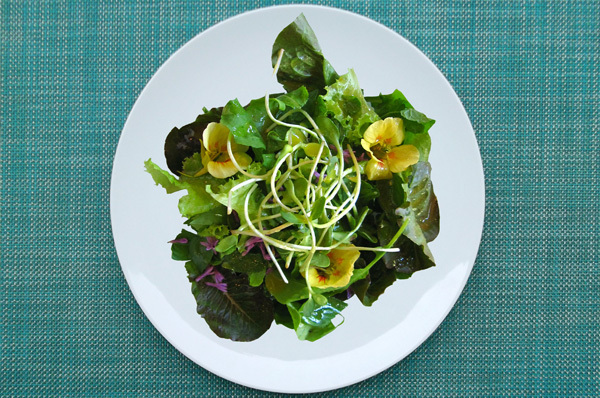 The salad itself is the number one story of a beautiful summer table, and the selection of a placemat respecting the salad’s ingredients and colors will add to the delight and feed your appetite. 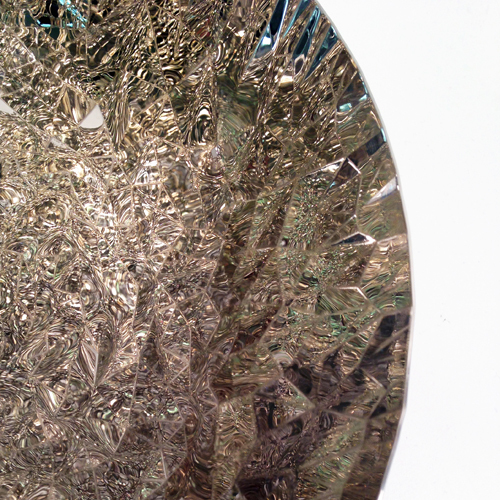 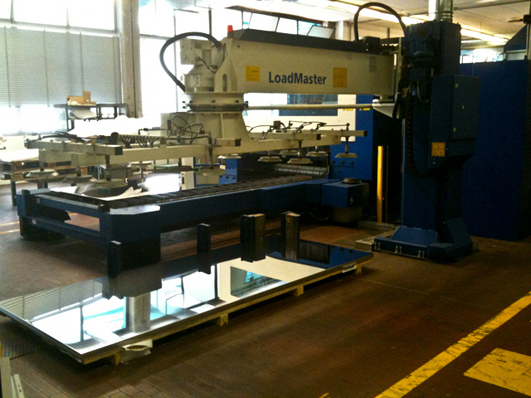 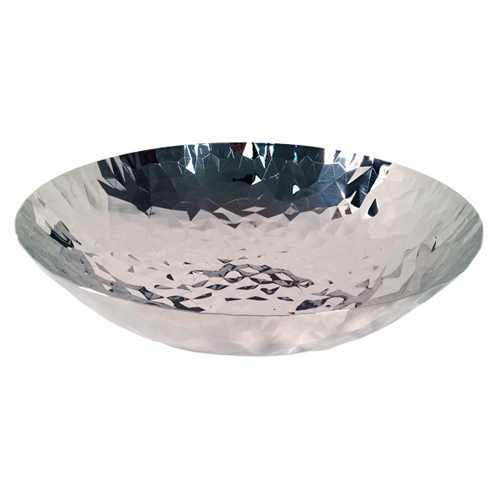 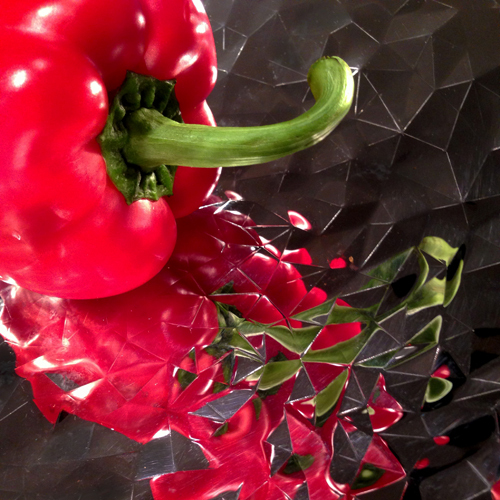 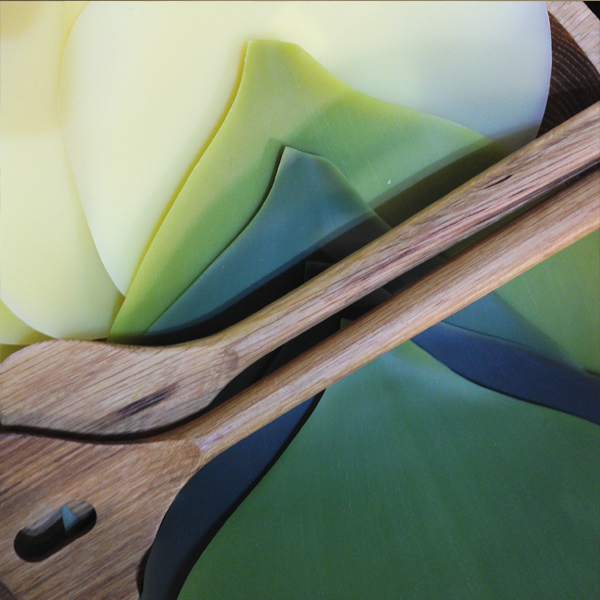 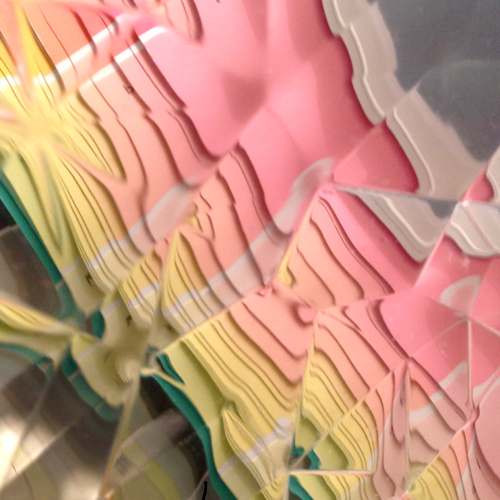 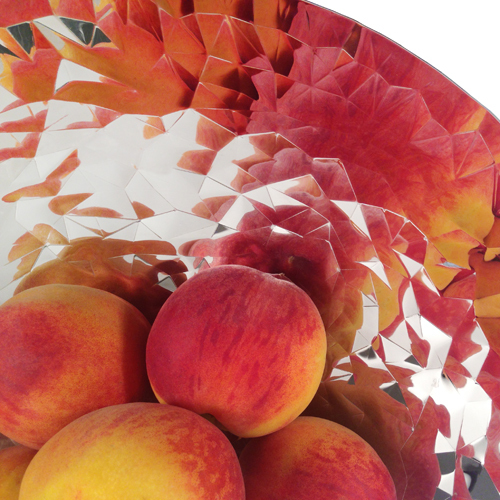 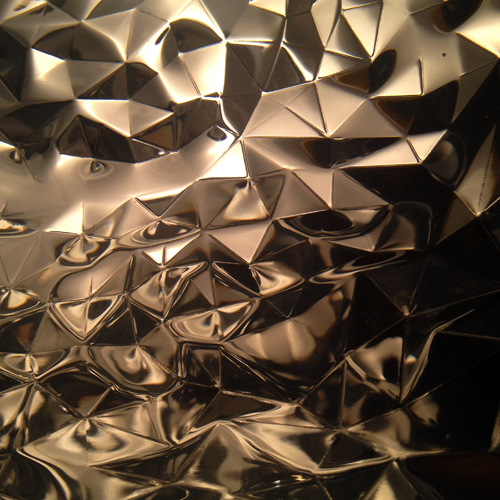 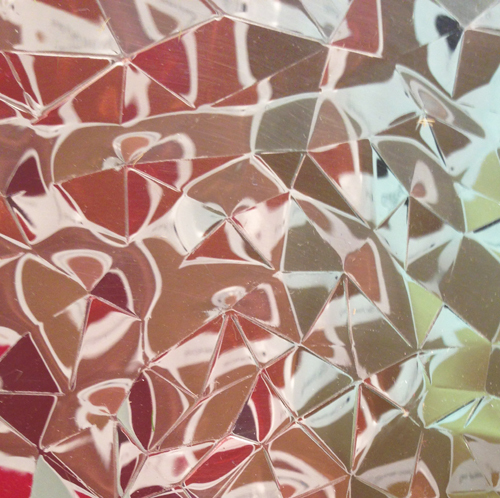 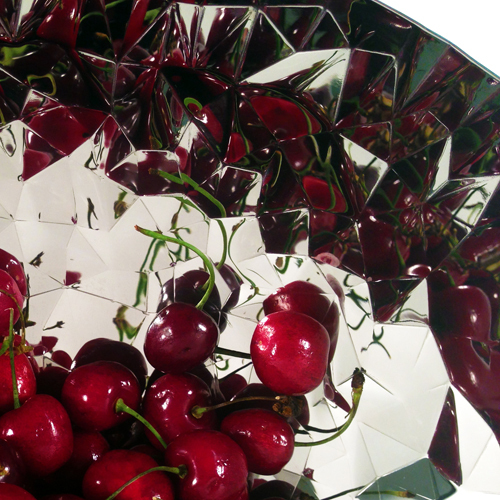 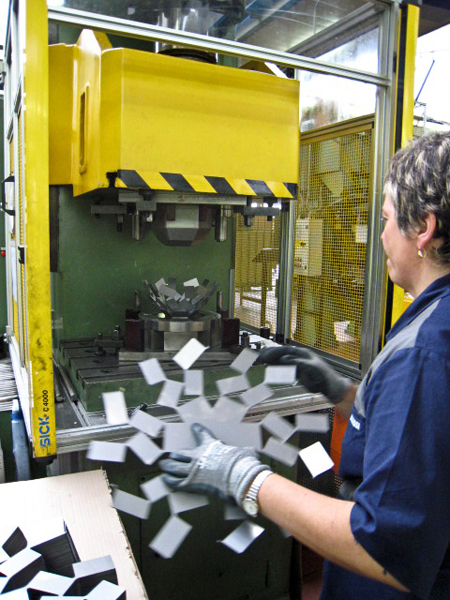 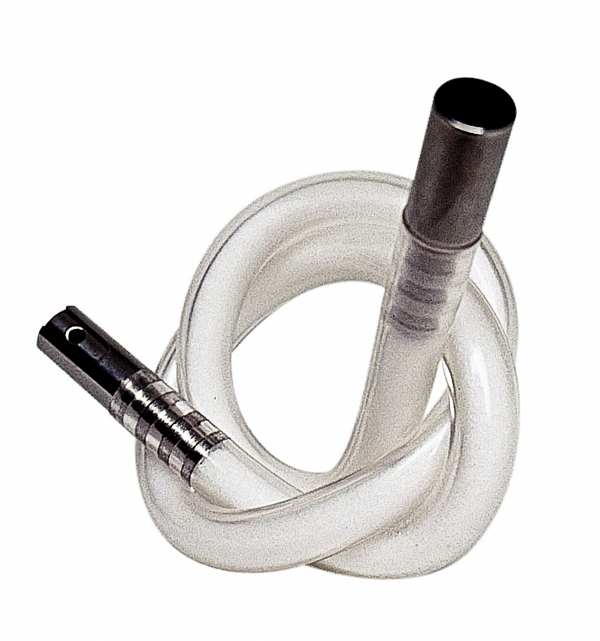 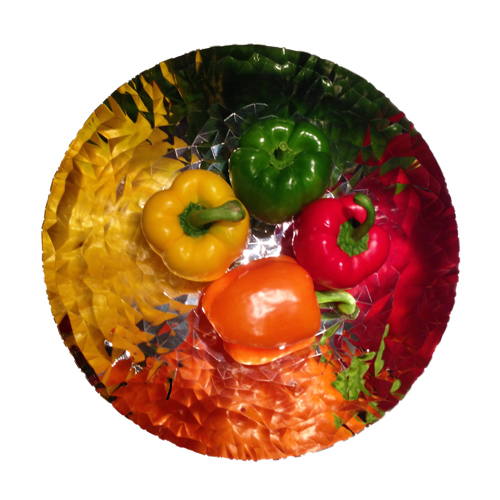 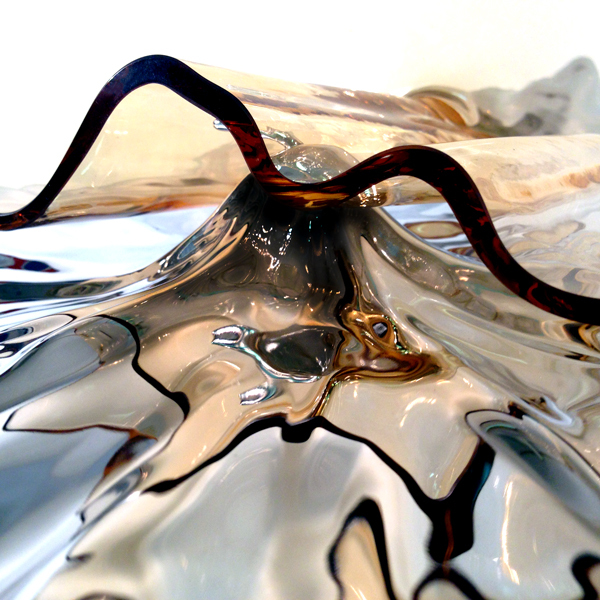 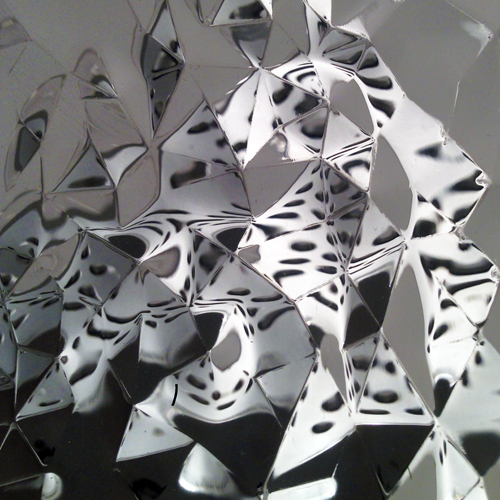 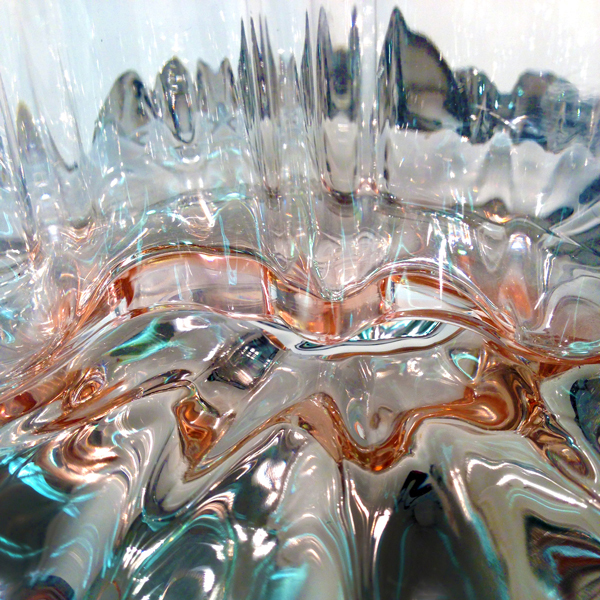 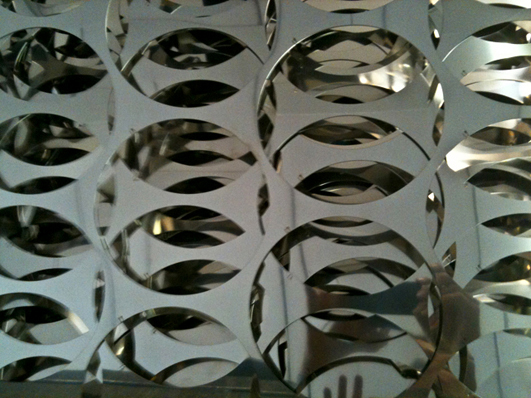 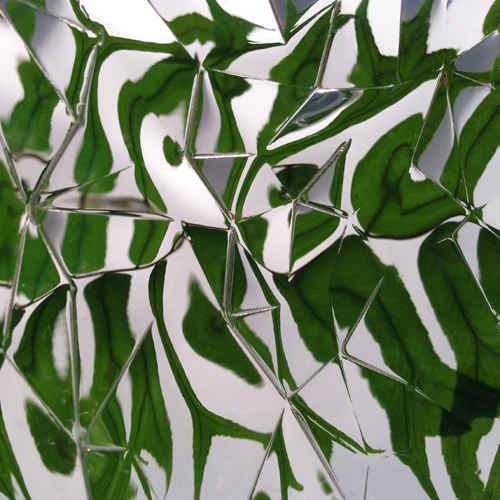 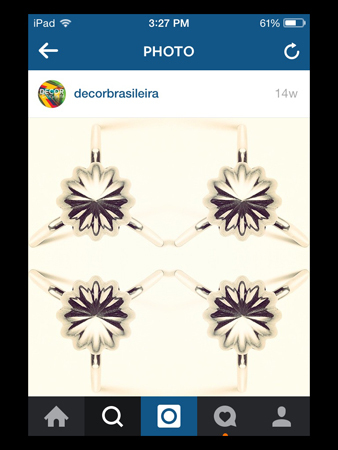 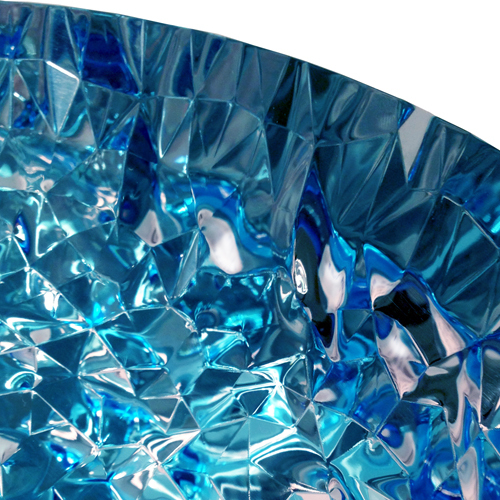 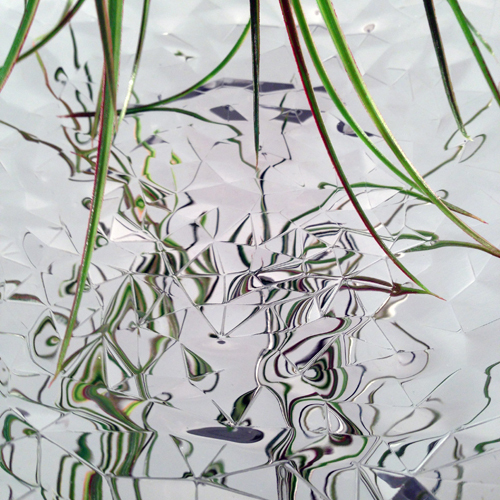 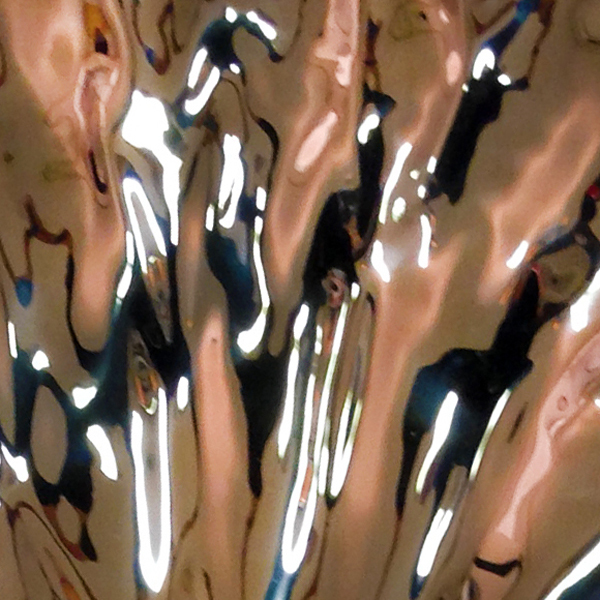 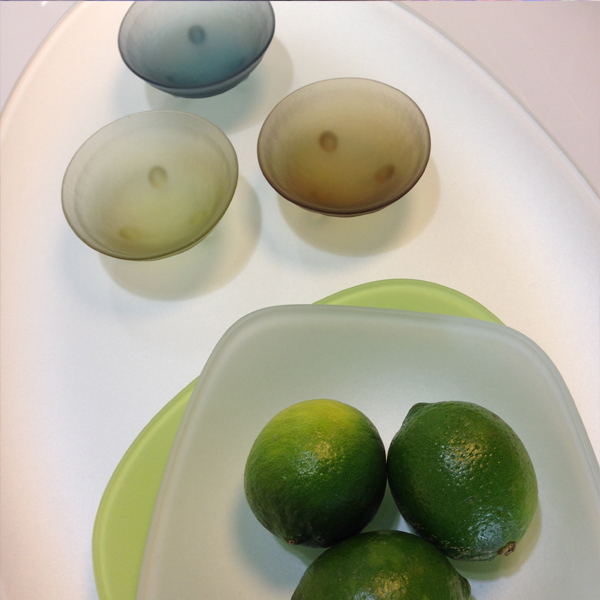 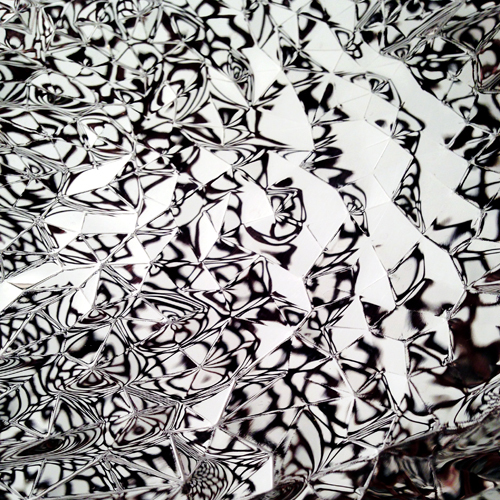 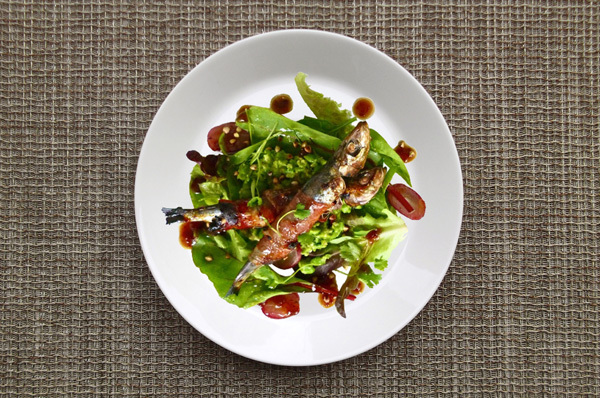 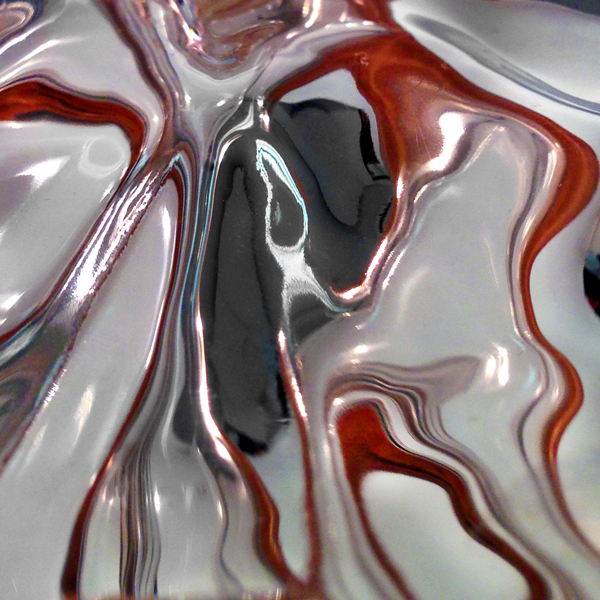 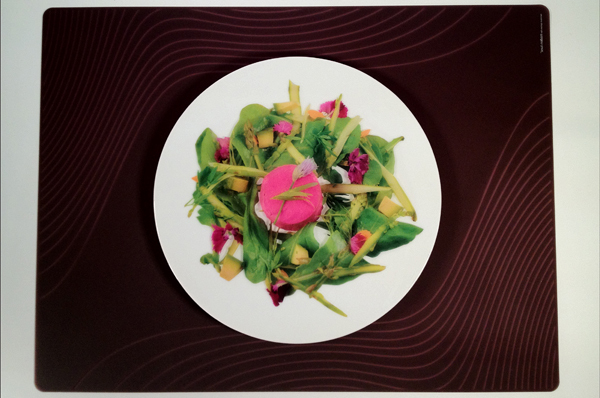 We have printed a selection of salads on clear acetate film. 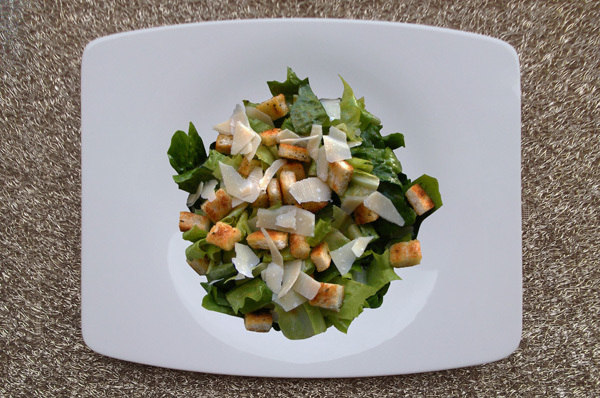 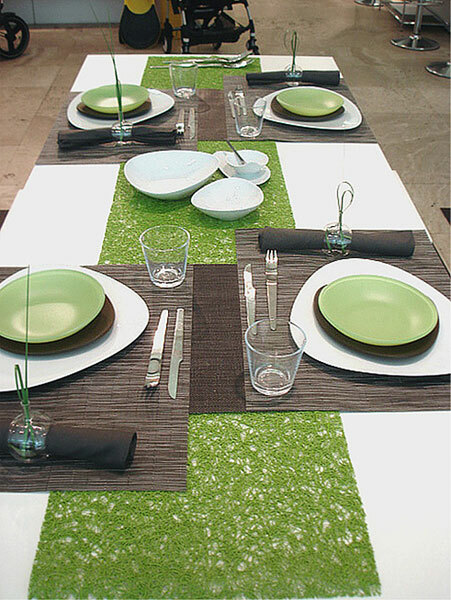 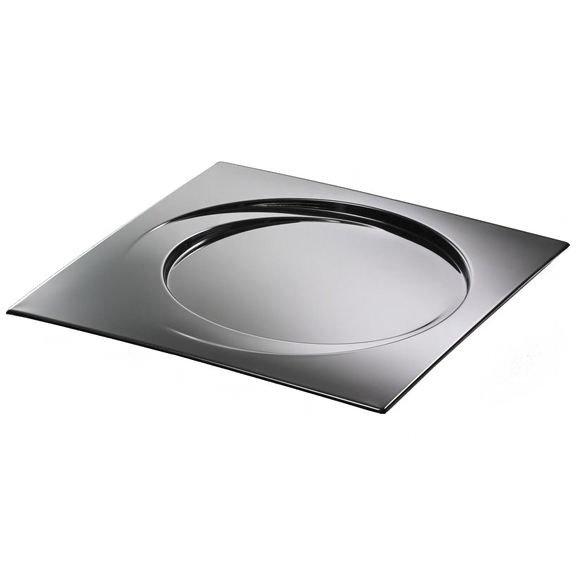 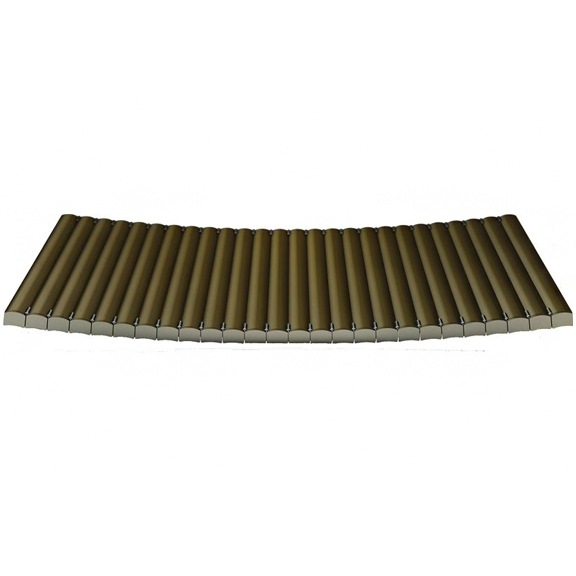 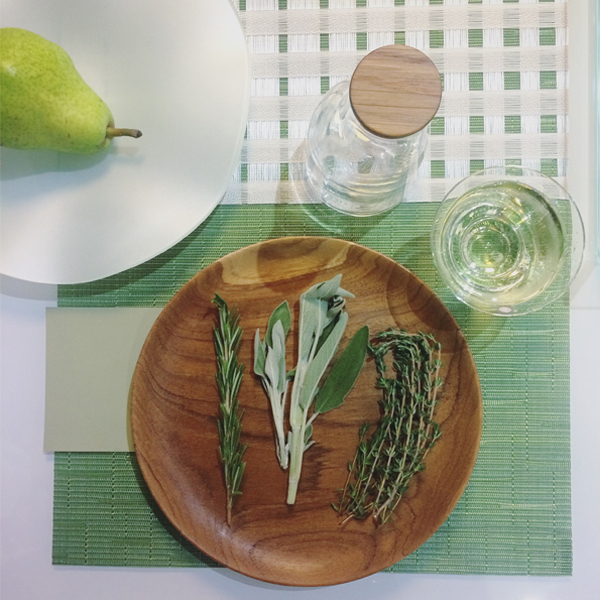 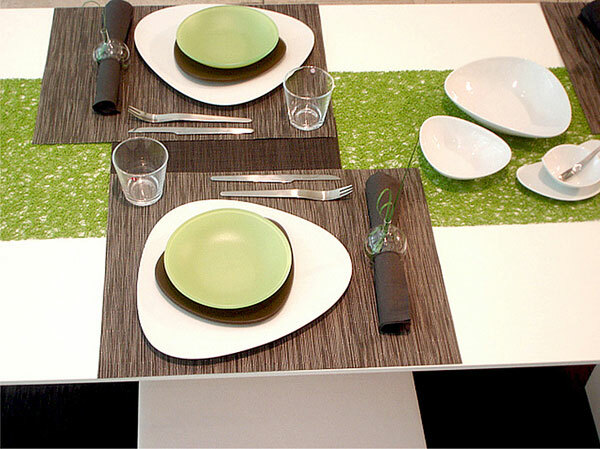 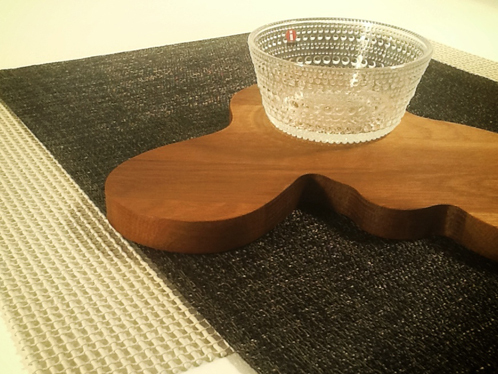 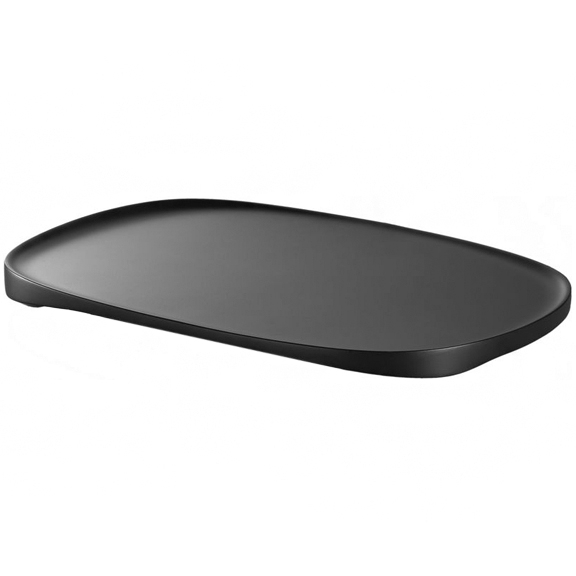 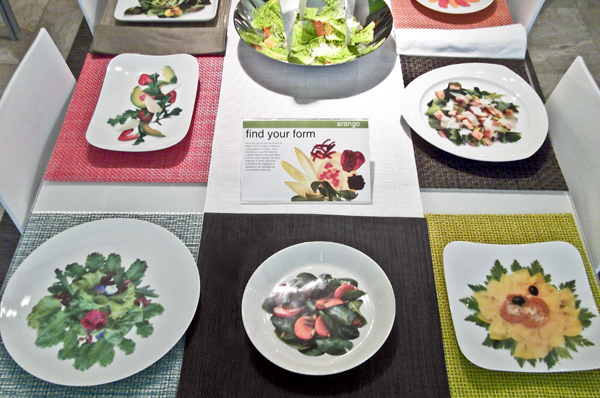 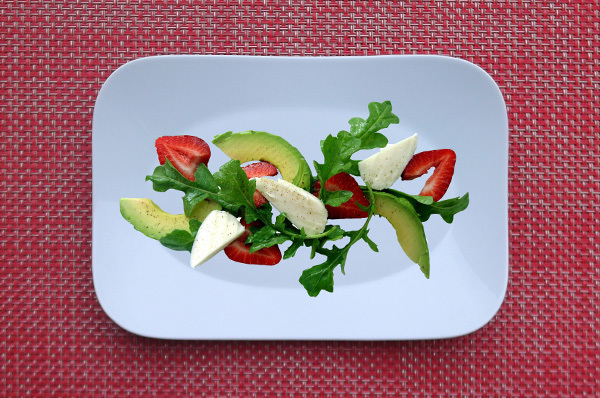 Our customers are encouraged to select a favorite salad, a plate respecting the scale and shape of the salad, and a complimentary placemat from our full chilewich® range. 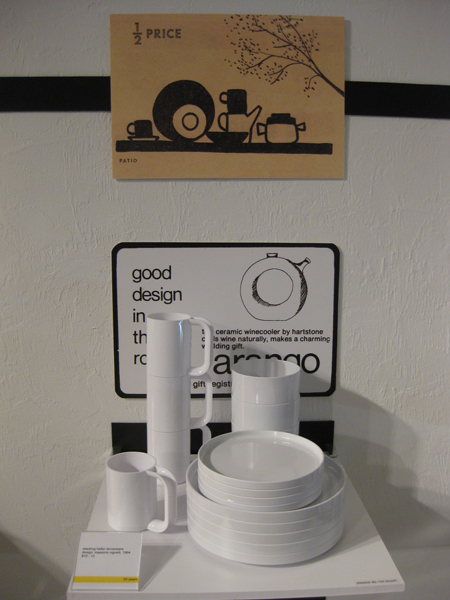 The results are surprising and overwhelmingly convincing that good design is both fun and rewarding. 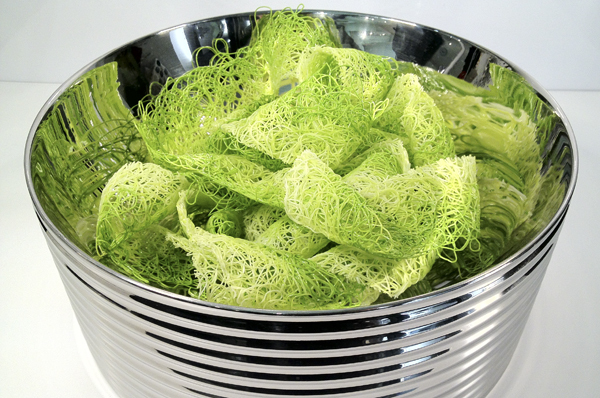 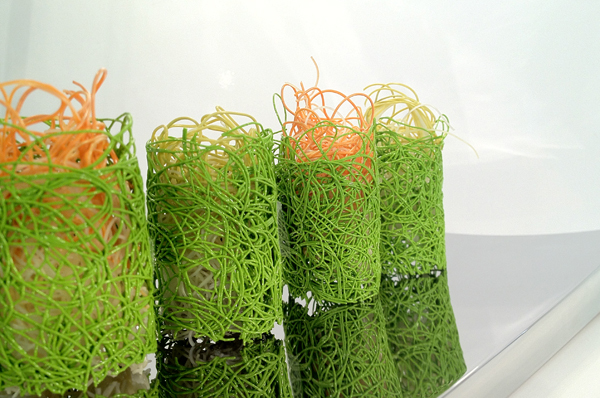 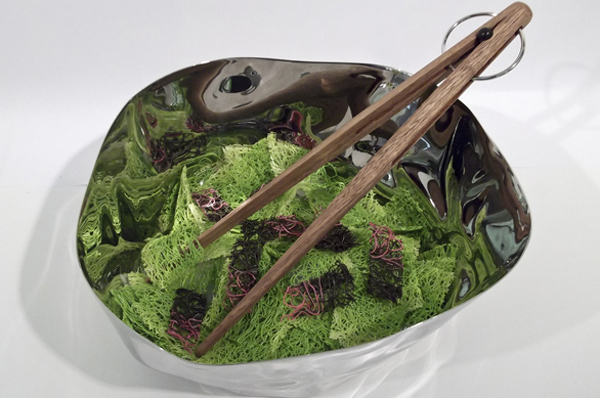 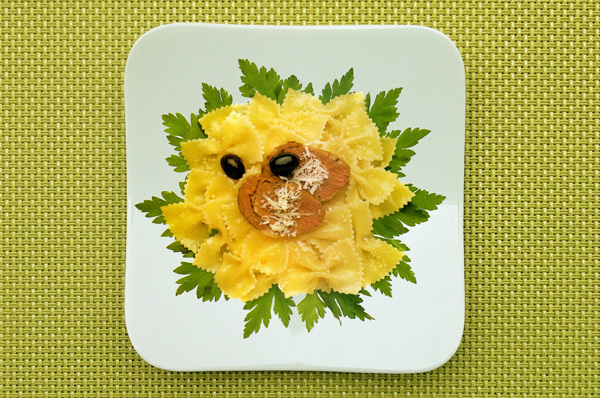 With additional playfulness, chilewich® remnants are employed as salad materials to express a variety of forms with which to serve salad. 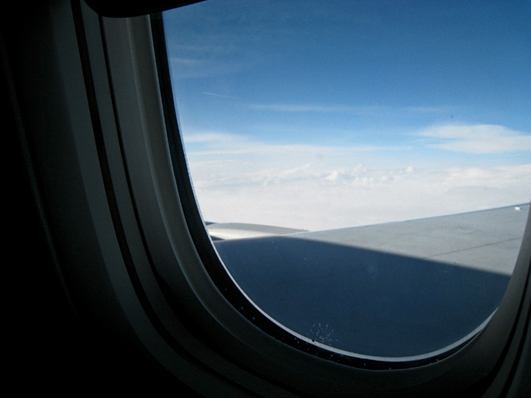 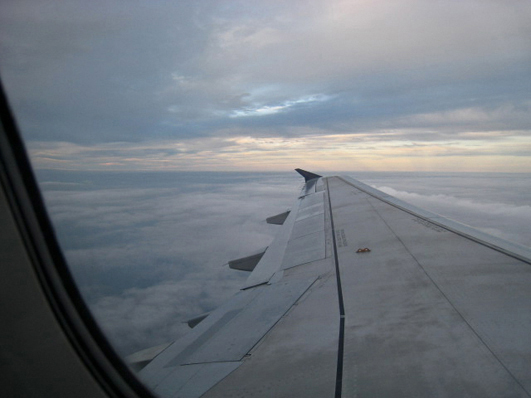 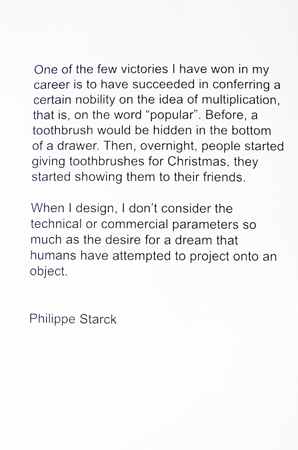 It is a great pleasure to stretch the imagination and discover such opportunity! 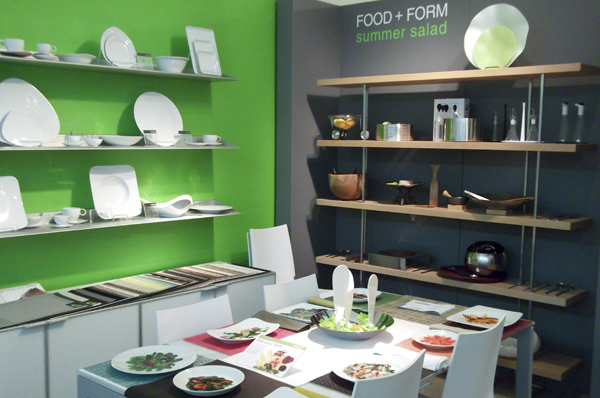 arango FOOD+FORM exhibitions will continue to explore interesting relationships that offer design solutions to our everyday dining experience. 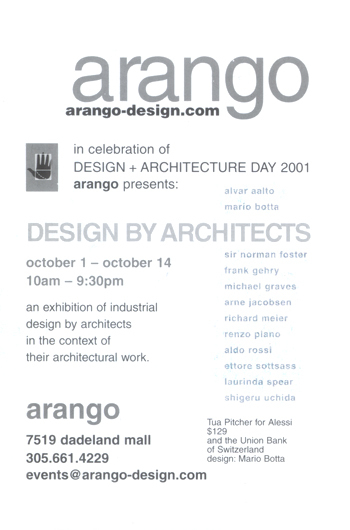 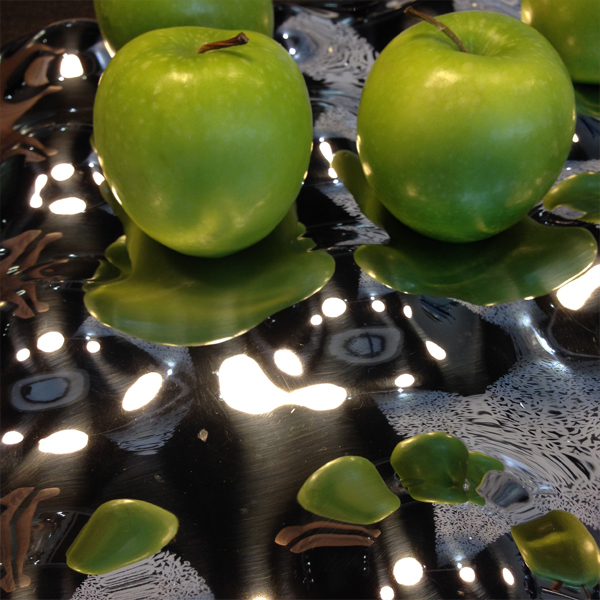 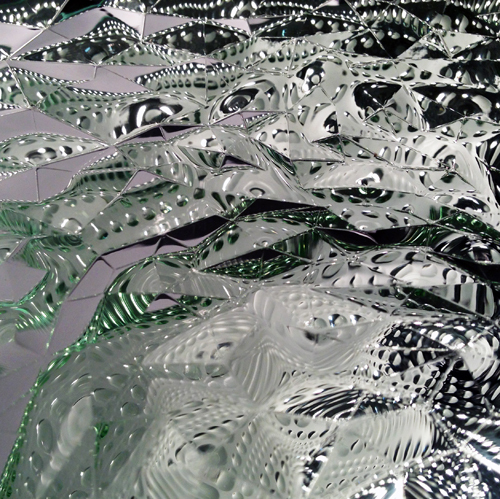 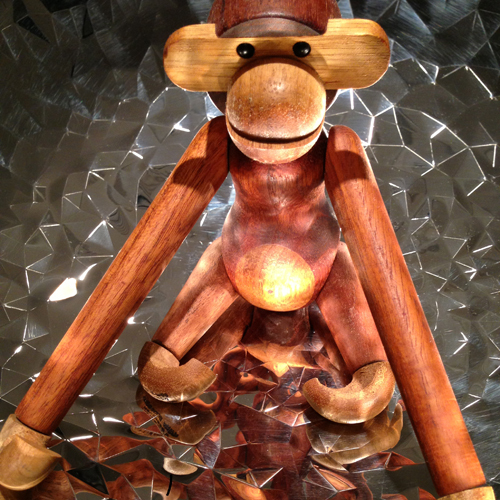 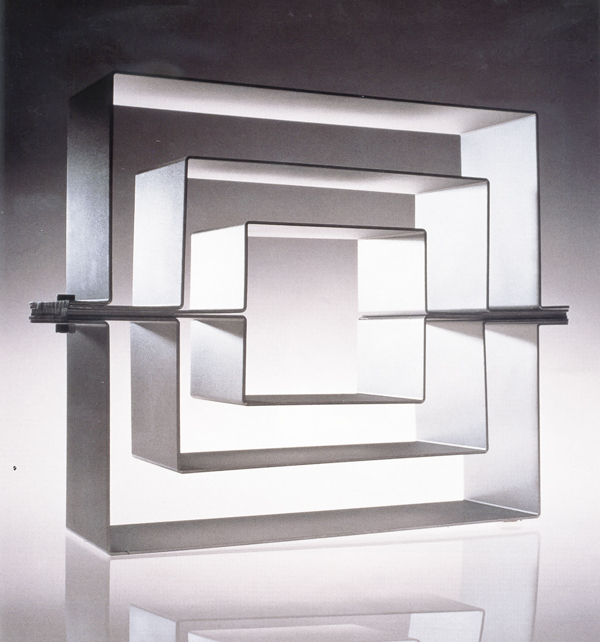 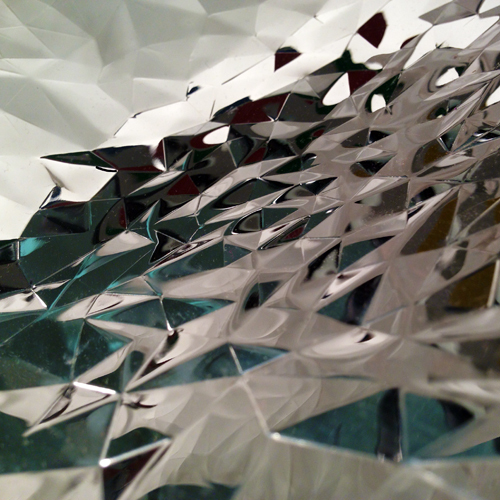 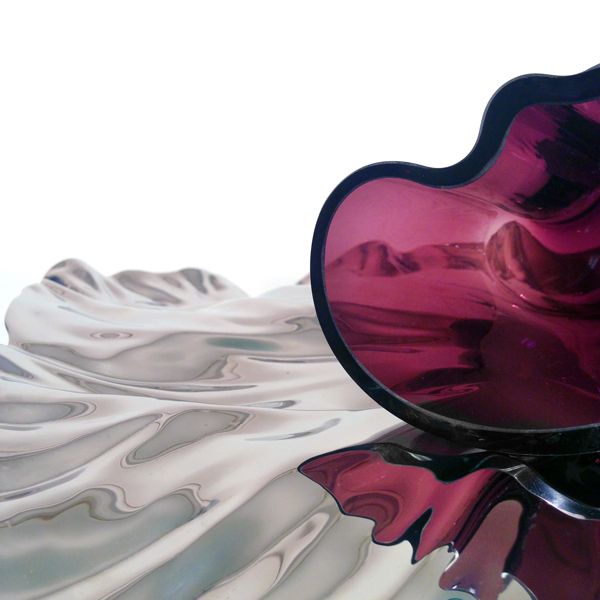 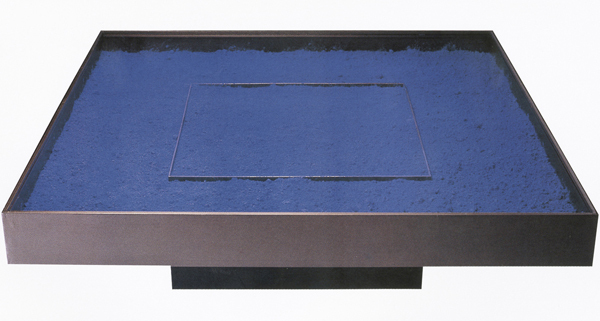 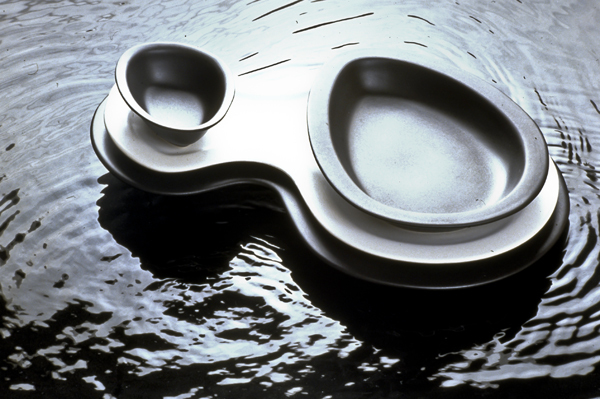 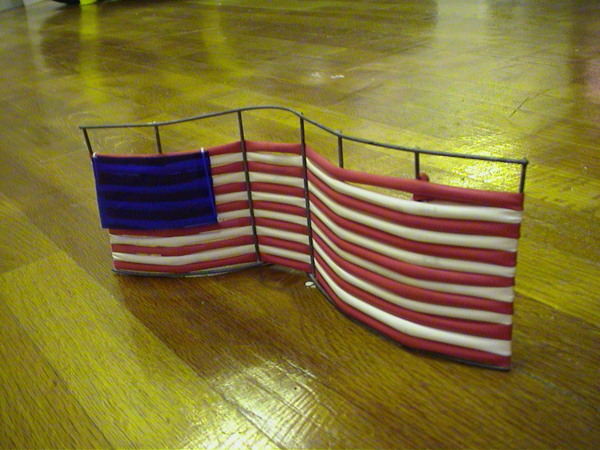 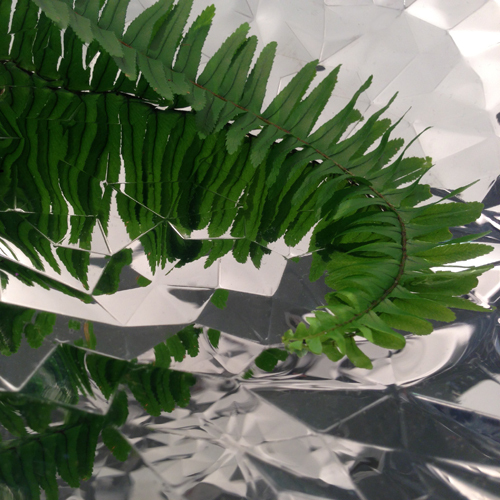 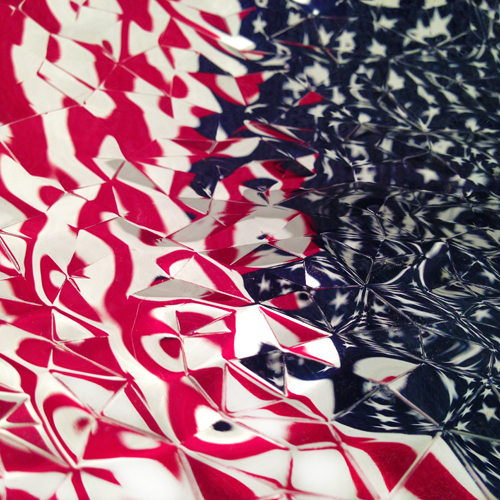 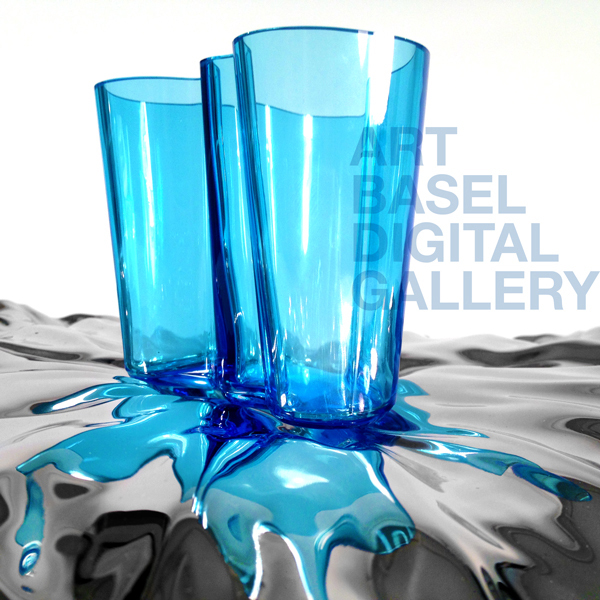 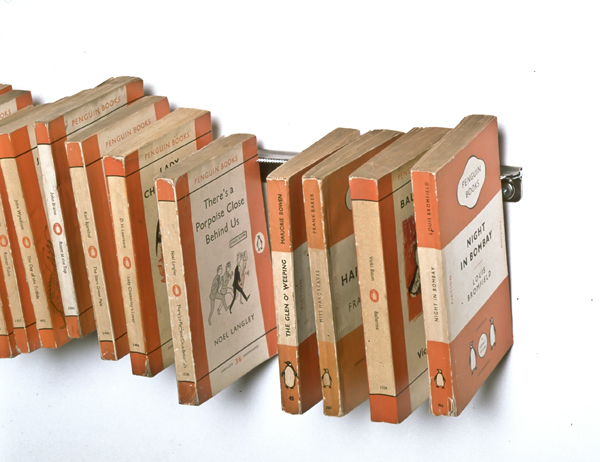 arango introduces to the U. S. an astonishing exhibition generated and curated by Alessi. 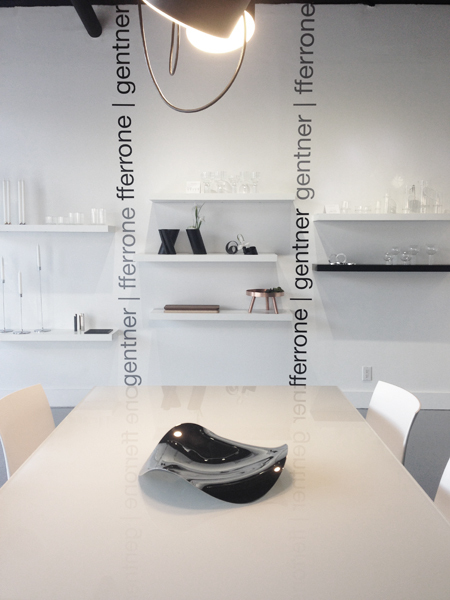 A collection of amazing diverse and beautiful pieces is the result. 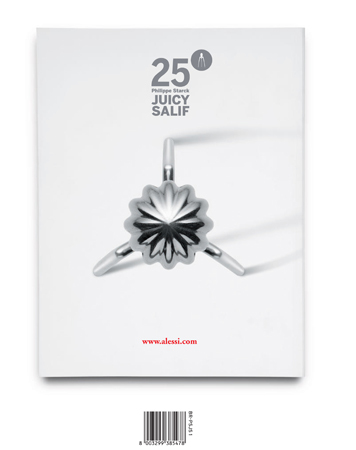 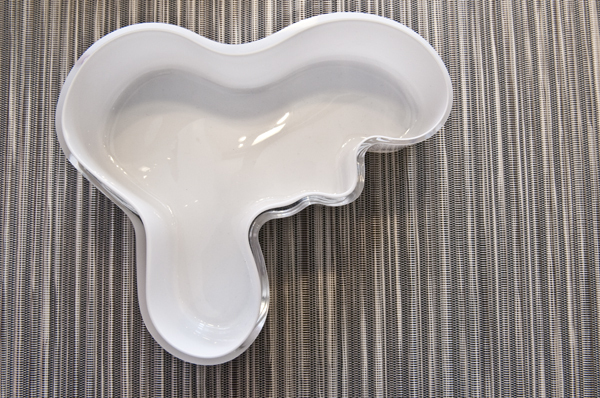 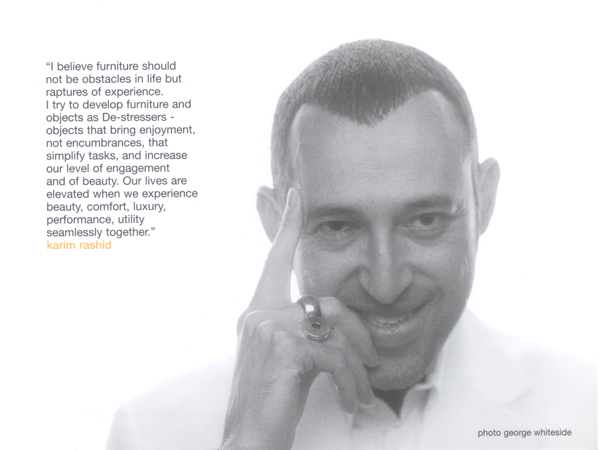 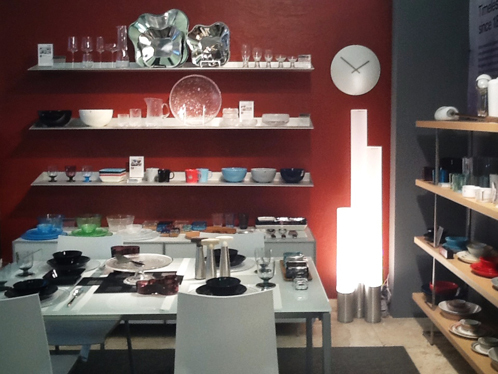 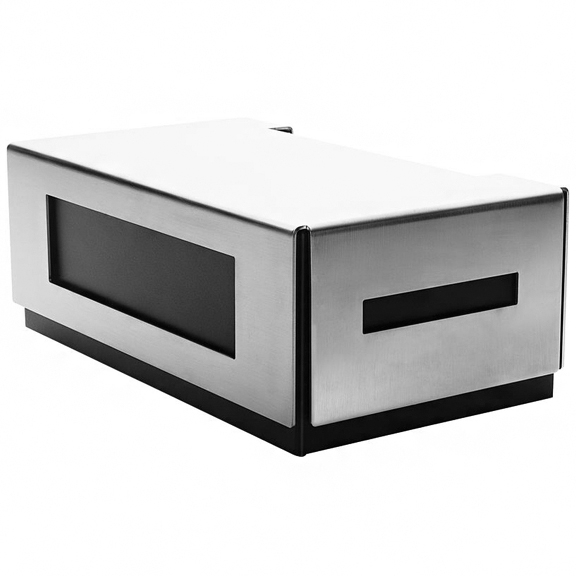 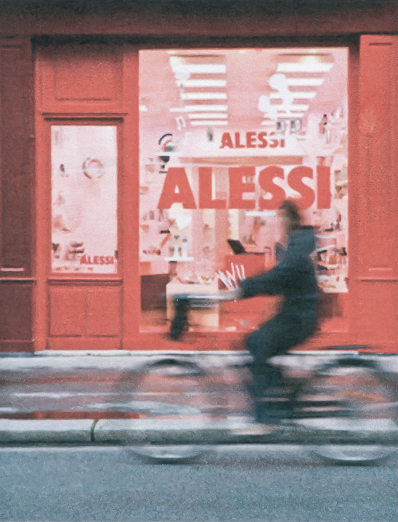 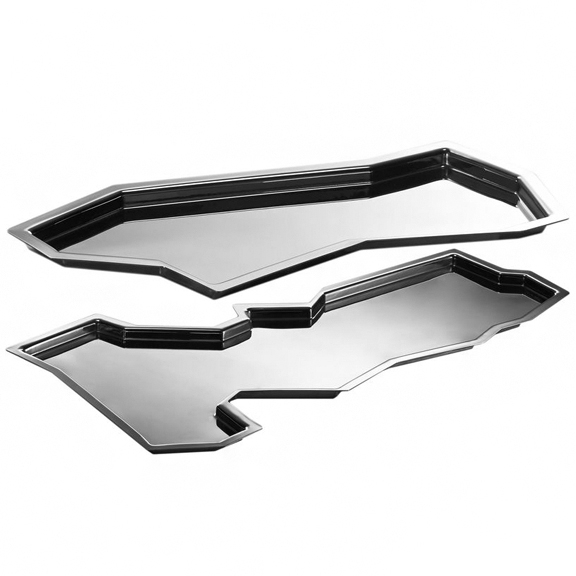 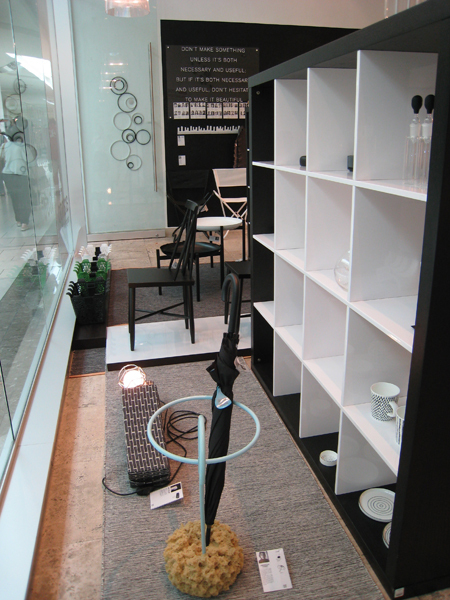 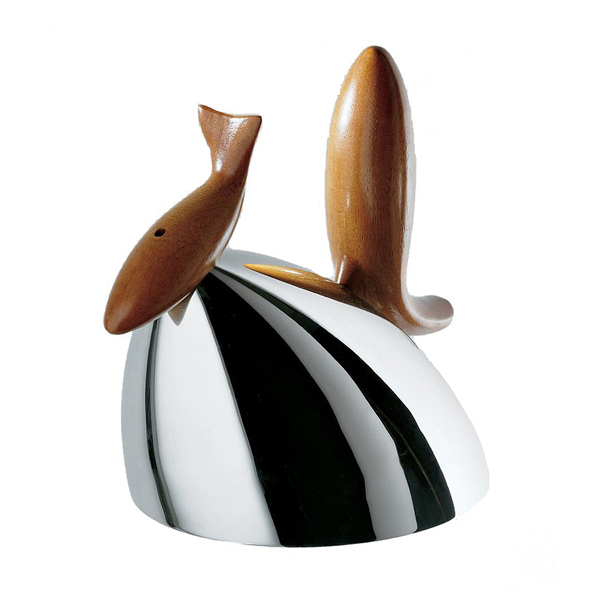 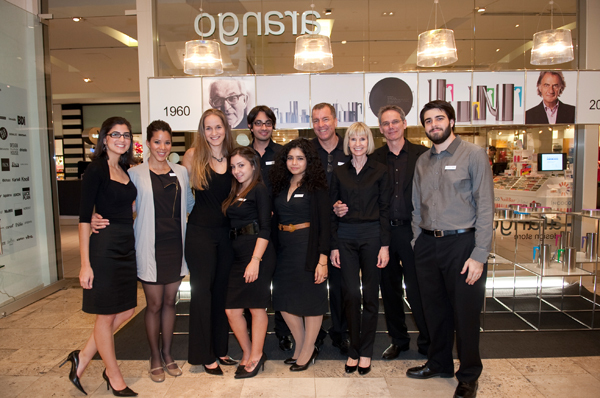 Alessi is a family owned business with a proud history of creating beautiful functional design for home and hospitality. 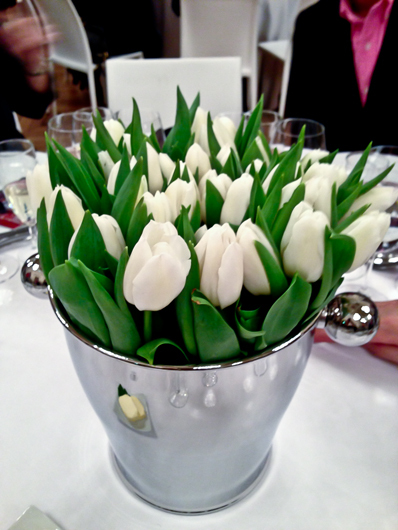 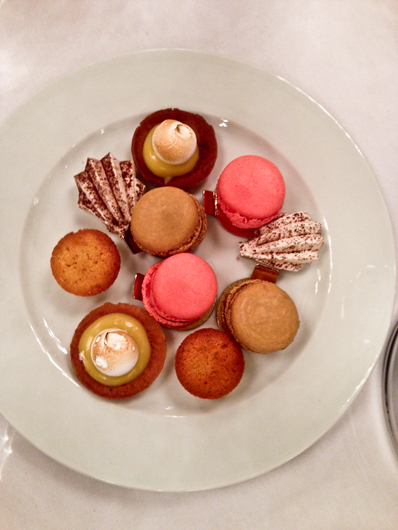 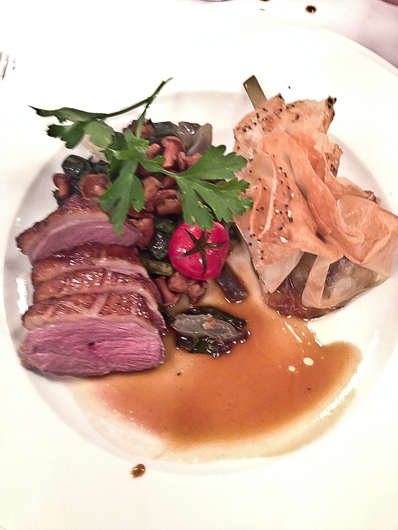 We were warmly greeted by beautiful scenery, fantastic food, great wine, and good company of a small select group of retailers. 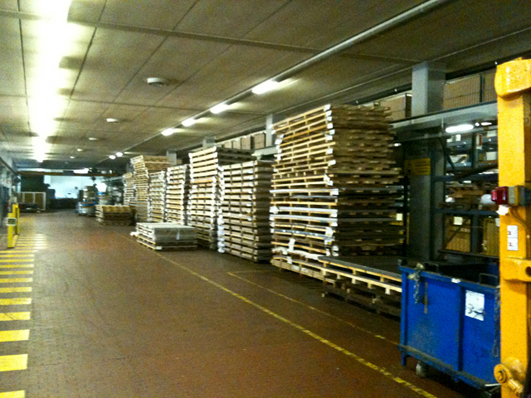 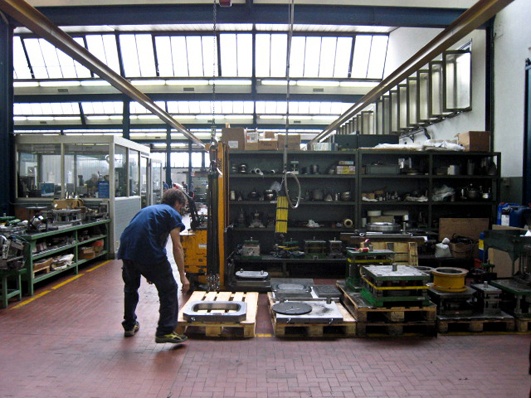 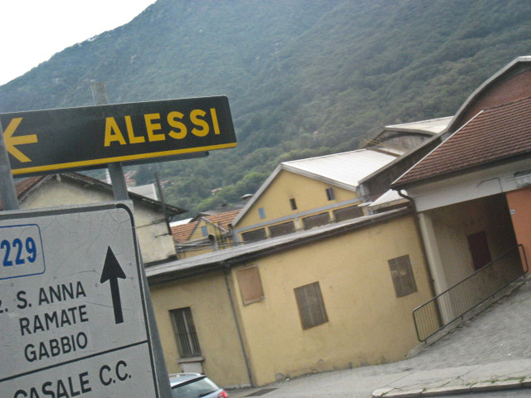 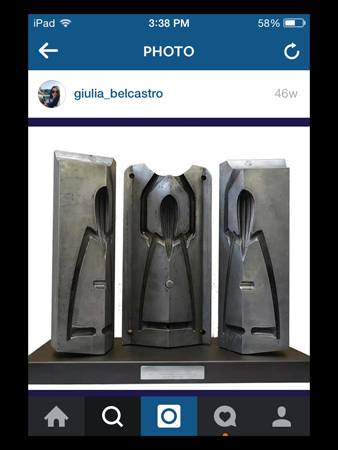 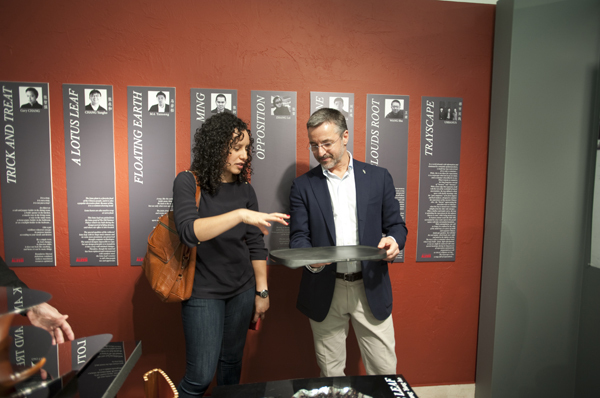 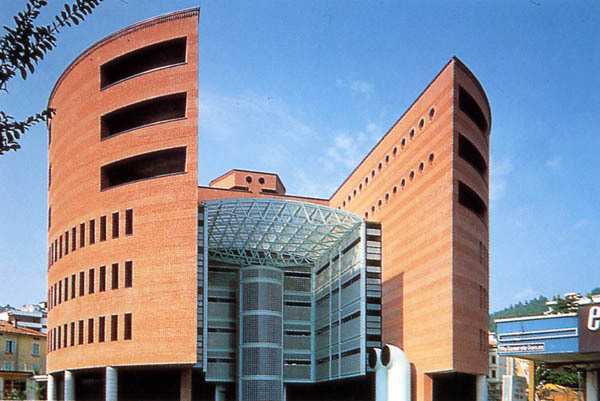 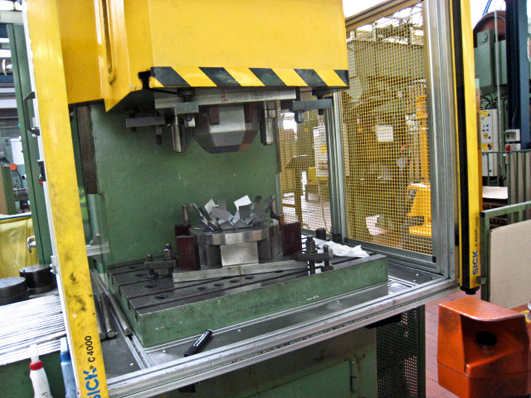 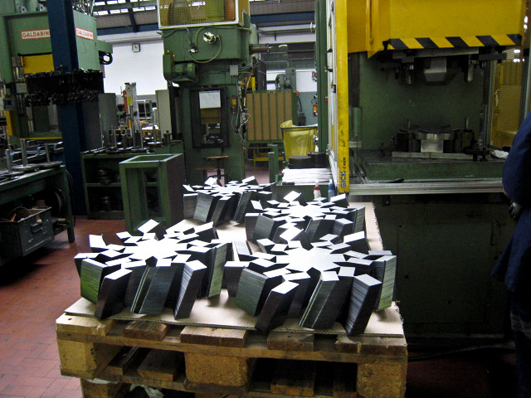 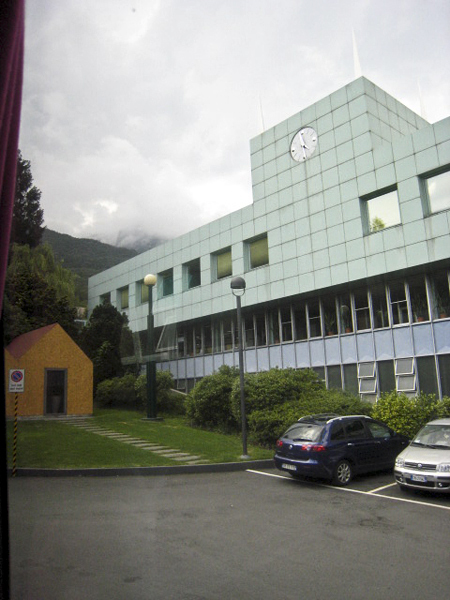 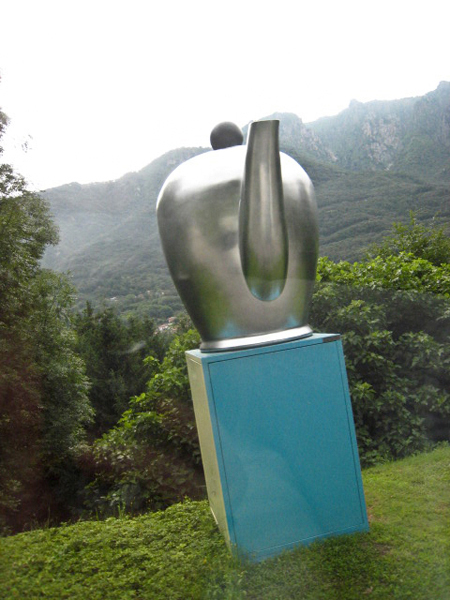 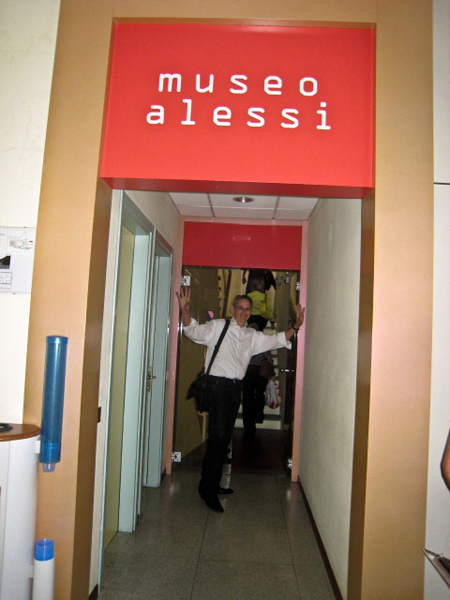 Highlights being tours of Alessi factory, Alessi logistic, and Alessi Museo and archives. 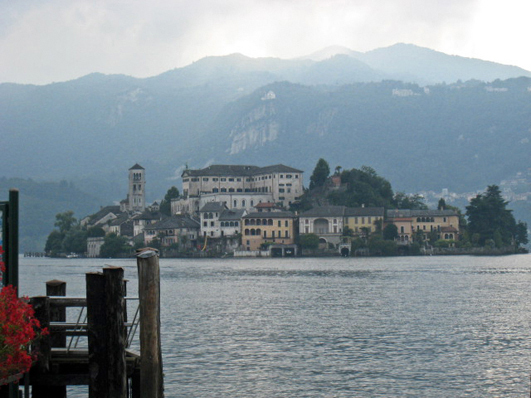 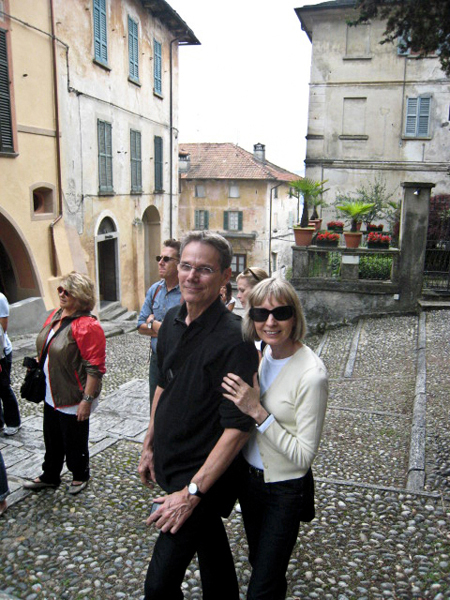 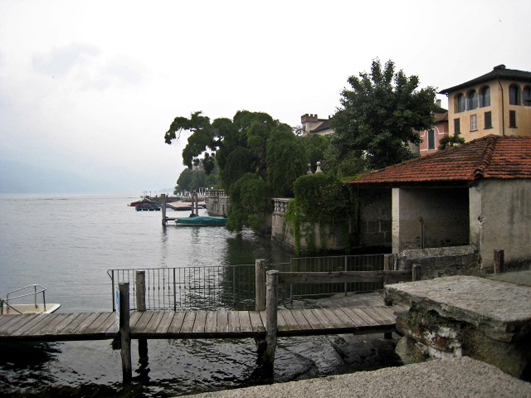 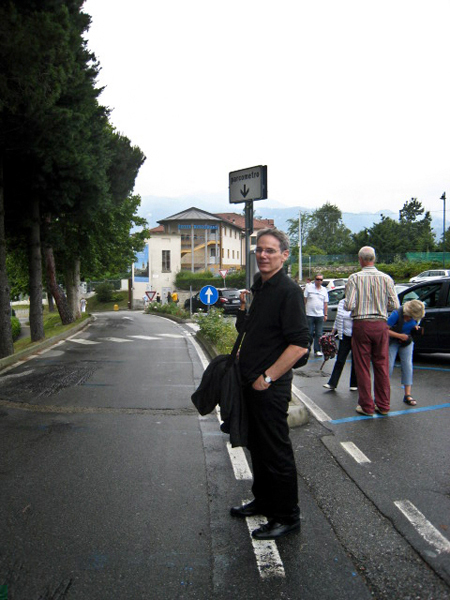 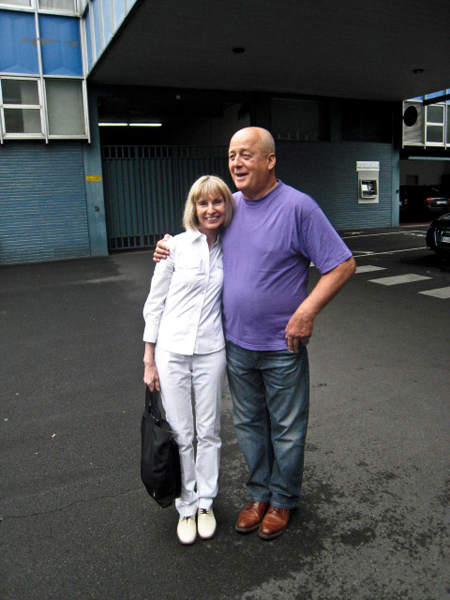 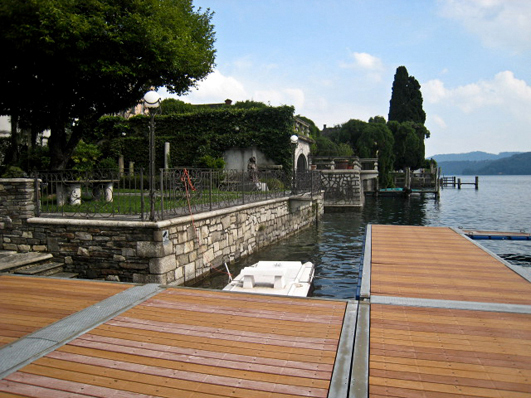 David and I took a few images at the factory (I especially like the photo of Alberto Alessi and I) and of the amazing lake side country and surroundings to share with our friends. 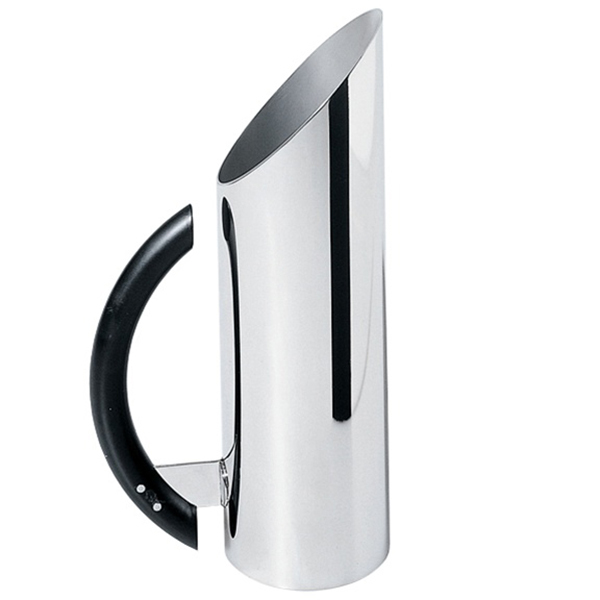 Celebrating Stelton's 50 year anniversary with special editions art directed by Paul Smith and iconic Danish modern design by Arne Jacobsen. 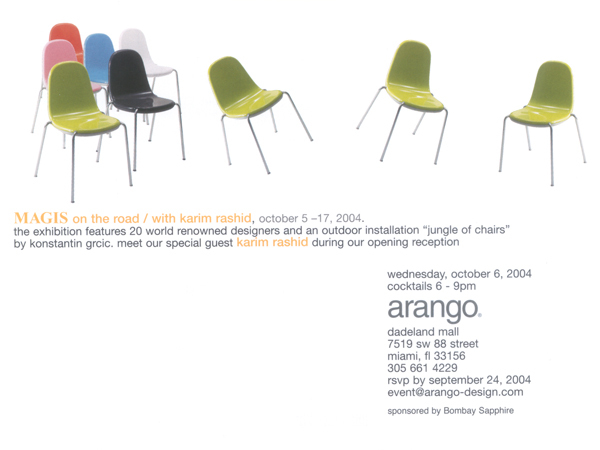 arango, celebrating 50 year anniversary with a series of exhibitions and events during 2009 and 2010. 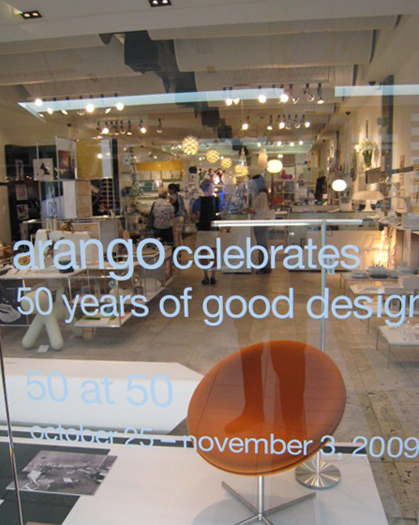 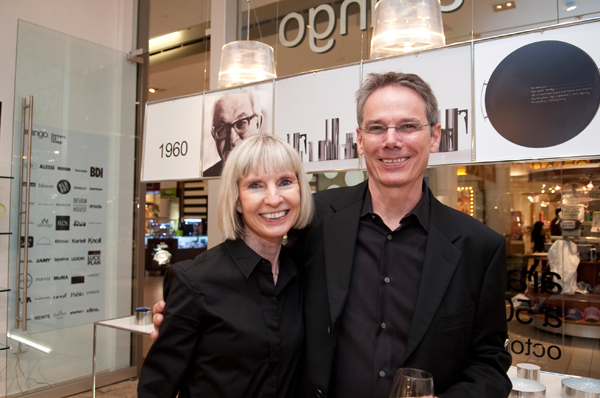 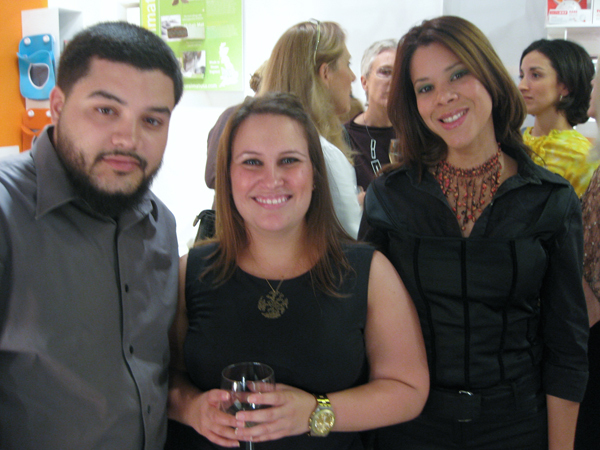 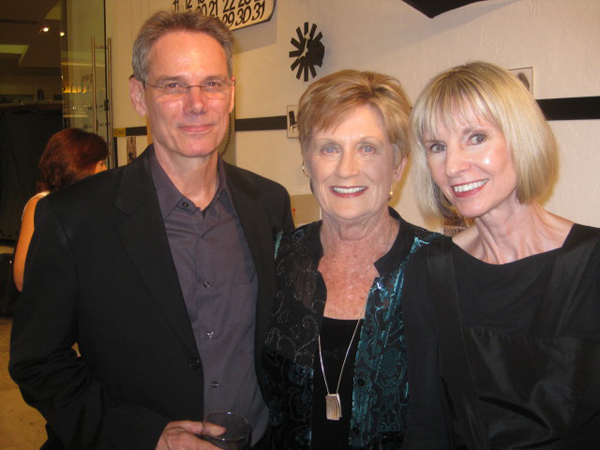 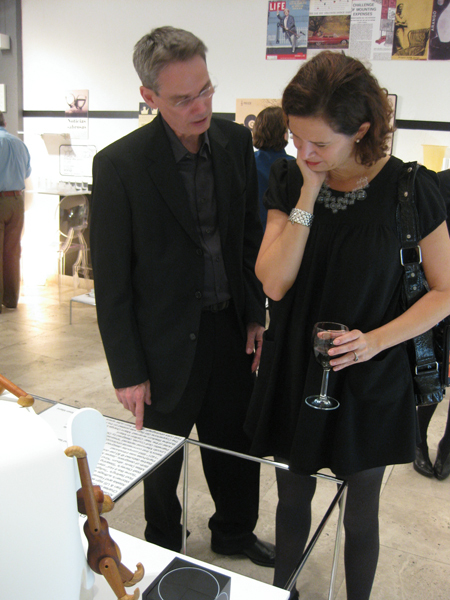 November 1, 2009 party and opening reception of 50 at 50, an exhibition curated to feature product from 1959 - 2009 expressing our history and philosophy that good design has lasting value. 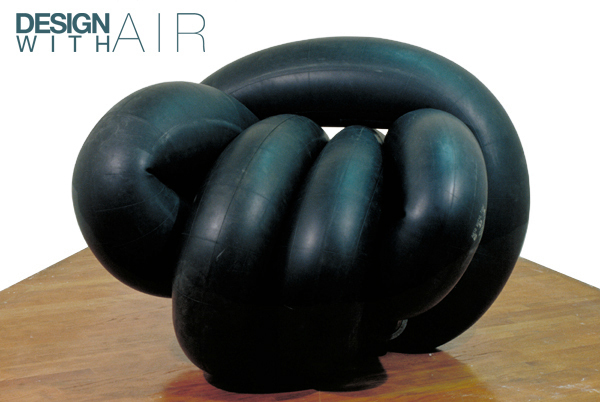 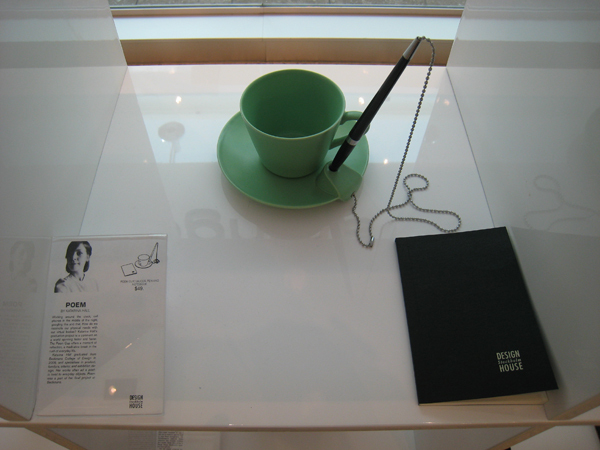 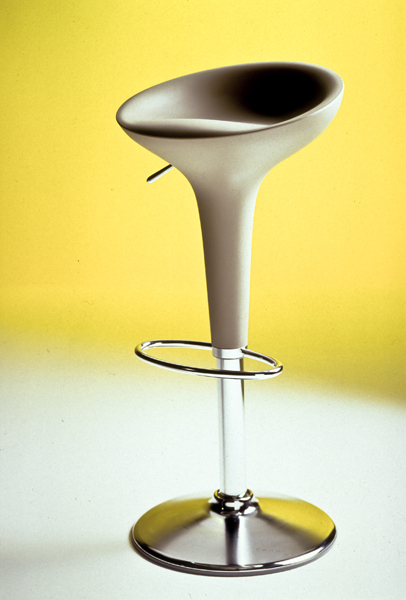 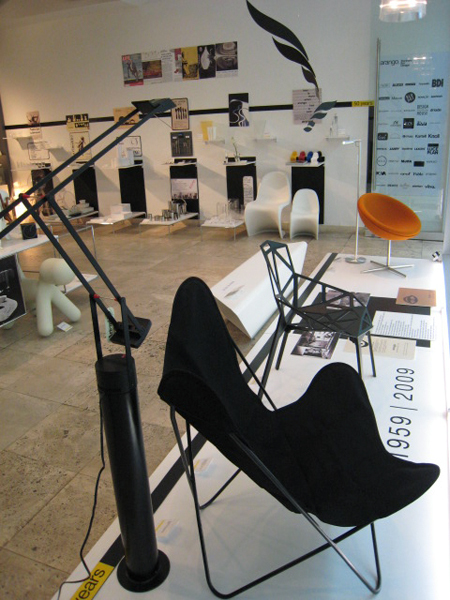 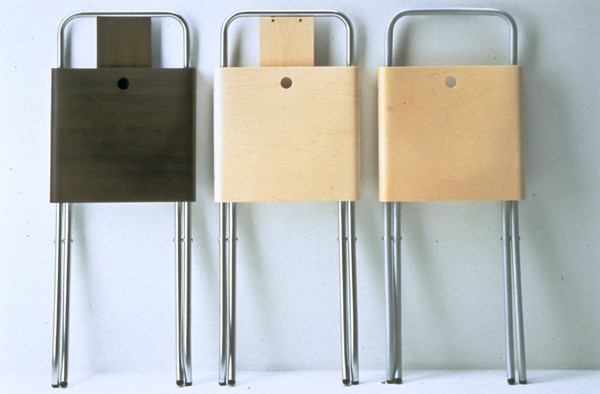 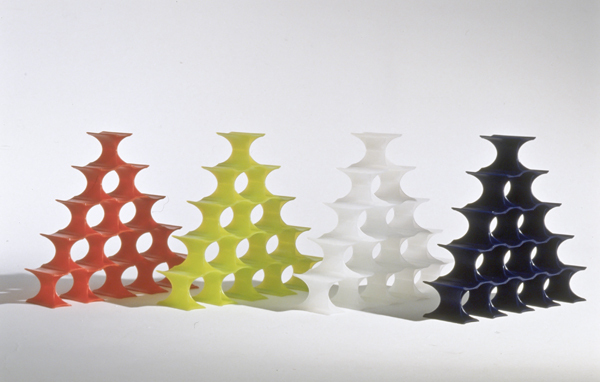 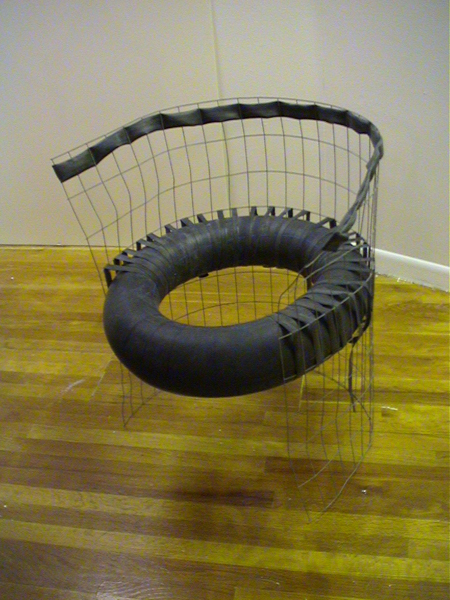 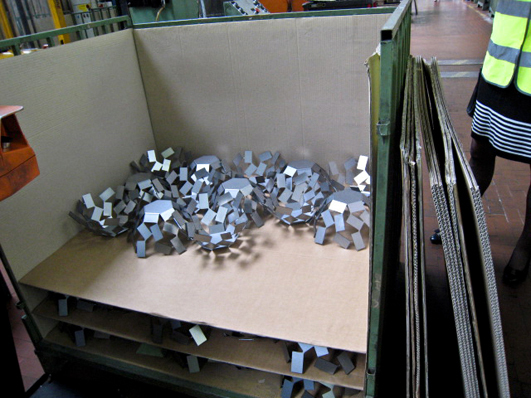 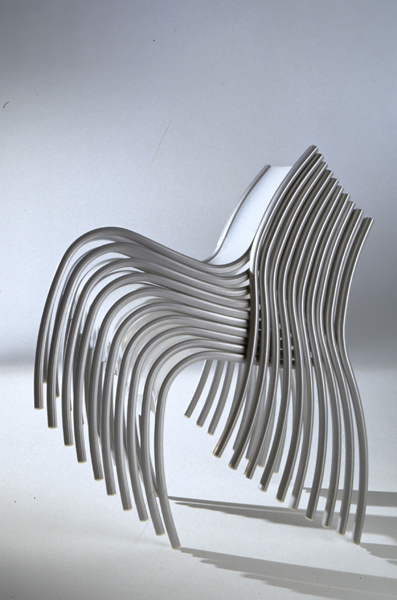 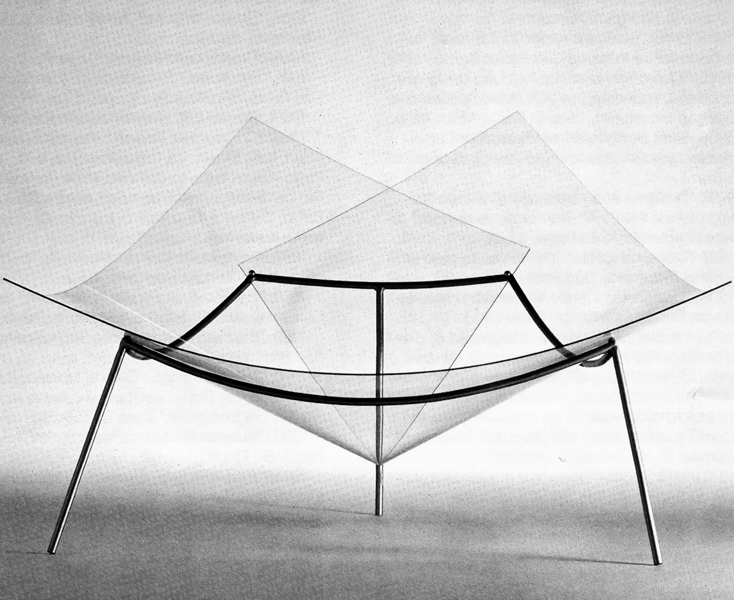 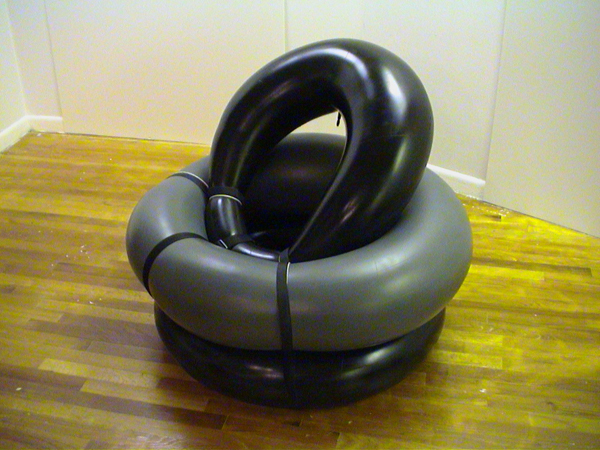 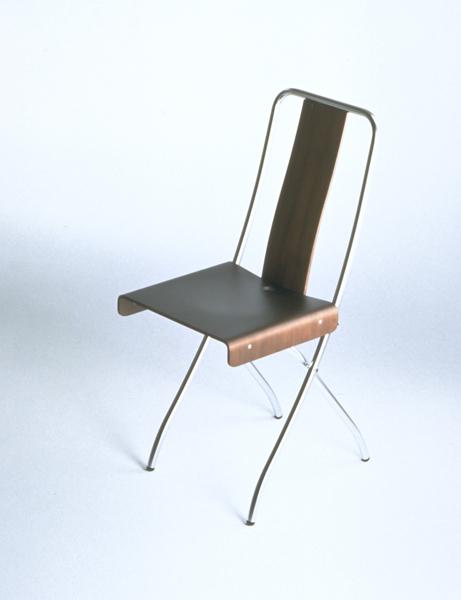 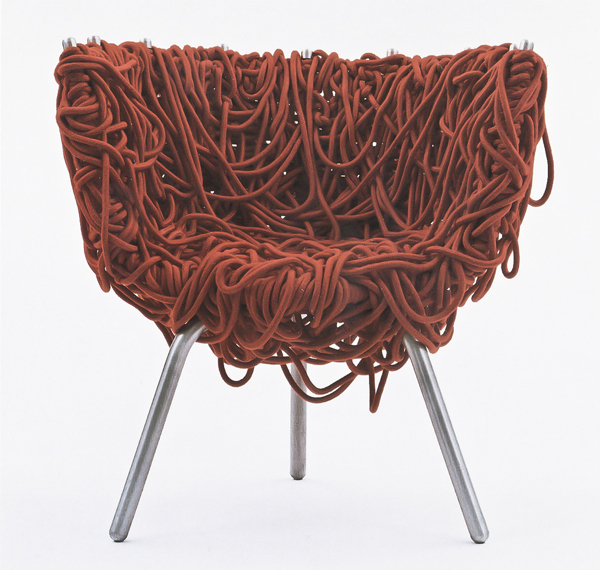 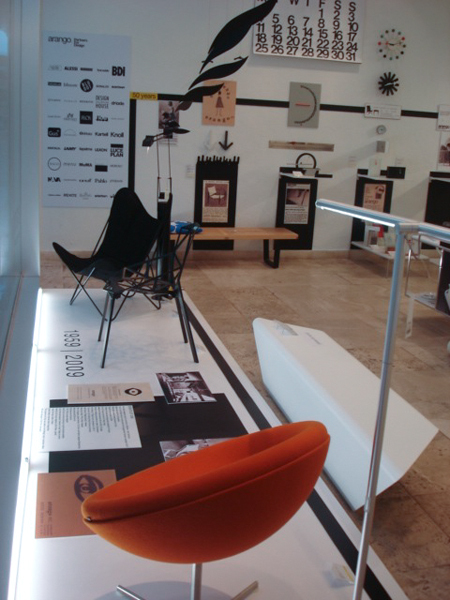 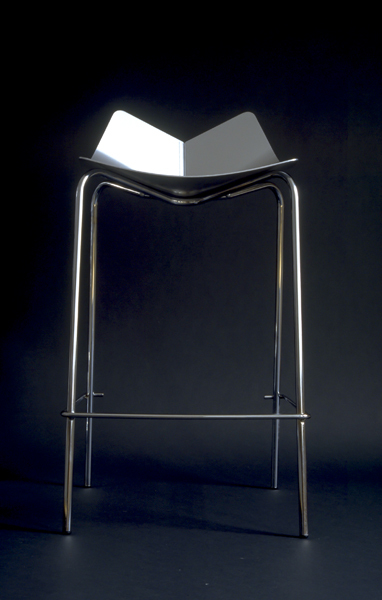 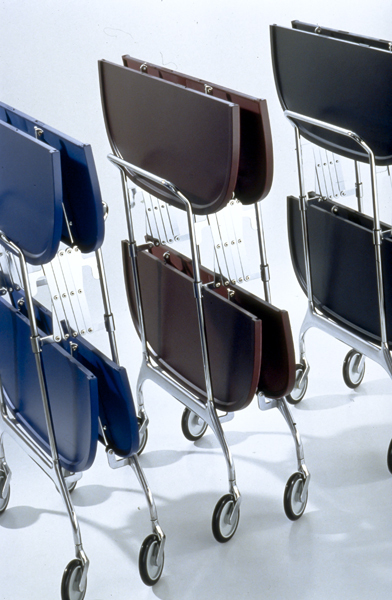 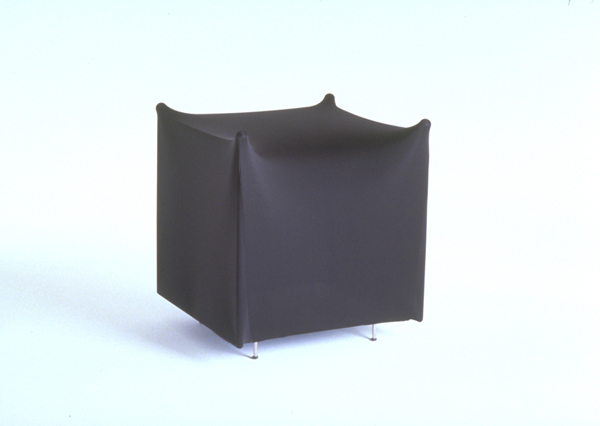 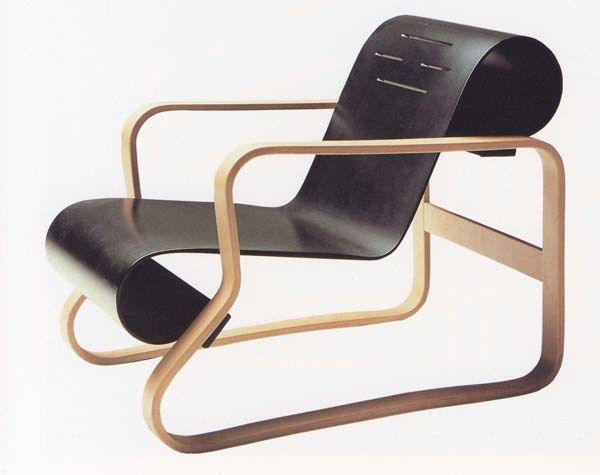 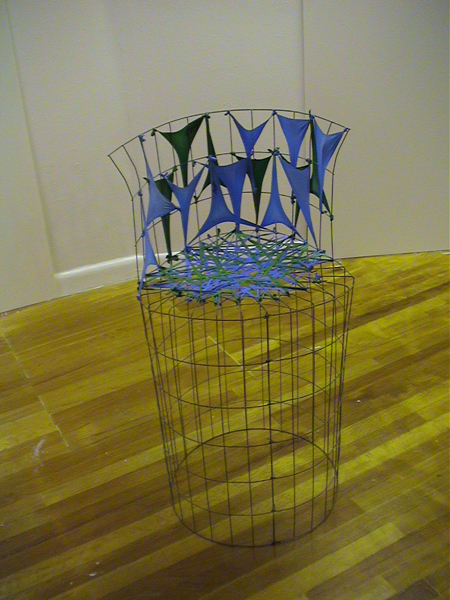 A key piece of the exhibition was C1 chair designed by Verner Panton in 1959, which just went into production 2009. 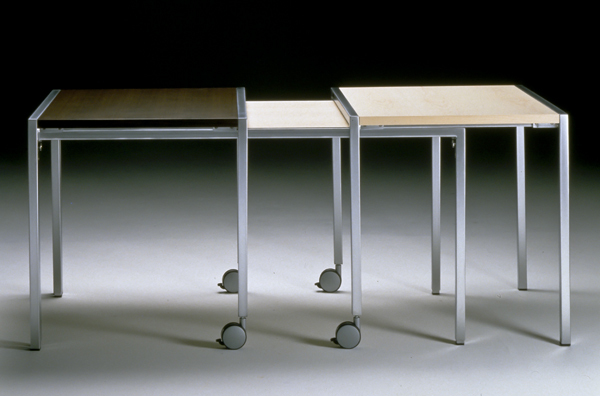 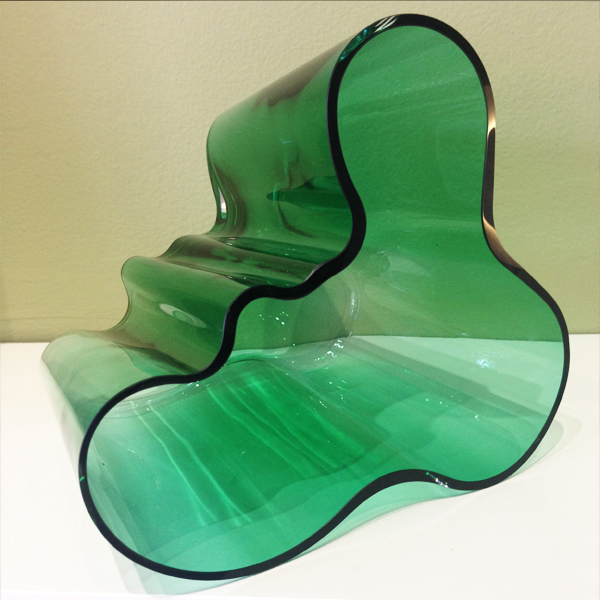 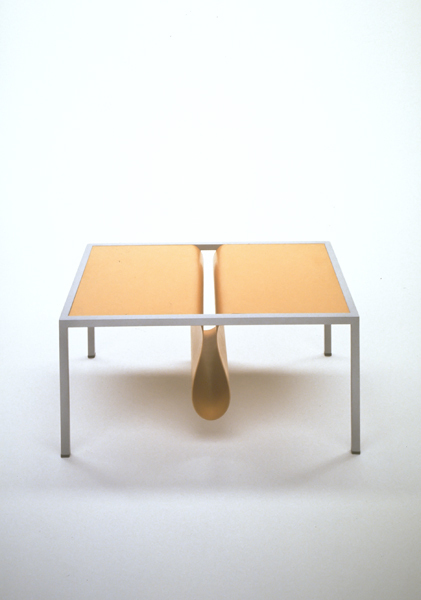 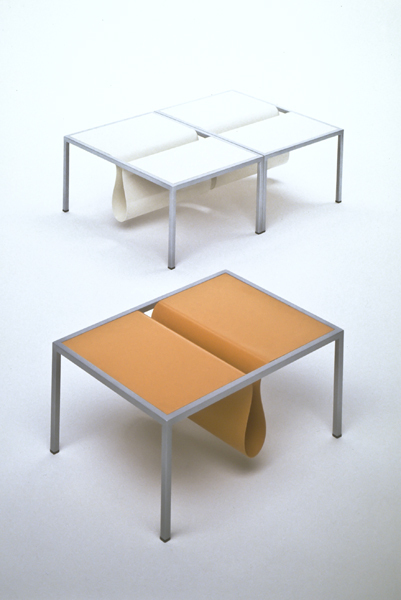 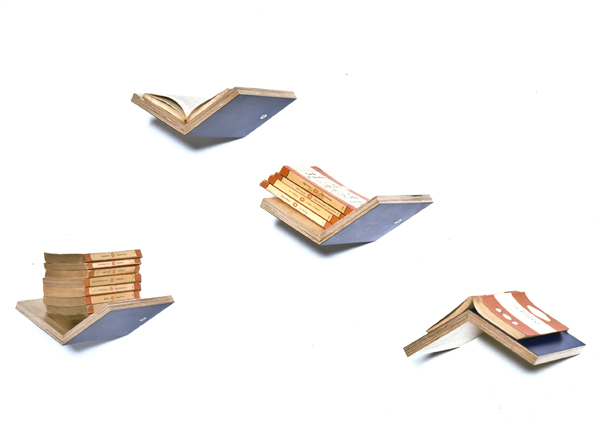 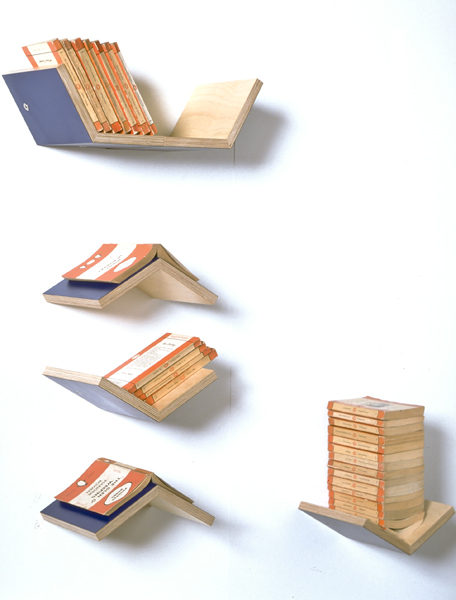 The exhibition also featured pieces from our design archives, including some of our most successful designs over our last half century, and new important pieces, like Section Bench by Derek Chen, which may become classics of tomorrow. 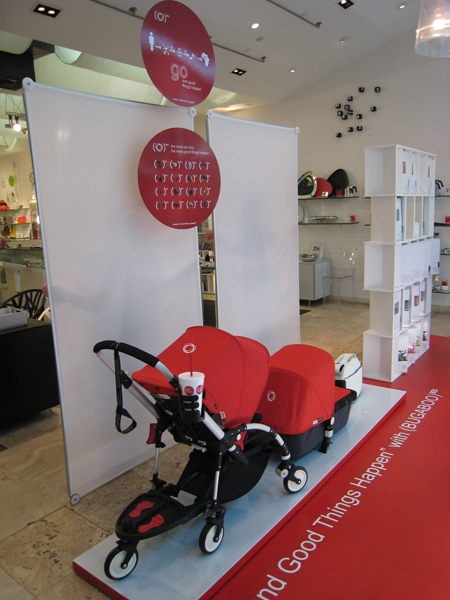 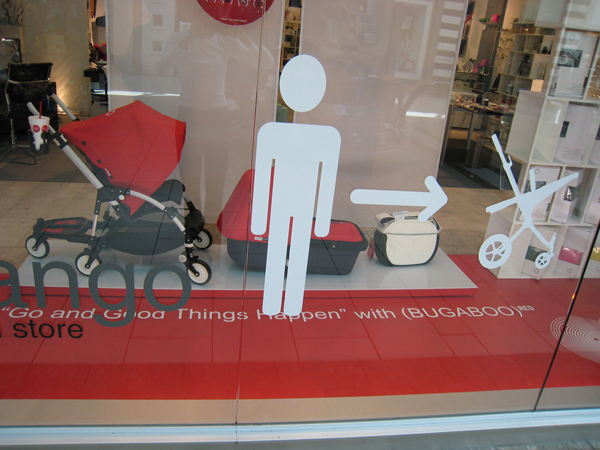 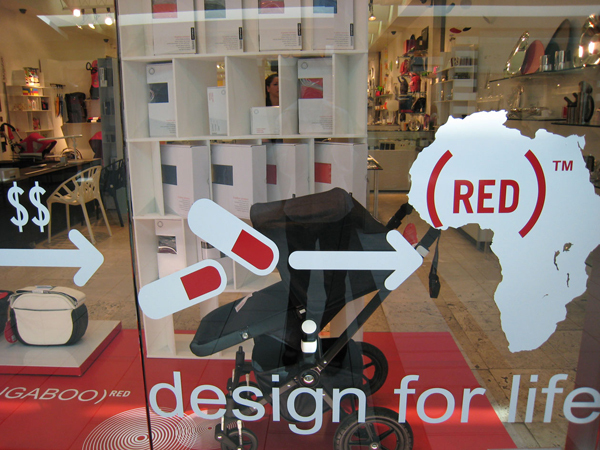 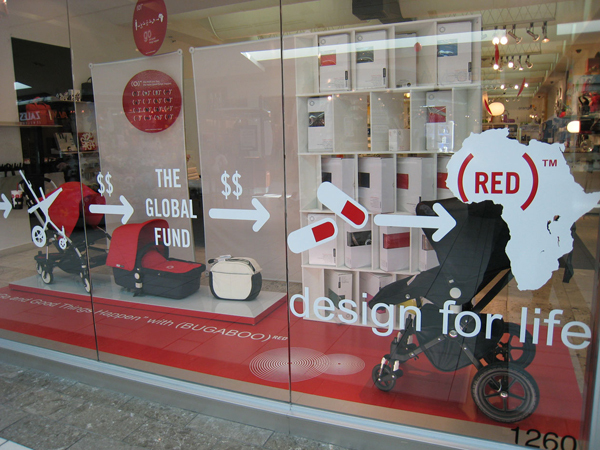 bugaboo (RED) exhibition october 2009, "go and good things happen" introducing a limited edition bugaboo Cameleon stroller (PRODUCT) RED. 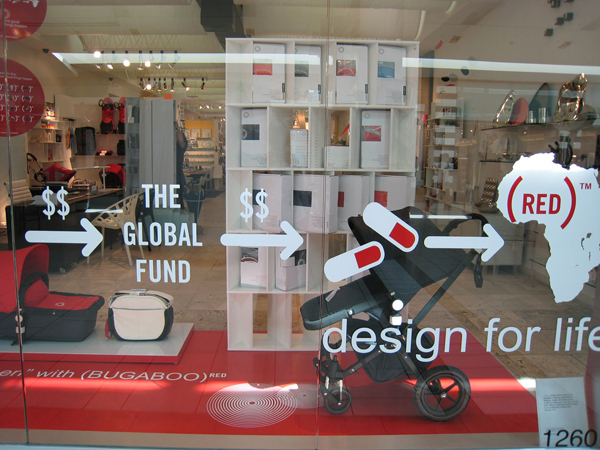 bugaboo is contributing 1% of sales of all bugaboo products to The Global Fund with mission to eliminate AIDS in Africa, while providing needed medicine to women and children living with HIV and AIDS empowering them to lead more active, productive, and hopeful lives. 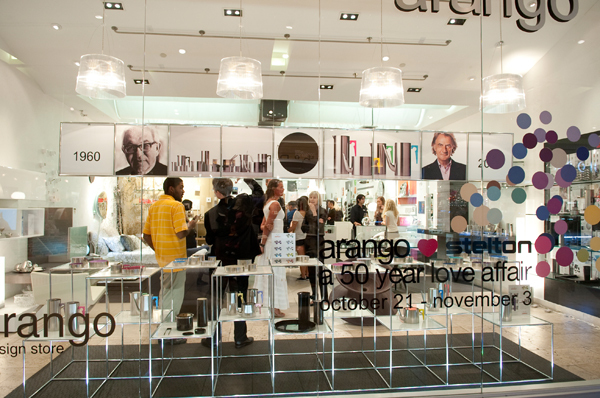 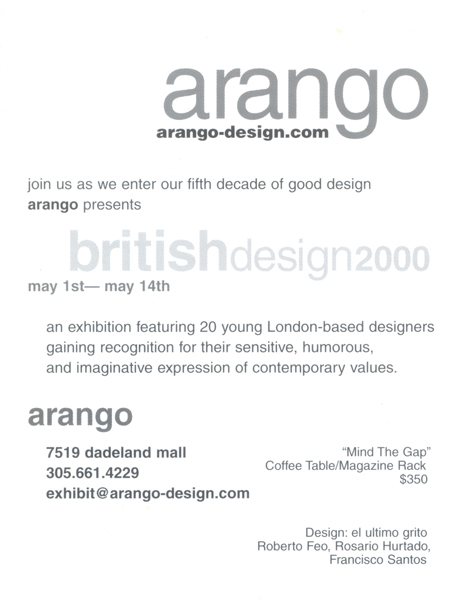 In celebration of our 50th anniversary, arango design store is hosting a series of exhibitions with our innovative design partners. 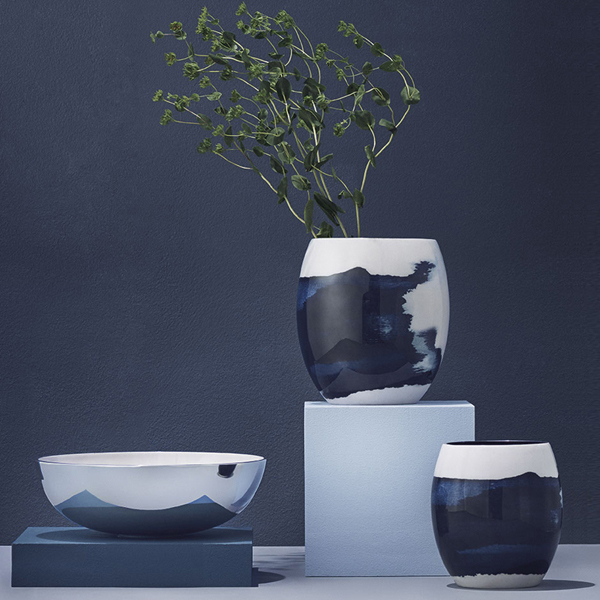 The June exhibition, Design House Stockholm will feature timeless, playful design by a dedicated group of Scandinavian designers, with products including tableware, lighting, furniture, carpets, and accessories for in- and out-door living. 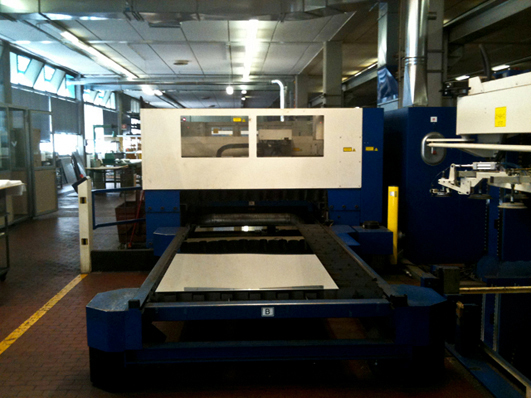 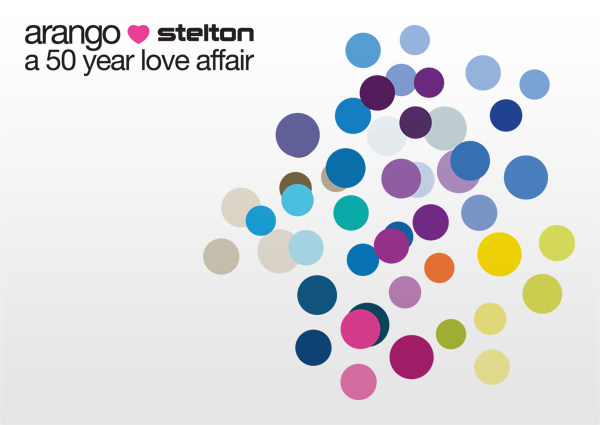 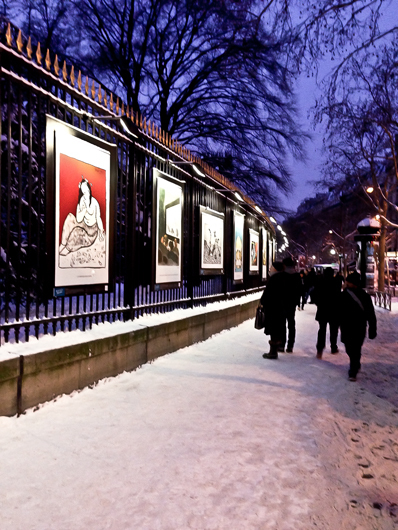 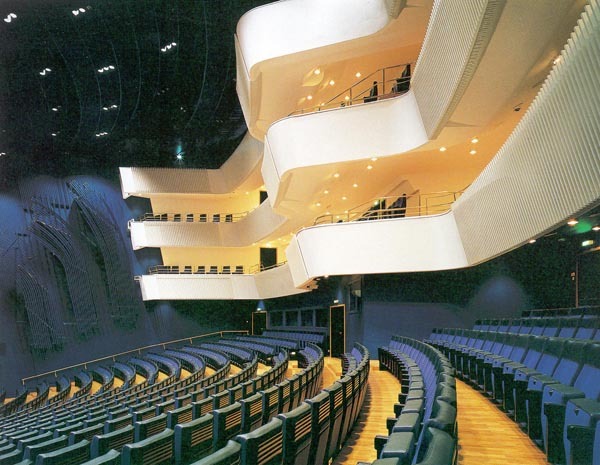 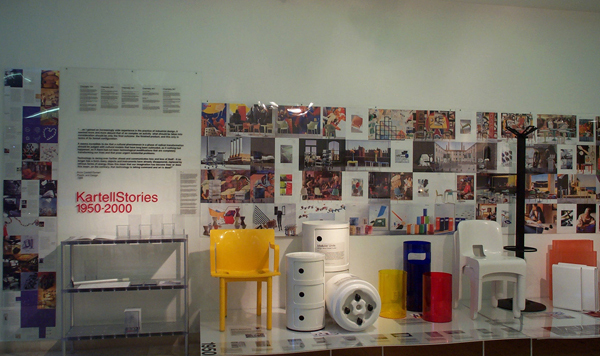 During 2009 in celebration of our 50th anniversary, we will be hosting a series of exhibitions. 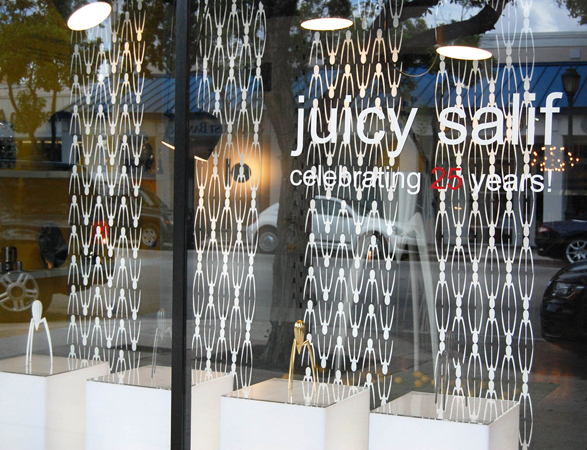 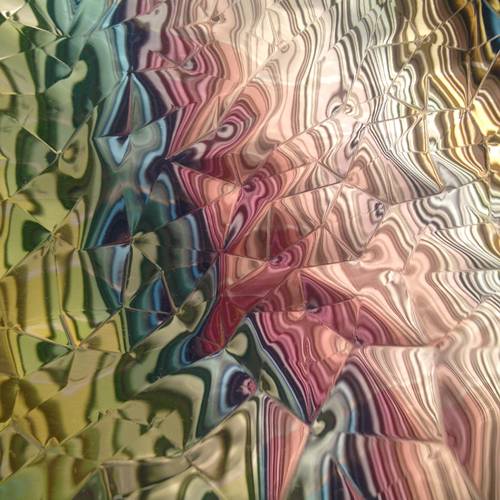 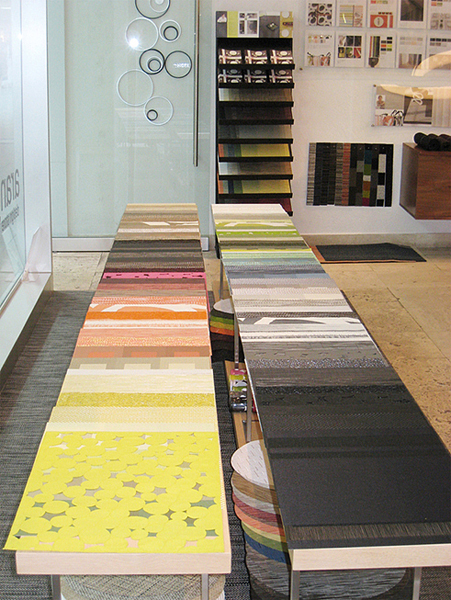 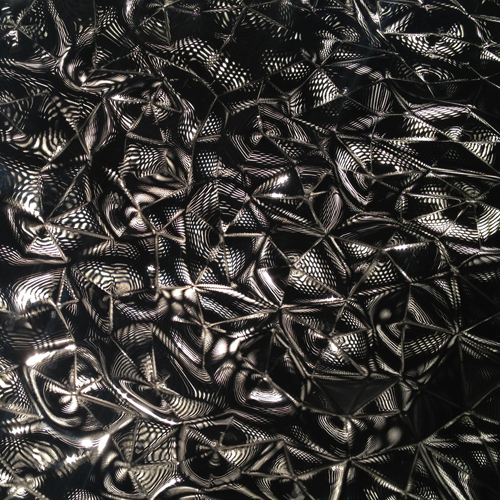 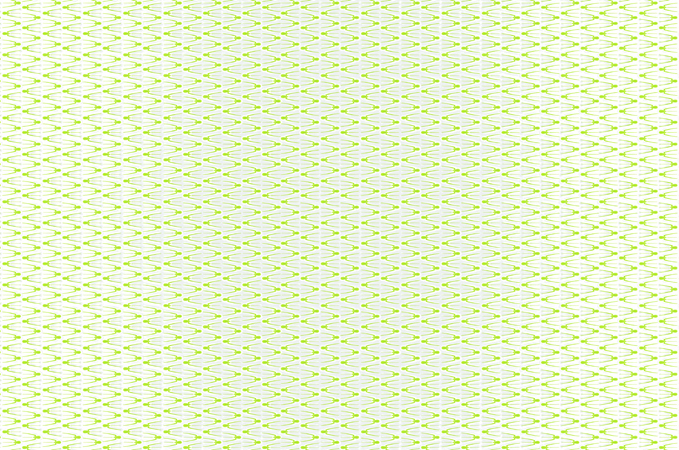 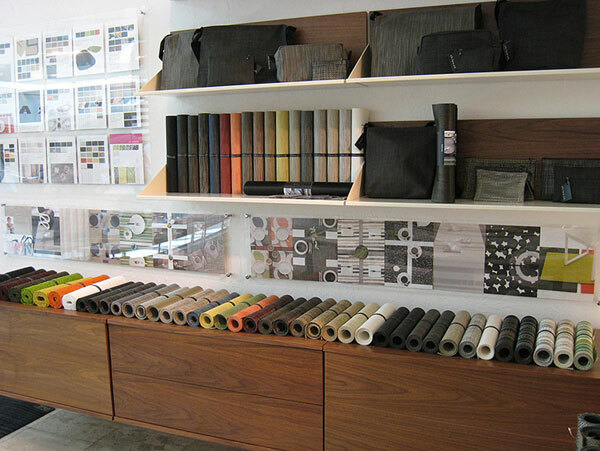 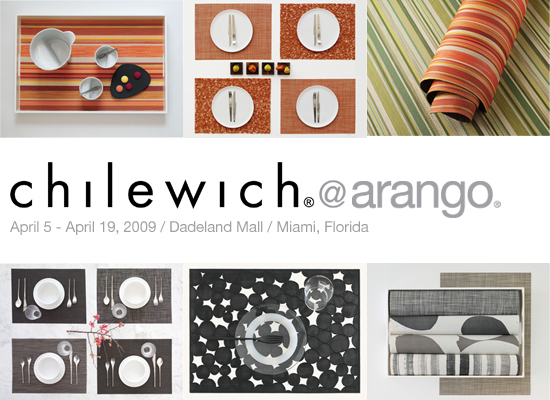 chilewich@arango features the extensive collection of vinyl textiles designed by New York designer Sandy Chilewich. 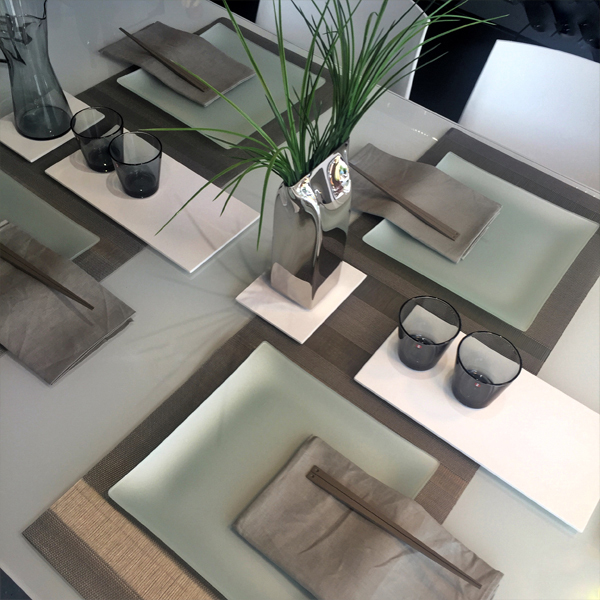 The collection reaches from bags, placemats, table runners, to flooring, furniture and window treatments, in a wide variety of exciting weaves, textures, and colors. 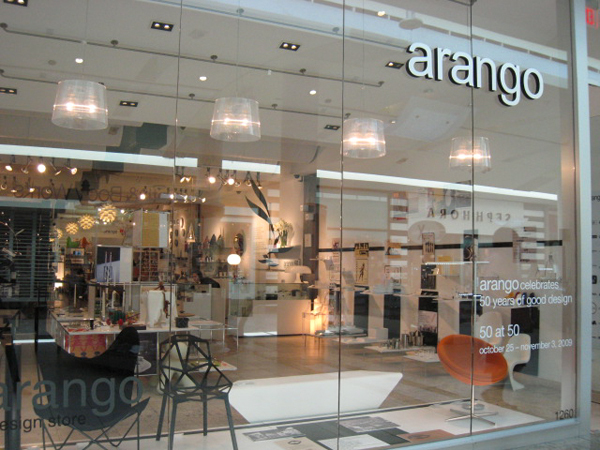 The interactive exhibition provides space to experiment and play with all tabletop textiles in consultation with the arango design team. 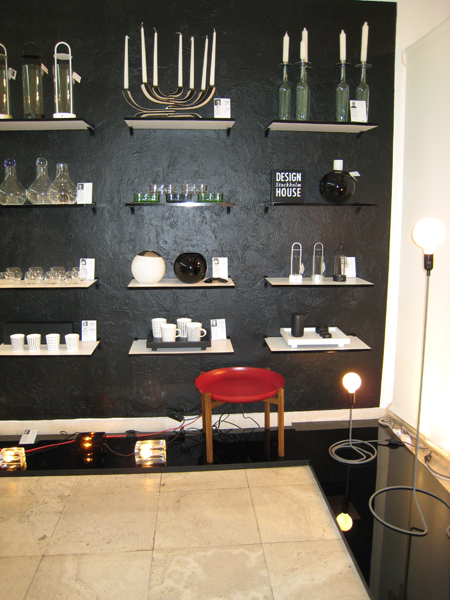 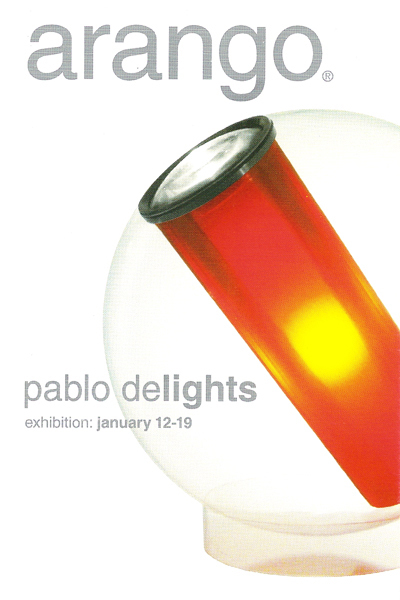 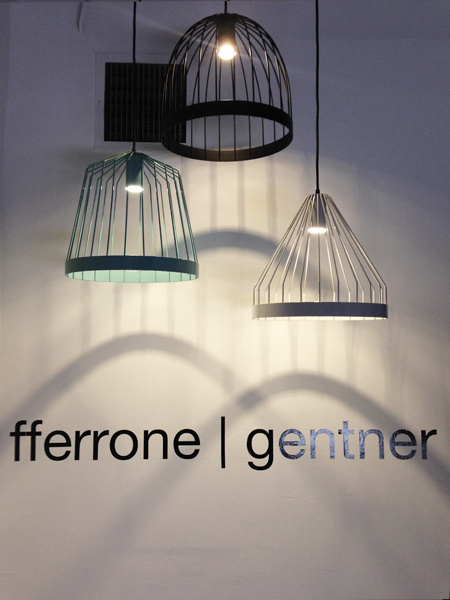 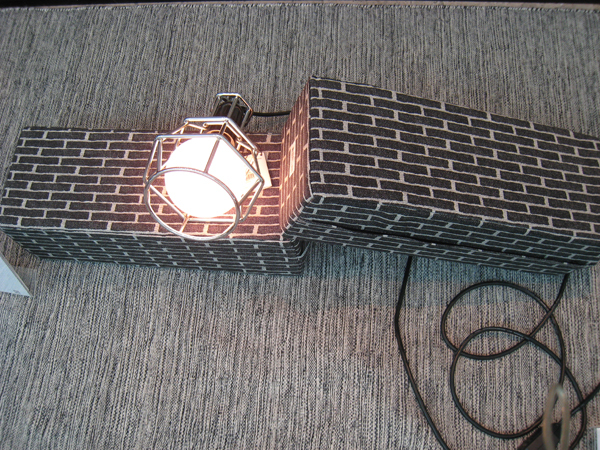 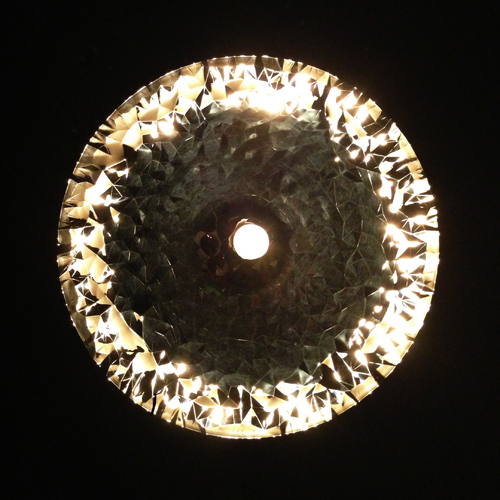 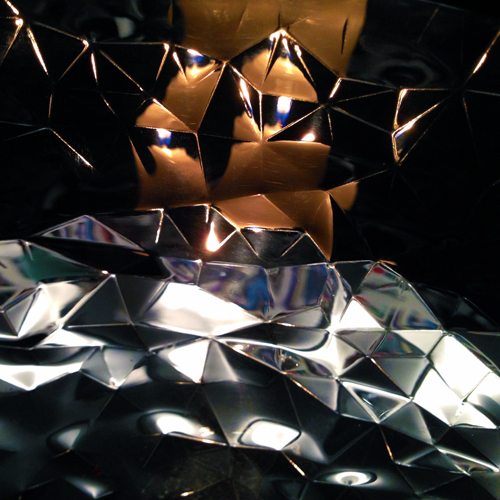 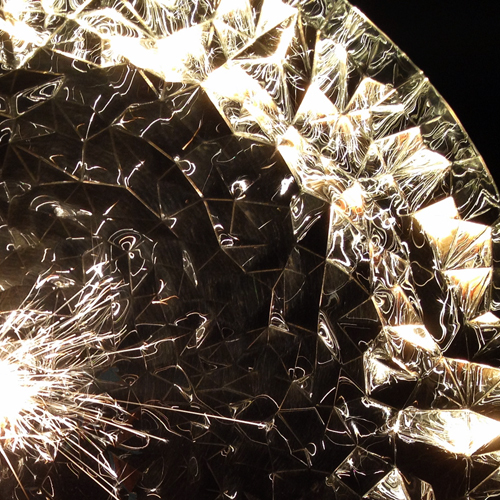 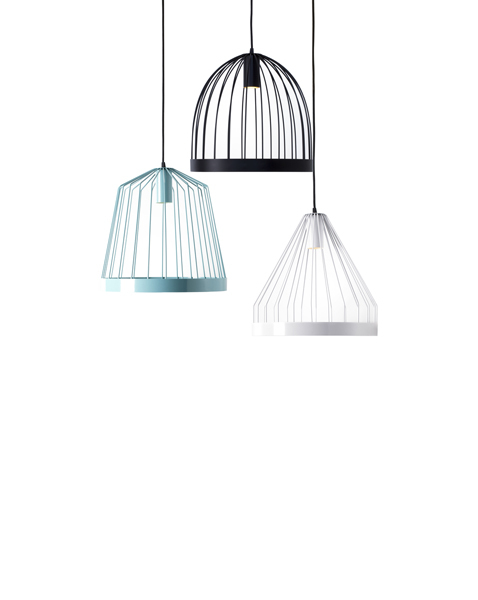 An exhibition of lighting designed by Venezuelan born industrial designer Pablo Pardo. 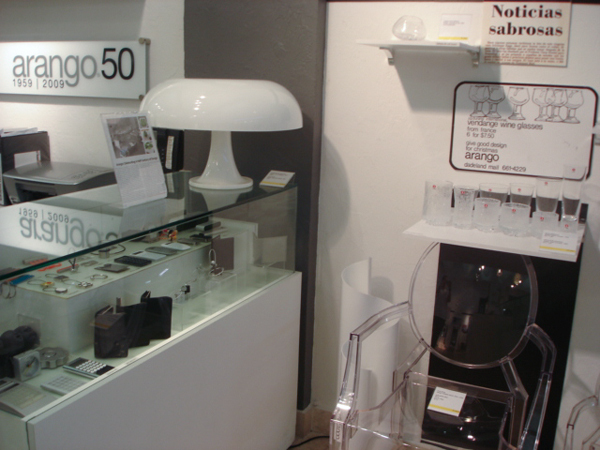 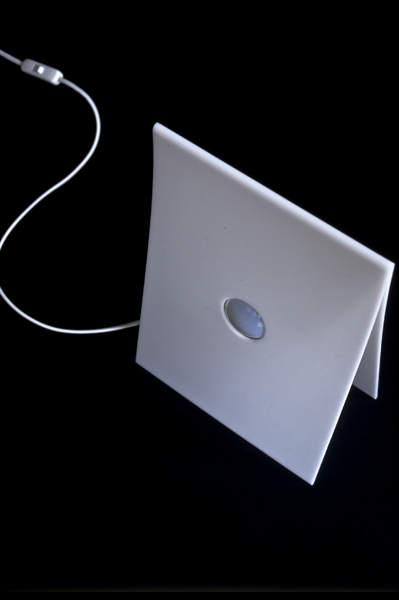 Pablo has gained international recognition for beautiful and technically innovative lamps, and formed his own company, Pablo, in San Francisco in 1993. 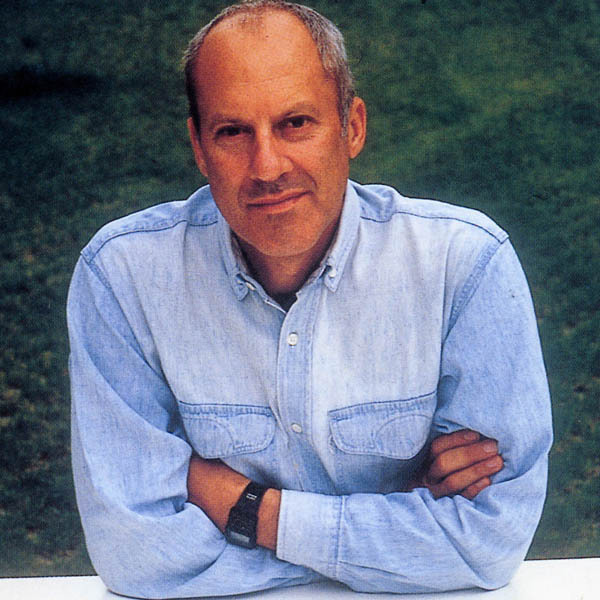 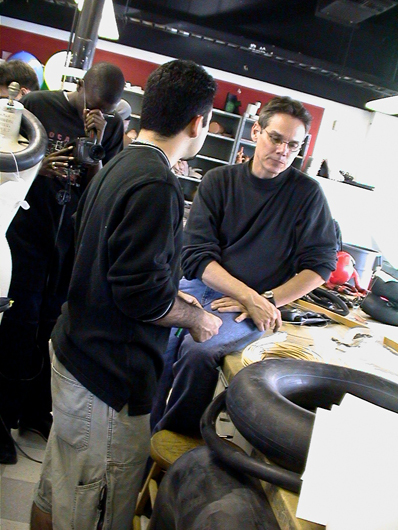 In addition he has participated in the design of roller skates for Fisher Price, automobiles for Daimler Chrysler, and is working on lighting projects with Nike and Apple. 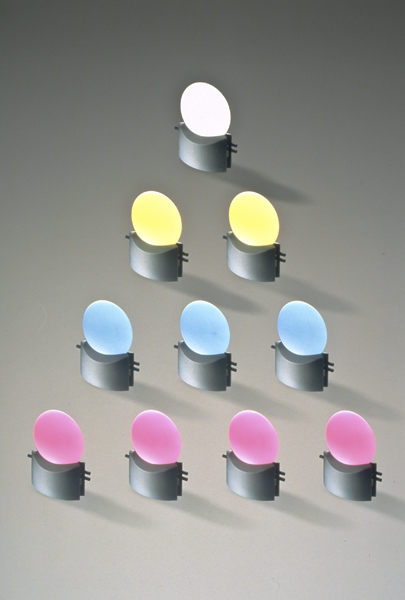 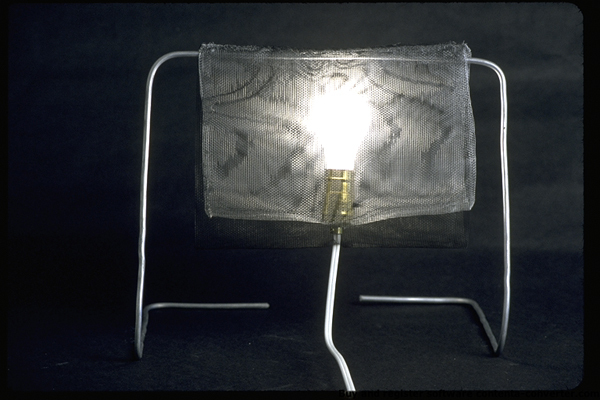 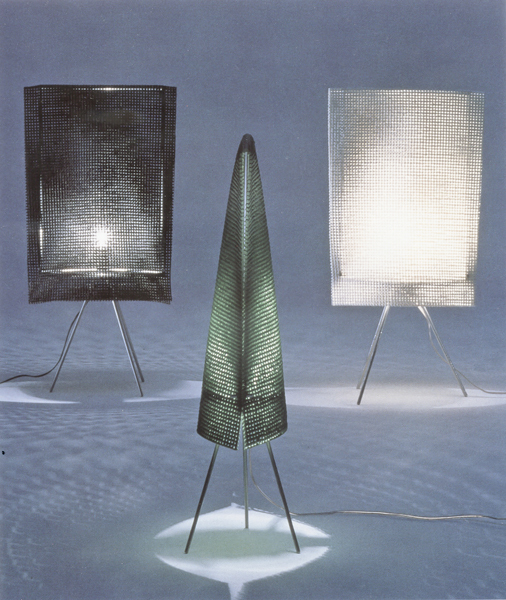 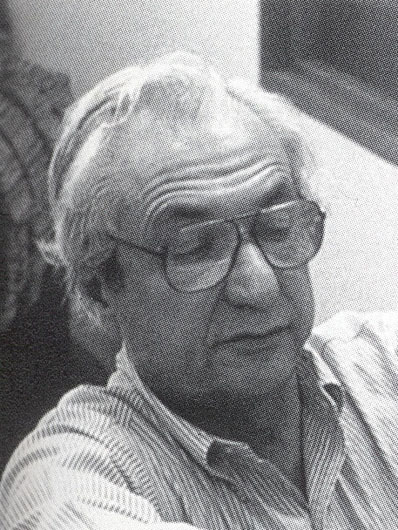 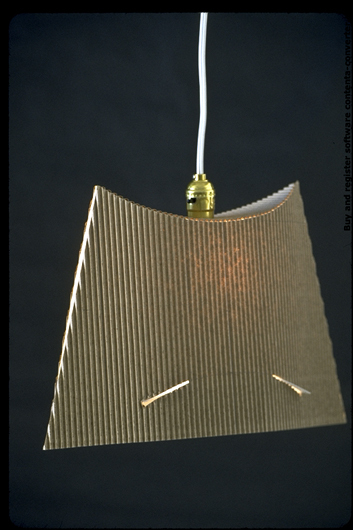 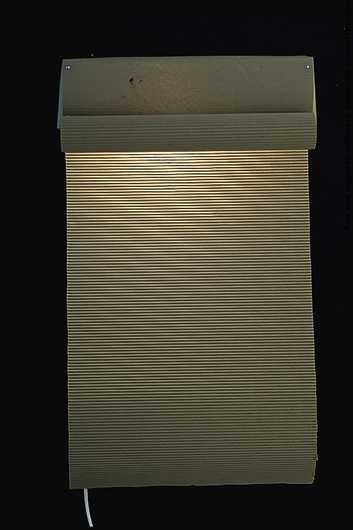 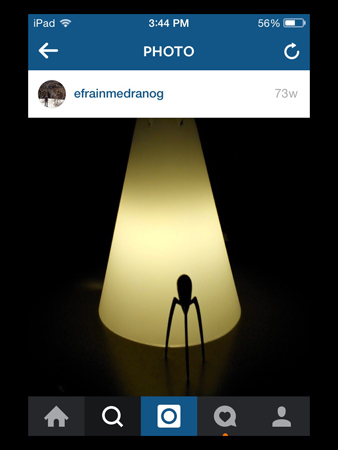 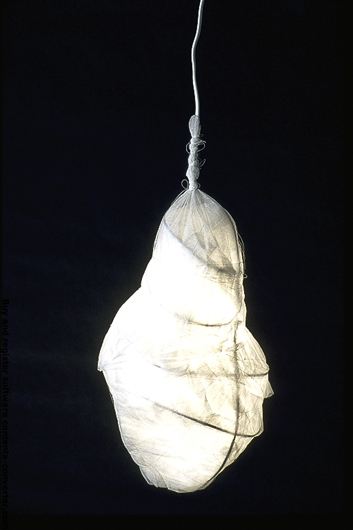 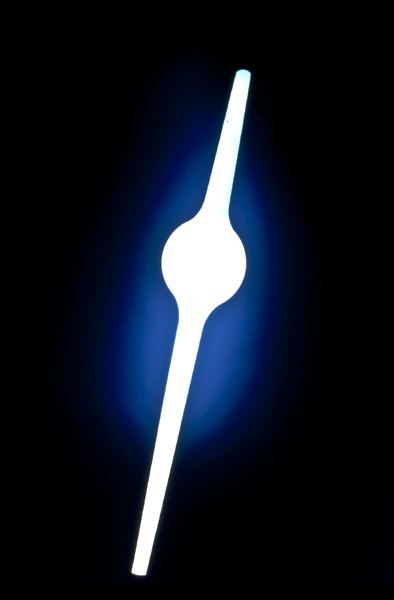 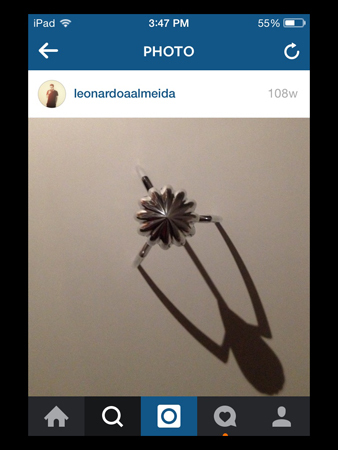 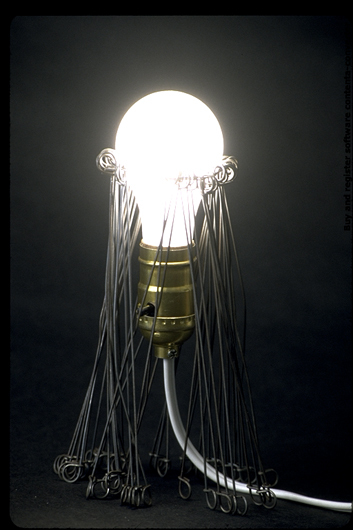 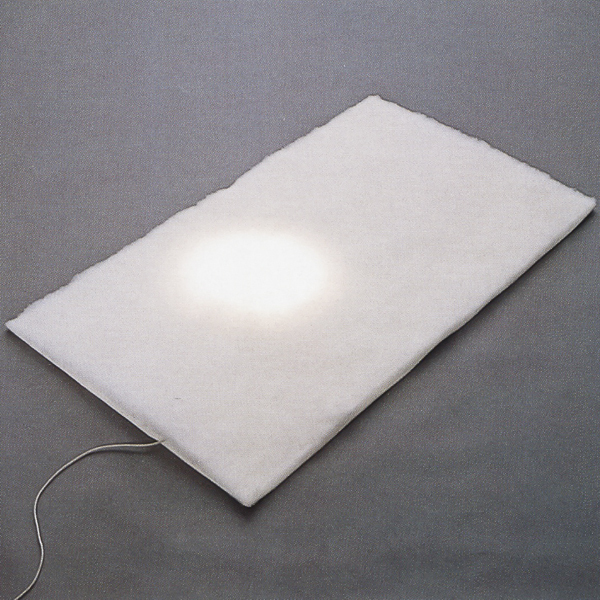 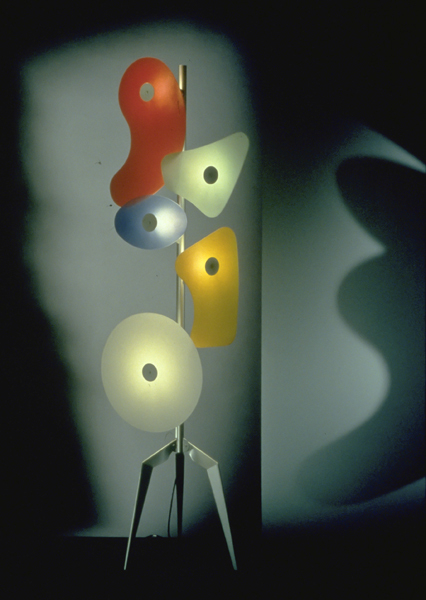 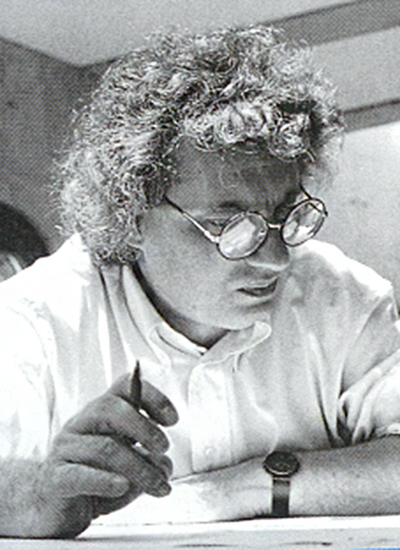 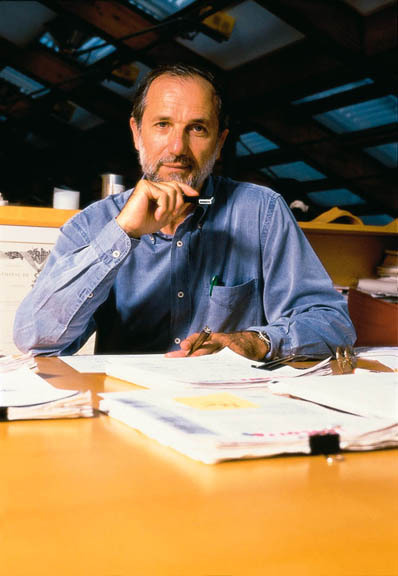 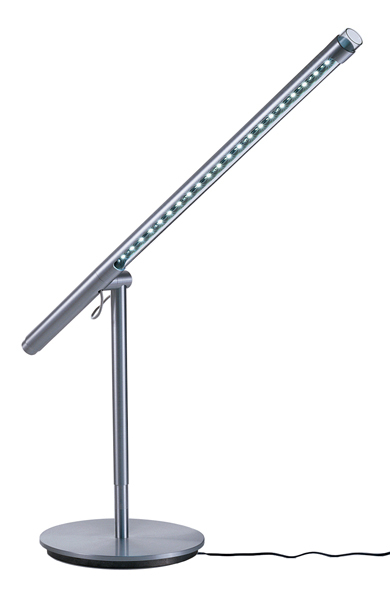 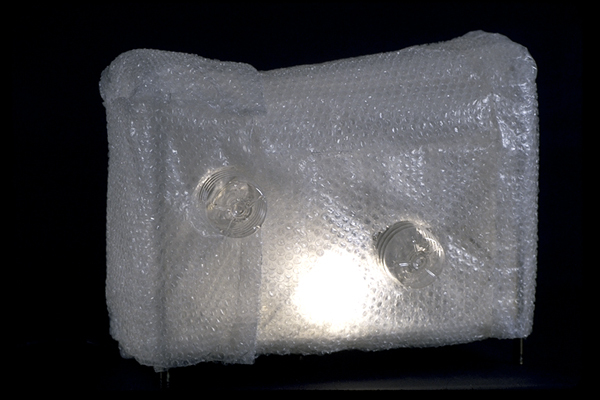 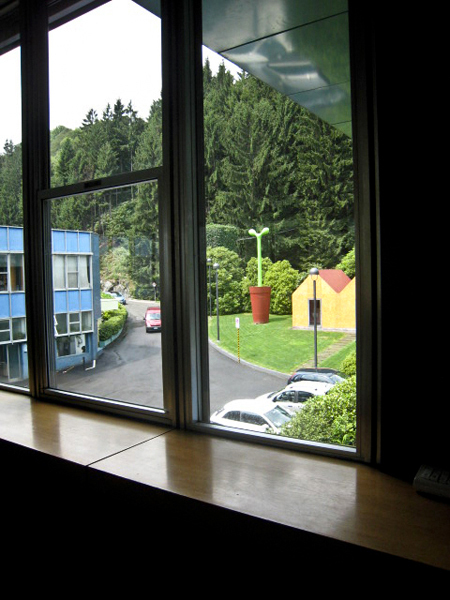 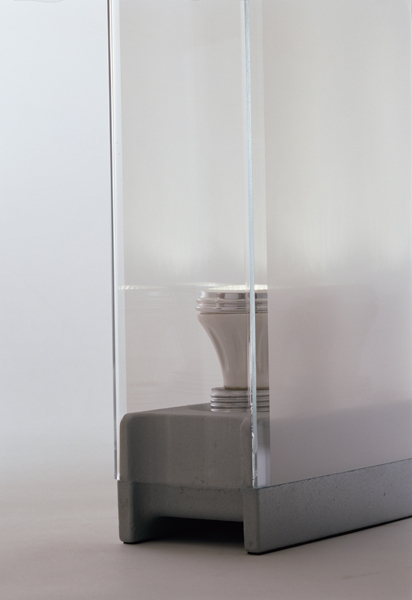 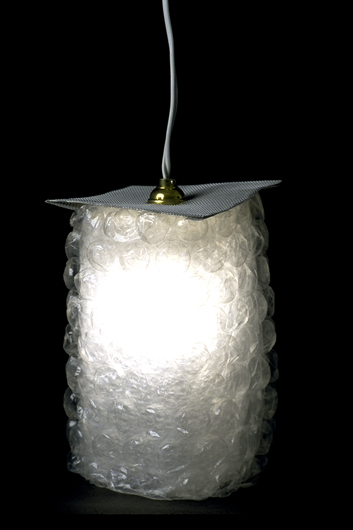 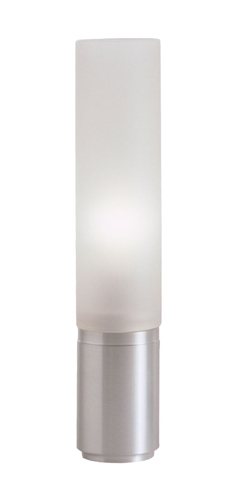 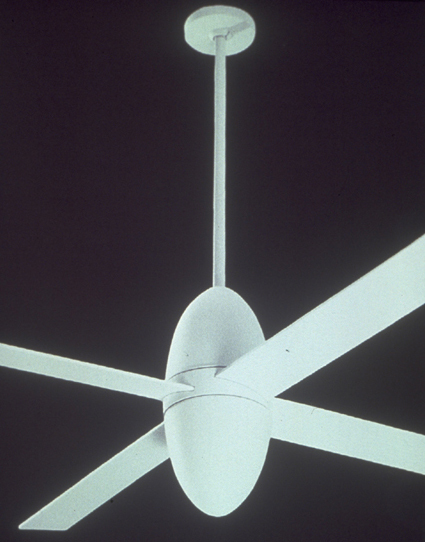 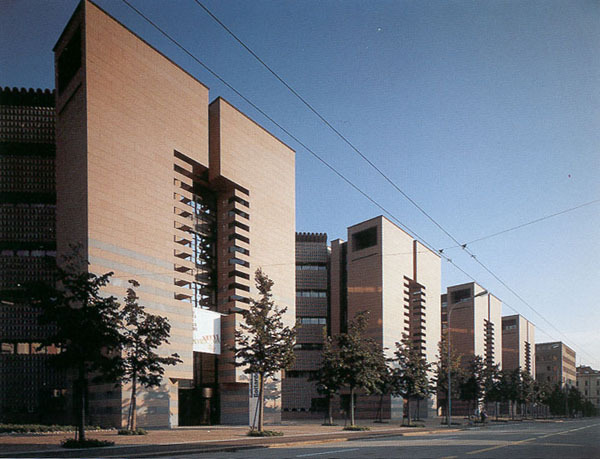 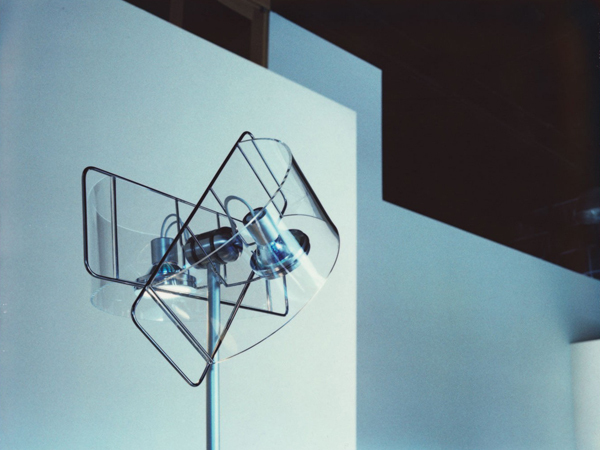 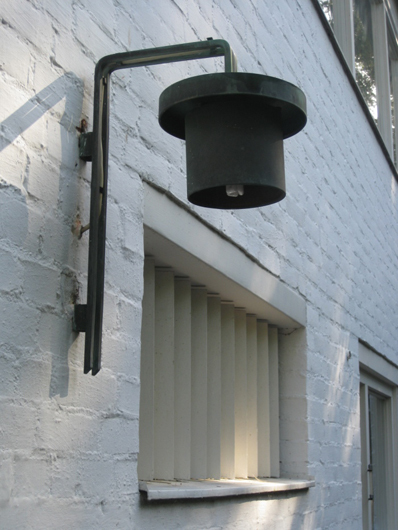 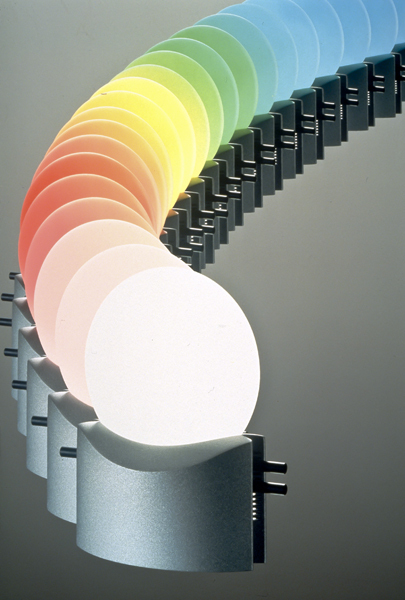 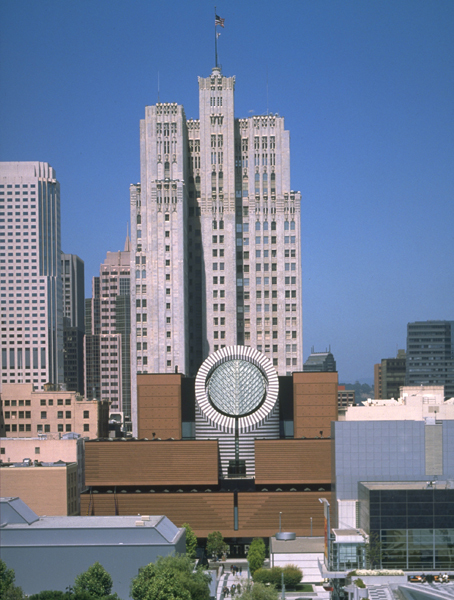 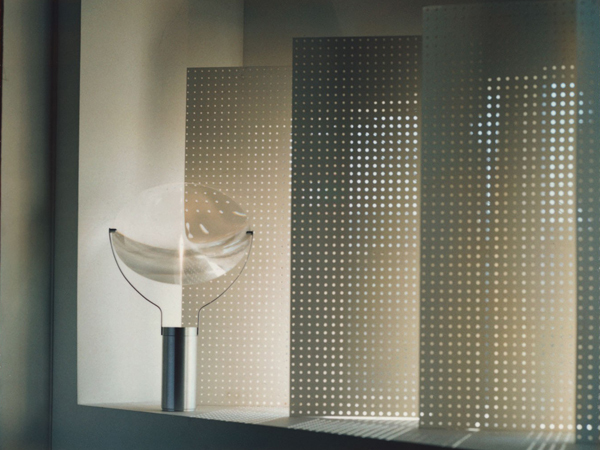 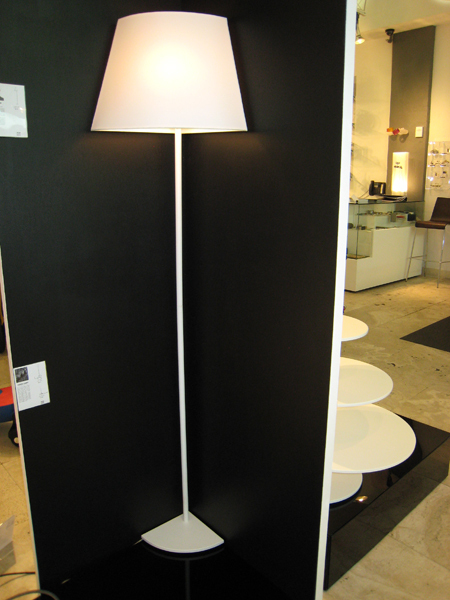 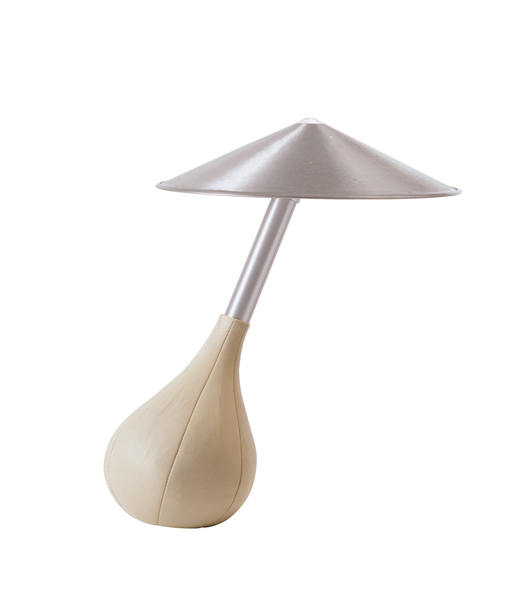 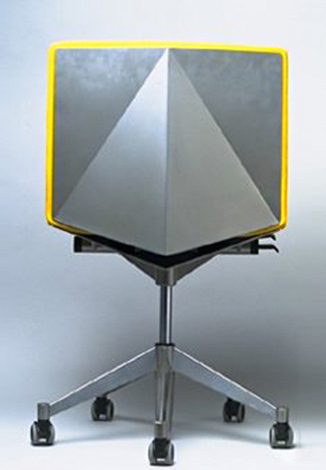 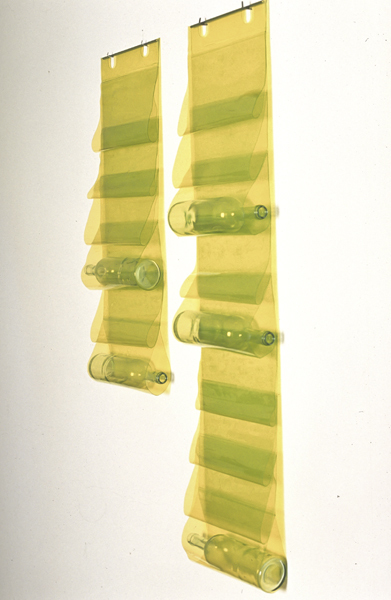 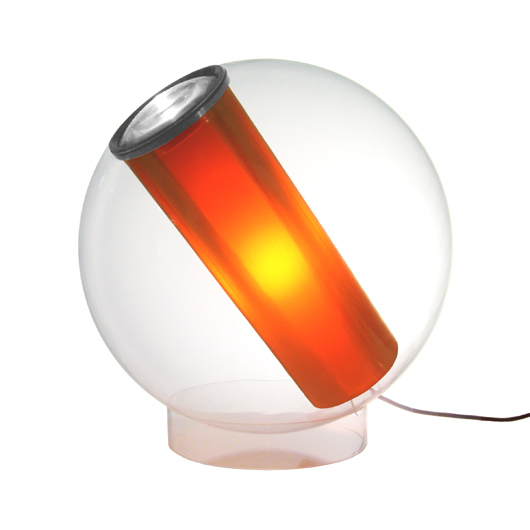 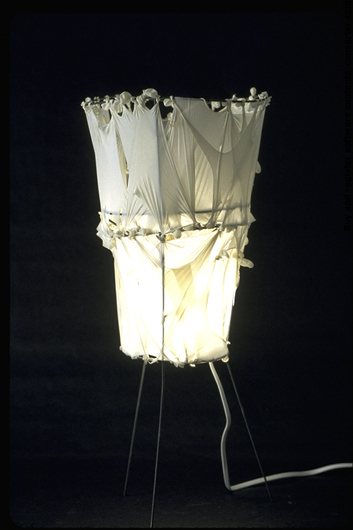 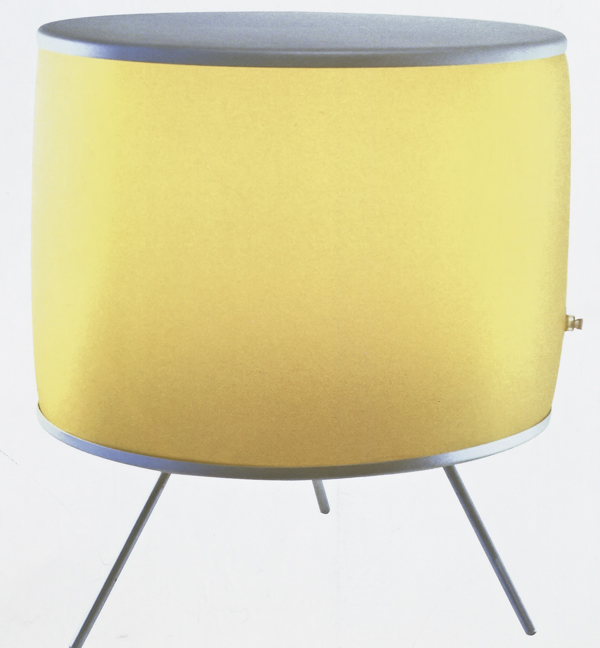 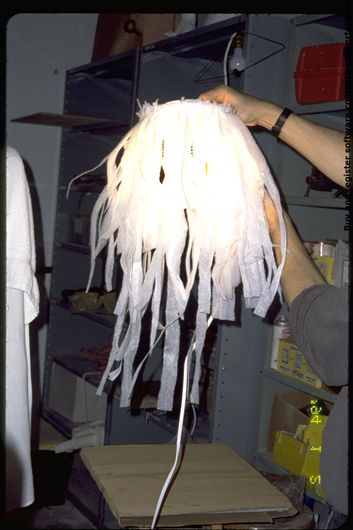 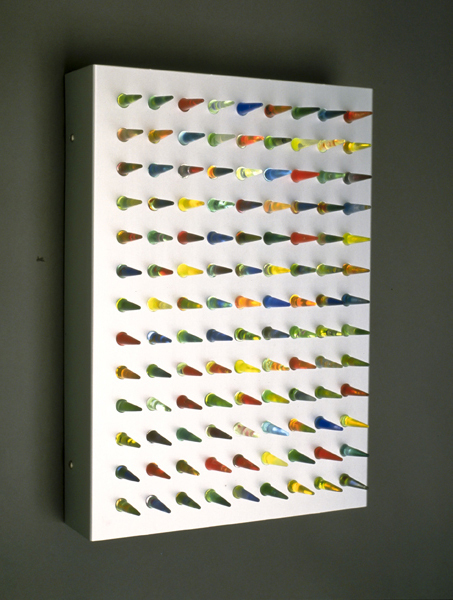 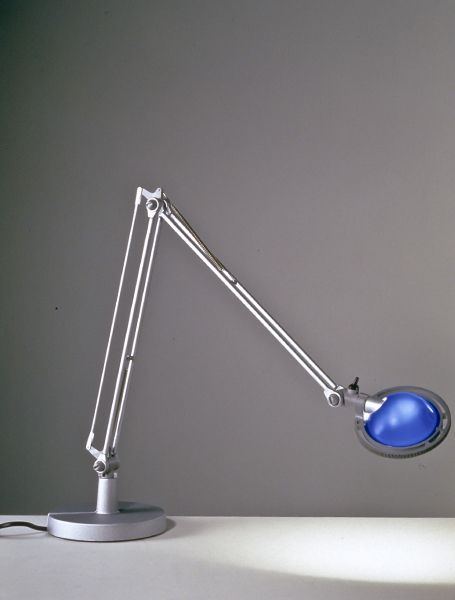 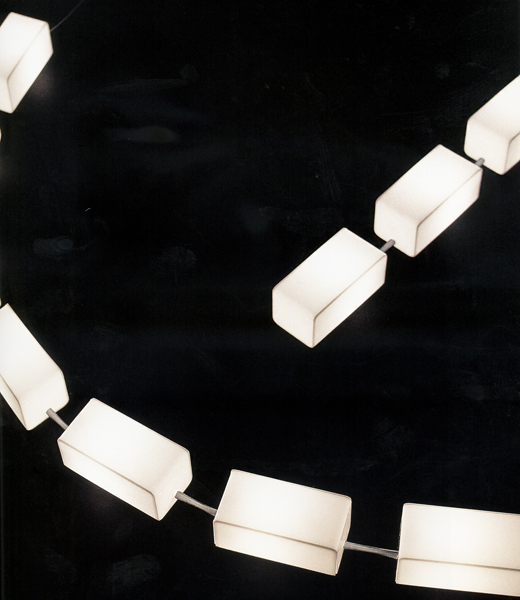 His award winning Piccola lamp is in the permanent collection of the San Francisco Museum of Modern Art. 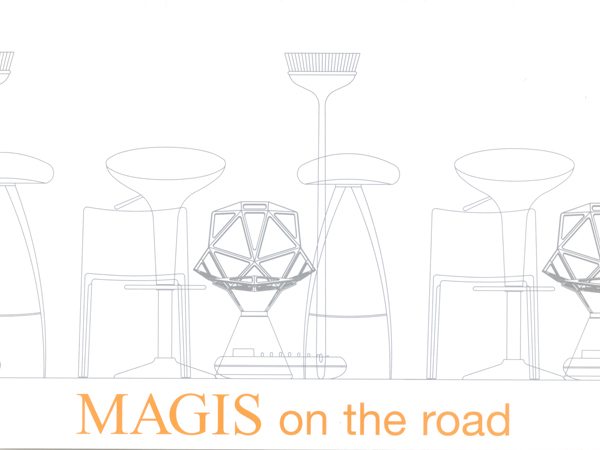 In celebration of our 45th anniversary, we inaugurated our remodeled store front with design exhibtion: MAGIS on the road / with Karim Rashid October 5 - 17. 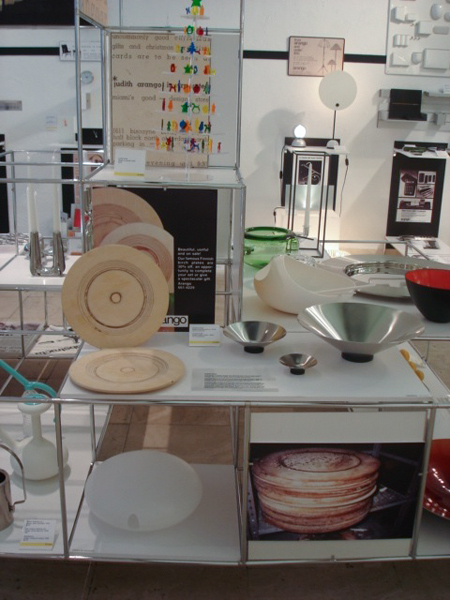 The exhibition highlighted products by the Italian manufacturer MAGIS, featuring 20 world renowned designers including: Karim Rashid, Enzo Mari, Javier Mariscal, Jasper Morrison, Marc Newson, and Konstantin Grcic. 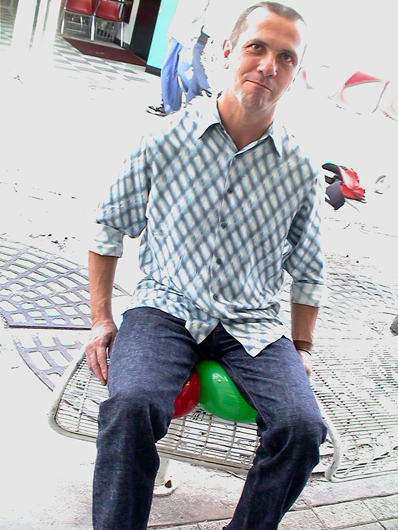 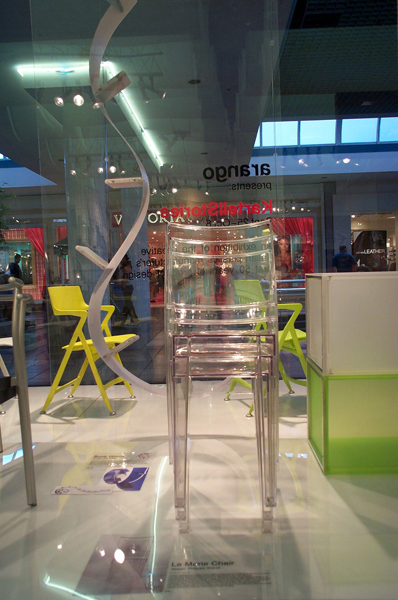 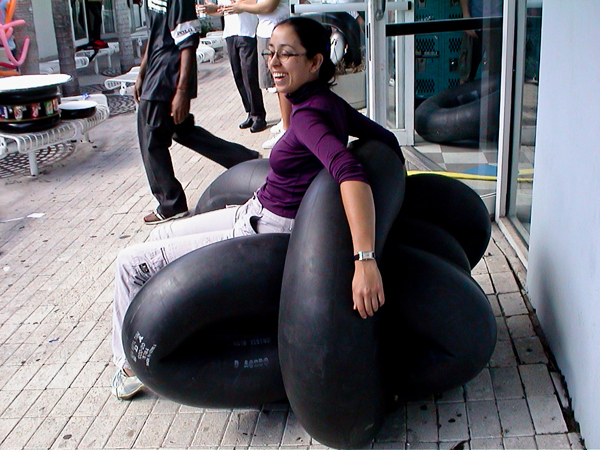 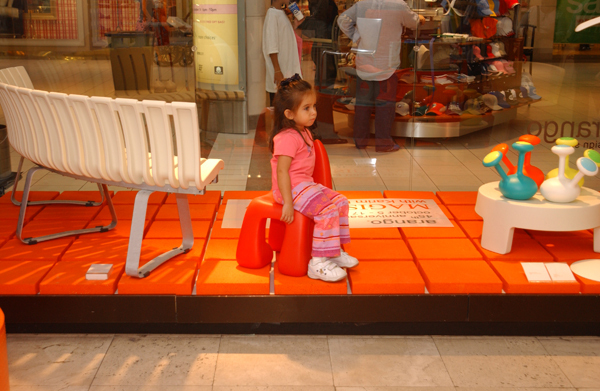 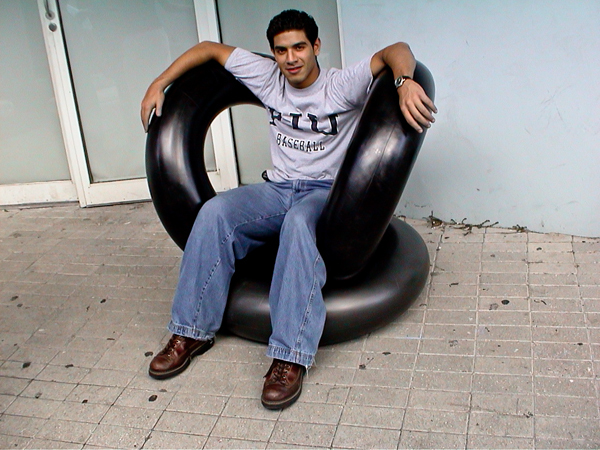 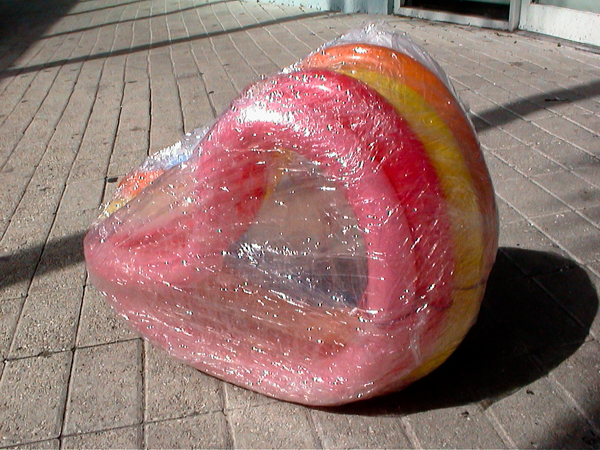 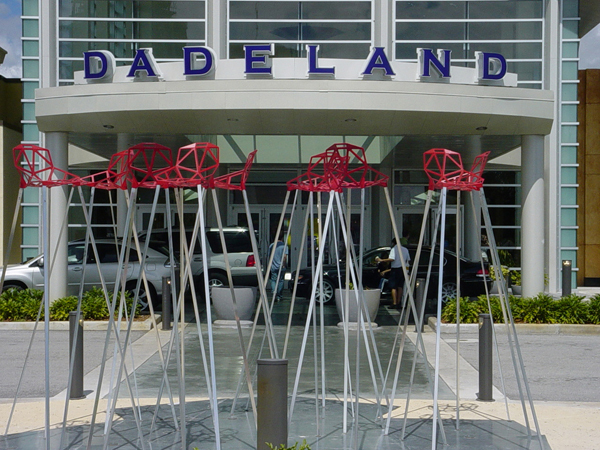 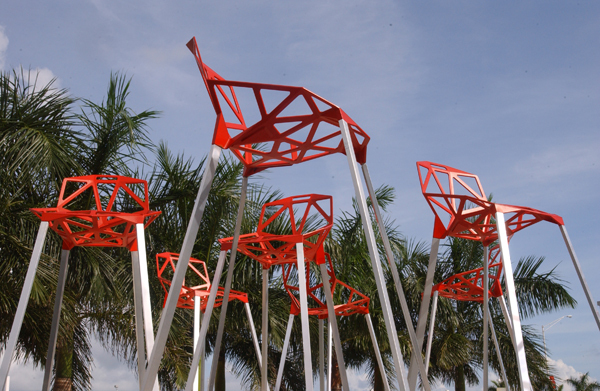 The One Chair, designed by Konstantin Grcic, introduced the exhibition with an exciting 14 foot high "jungle" of chairs in front of Dadeland Mall on Kendall Drive. 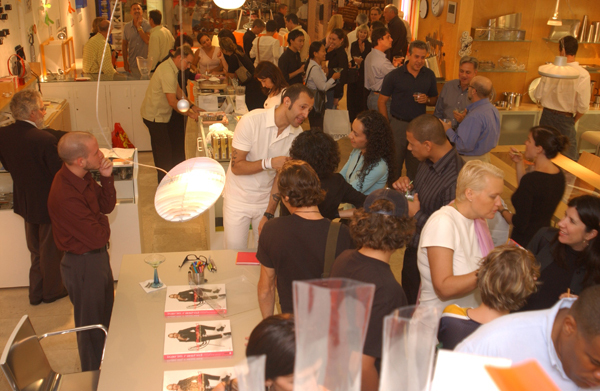 Karim Rashid, one of the world's most exciting, prolific, award winning, and colorful designers, joined us for the opening reception. 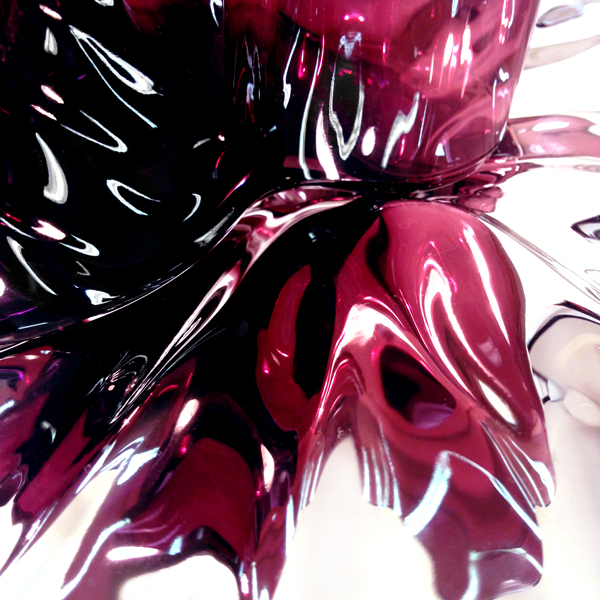 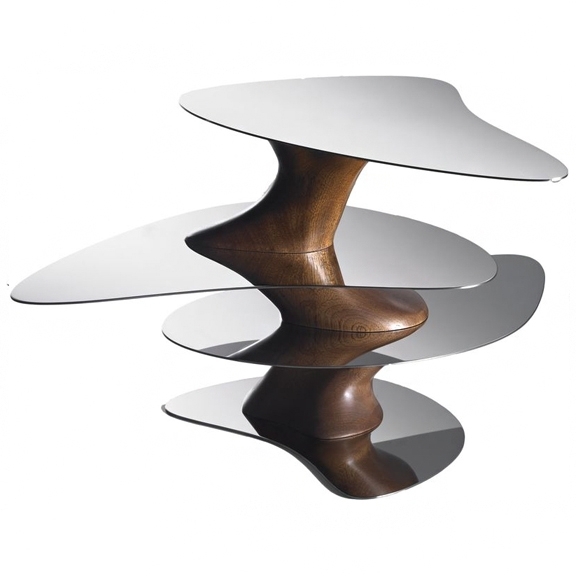 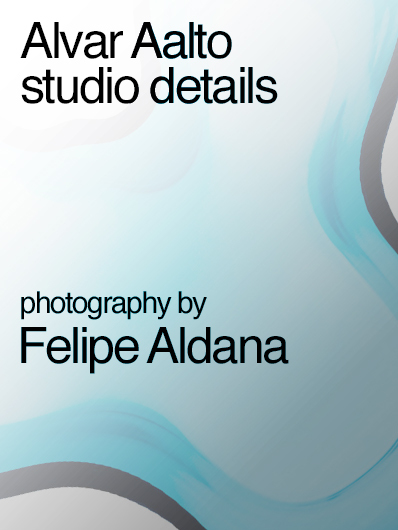 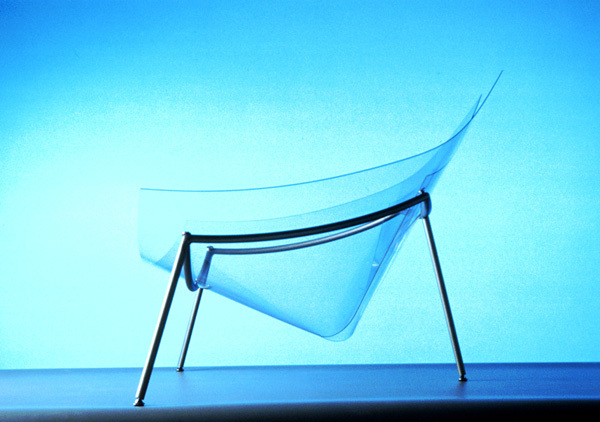 His bold organic forms redefine products, objects, furniture, graphics, space, clothing, cosmetics, lighting and environments. 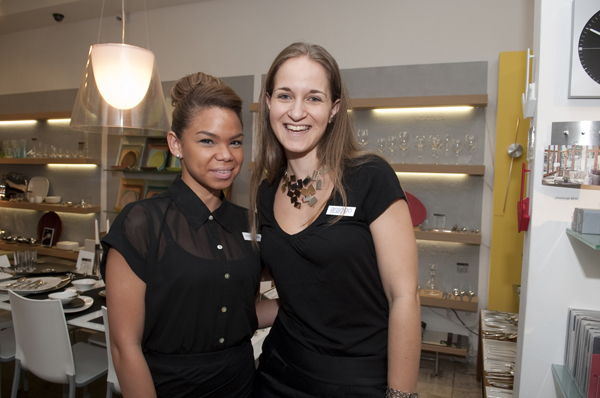 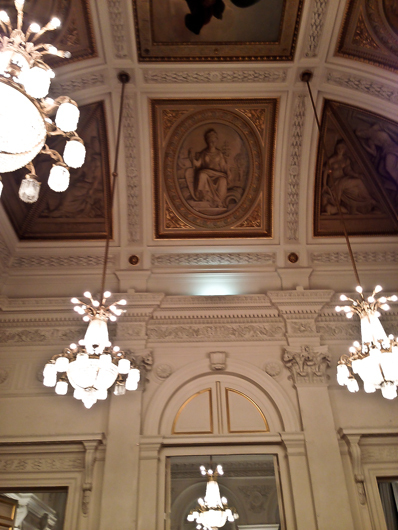 The event was sponsored by Magis and Bombay Sapphire. 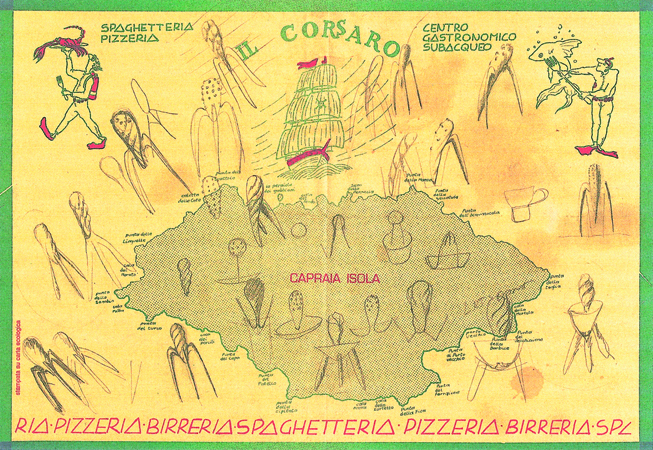 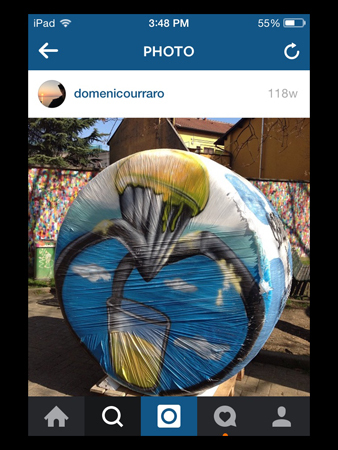 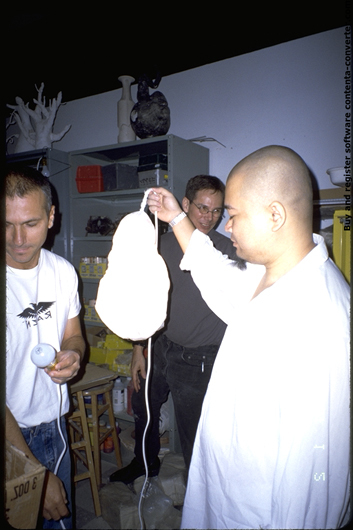 The Campana Brothers are seriously committed to sharing their extraordinary vision with students and professionals. 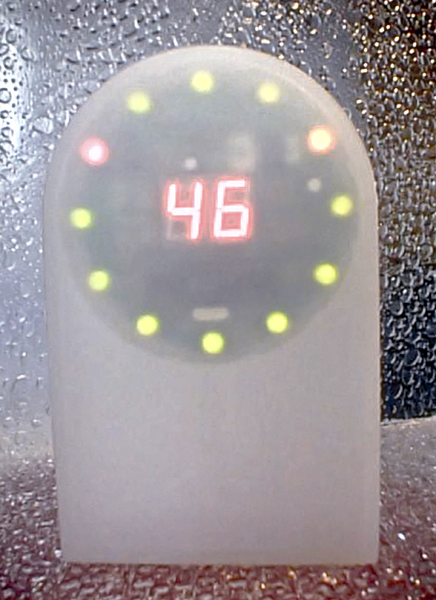 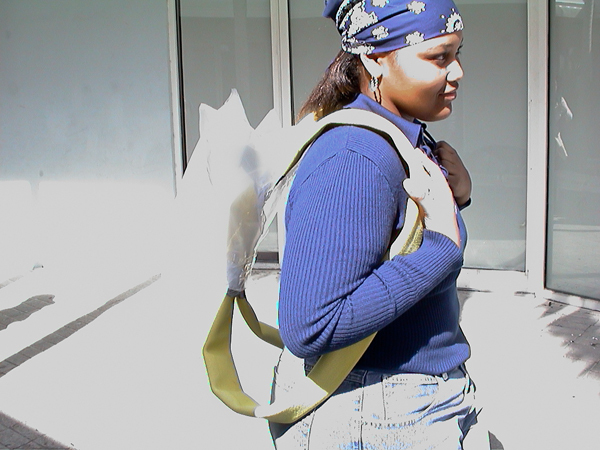 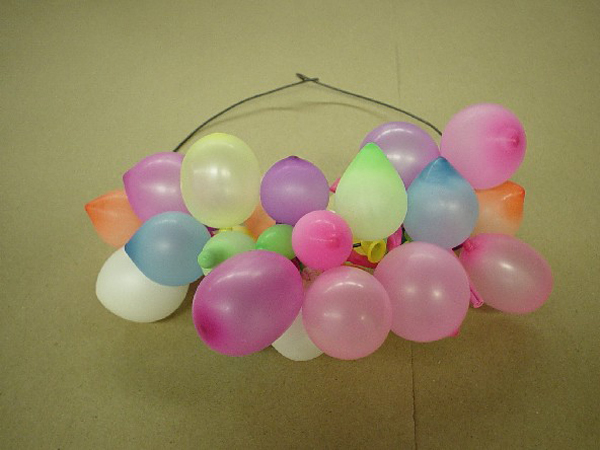 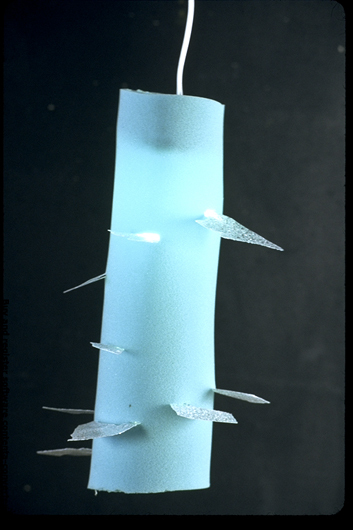 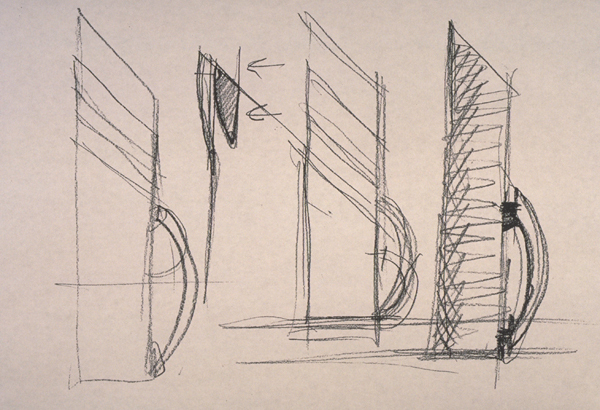 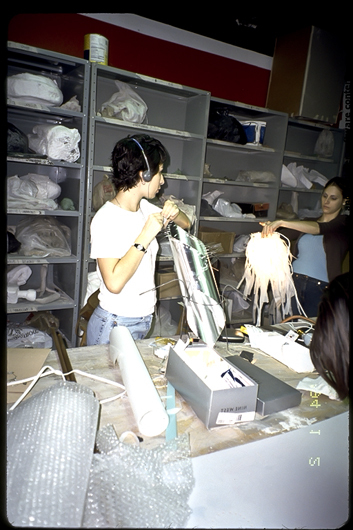 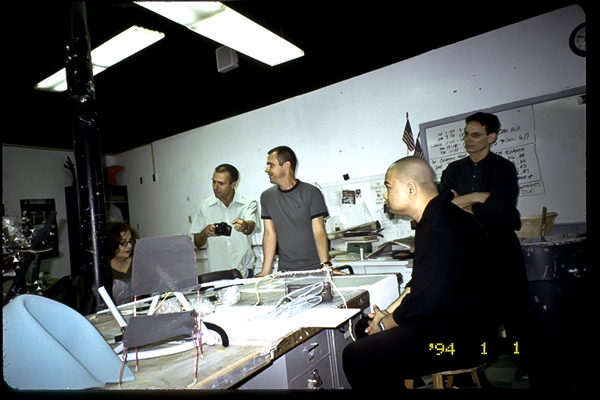 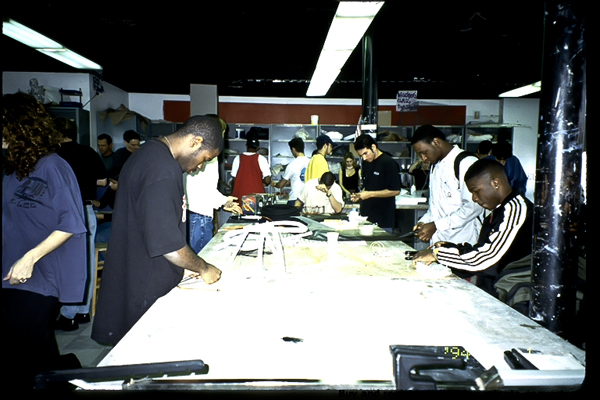 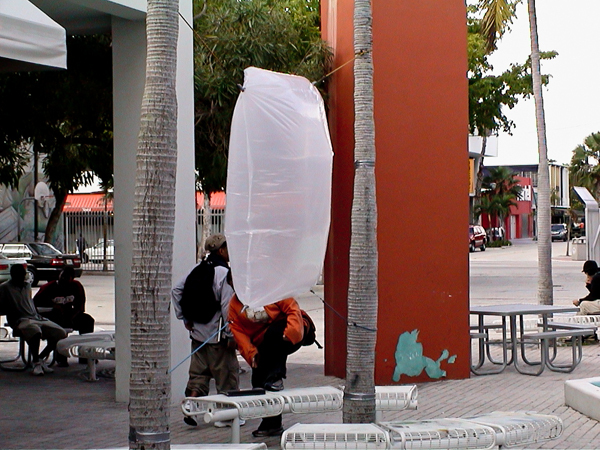 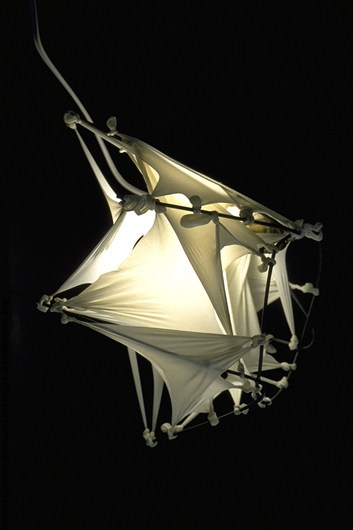 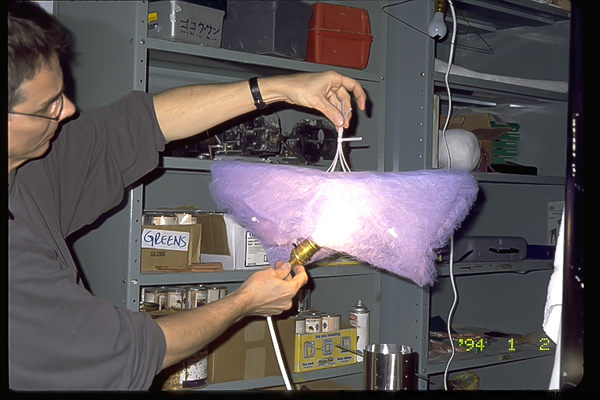 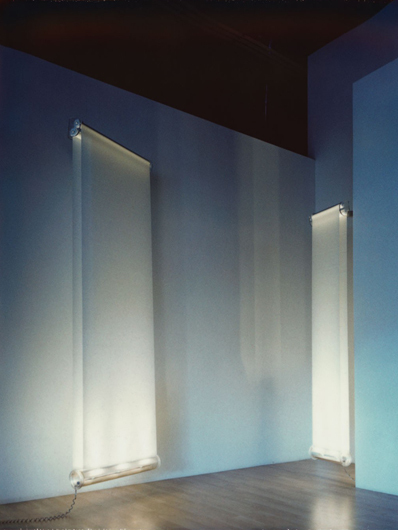 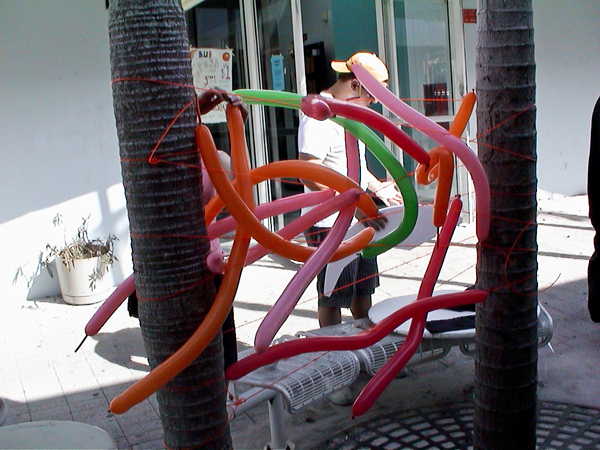 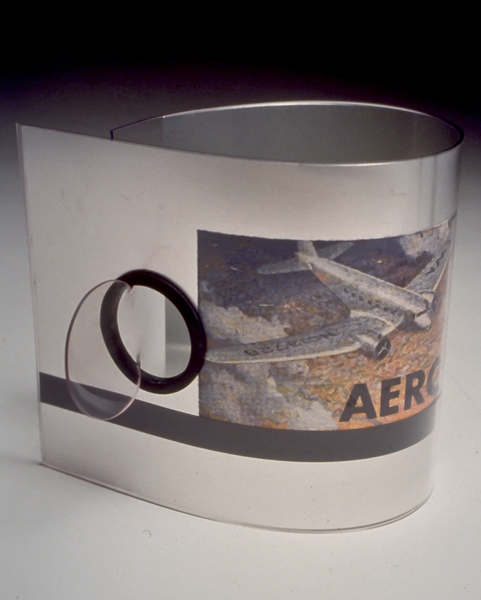 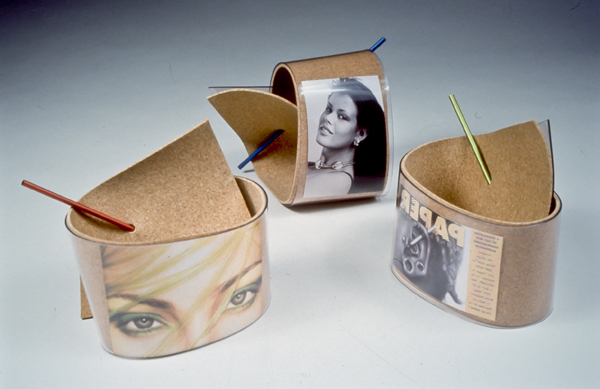 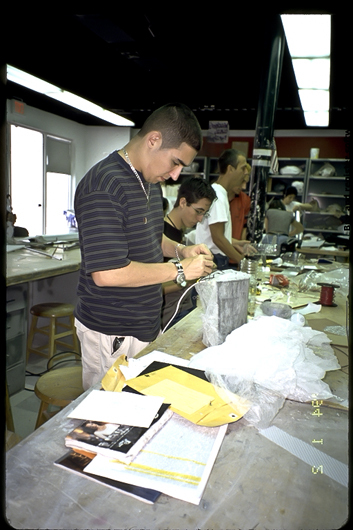 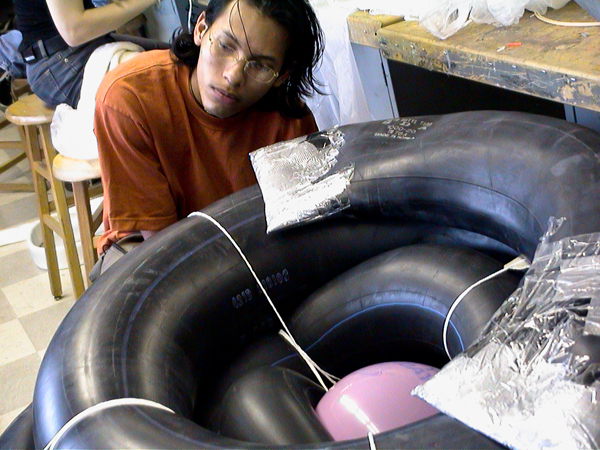 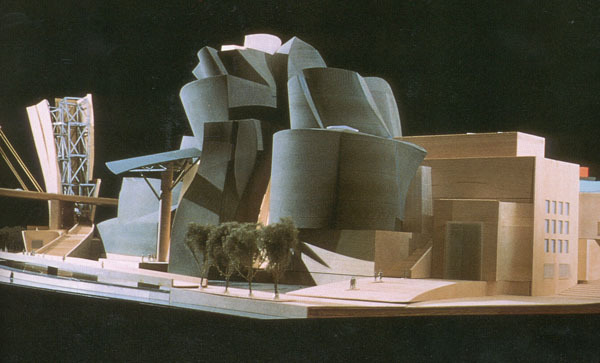 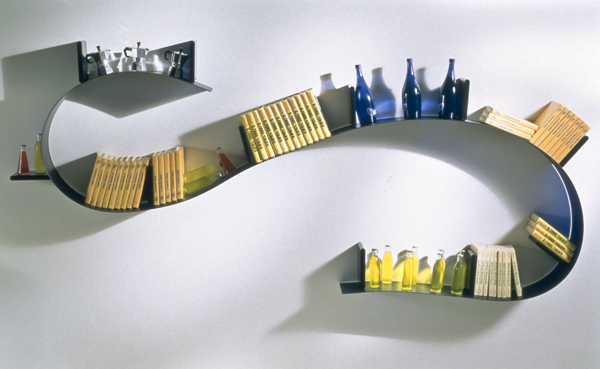 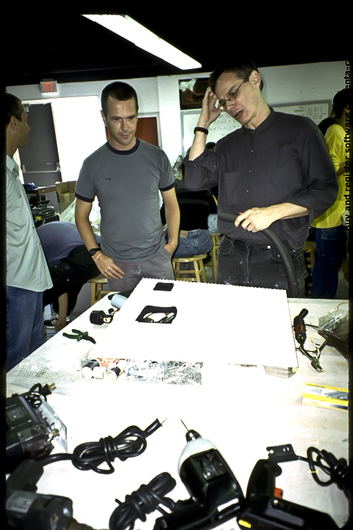 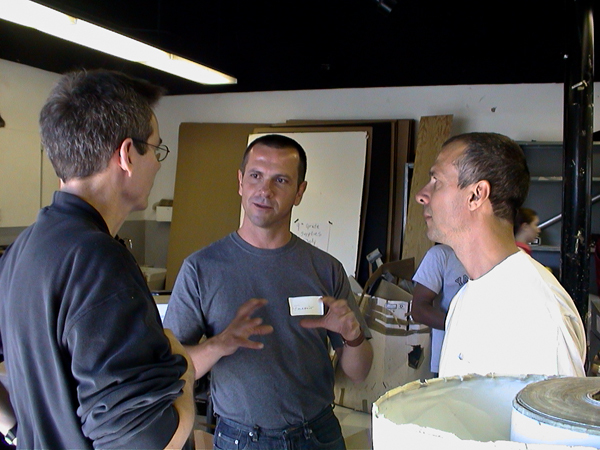 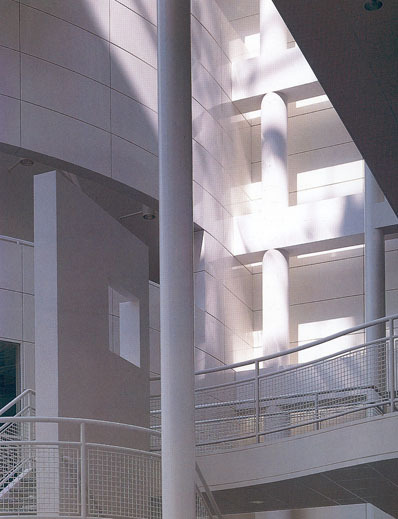 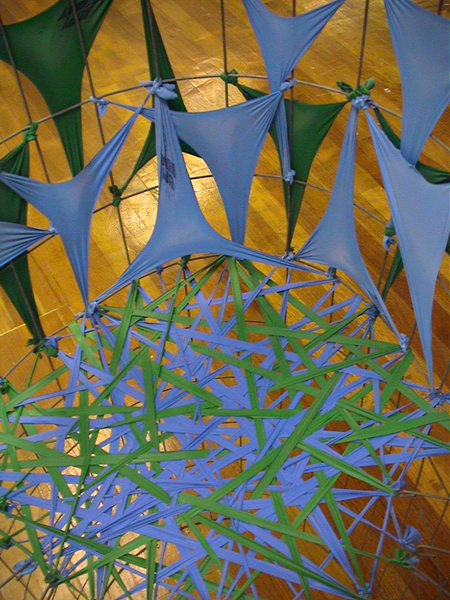 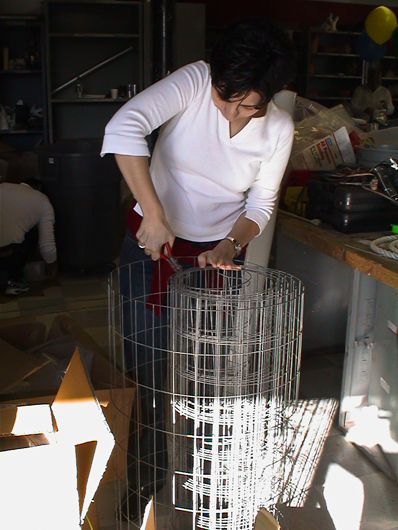 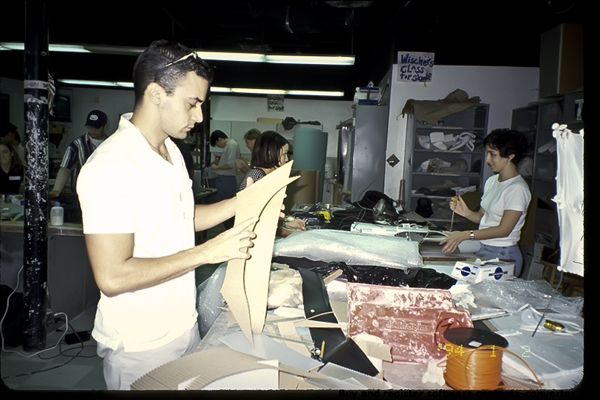 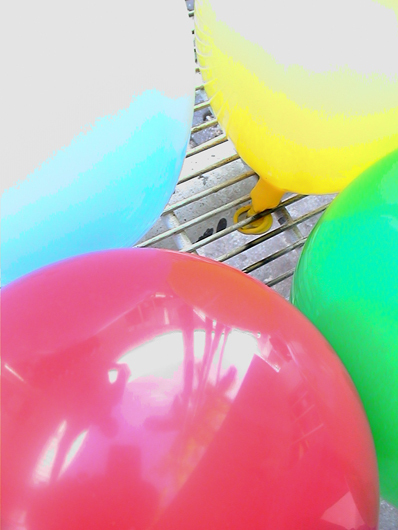 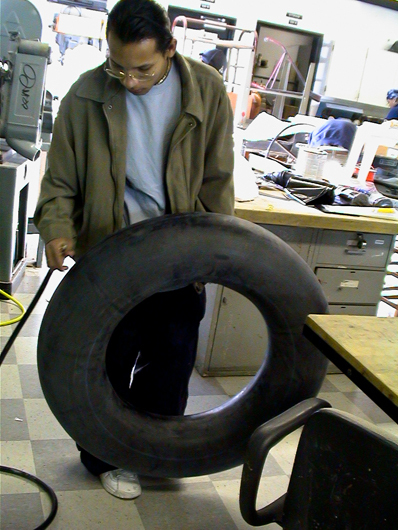 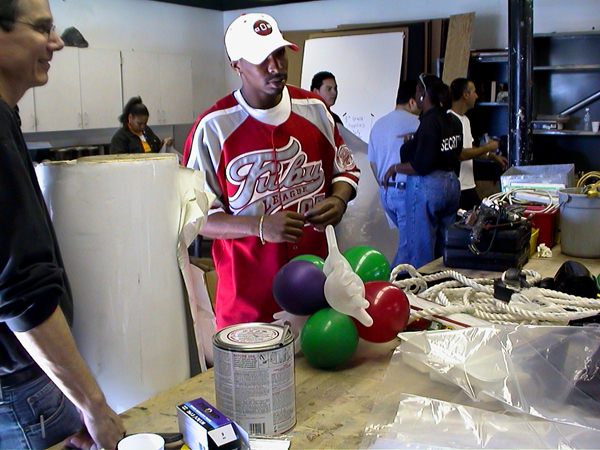 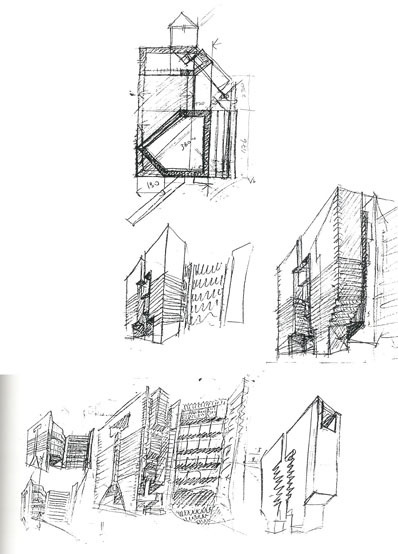 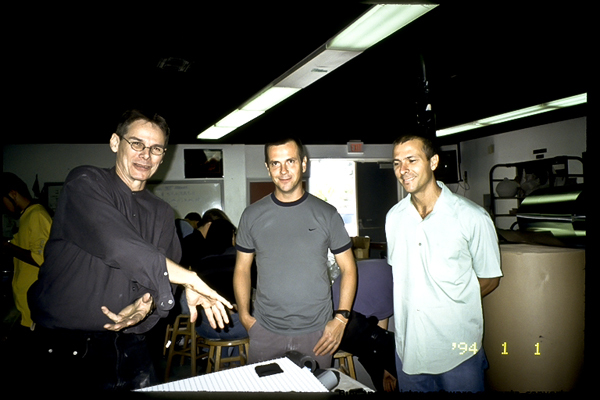 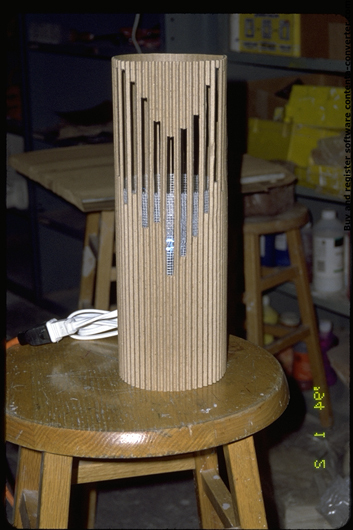 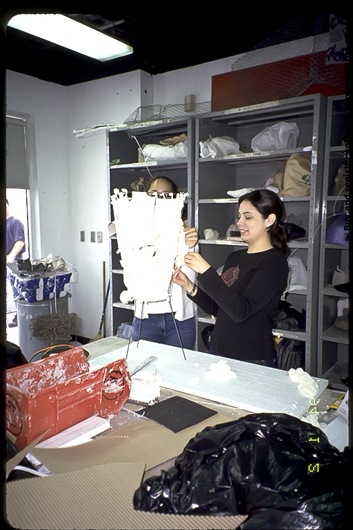 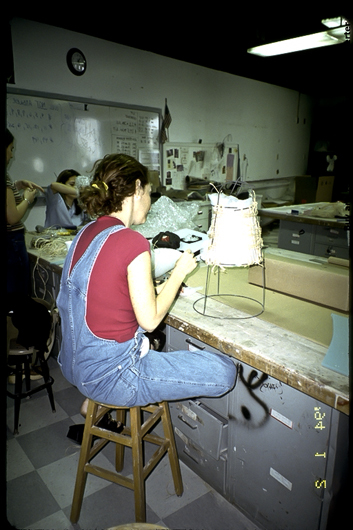 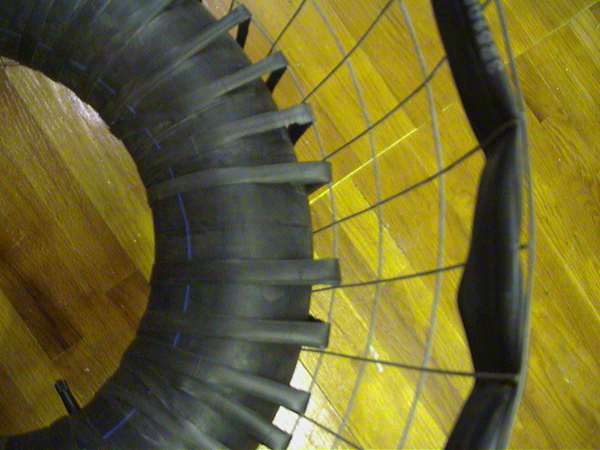 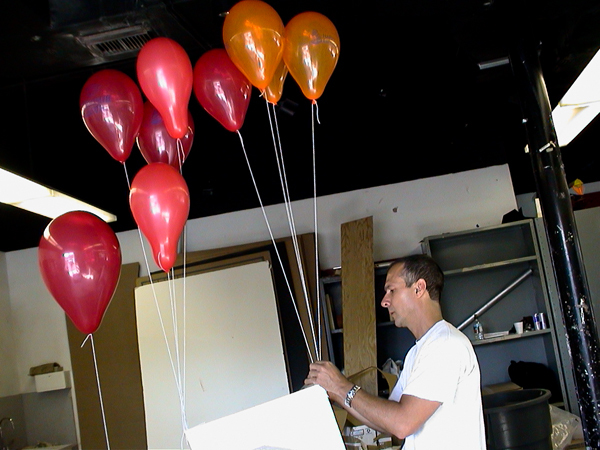 For the 2002 workshop at Design and Architecture Senior High (DASH), located in the Miami Design District, they proposed a simple theme, rich with opportunities for immediate, intuitive sparks: What can you design with air? 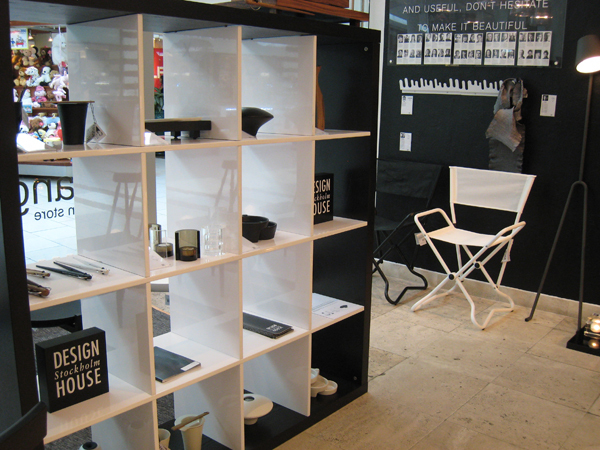 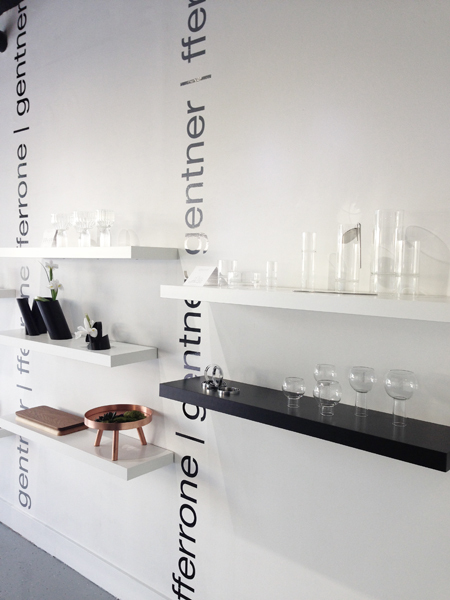 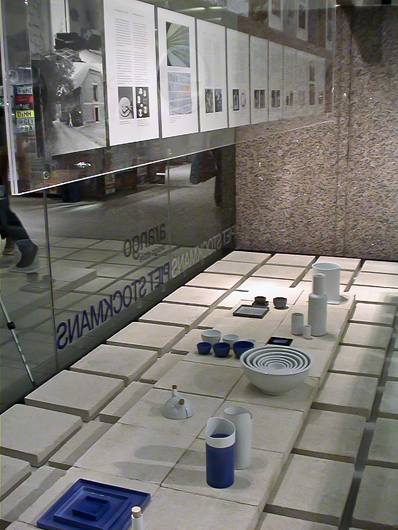 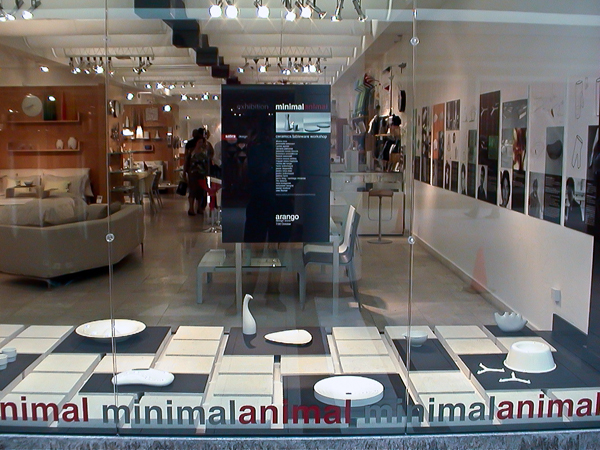 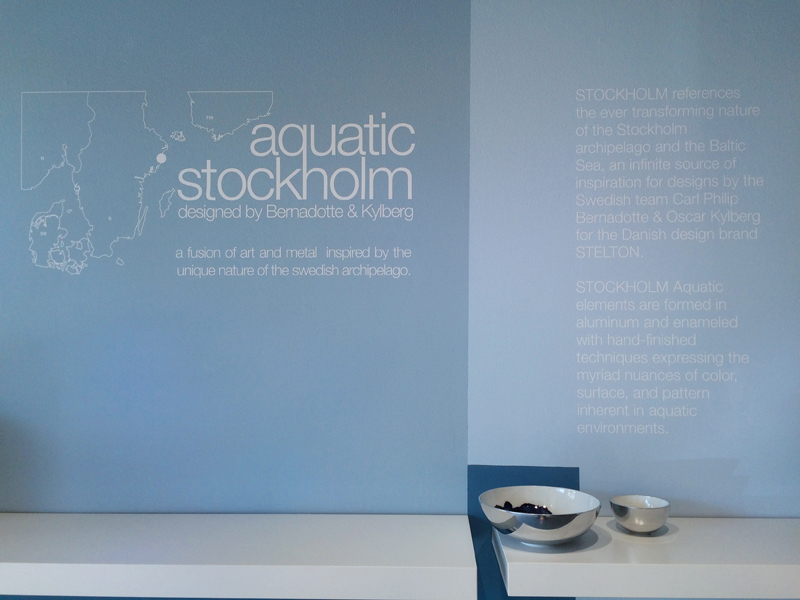 minimalanimal displays ceramic work by 15 European architects and industrial designers. 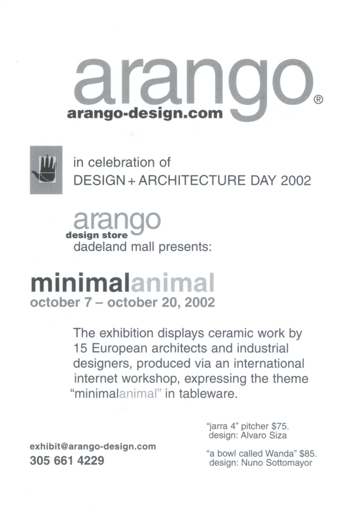 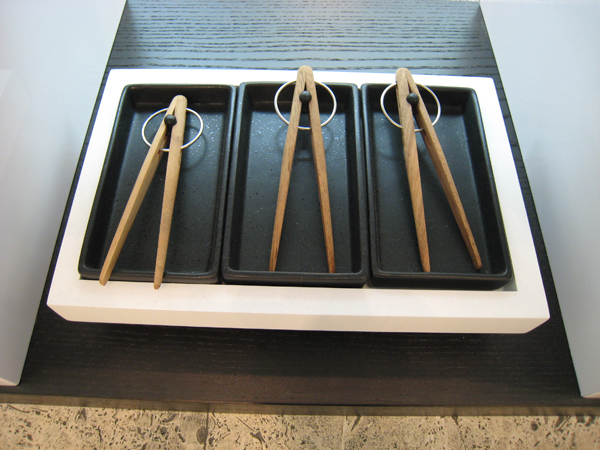 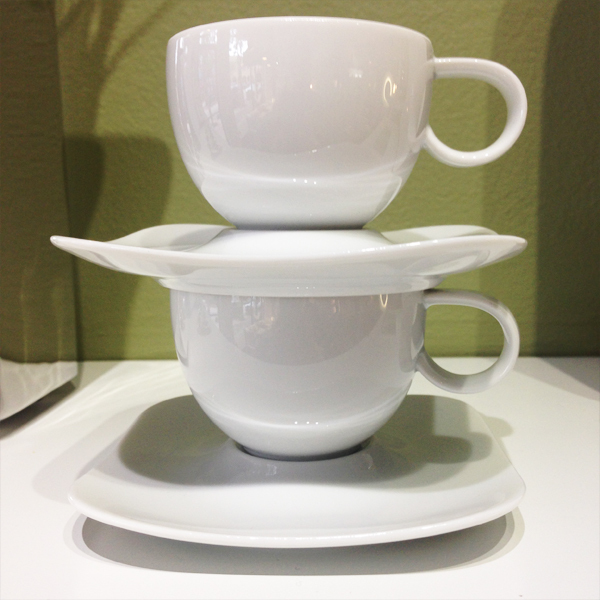 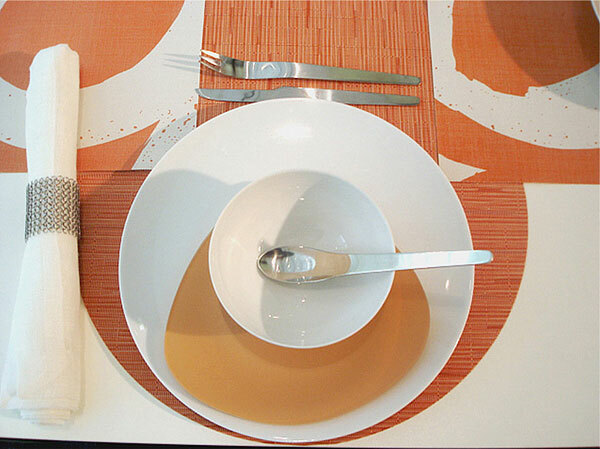 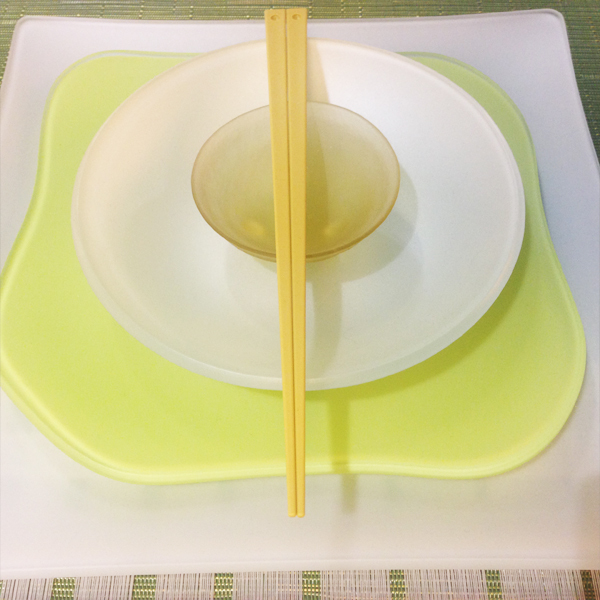 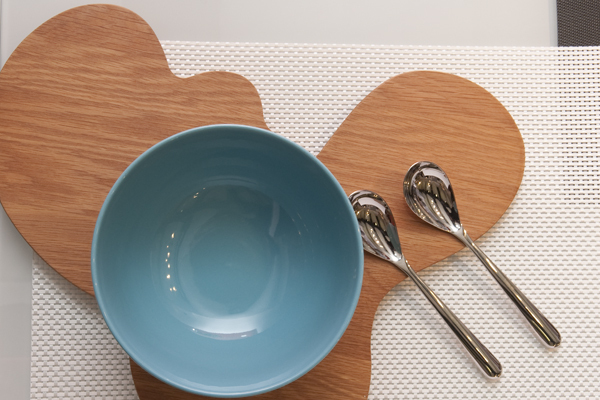 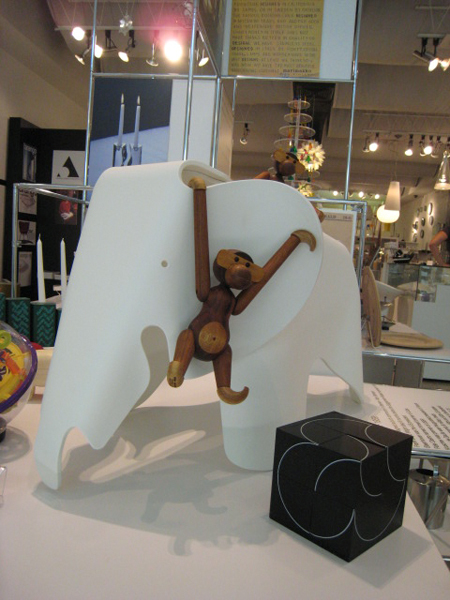 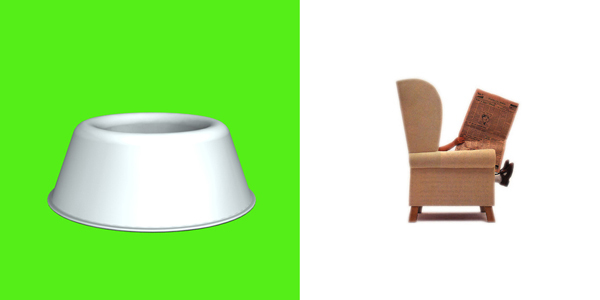 Produced via an international internet workshop, the designs express the theme "minimalanimal" in tableware. 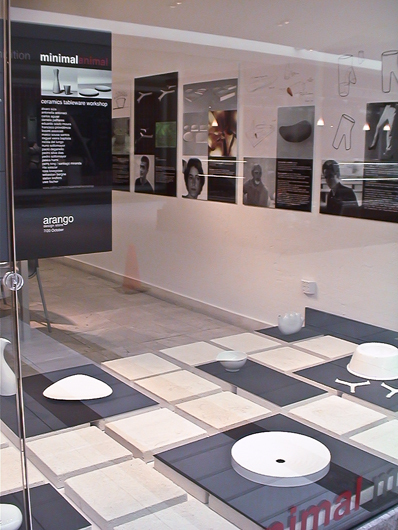 Among the designers featured in the exhibition are Alvaro Siza, Ross Lovegrove, Piero Lissoni, Stefan Lindfors, Rita Salazar, Sebastian Bergne and Pedro Sottomayor. 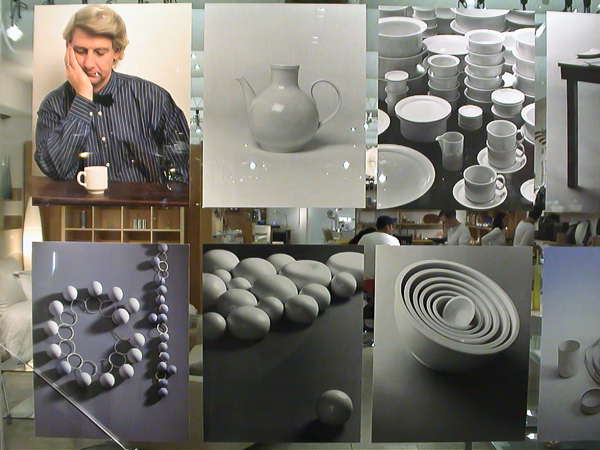 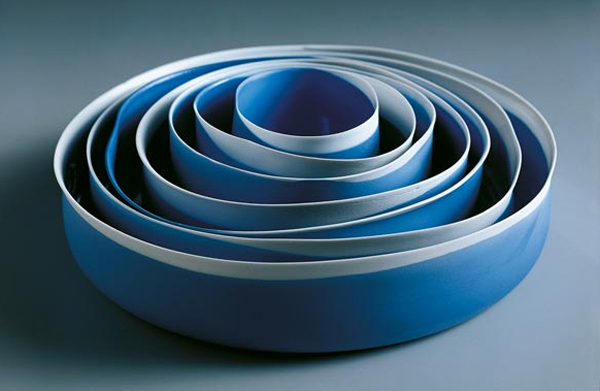 Piet Stockmans mastery of porcelain over nearly 40 years is a tale of deepening knowledge and expression anchored by artistic sensitives that guide an intelligent design discipline through ever more profound creativity. 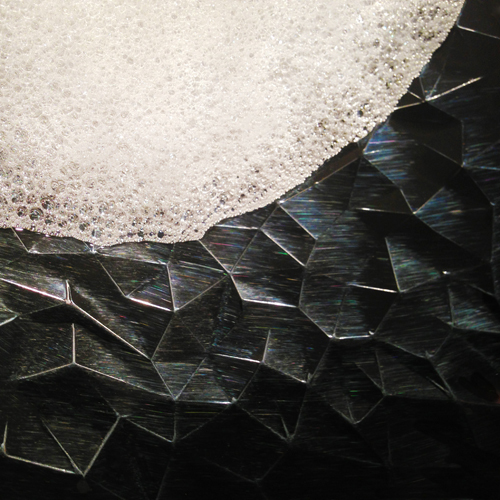 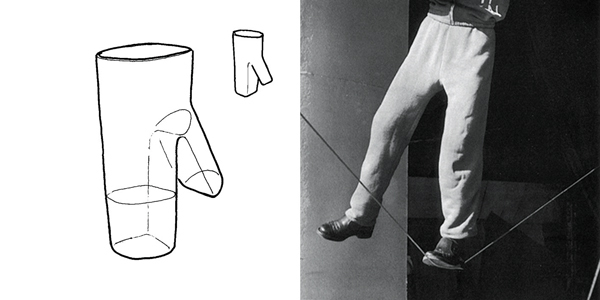 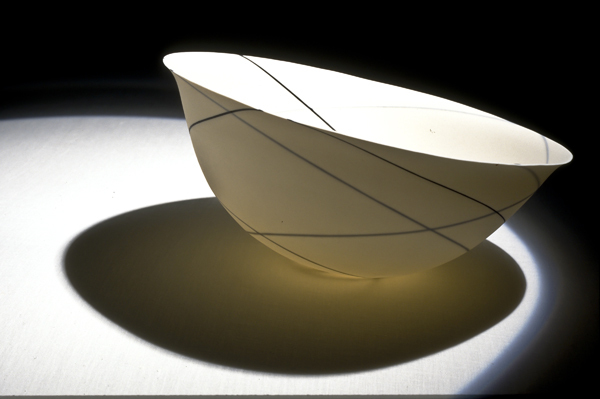 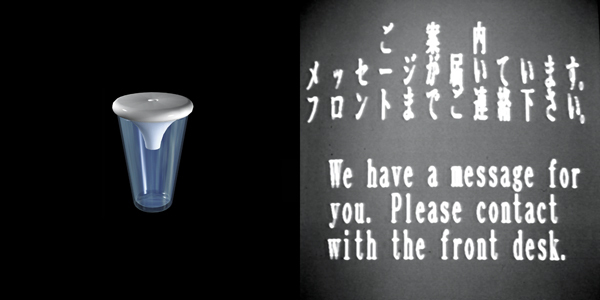 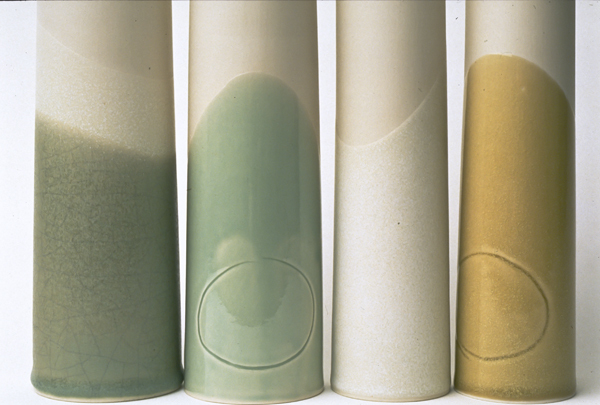 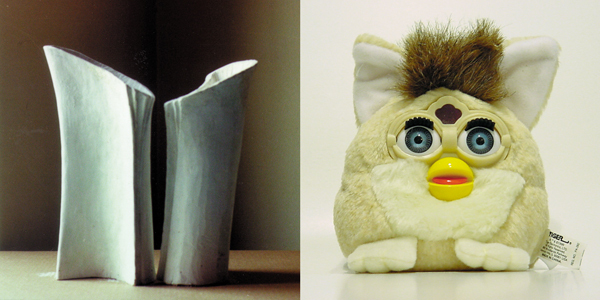 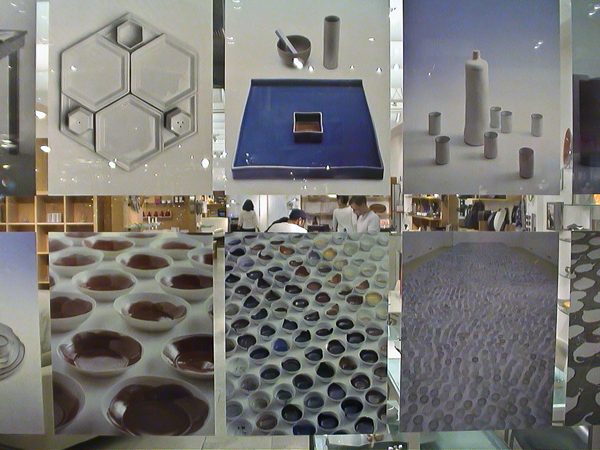 His efforts to demystify this material in turn reveals yet a higher potential for porcelain to astound us. 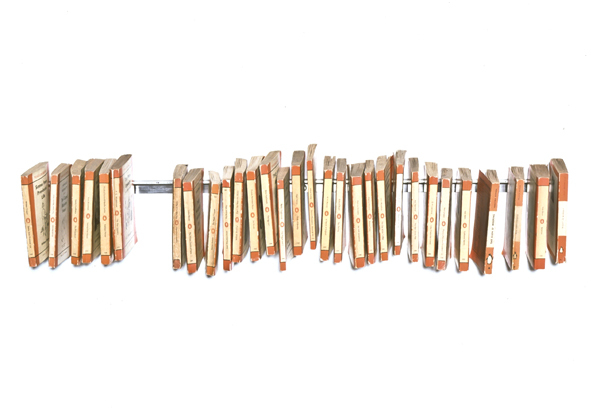 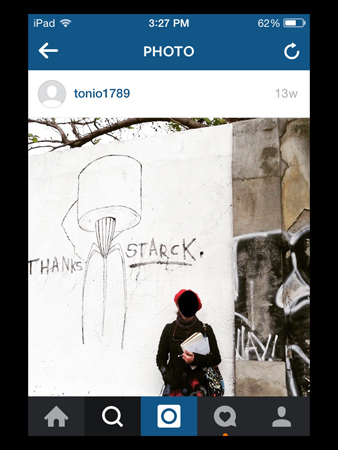 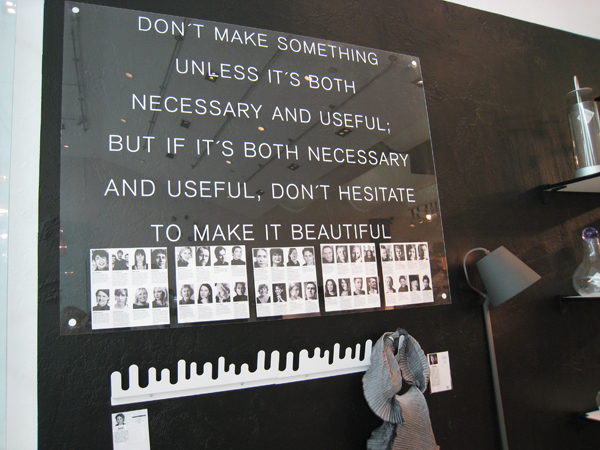 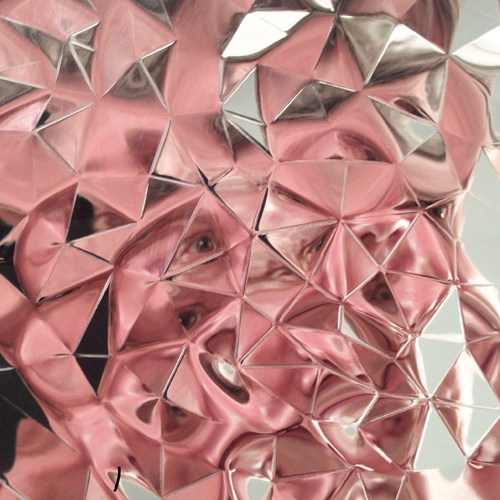 In this artist/philosopher's message, the dialog between being and making IS life itself. 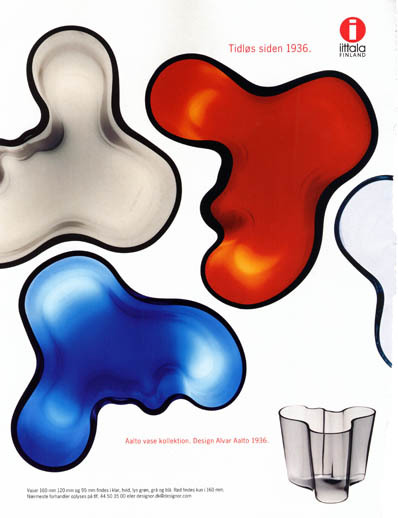 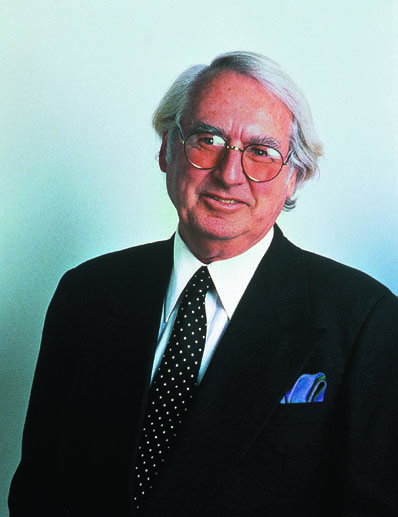 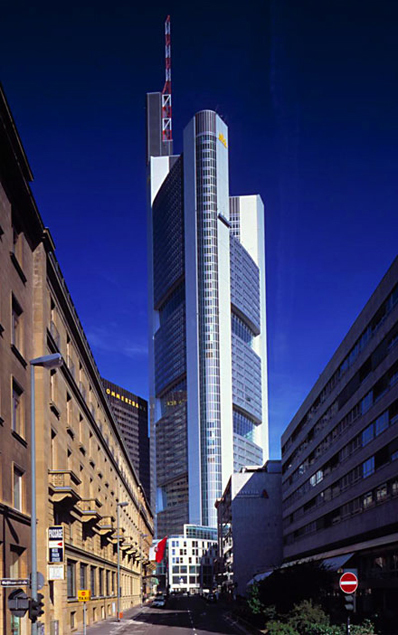 Design By Architects explores the growth of product design by architects from the mid-century virtuosity of Arne Jacobsen and Alvar Aalto to contemporary practices including Sir Norman Foster, Michael Graves, Mario Botta, and Laurinda Spear. 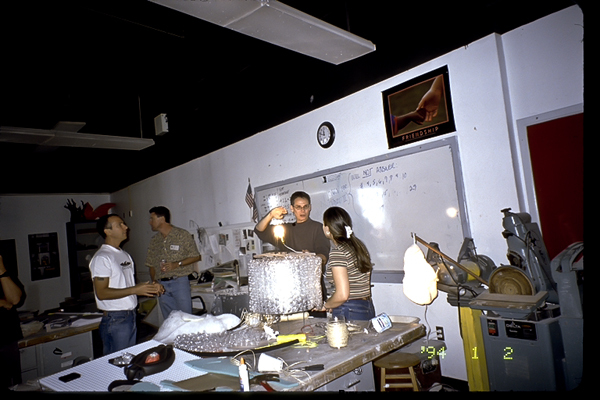 A three-day workshop by Fernando + Humberto Campana with students from both DASH and FIU's Interior Design Department, centered upon container, lighting, and fusion design problems in the context of new or unusual materials. 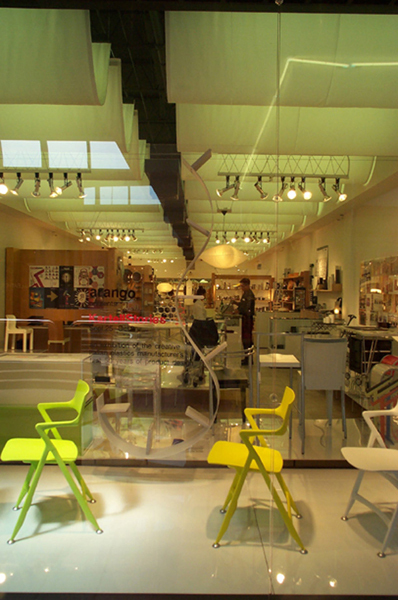 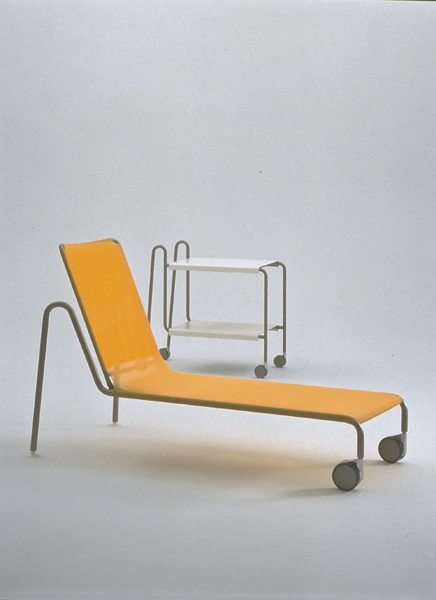 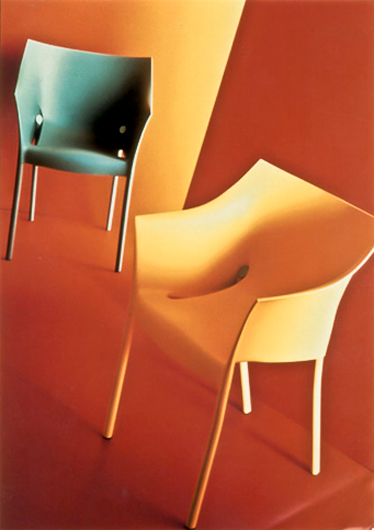 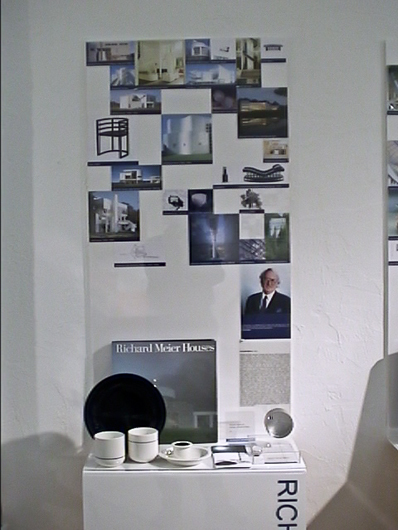 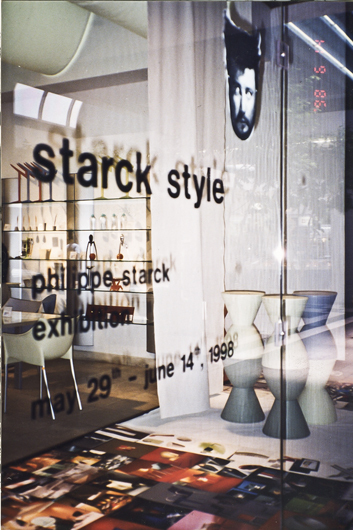 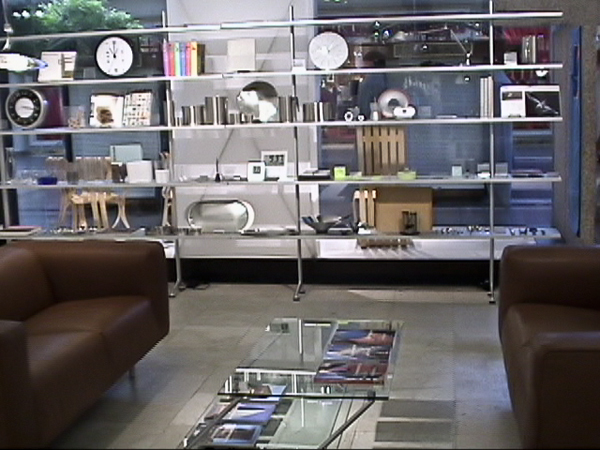 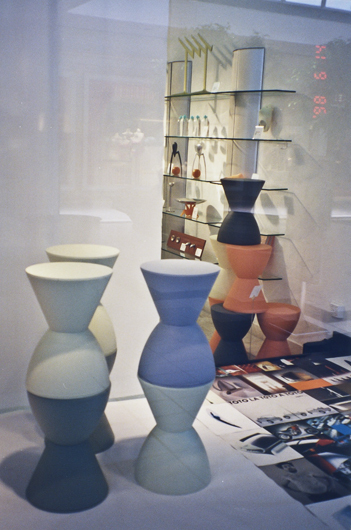 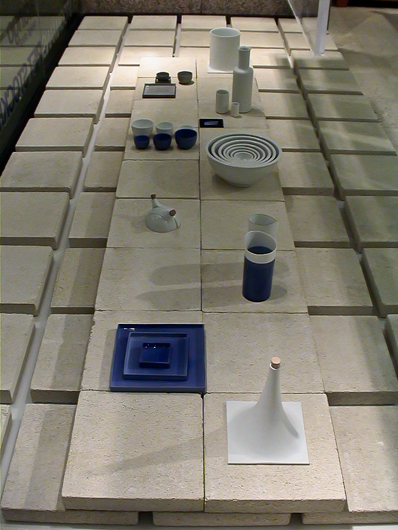 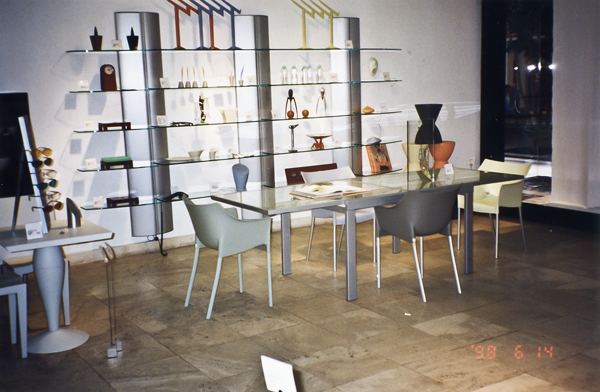 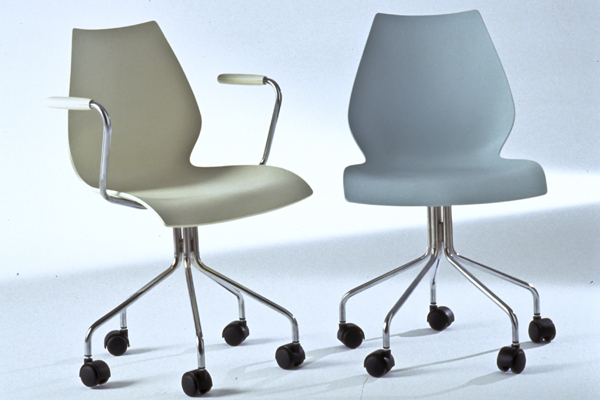 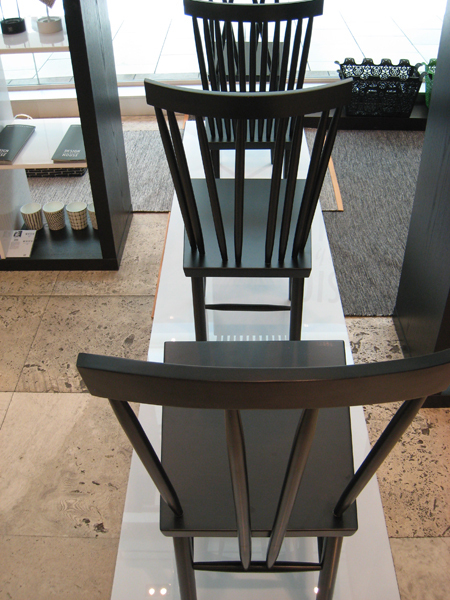 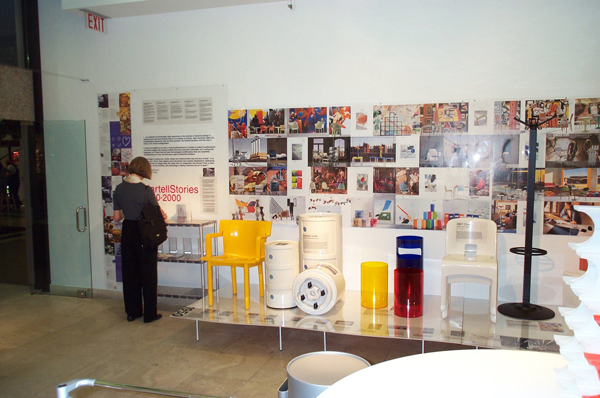 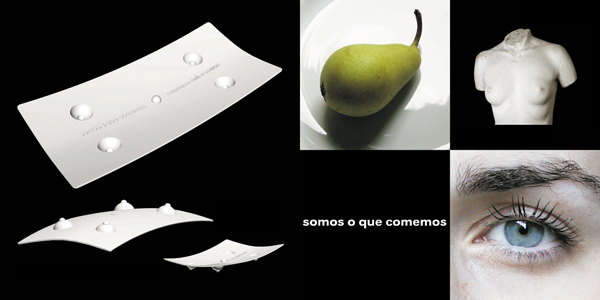 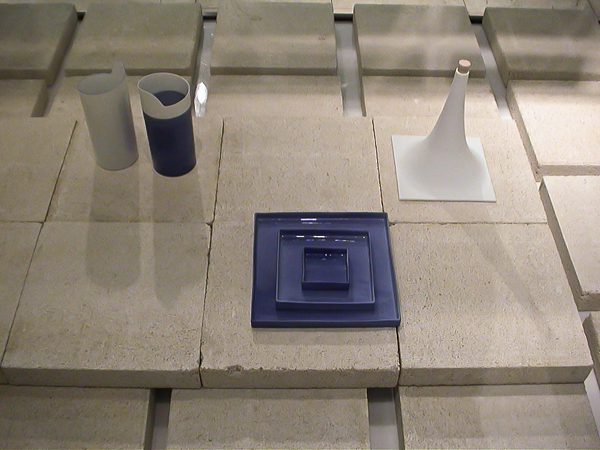 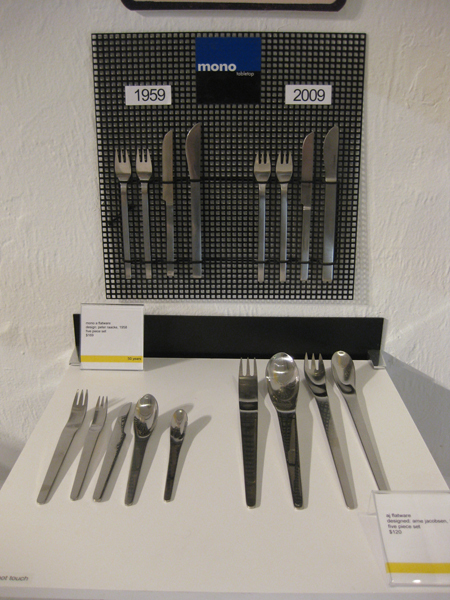 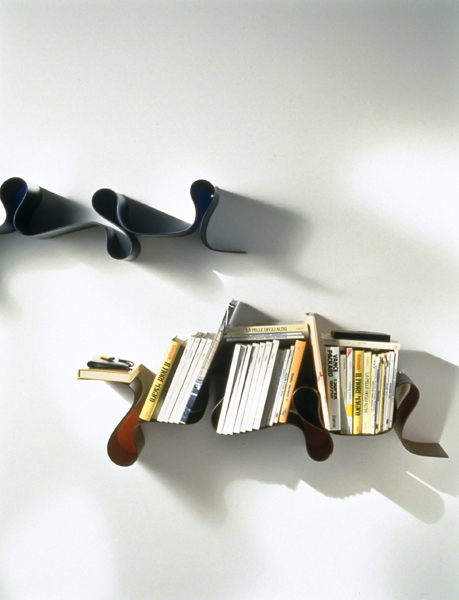 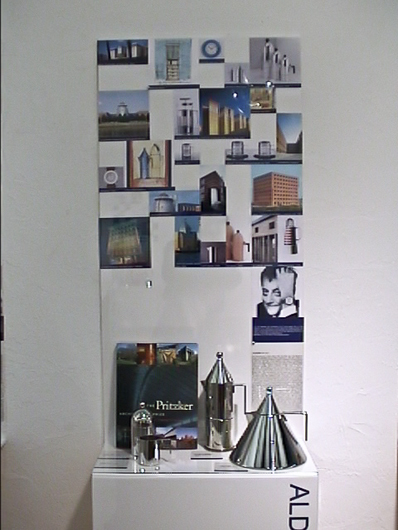 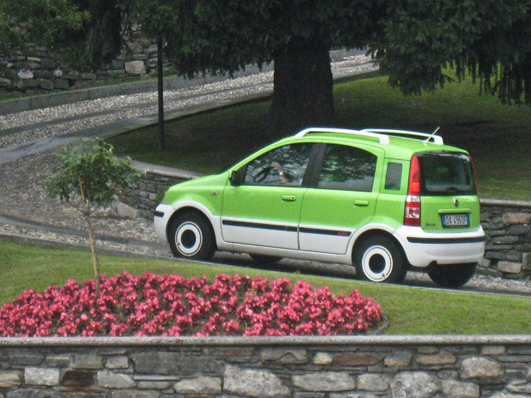 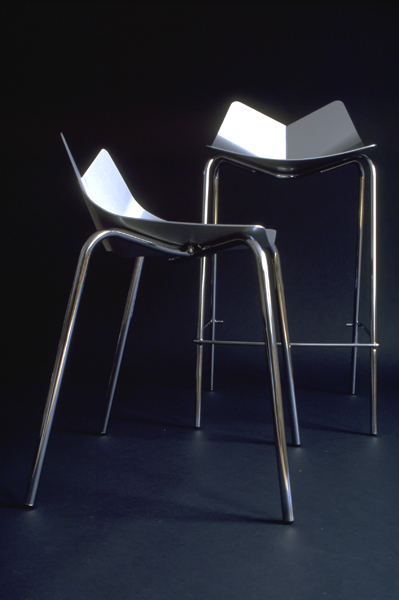 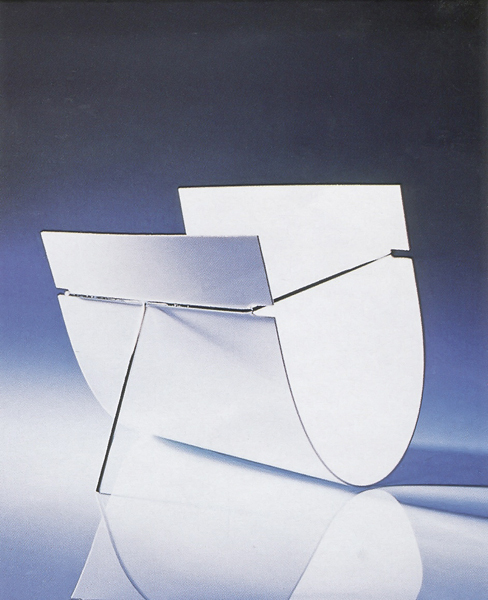 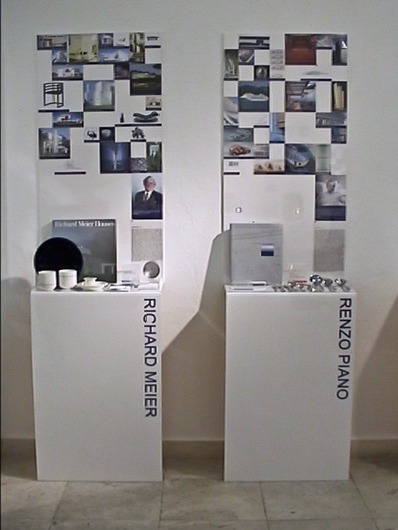 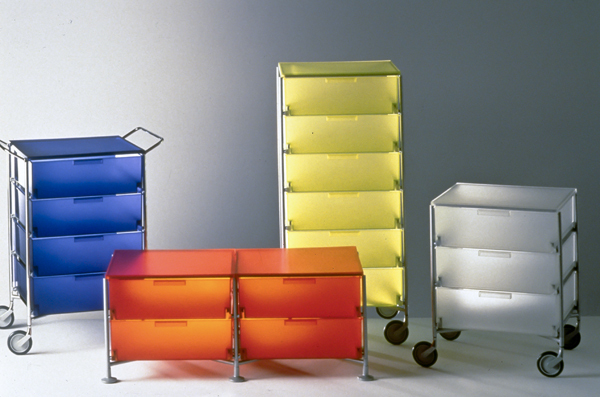 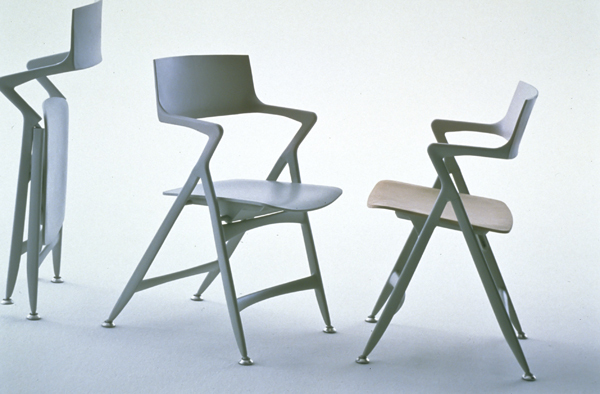 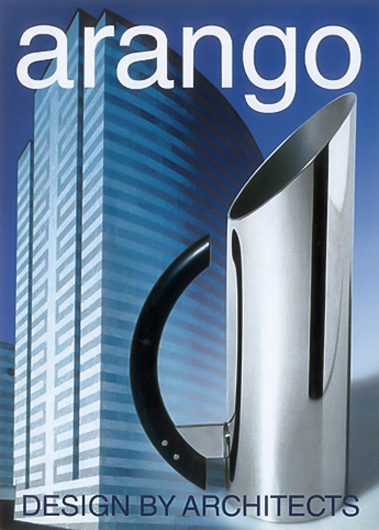 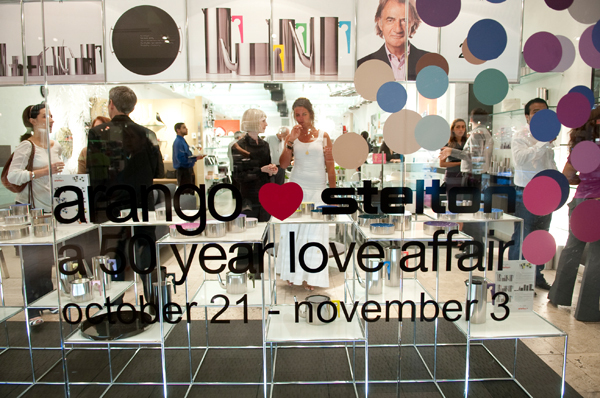 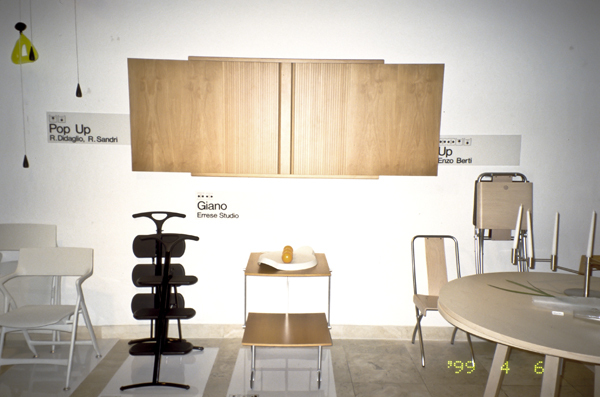 A retrospective exhibition of this dynamic Italian manufacturer with an emphasis on their design philosophy and production history, including the year 2000 introductions by Starck, Citerrio, Arad, and Ferruchi. 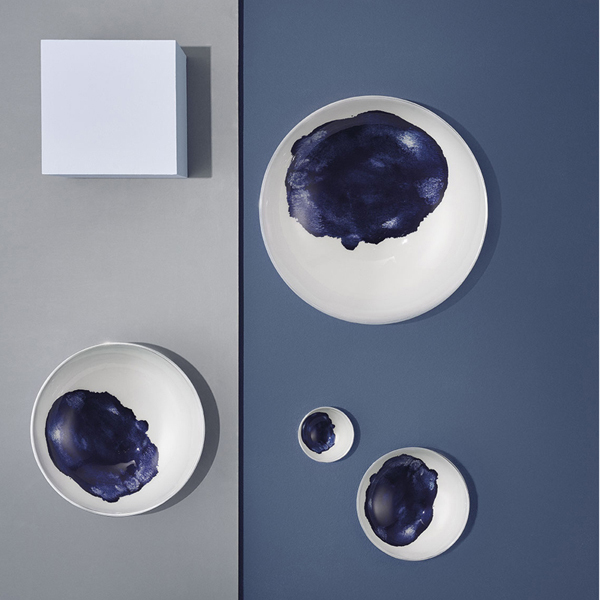 The work of 20 exciting British designers in lighting, furniture, ceramics, textiles, glass, and plastics exemplifies the emergence of new talent gaining recognition by leading European manufacturers and design publications. 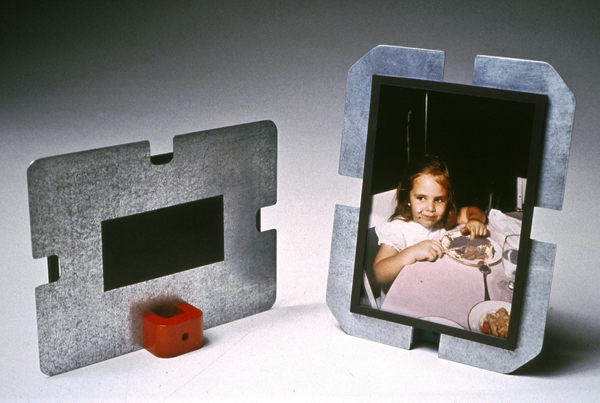 Students from Parsons School of Design present interpretations of contemporary picture frames, expressing their diversity of creative thought. 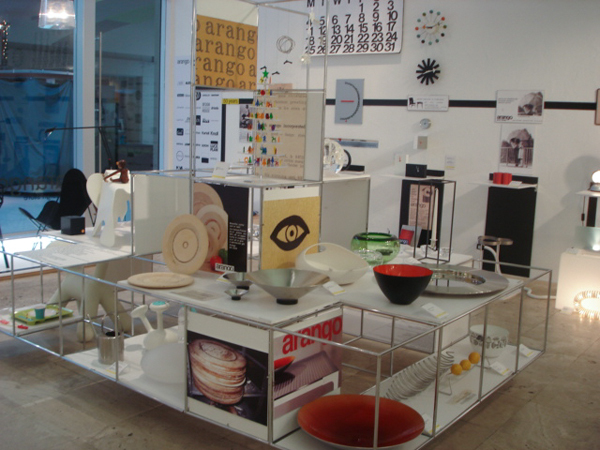 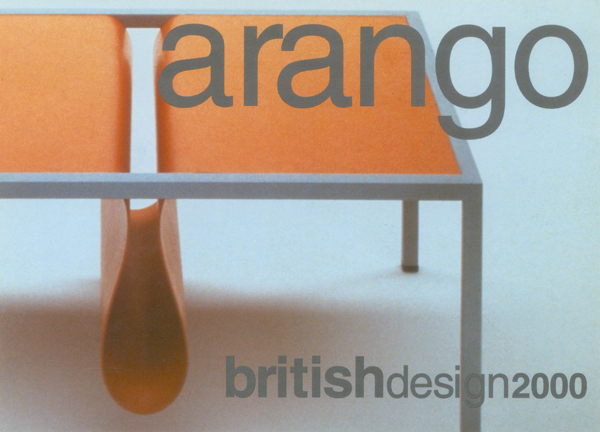 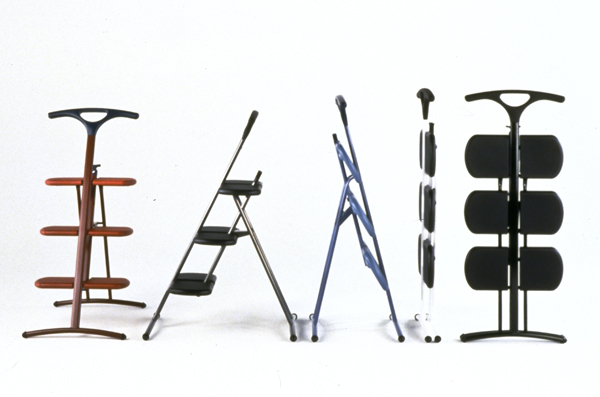 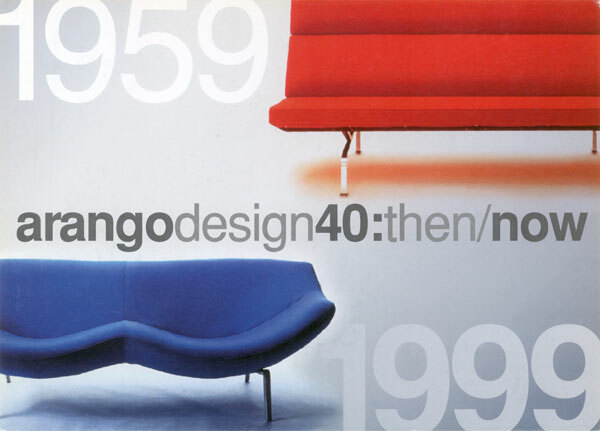 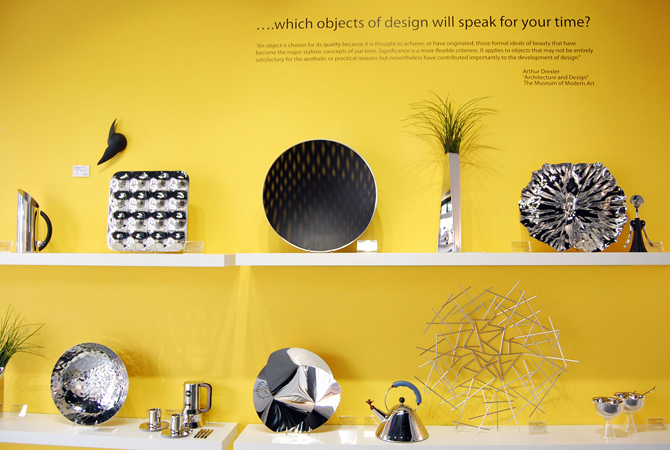 Celebrating 40 years of design retailing, the exhibition contrasts the design of new products in the market with functionally similar products still in production since their debut in the 1950's and early 1960's. 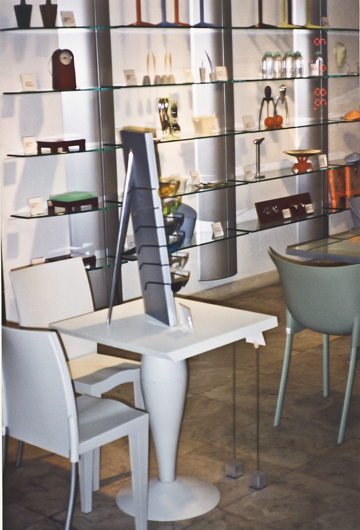 The exhibition playfully accentuates the values of motion and mobility expressed in contemporary Italian design of home and office products. 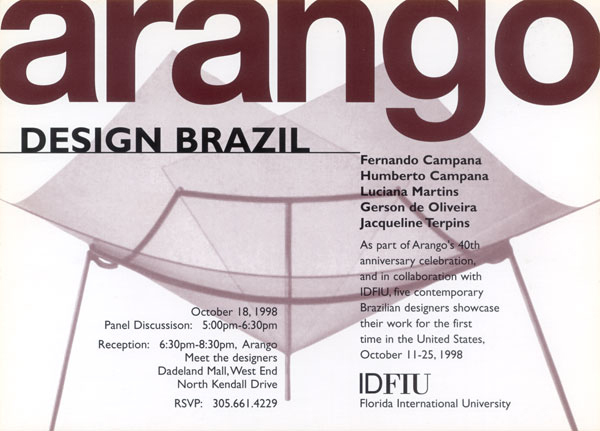 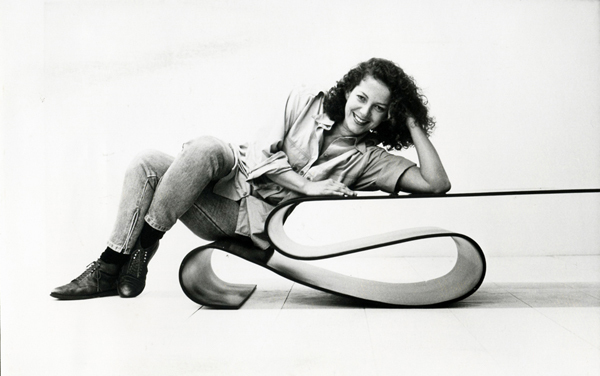 Exhibition and lecture with five Brazilian designers: Fernando Campana, Humberto Campana, Luciana Martins, Gerson de Oliveira, and Jacqueline Terpins, a debut of their wide ranging talents in furniture, lighting, and accessories, emphasizing strong cultural influences. 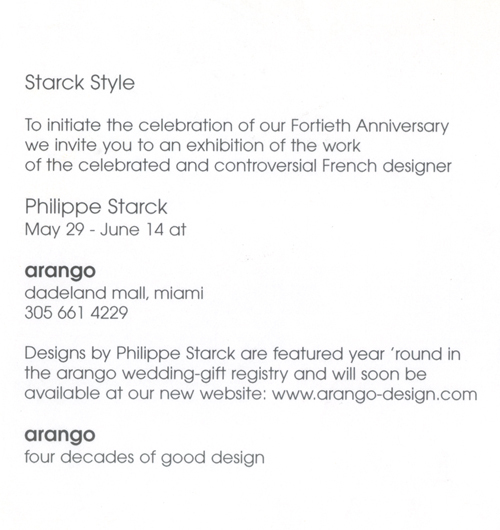 The phenomenon of Philippe Starck's expansive style is presented in a collection of objects, furniture, and illustrations of interior design.